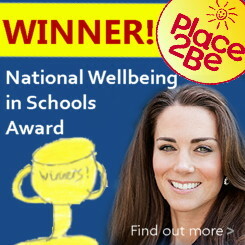 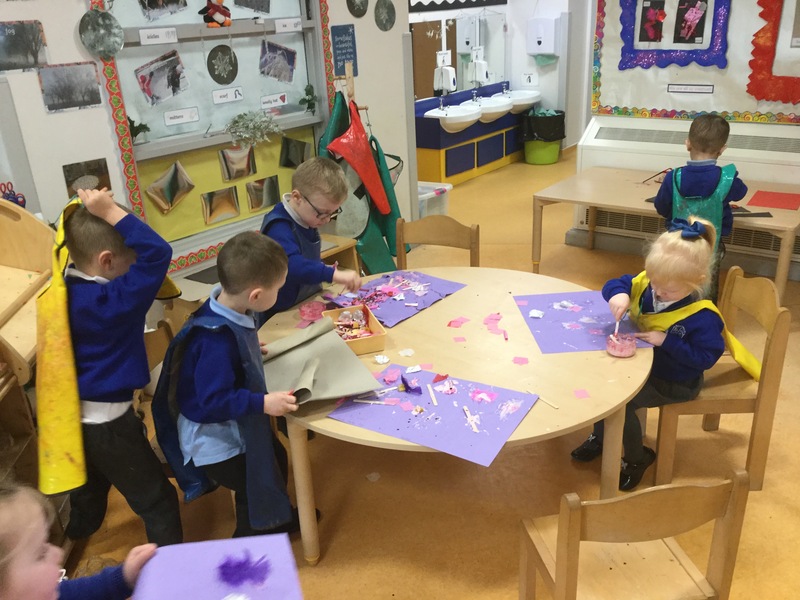 Hi everyone, welcome back after the Christmas Break. 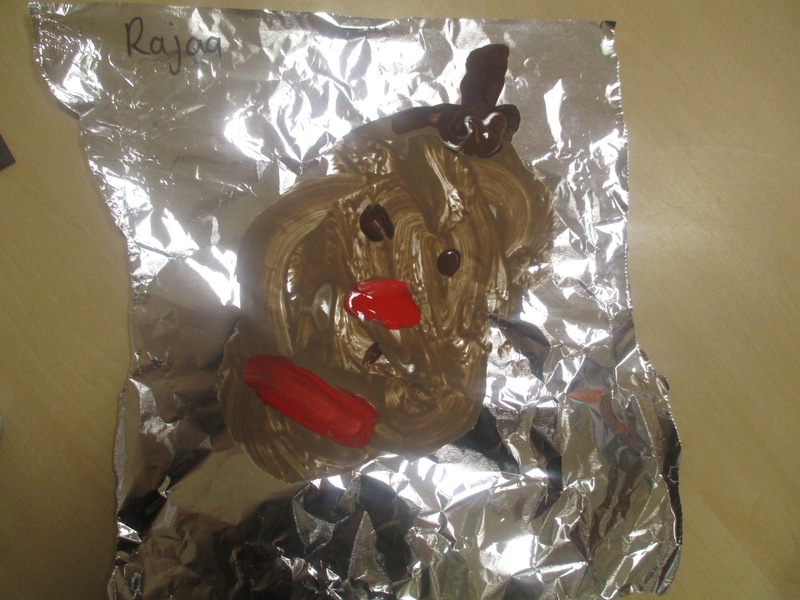 I hope you all had a very enjoyable Christmas and a great New Year! 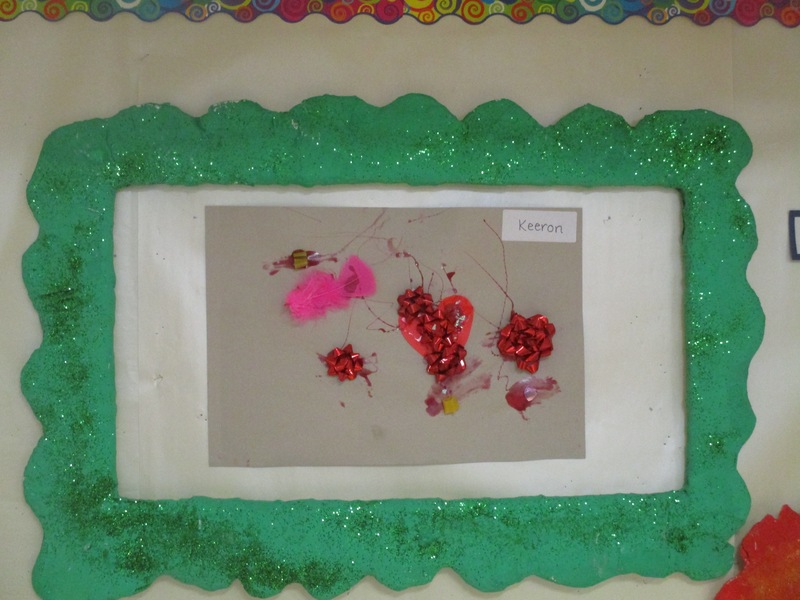 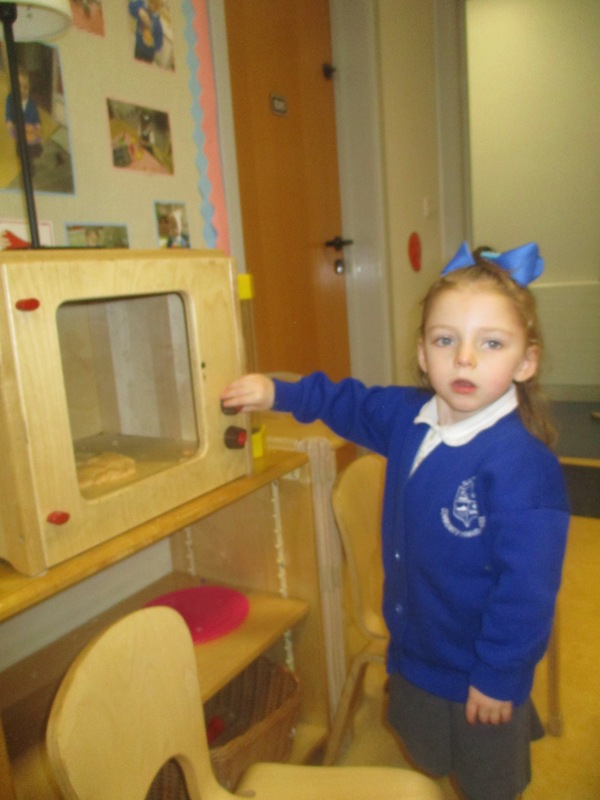 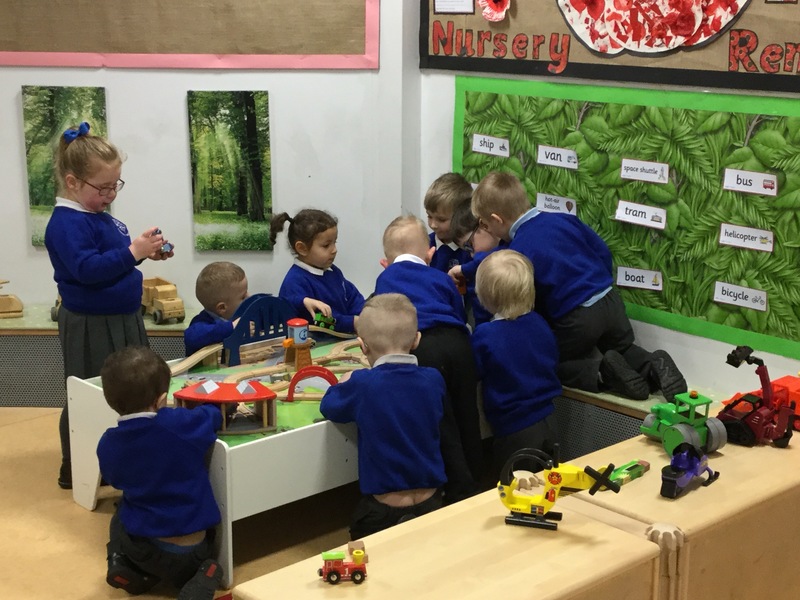 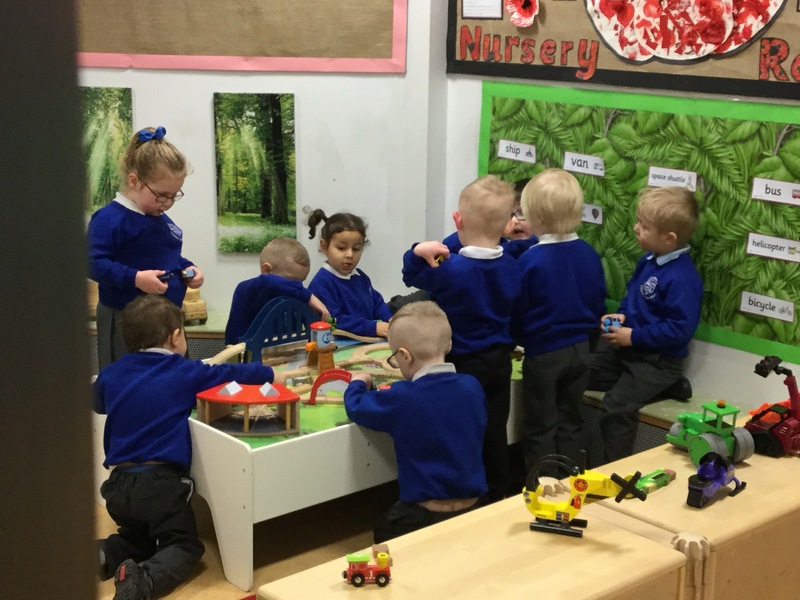 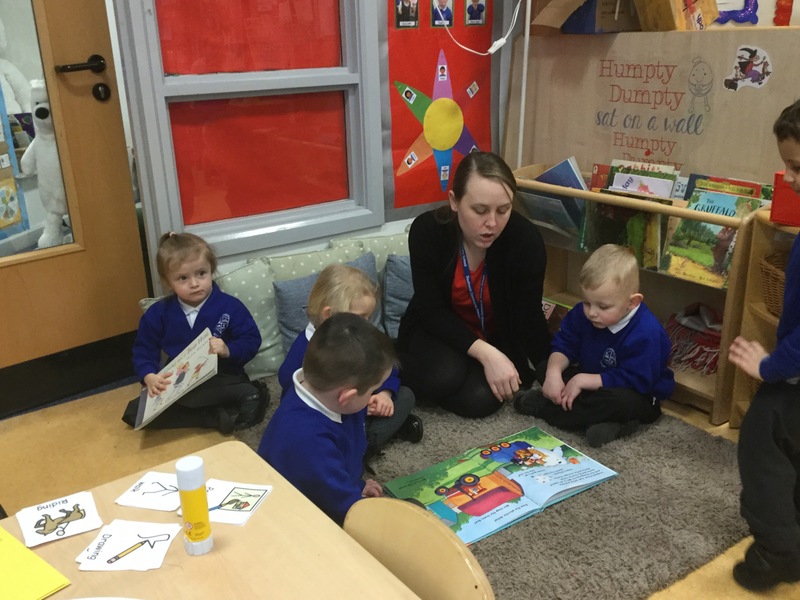 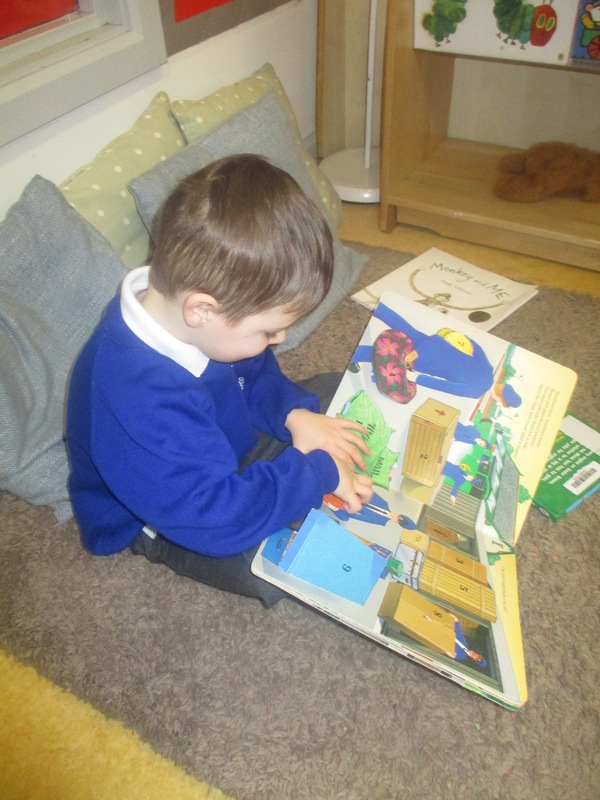 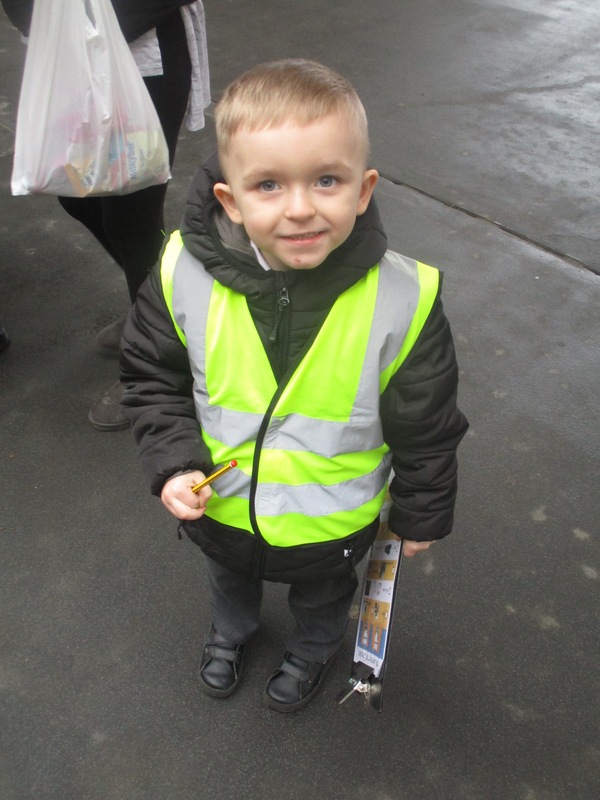 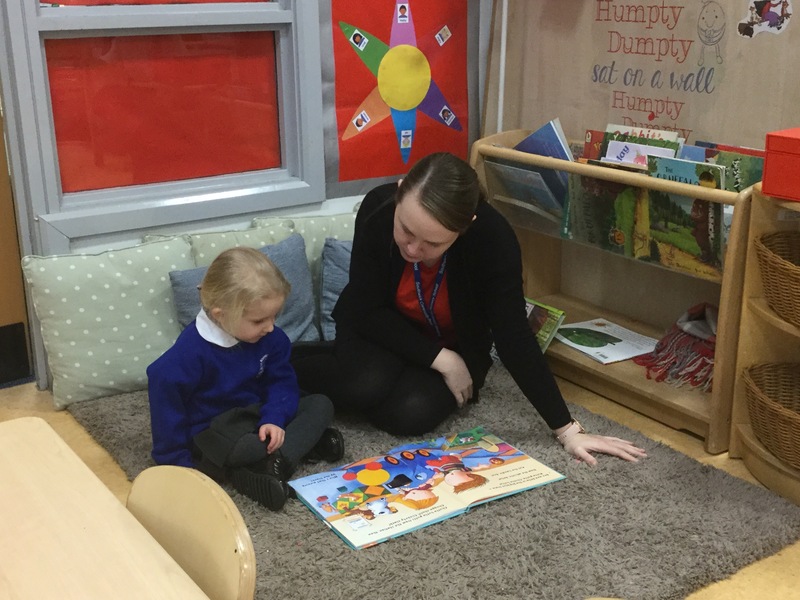 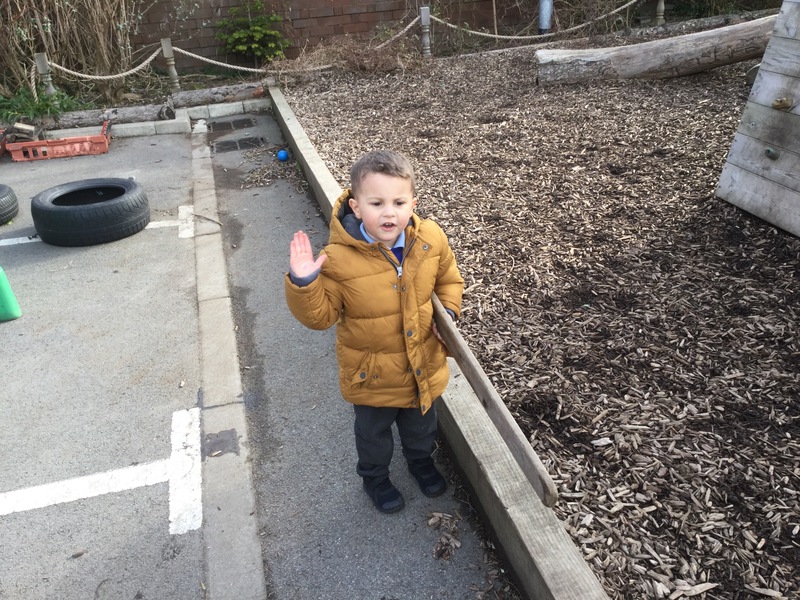 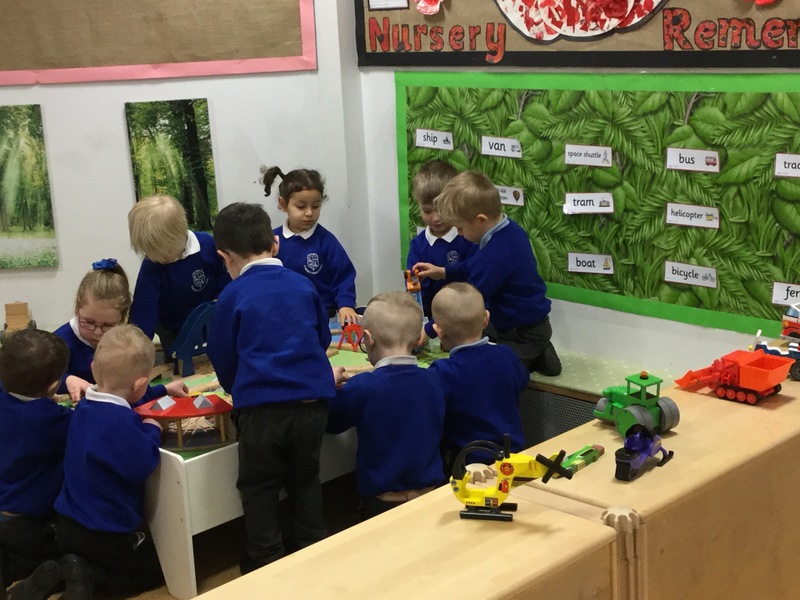 Our children are settling back into Nursery life. 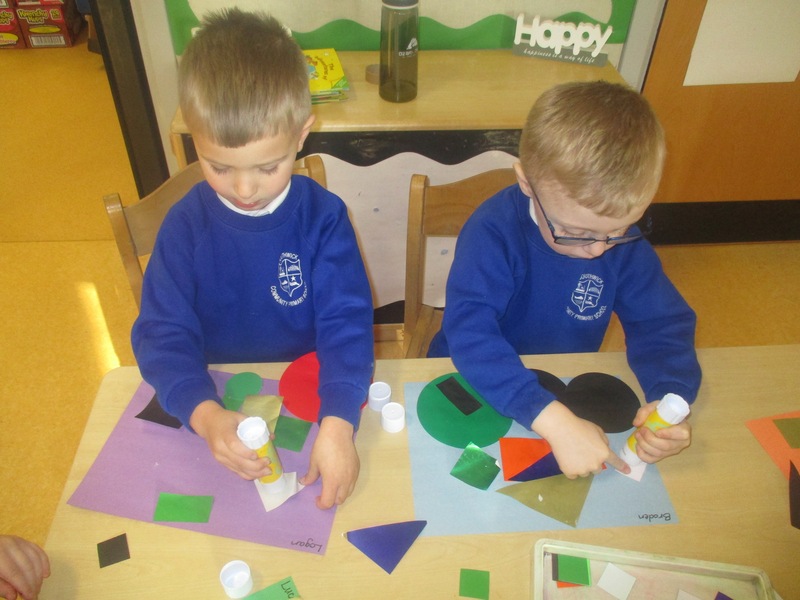 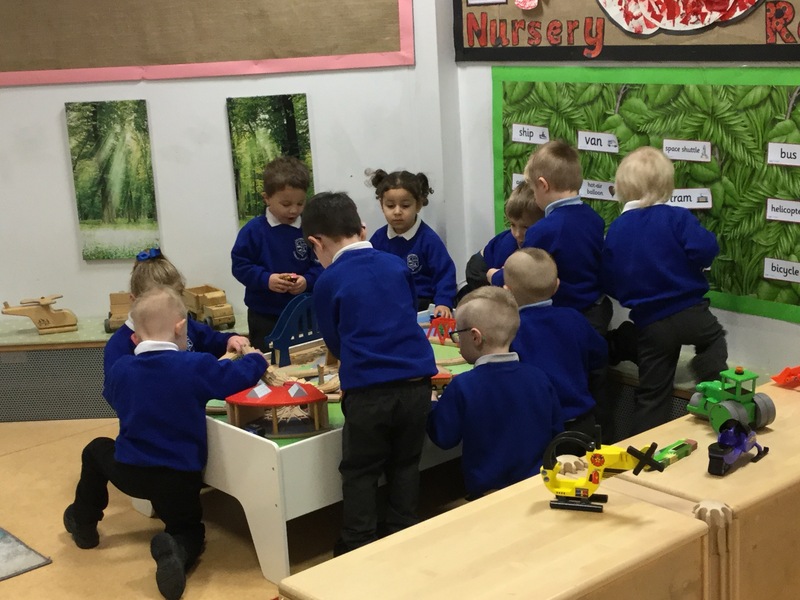 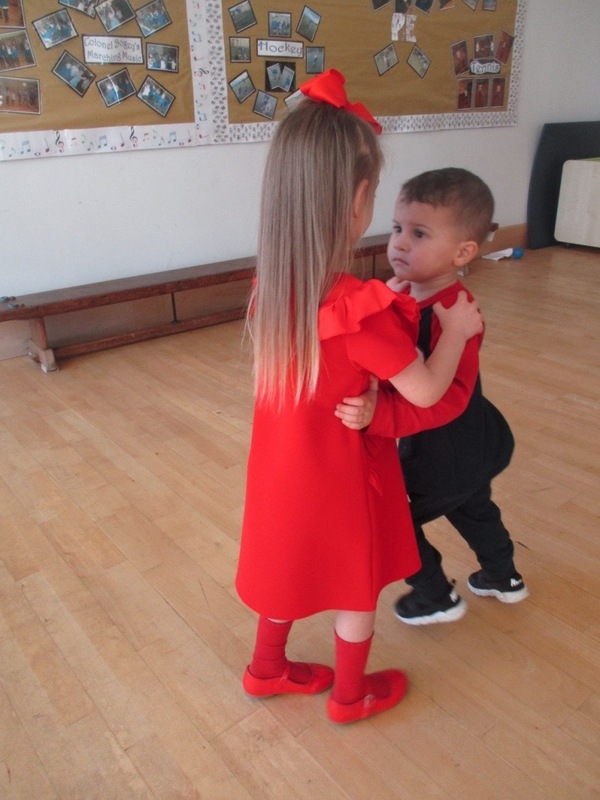 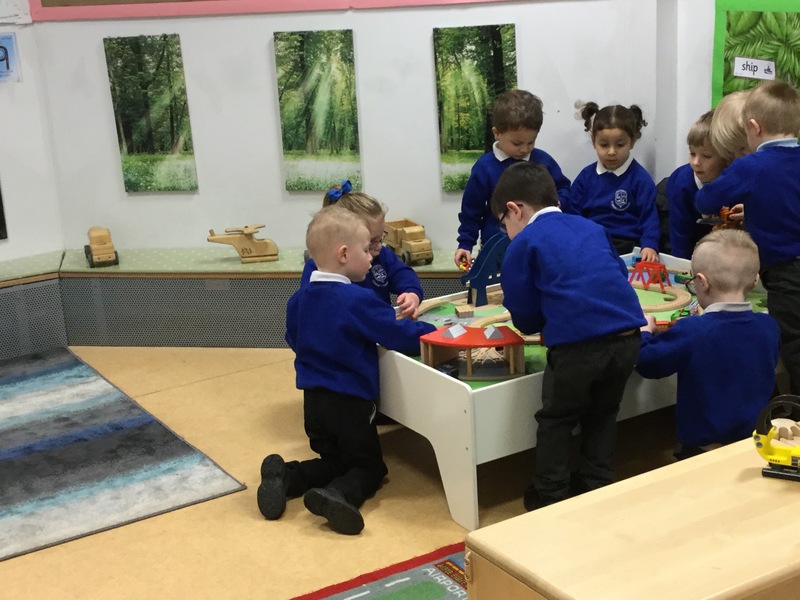 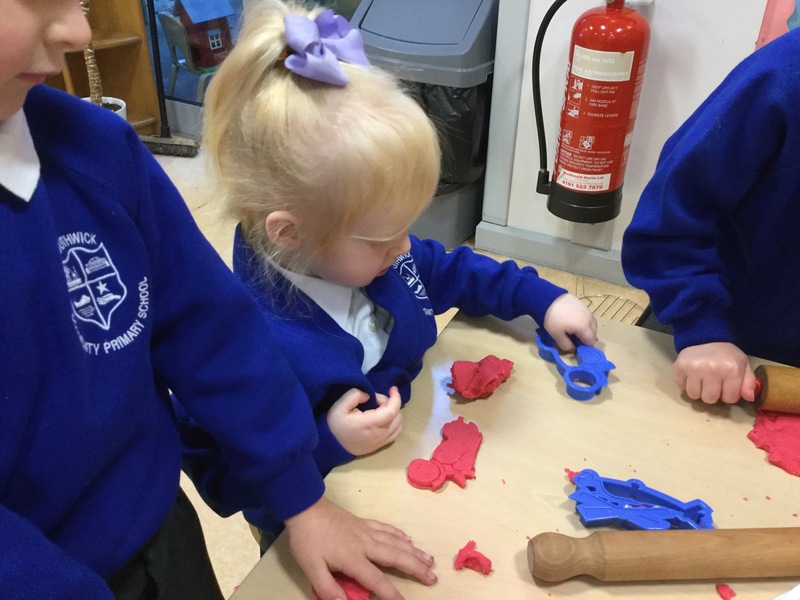 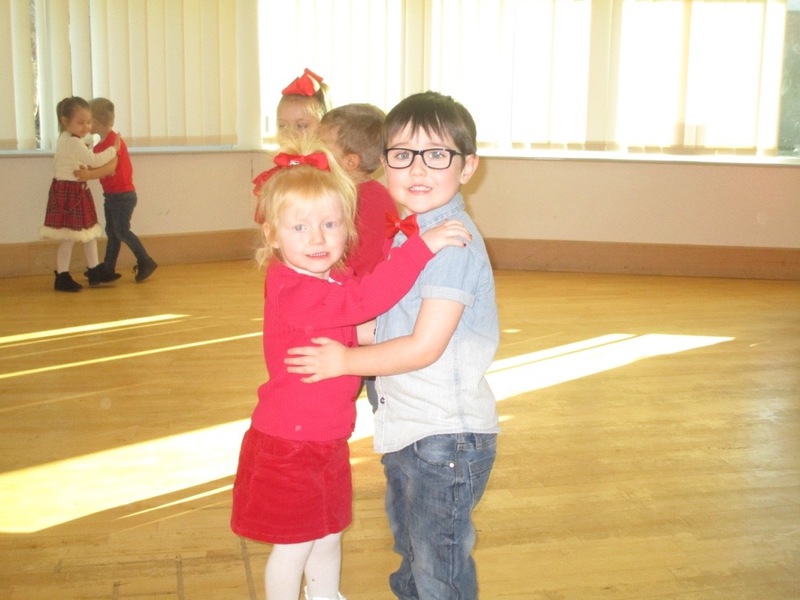 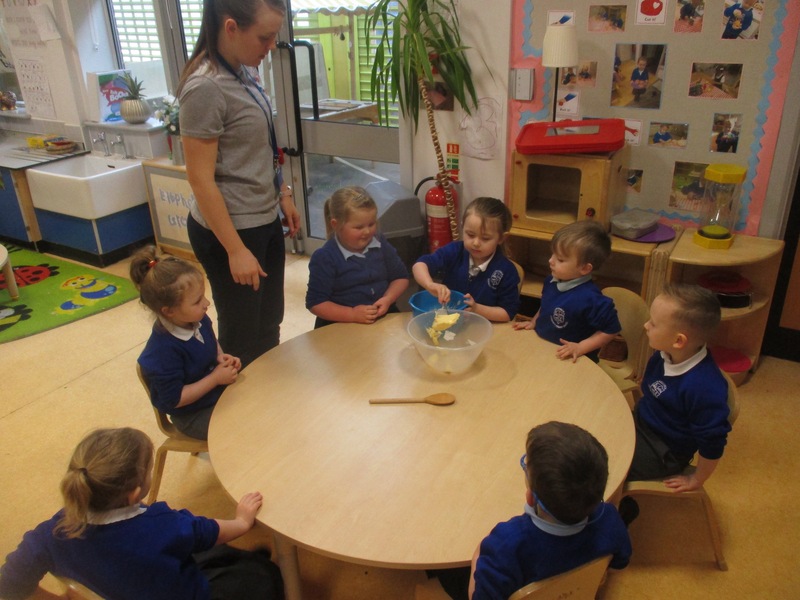 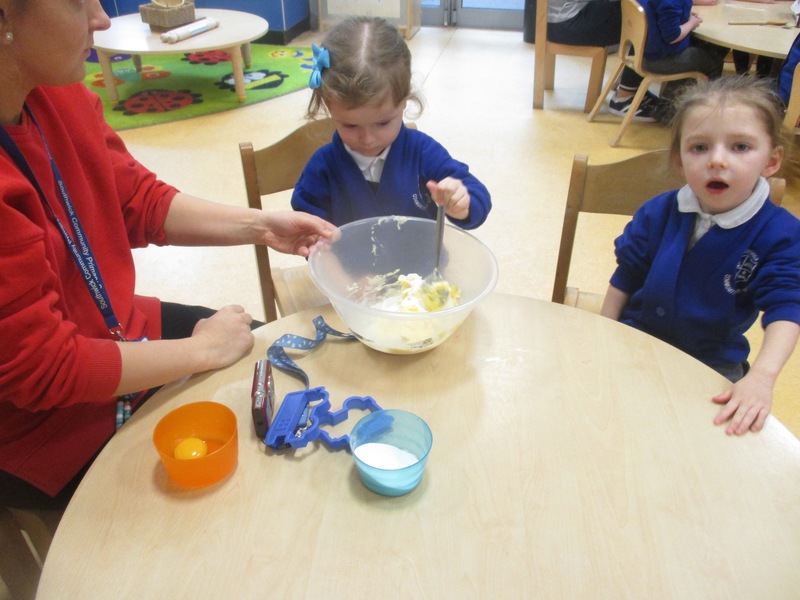 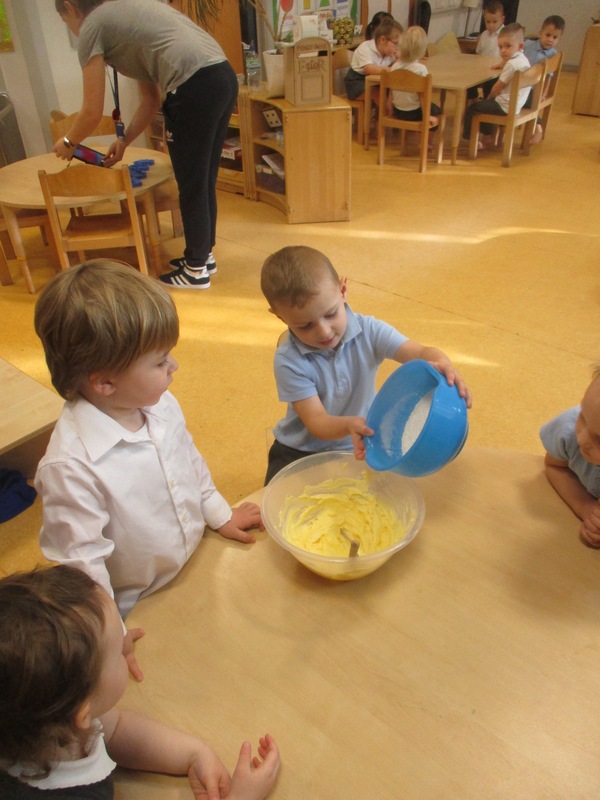 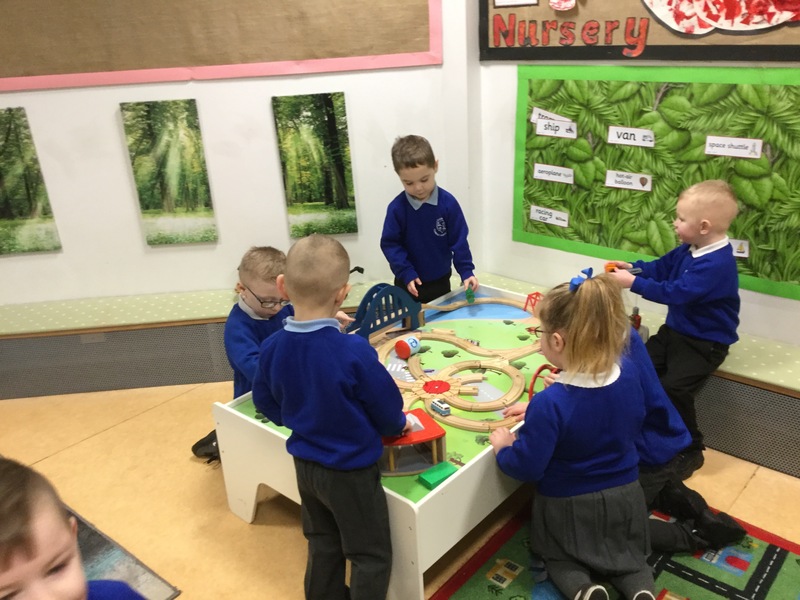 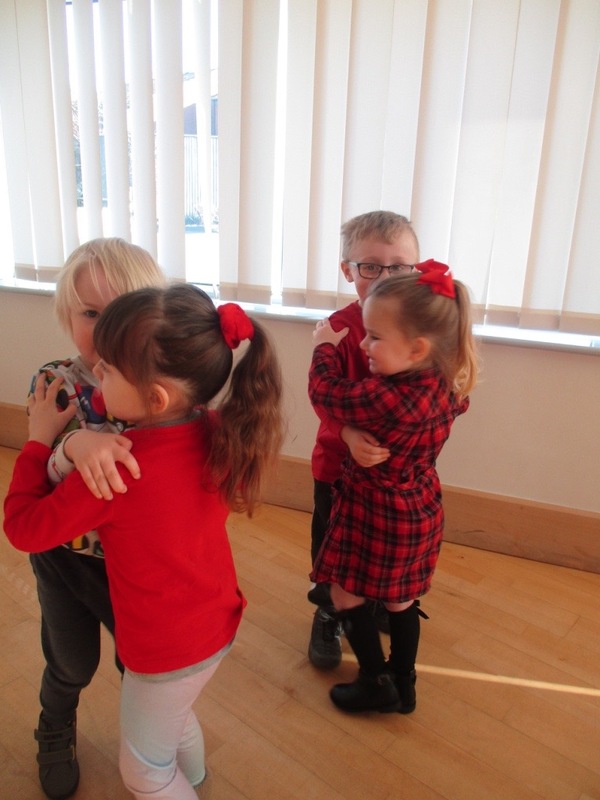 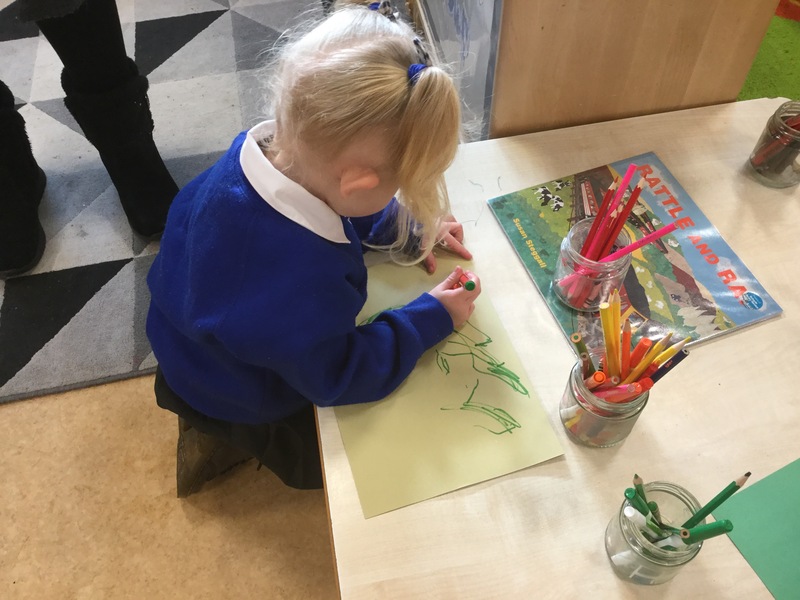 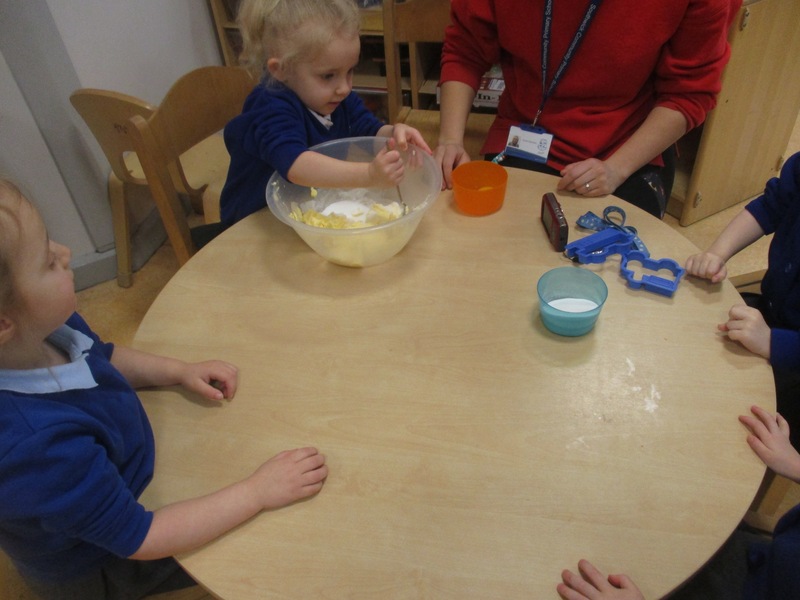 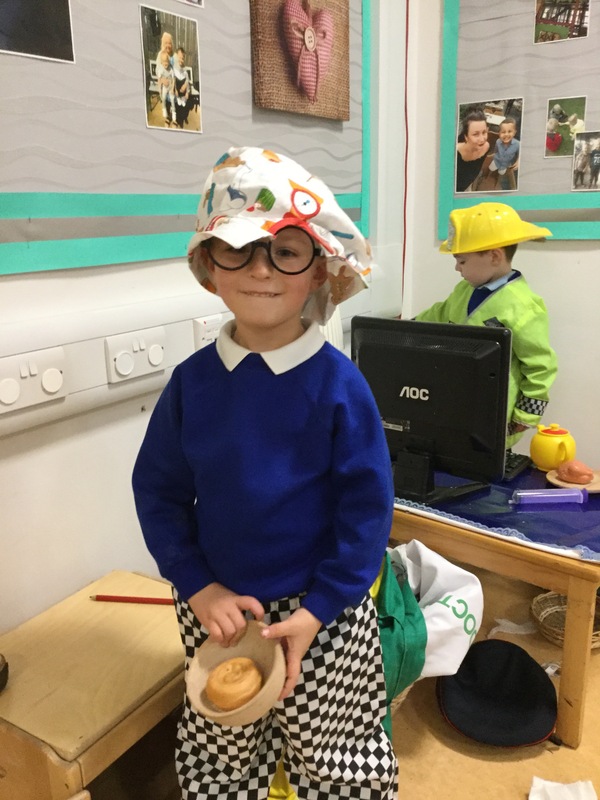 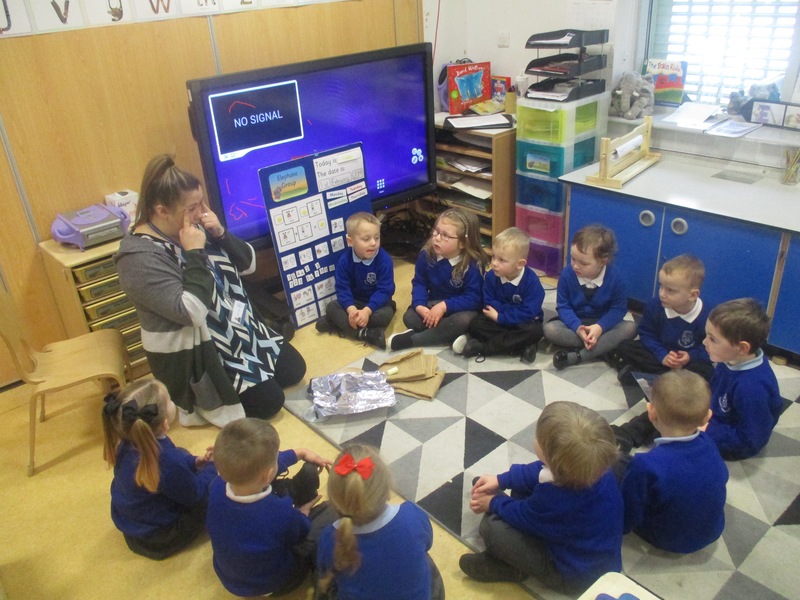 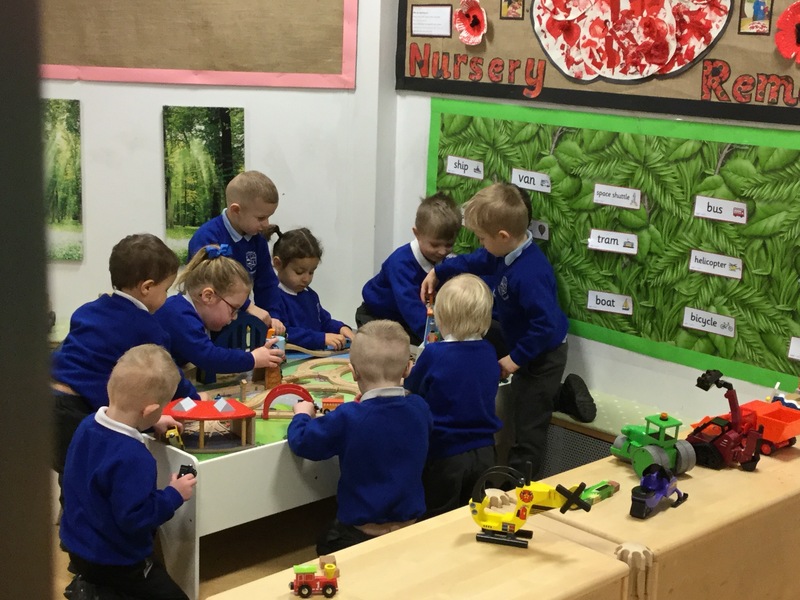 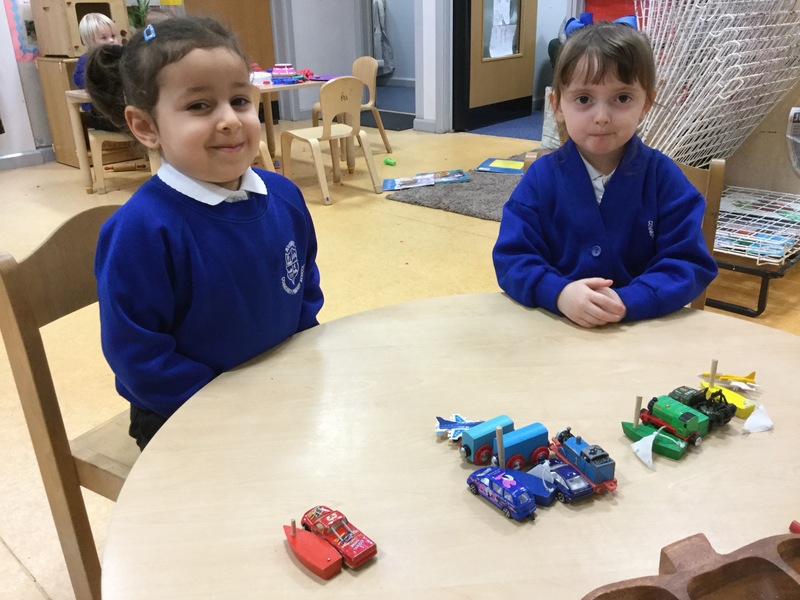 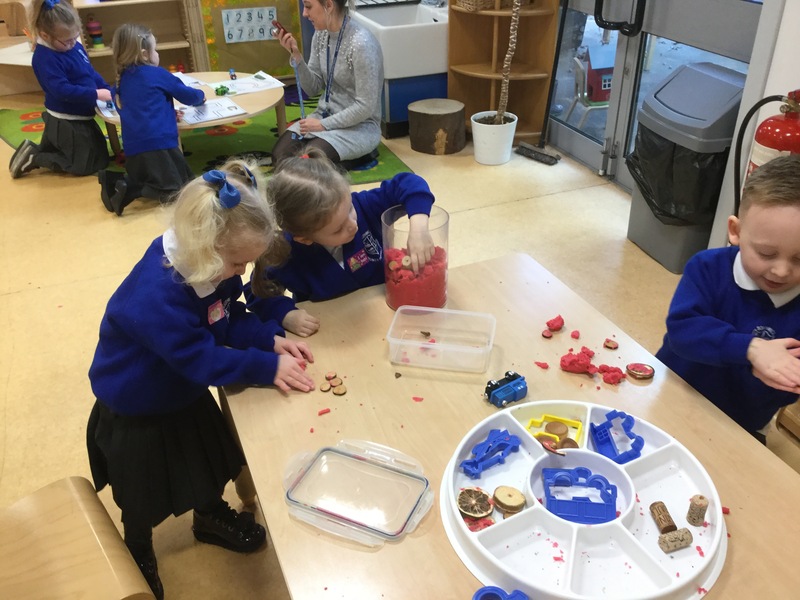 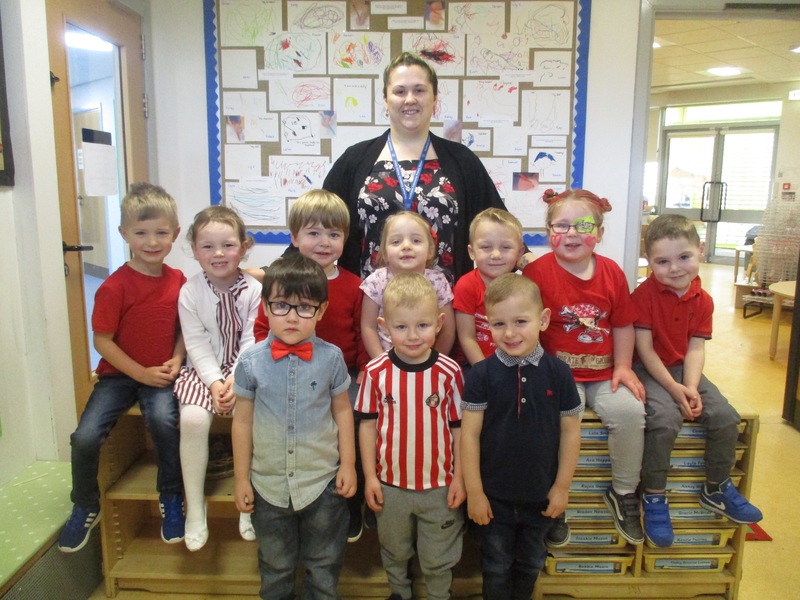 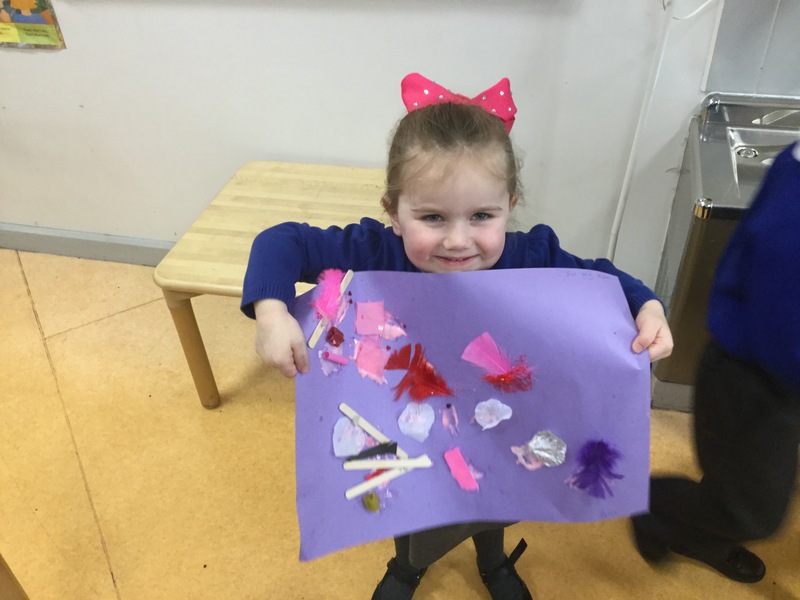 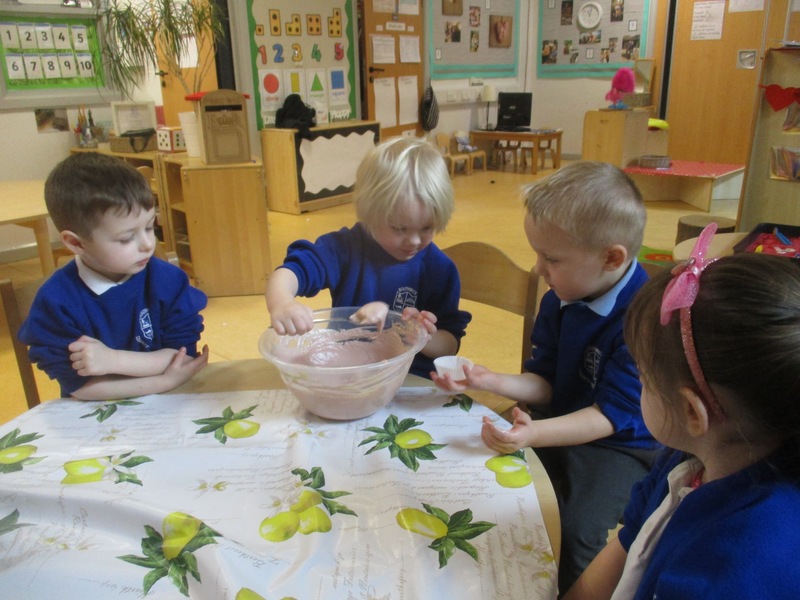 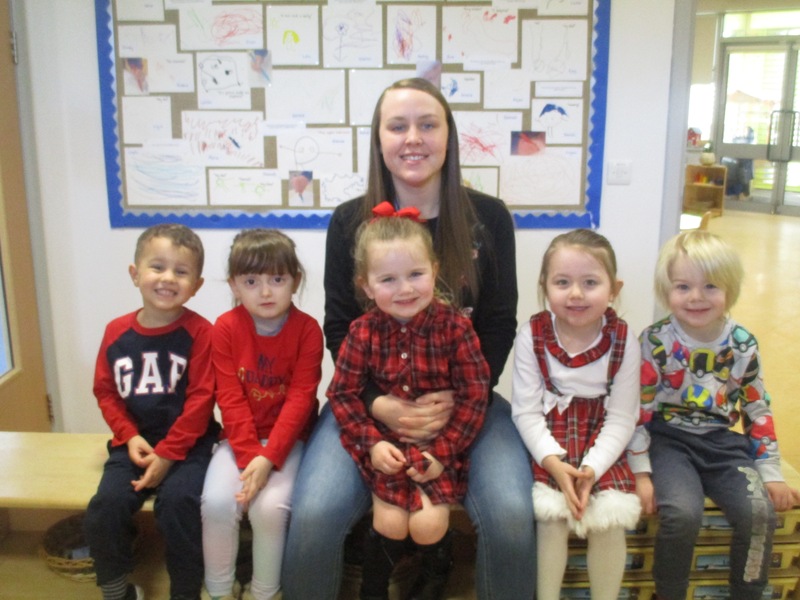 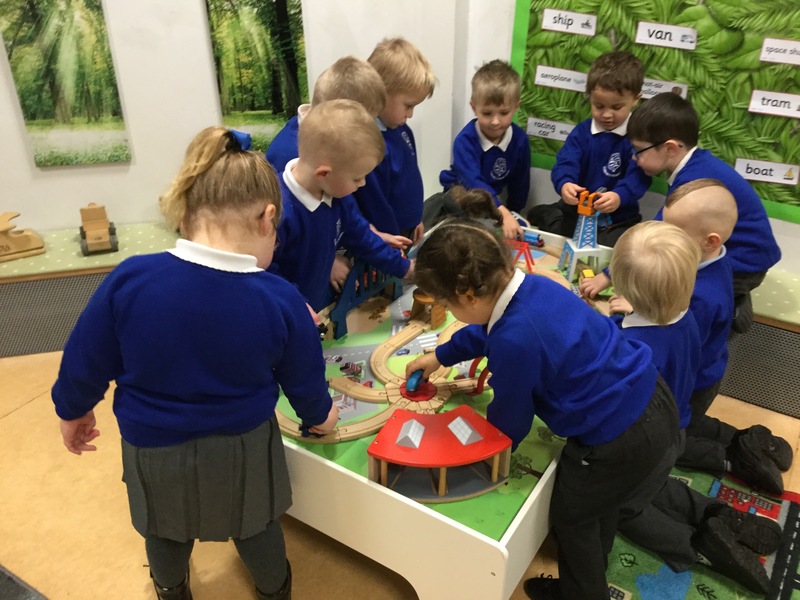 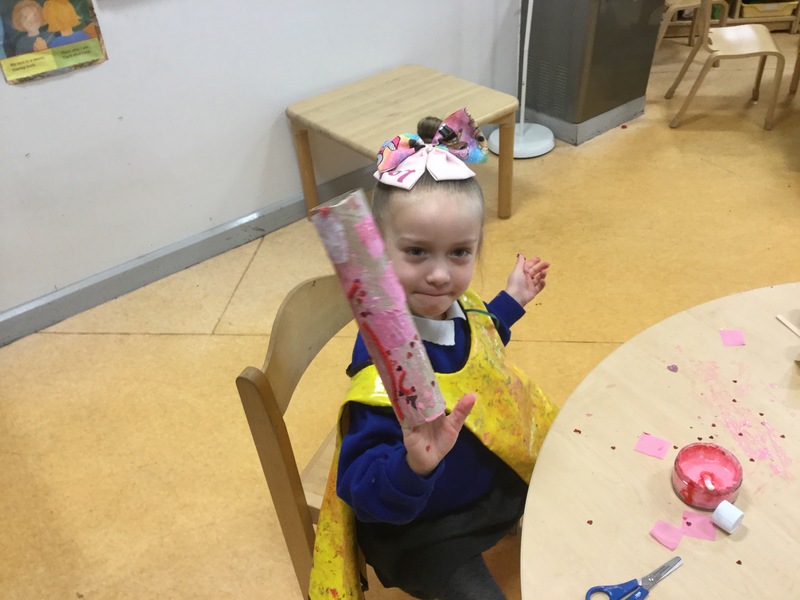 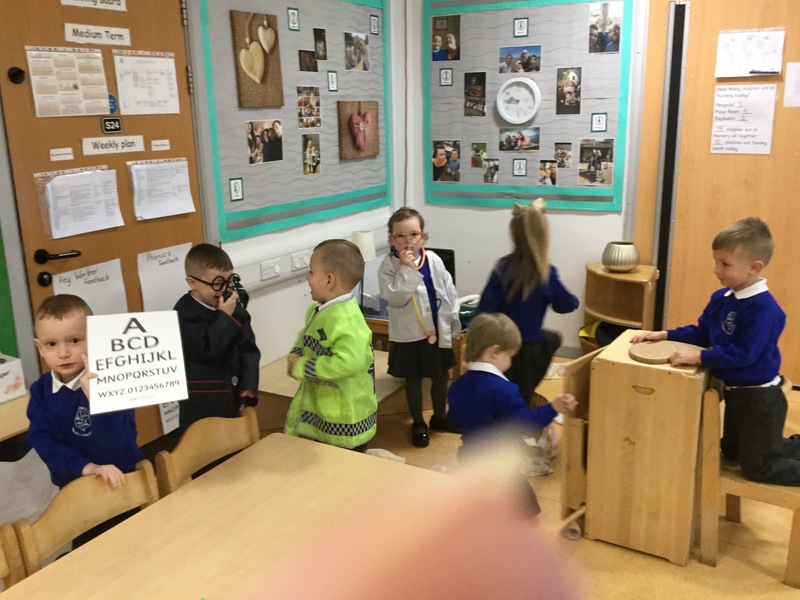 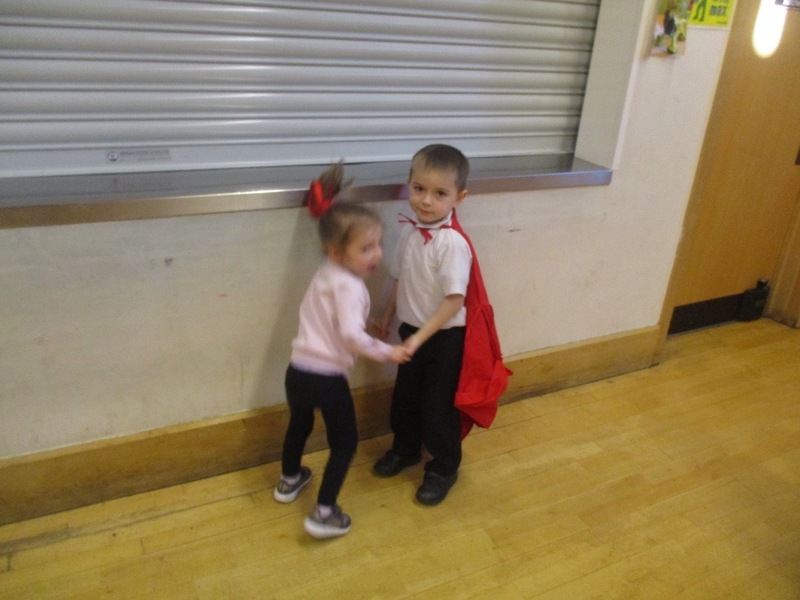 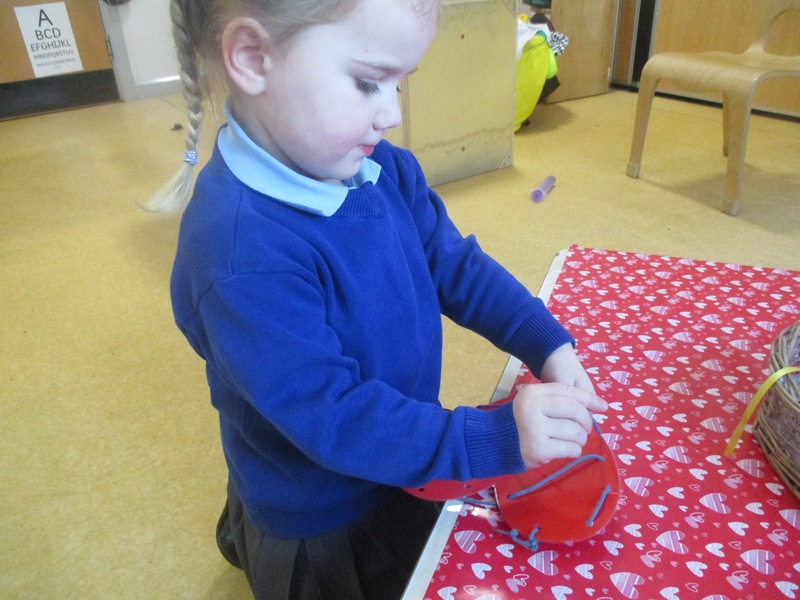 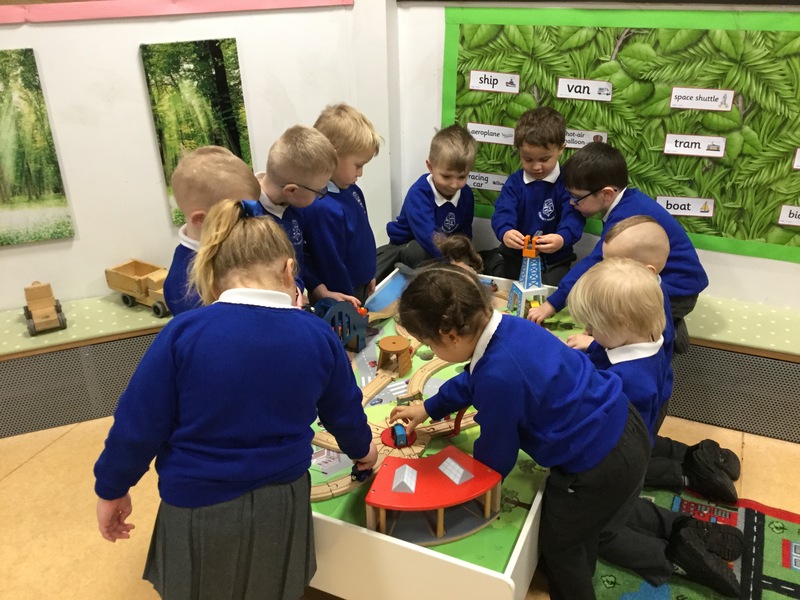 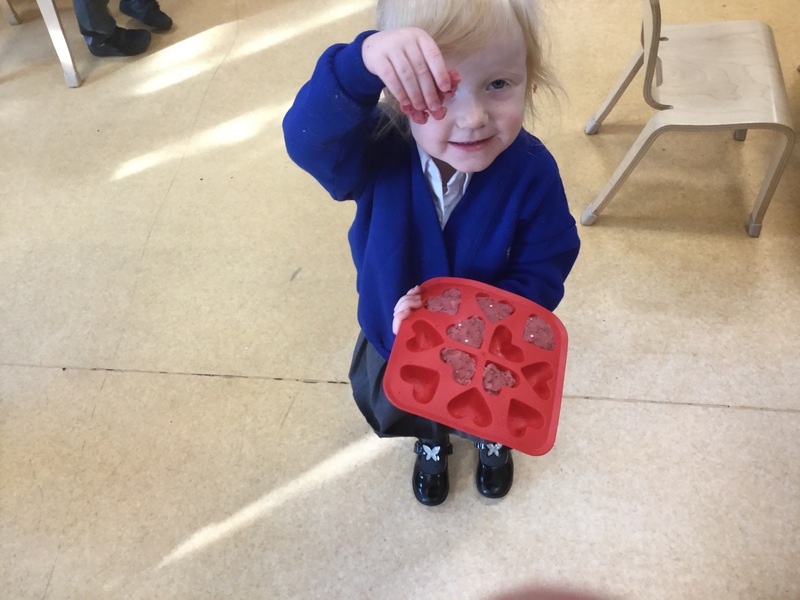 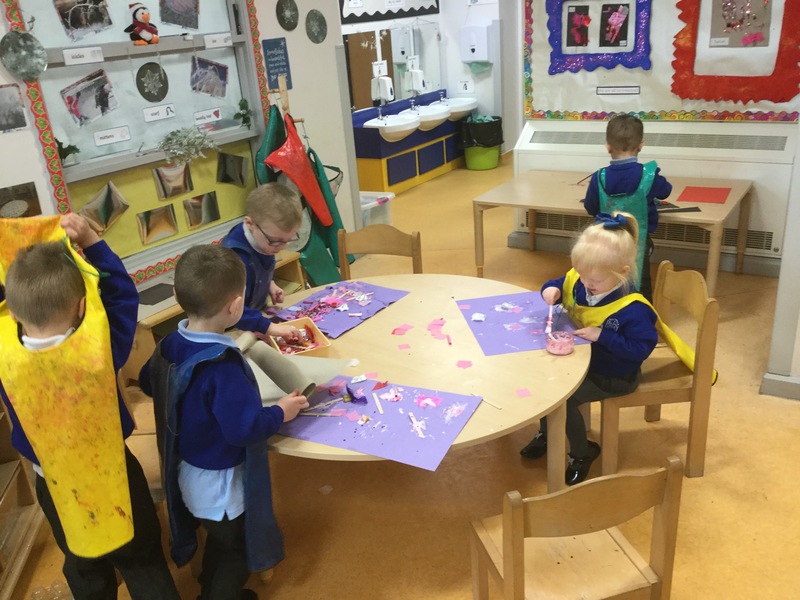 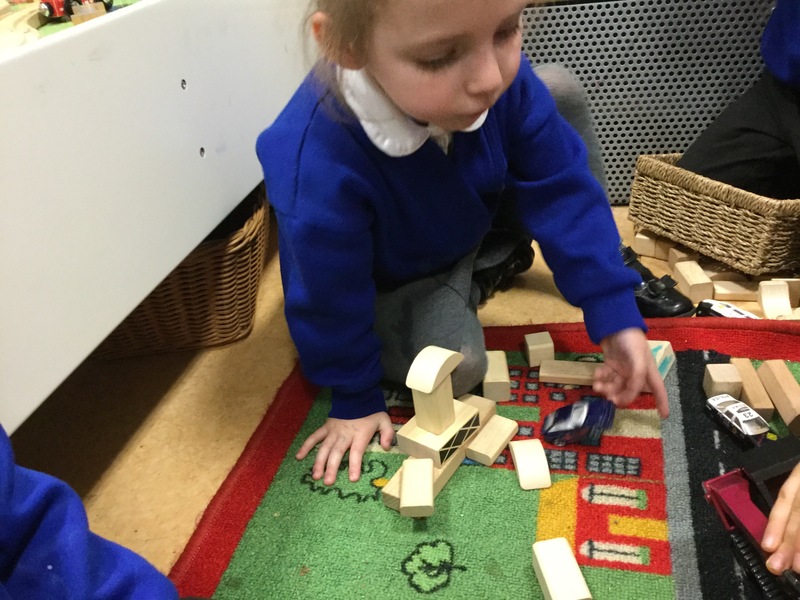 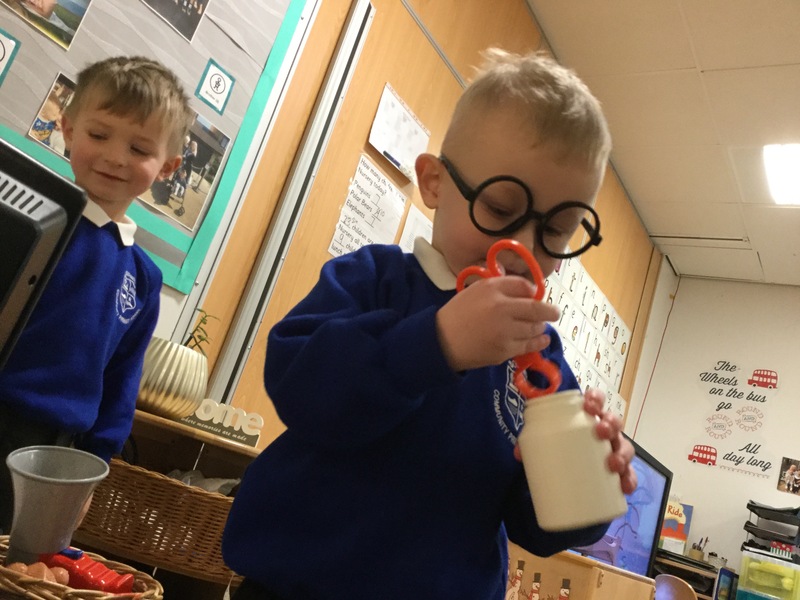 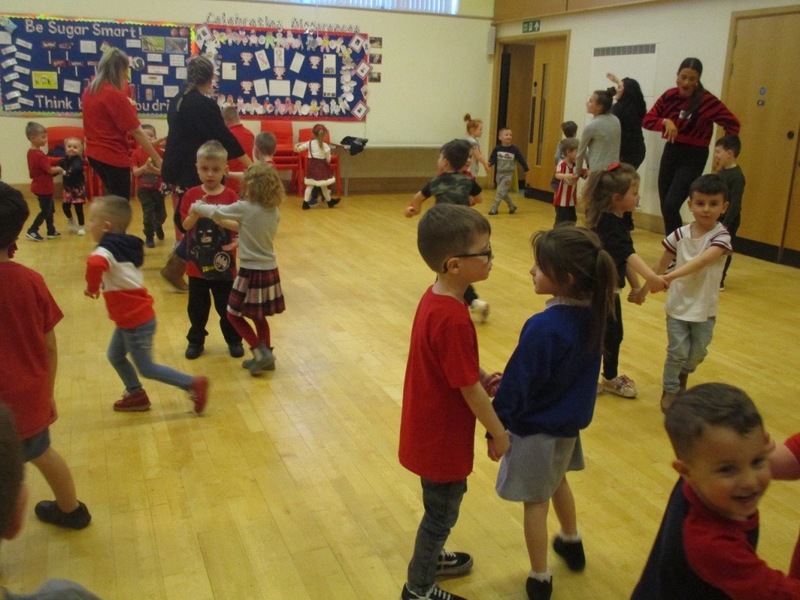 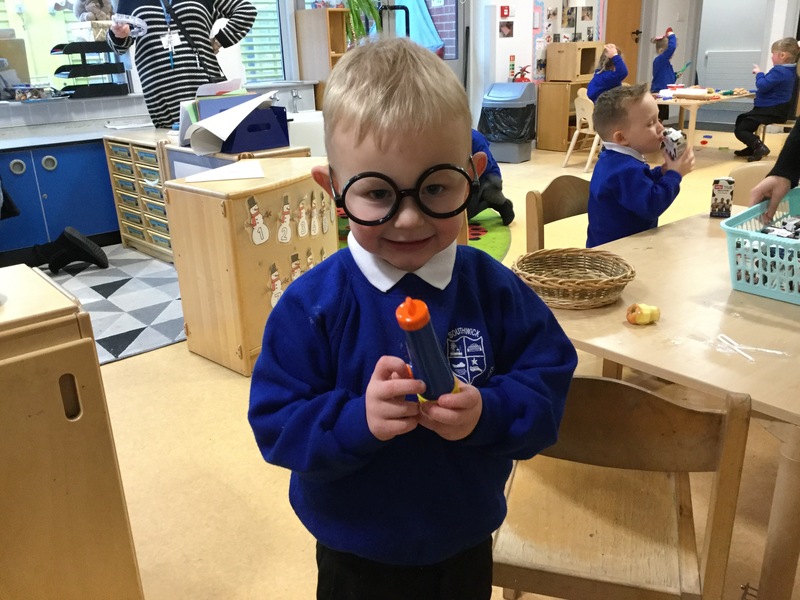 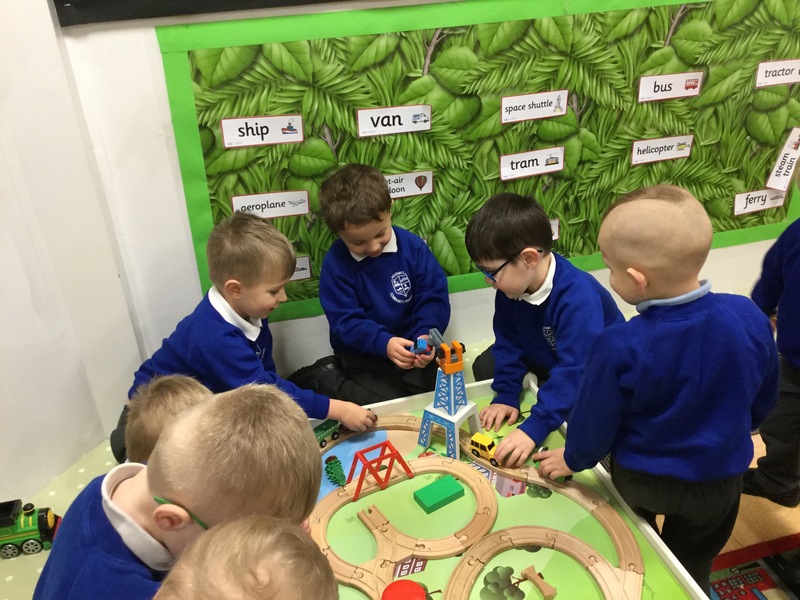 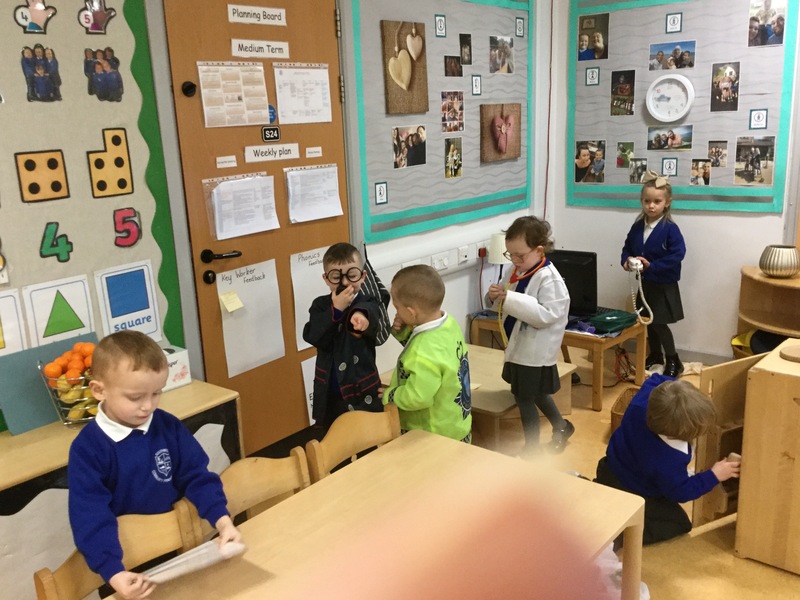 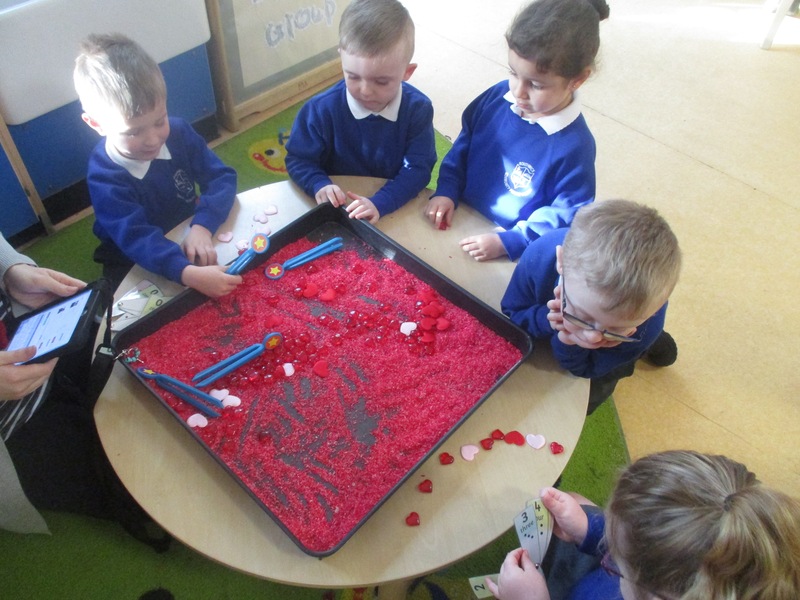 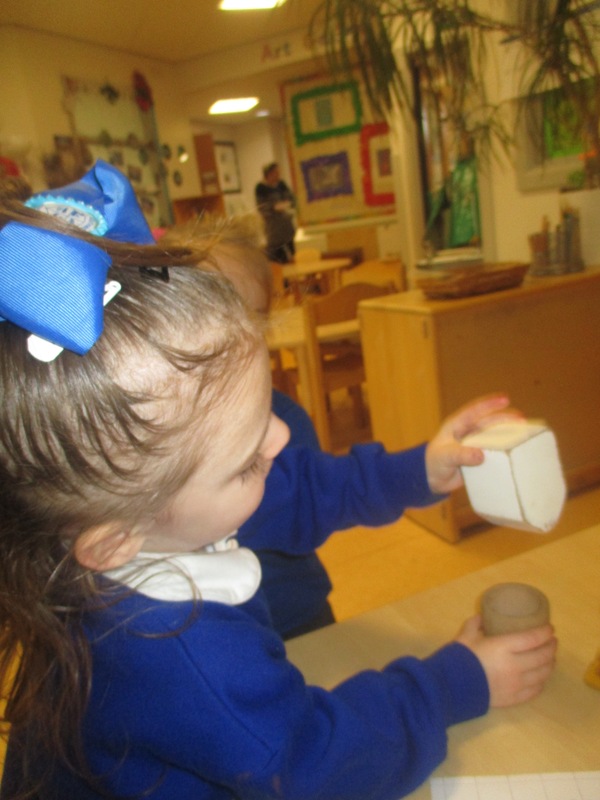 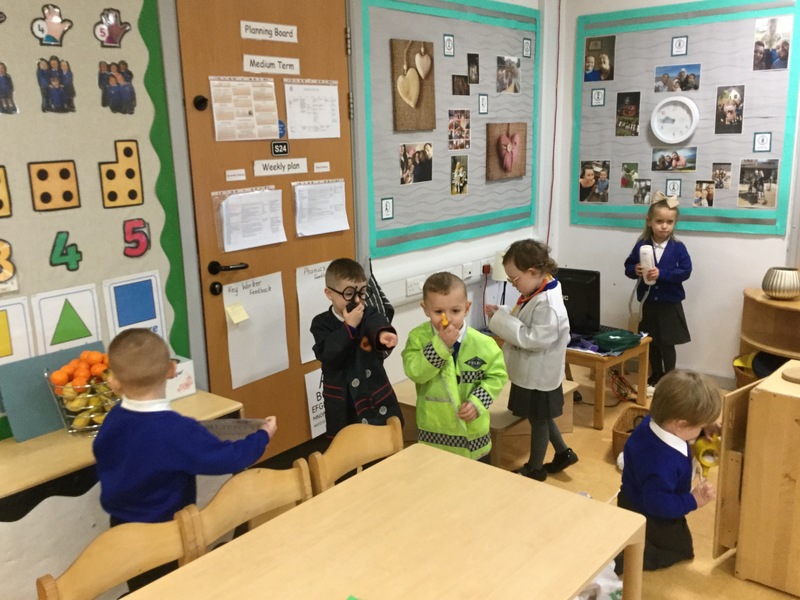 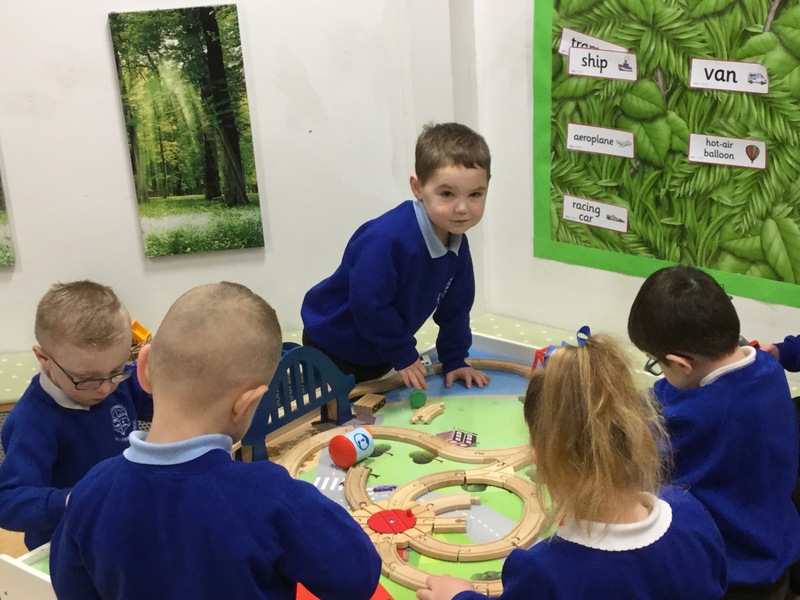 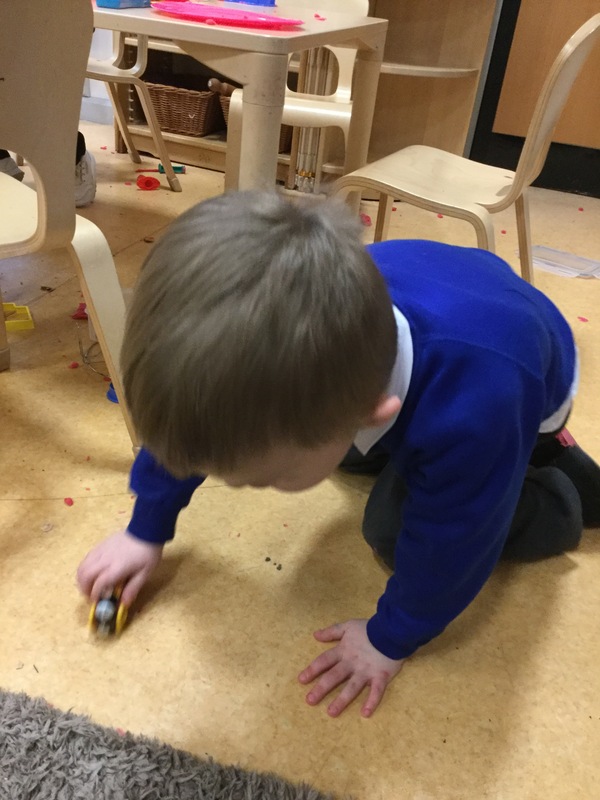 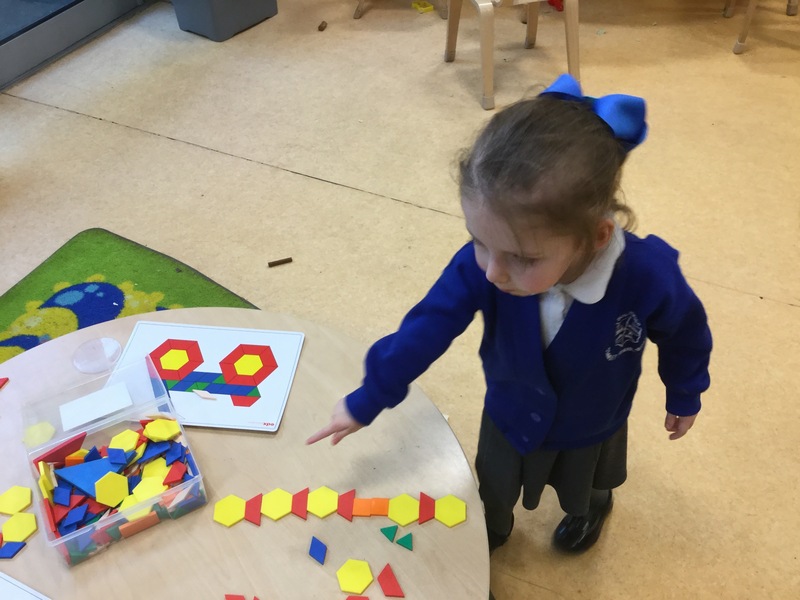 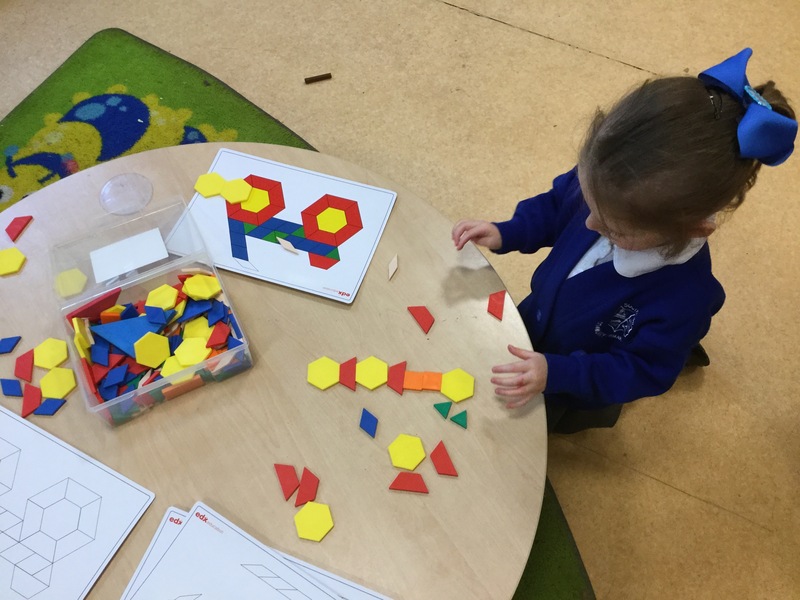 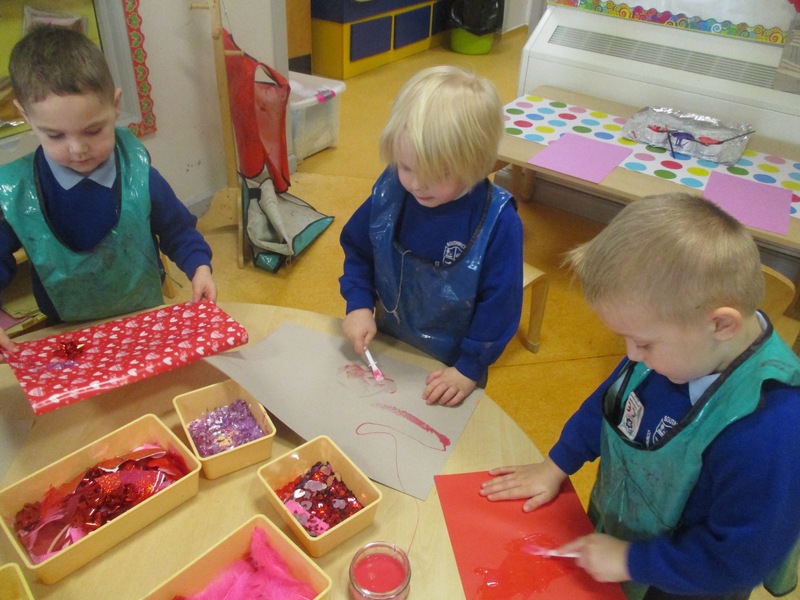 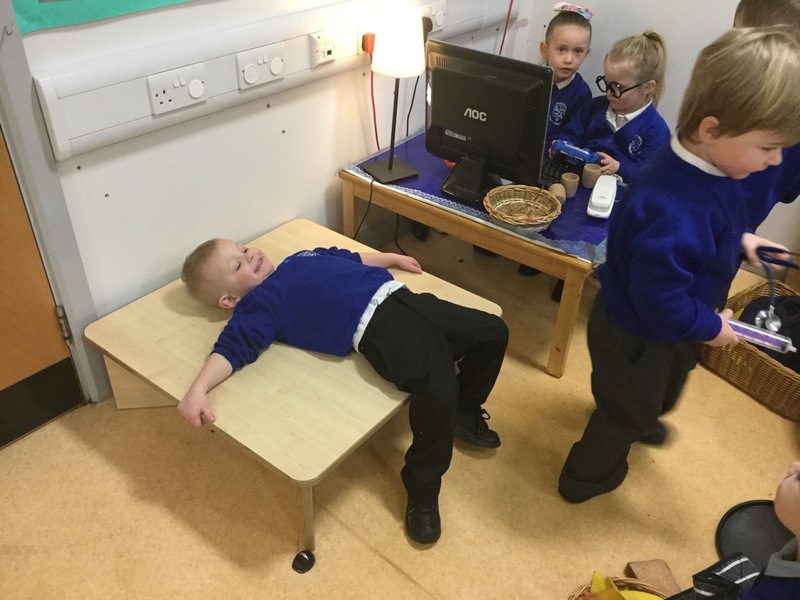 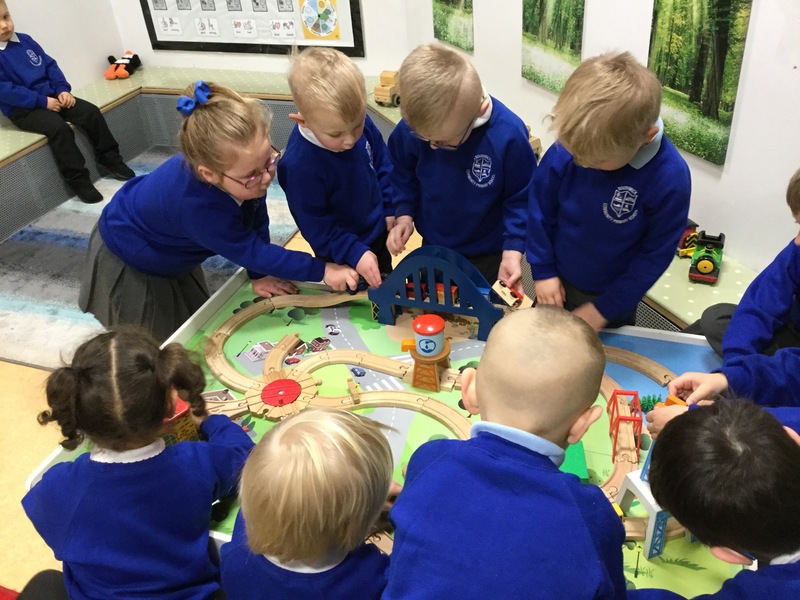 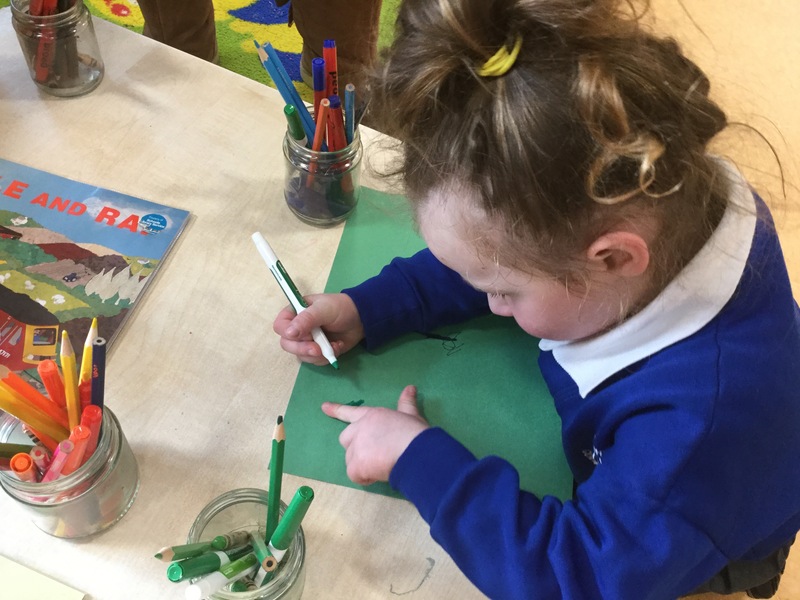 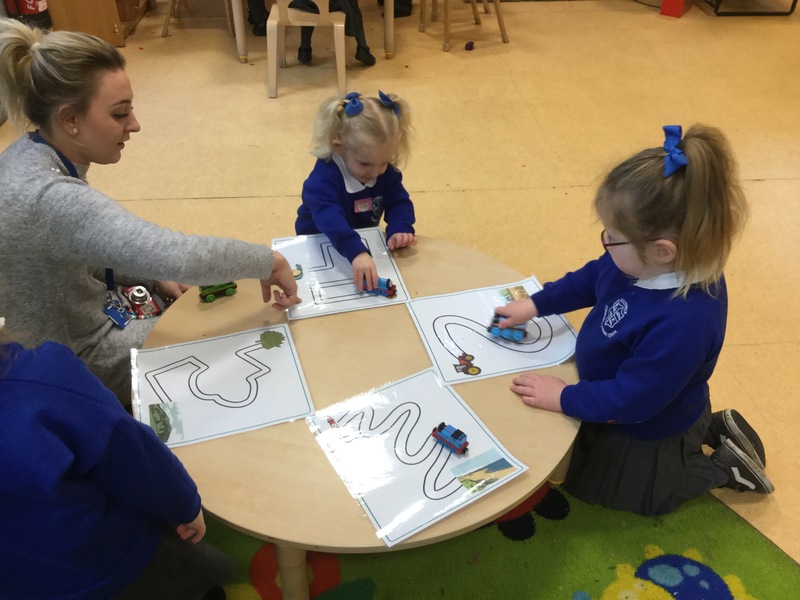 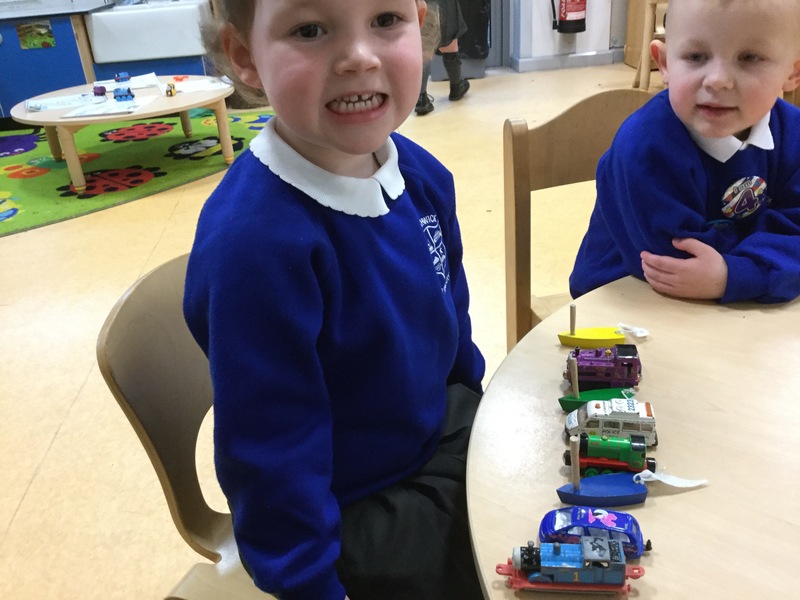 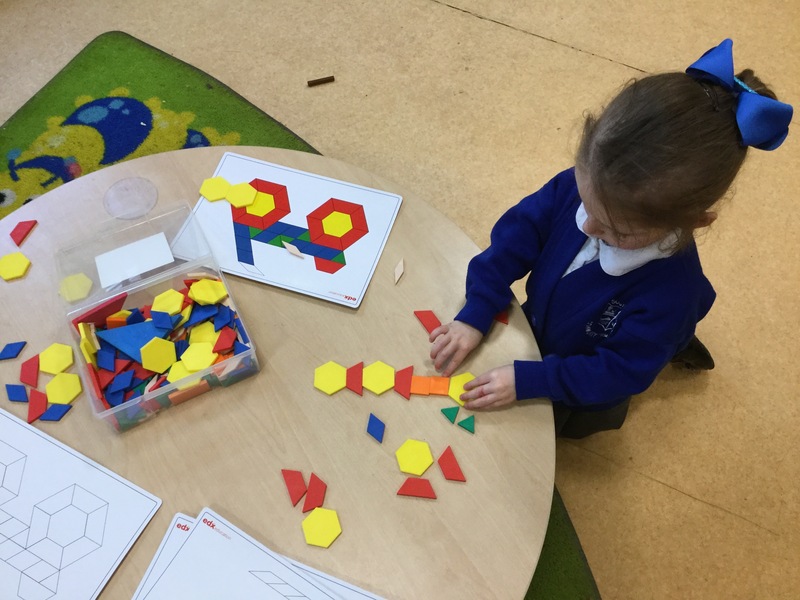 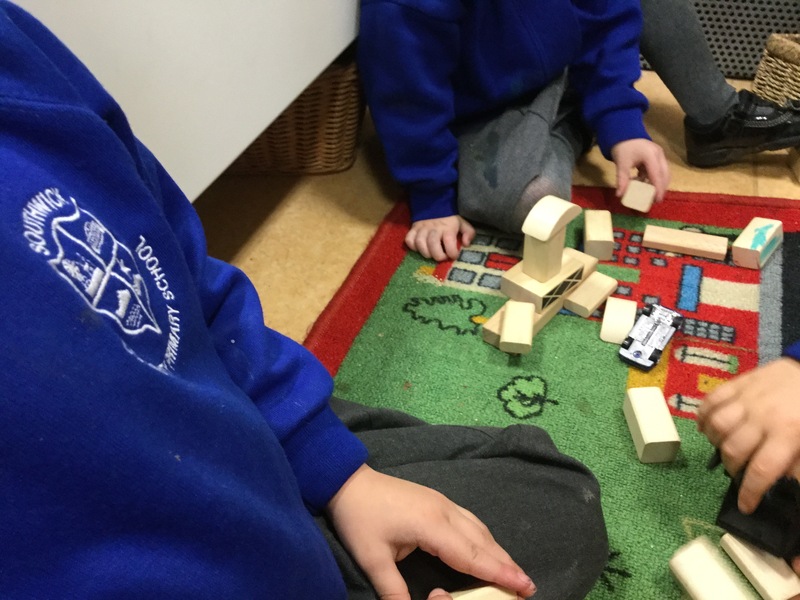 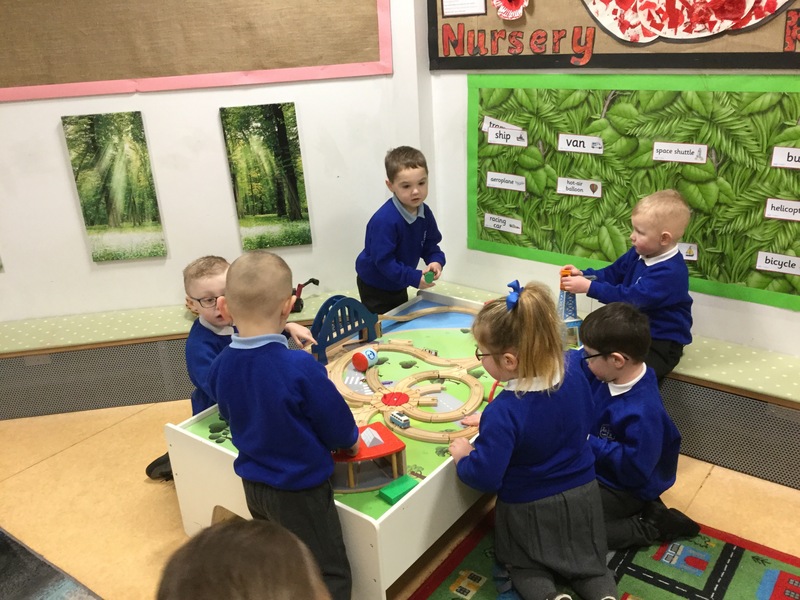 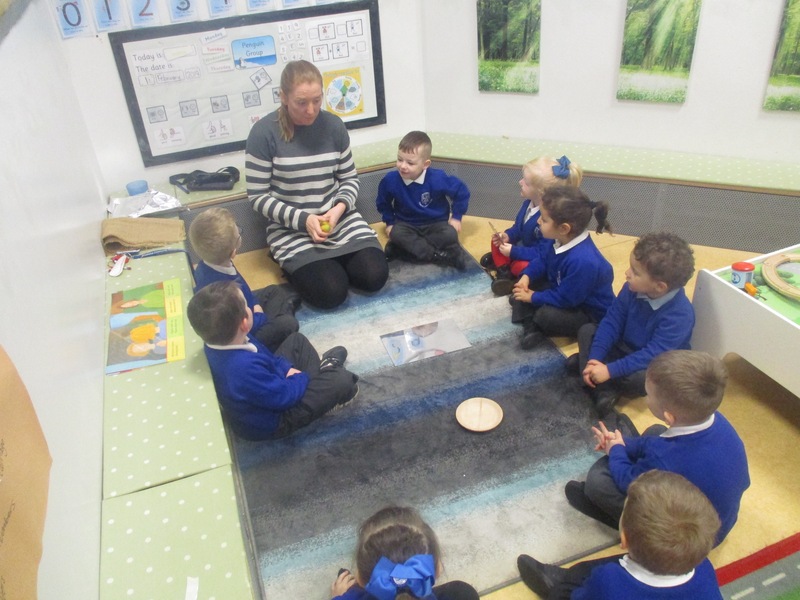 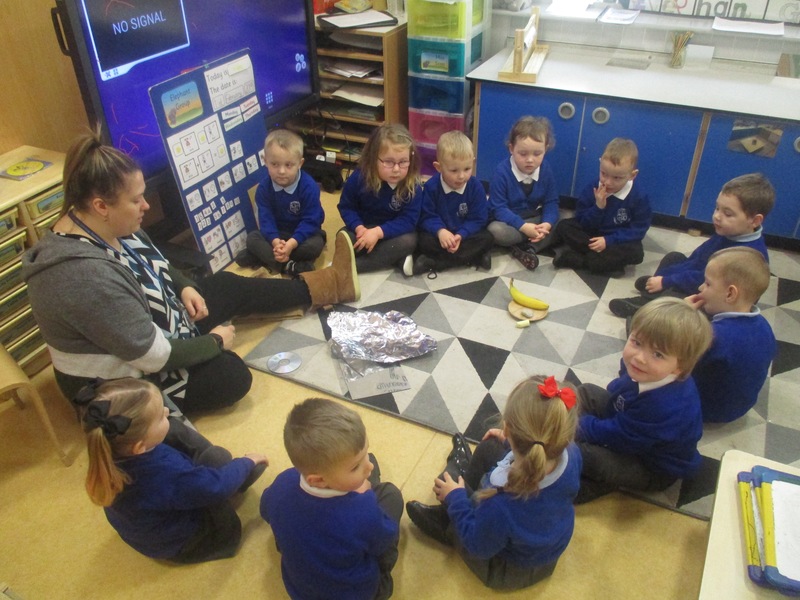 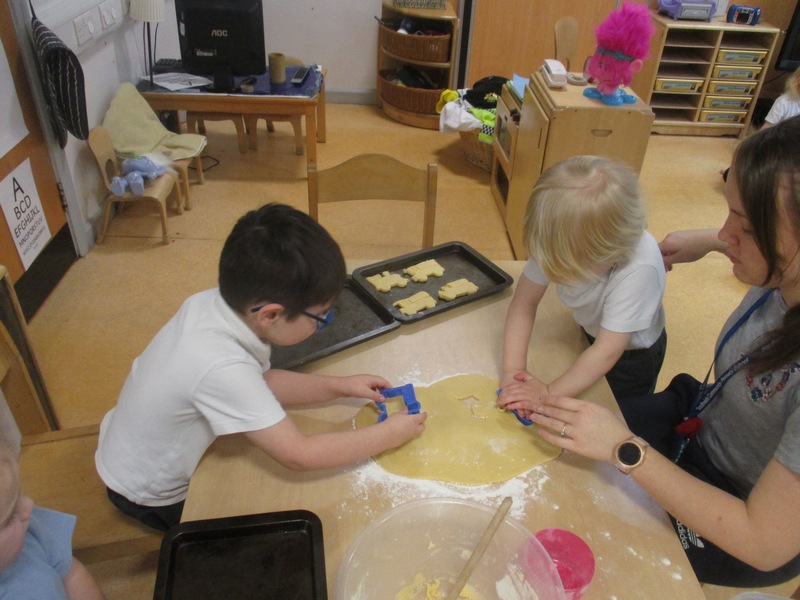 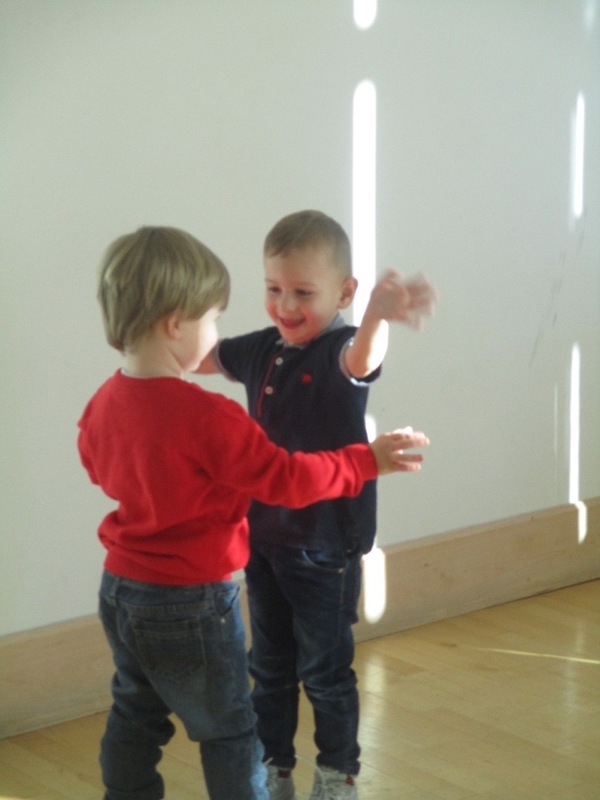 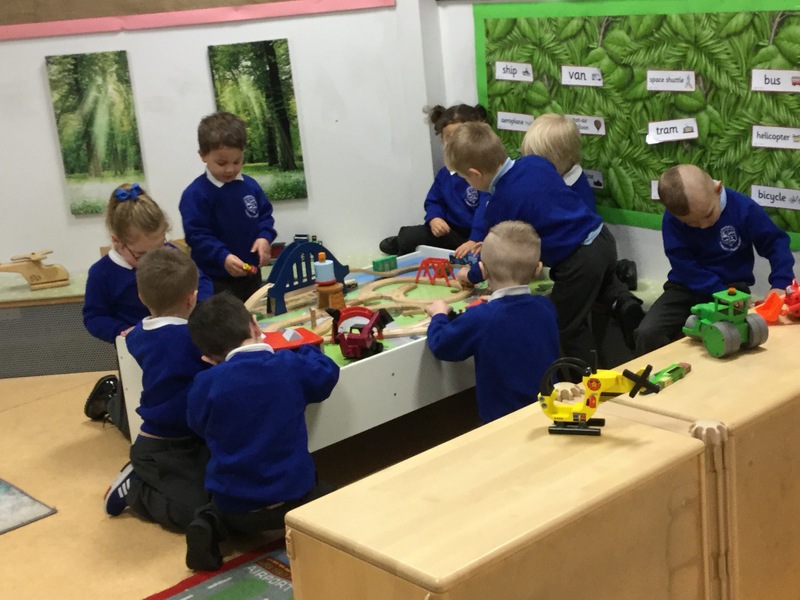 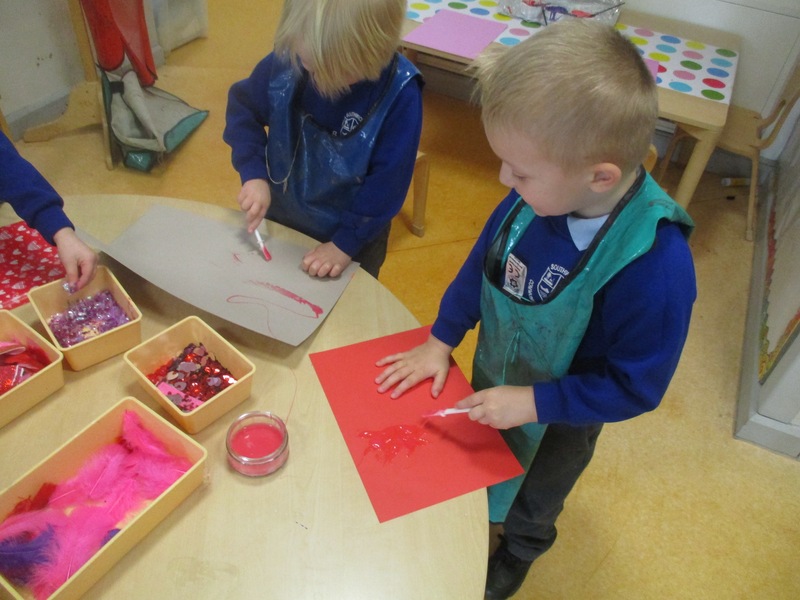 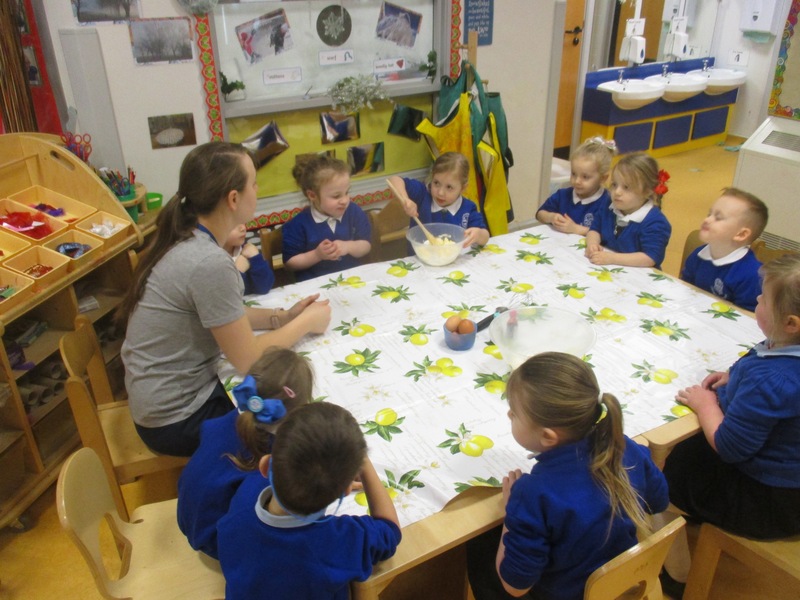 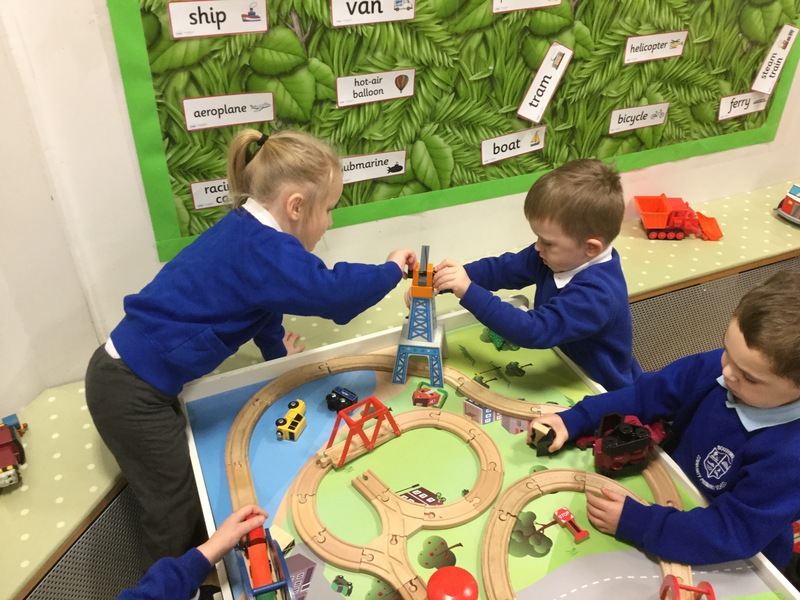 They have really enjoyed reminding themselves of all of the fun and creative things that they can do in Nursery during their first week back and have really enjoyed catching up with their friends. 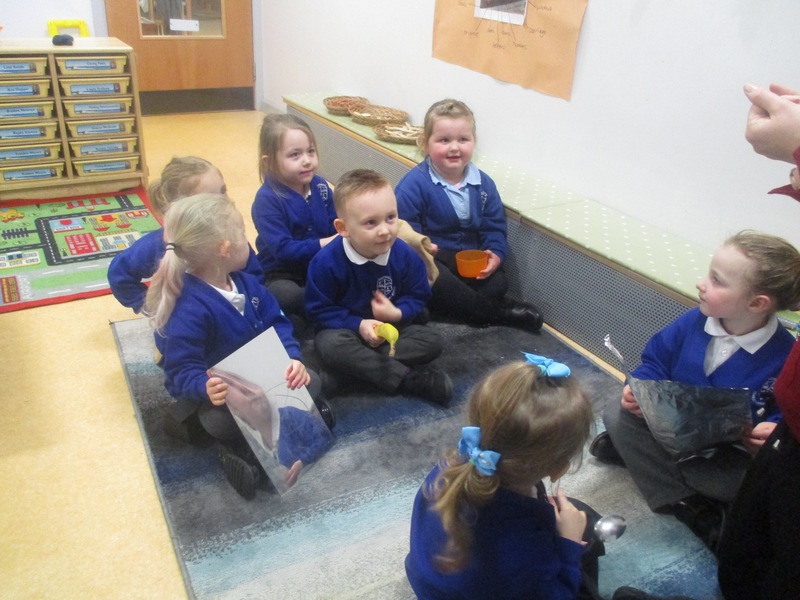 They have even made some new friends. 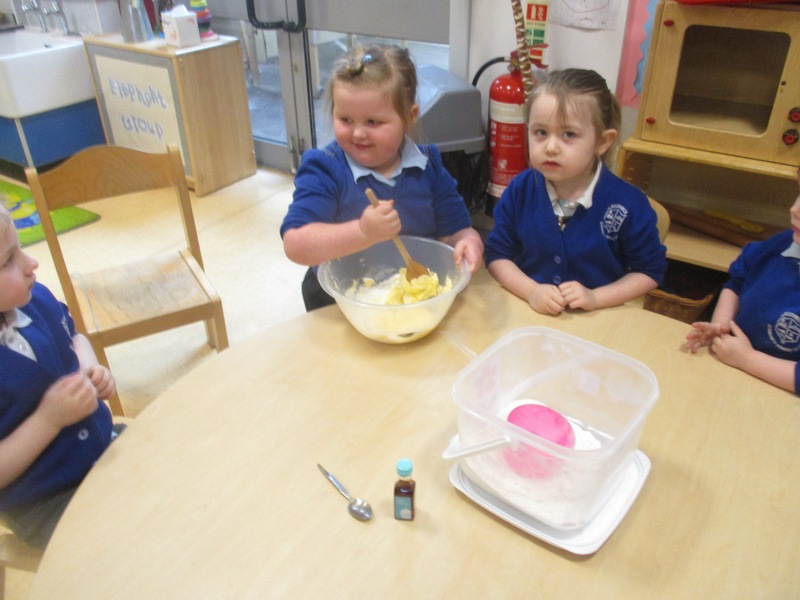 Let’s give a great big Southwick welcome to our new youngest children Faith, Harper and Layla! 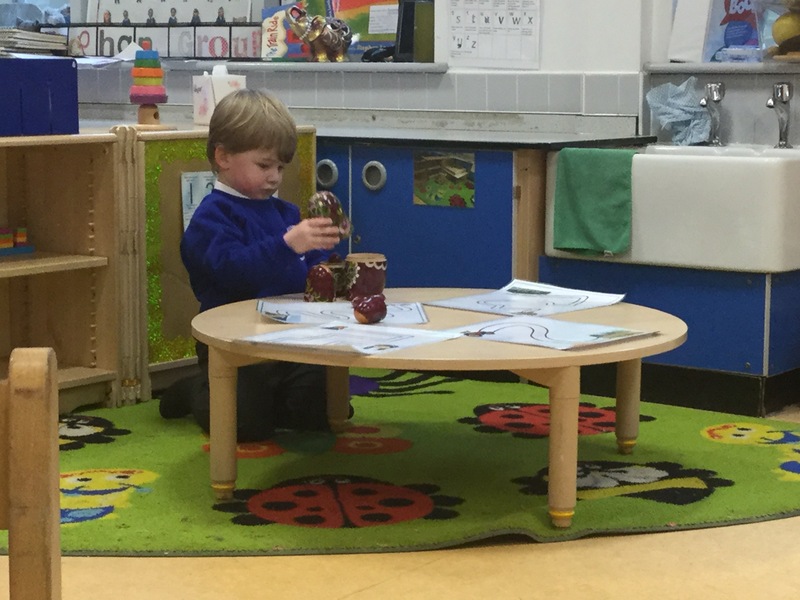 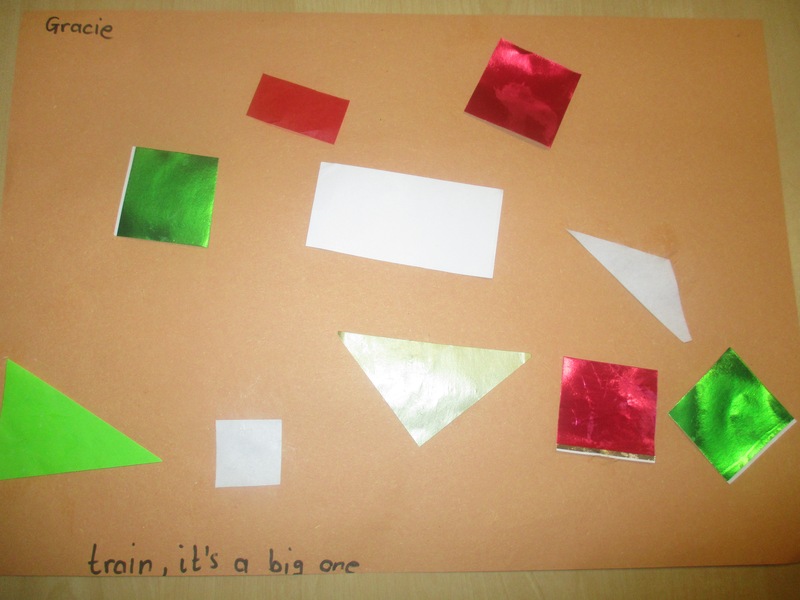 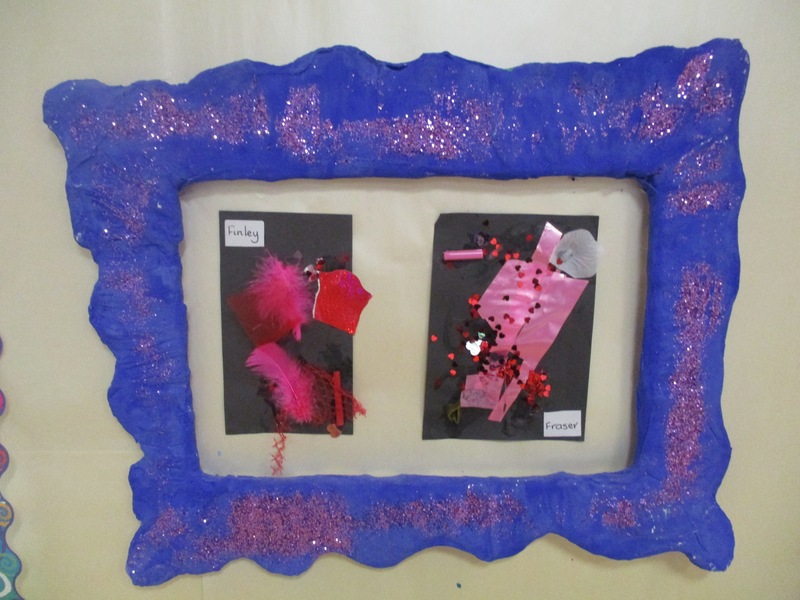 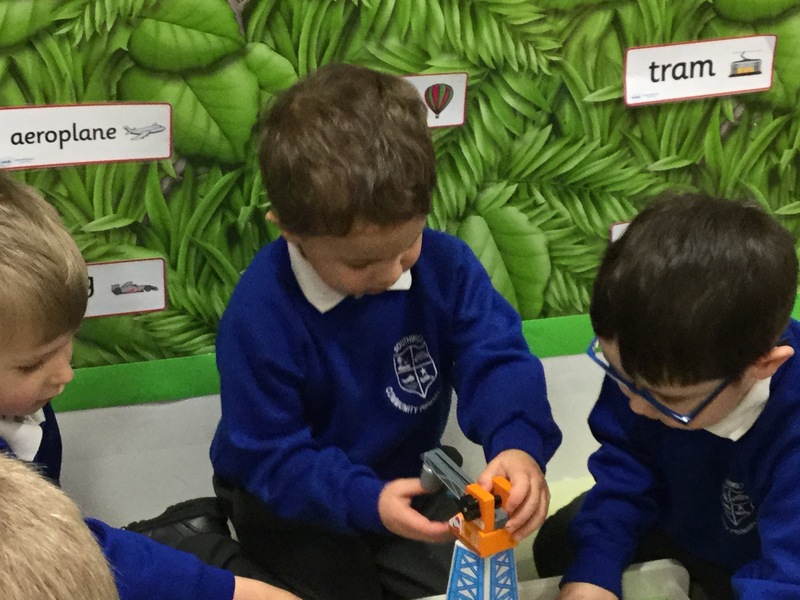 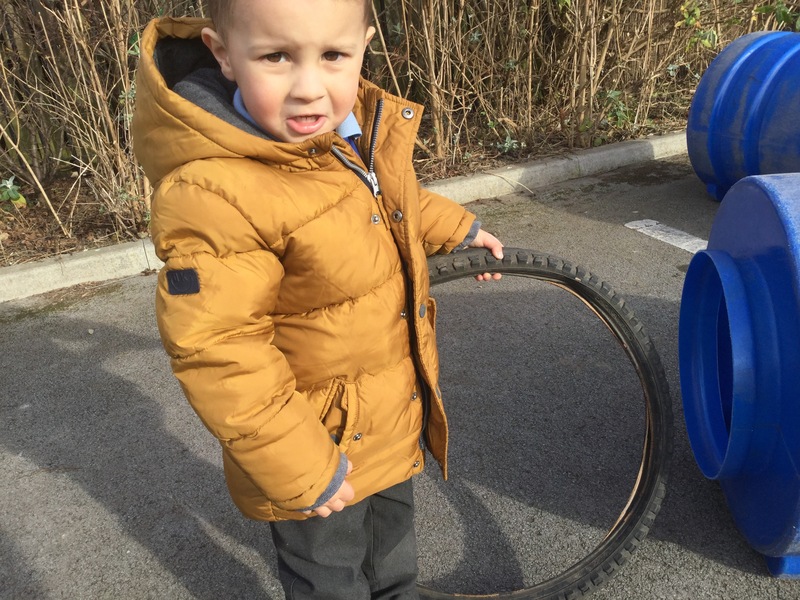 The children have also enjoyed bringing some of their Christmas toys into school during our Show and Tell session. 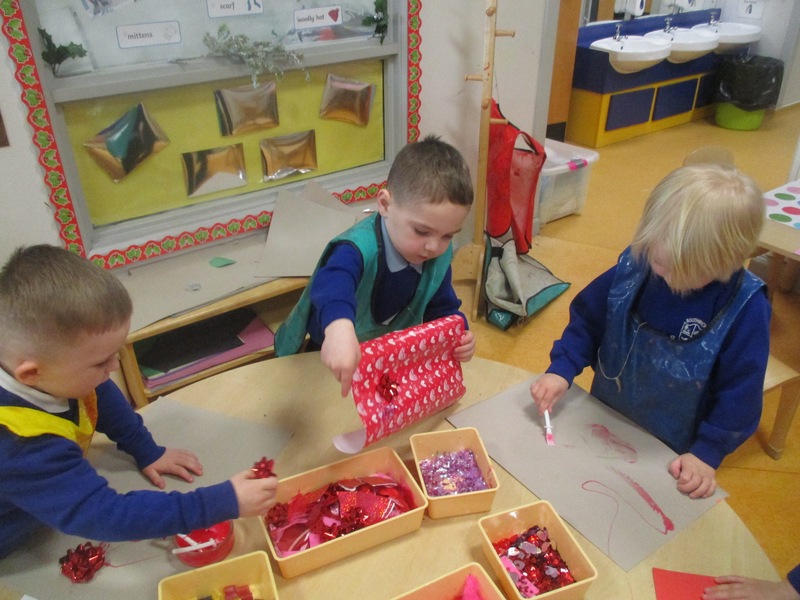 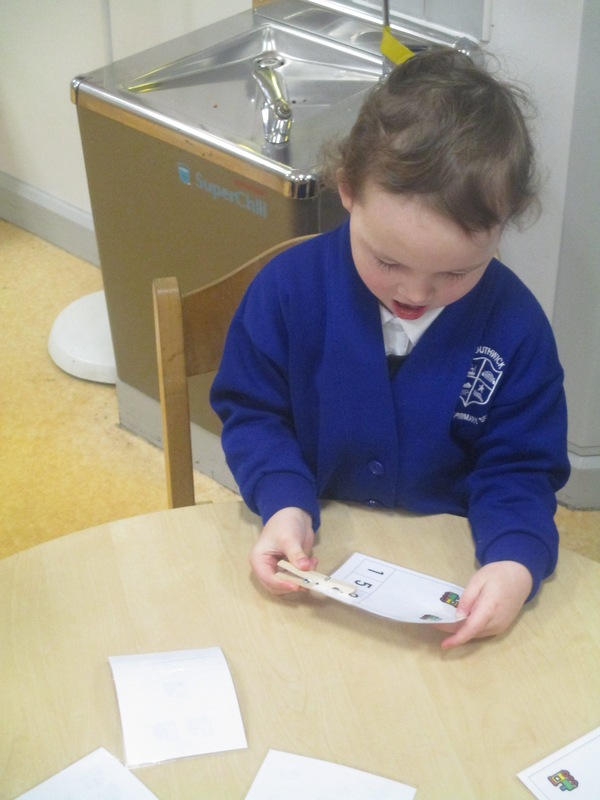 They loved showing their friends their favourite toys and talking about why it was such a great present. 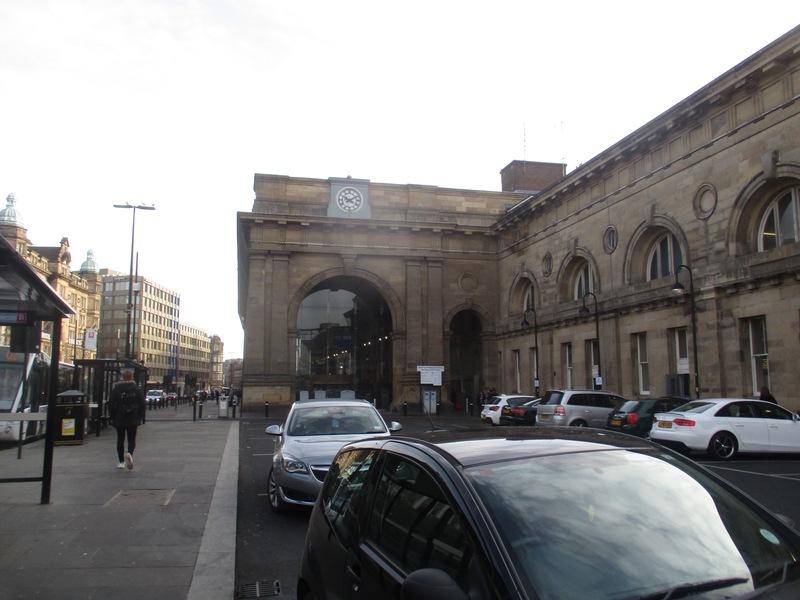 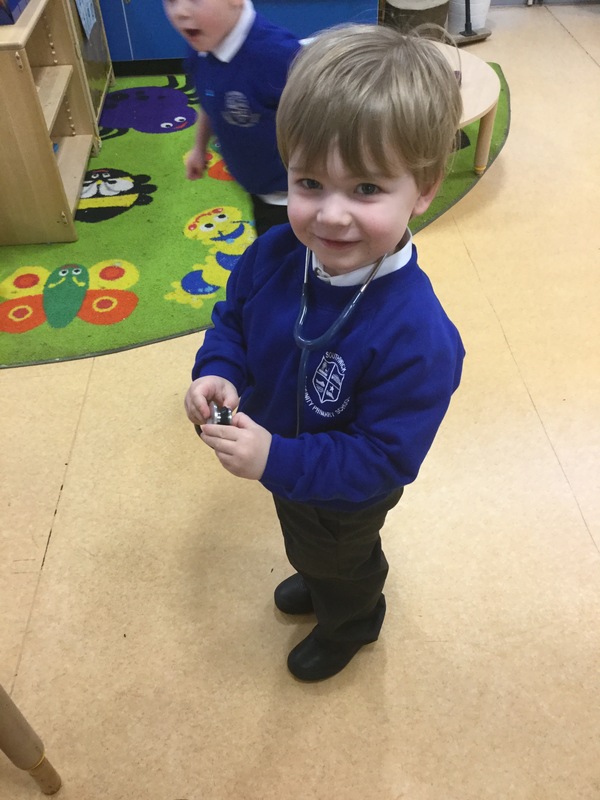 …….but the most popular by far has been the Doctors. 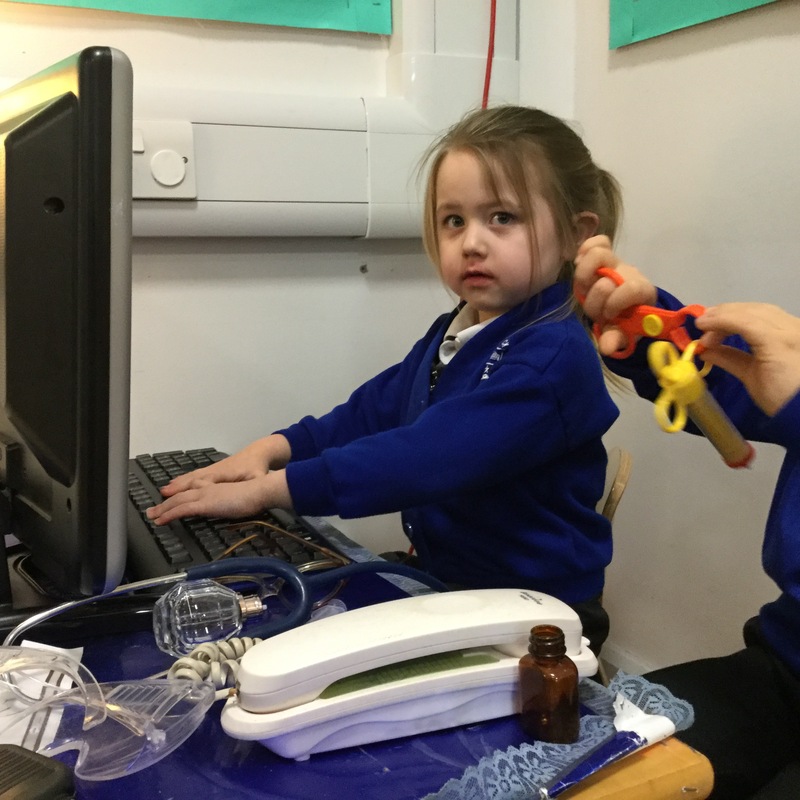 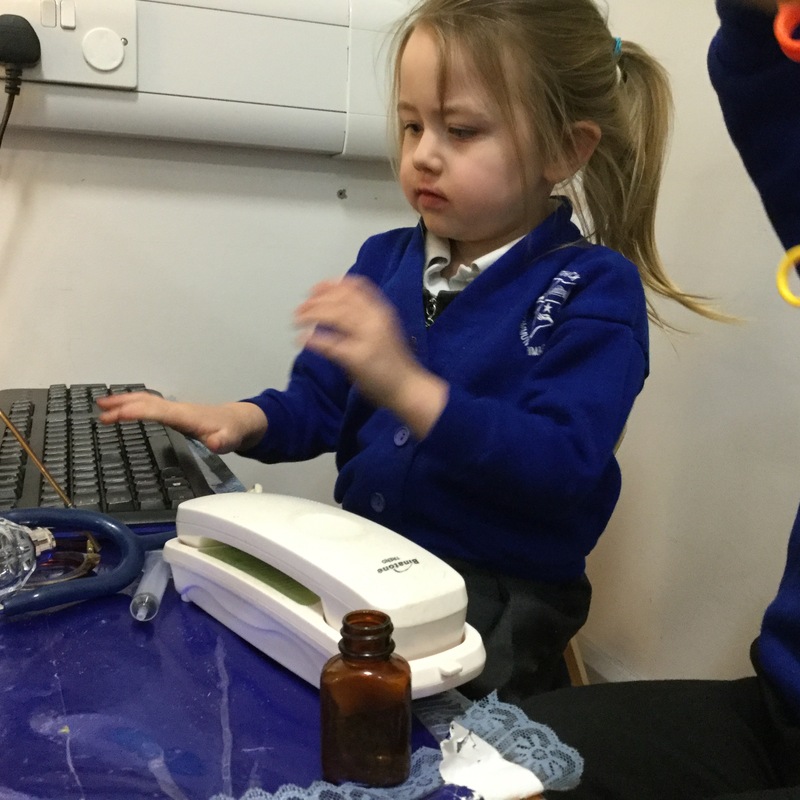 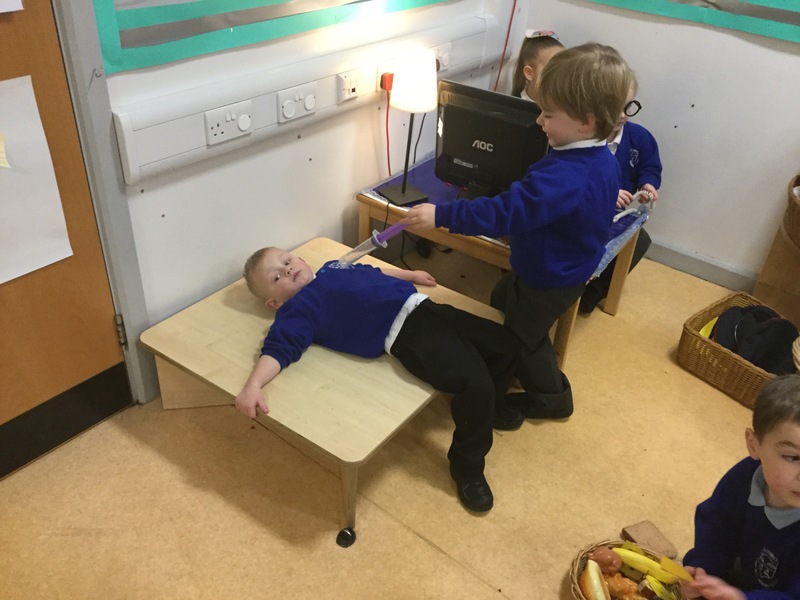 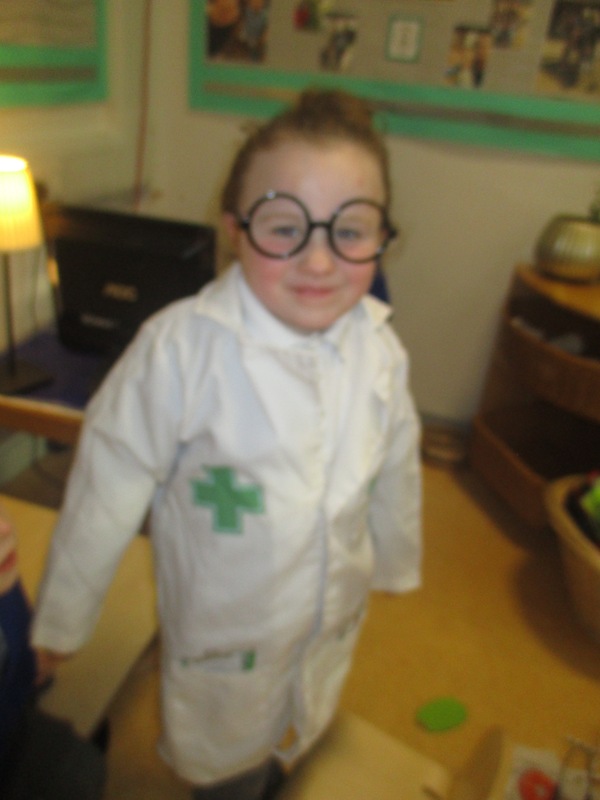 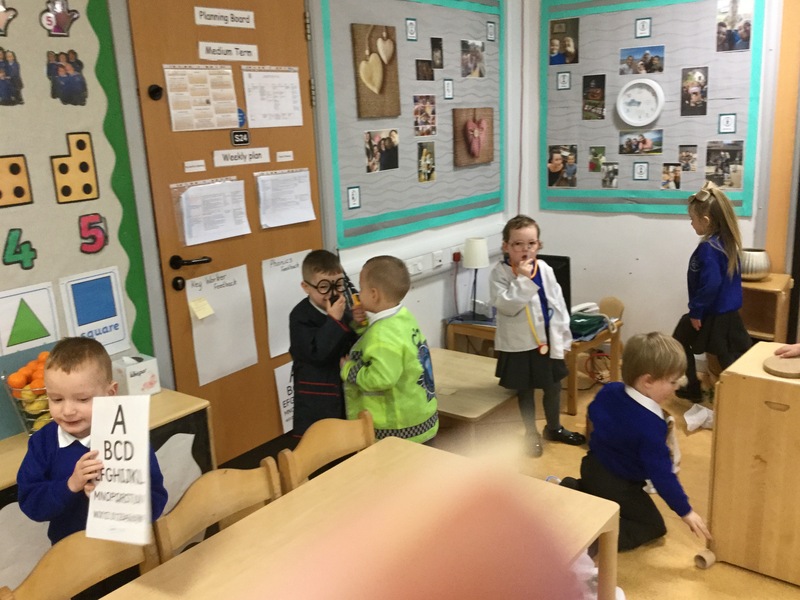 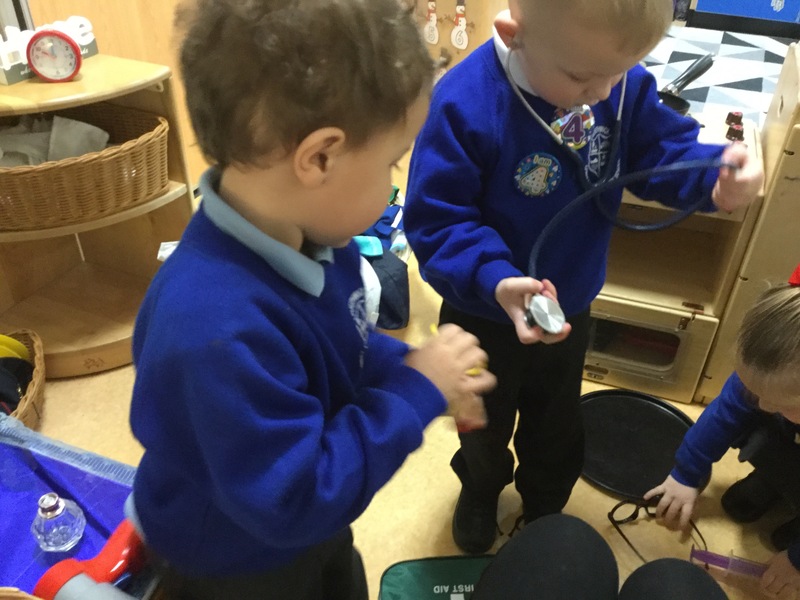 The children have loved pretending to be Doctors, nurses, and working as the receptionist! 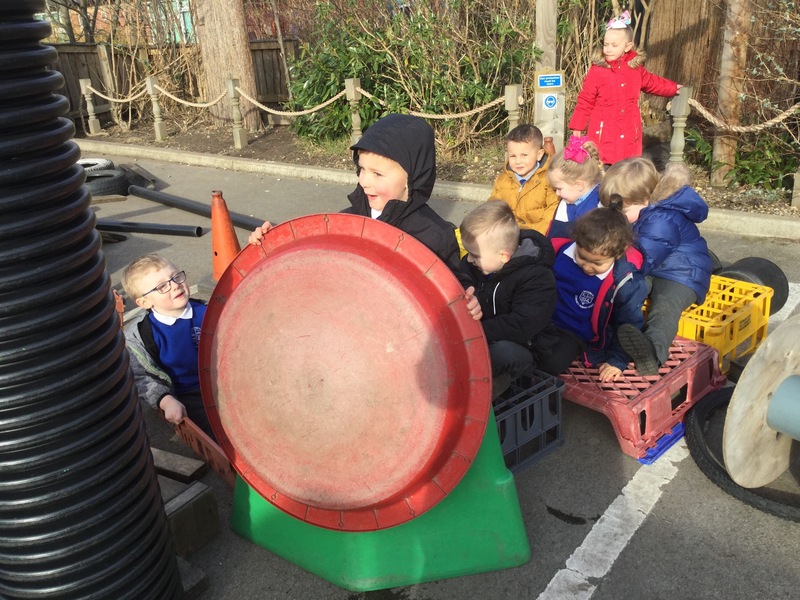 Have a look at the fun they have been having! 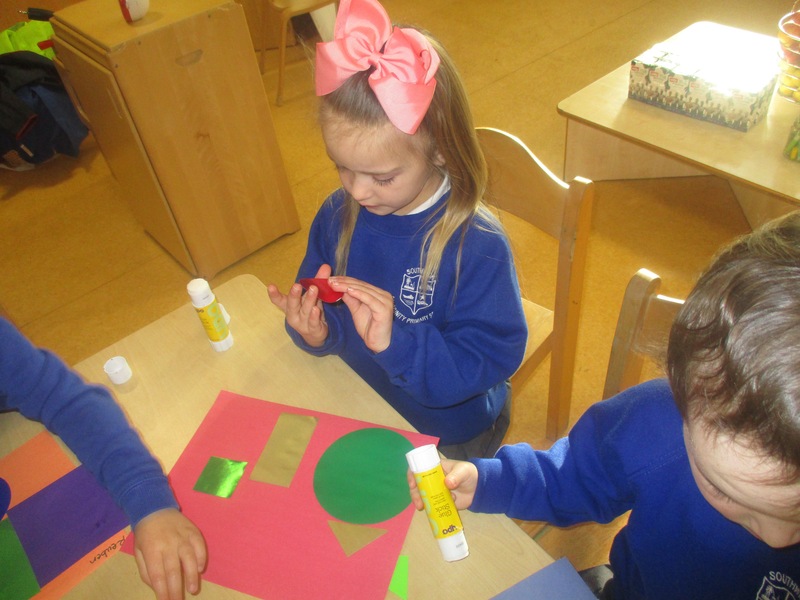 We have started out new topic! 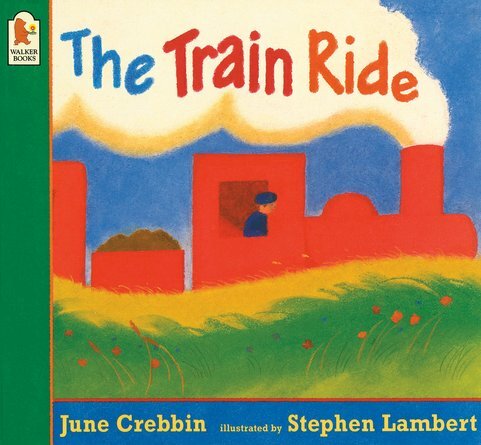 It’s called ‘The train ride’ and it’s by June Crebbin. 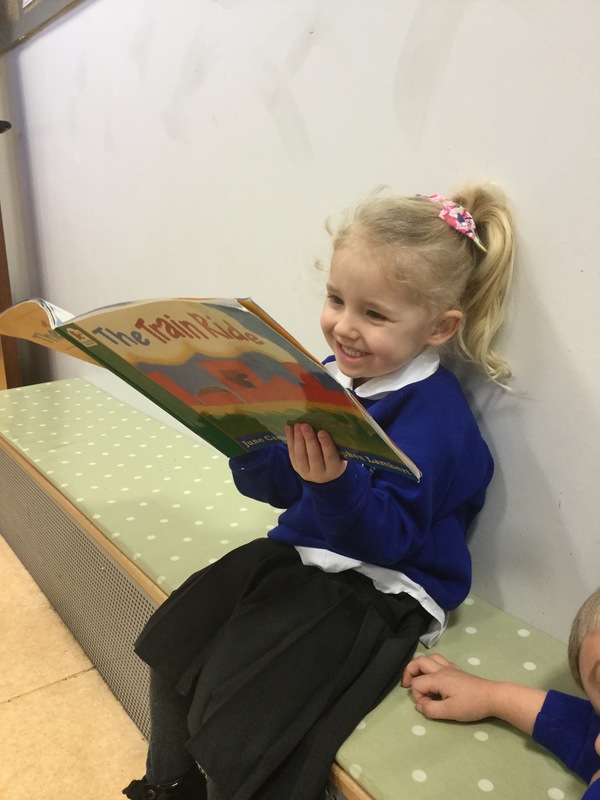 We love the story already. 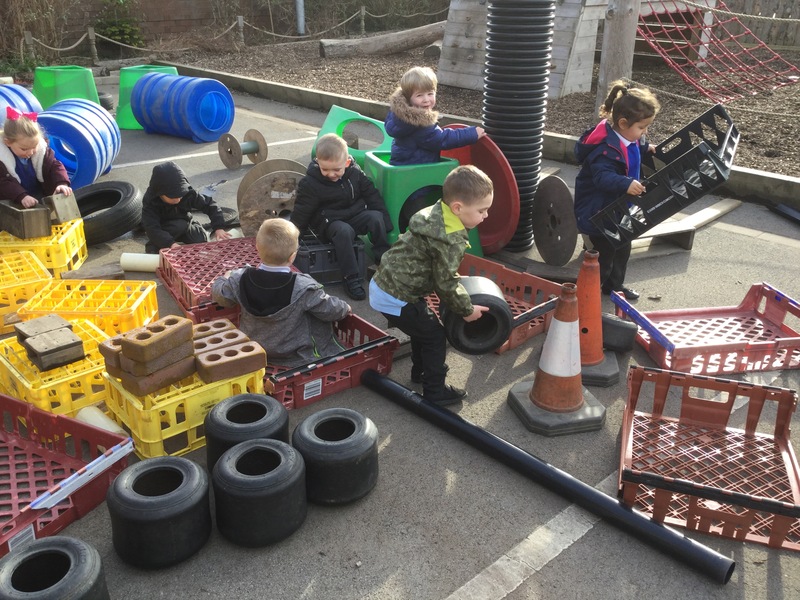 Trains have always been popular with the class but this has taken our train and vehicle inspired play to the next level. 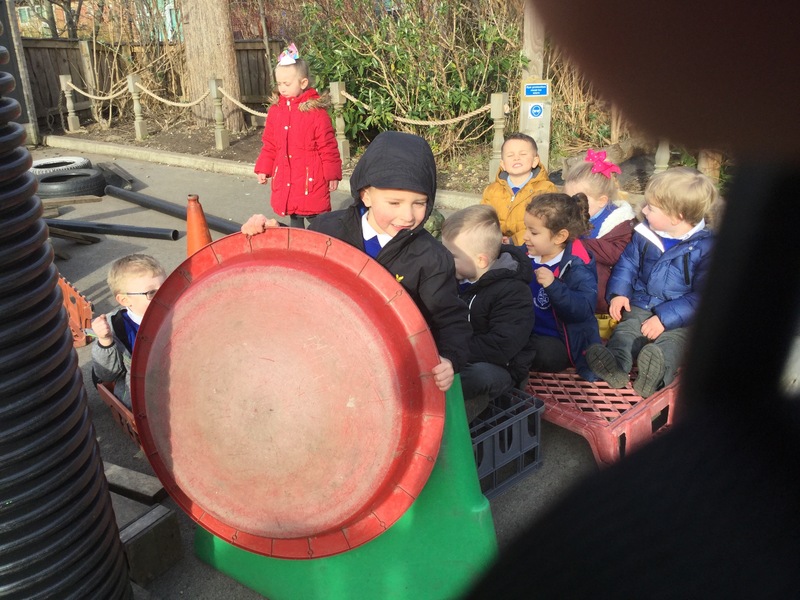 We wanted to share some of the things we have been up to. 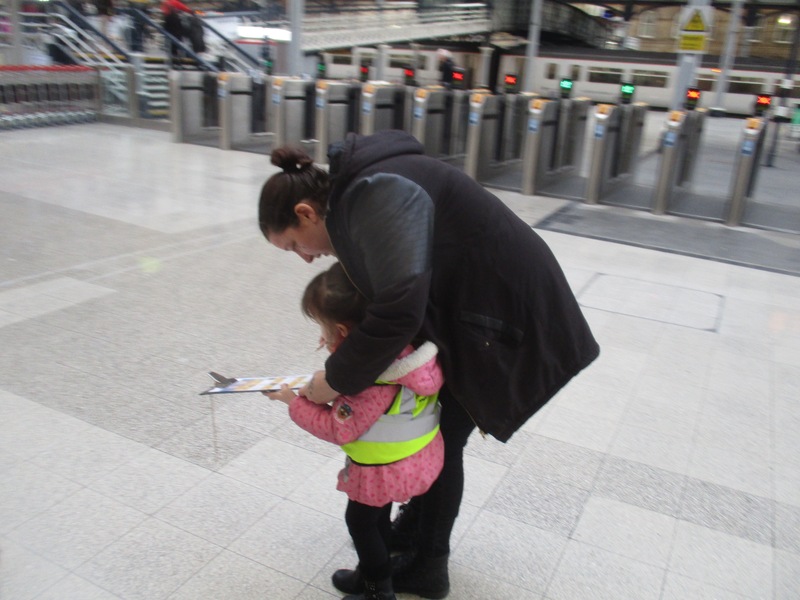 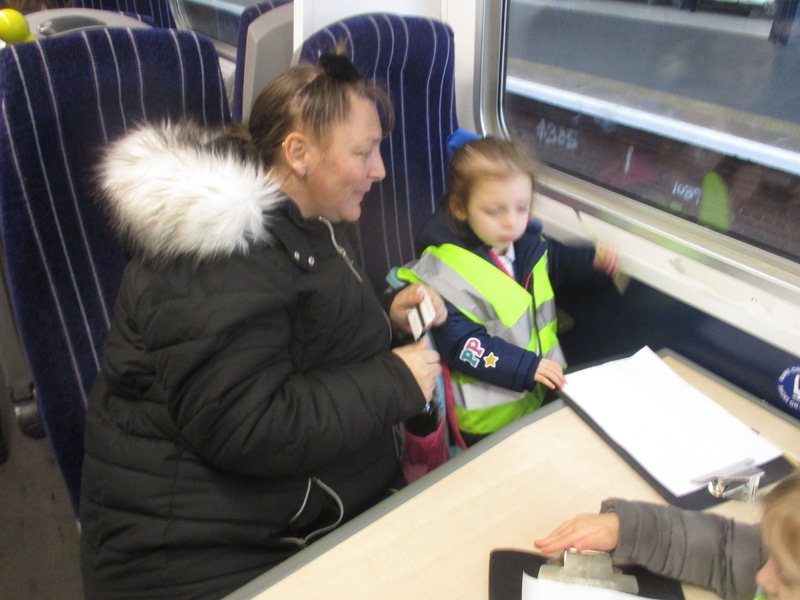 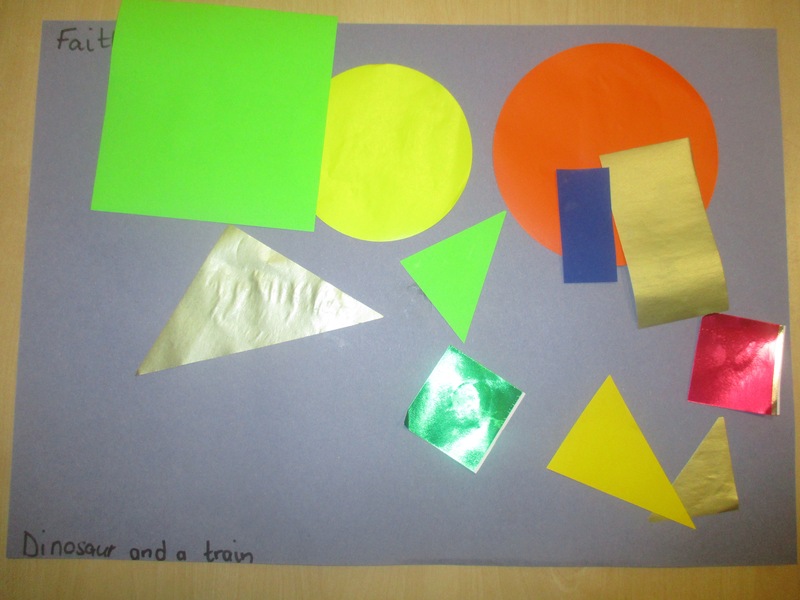 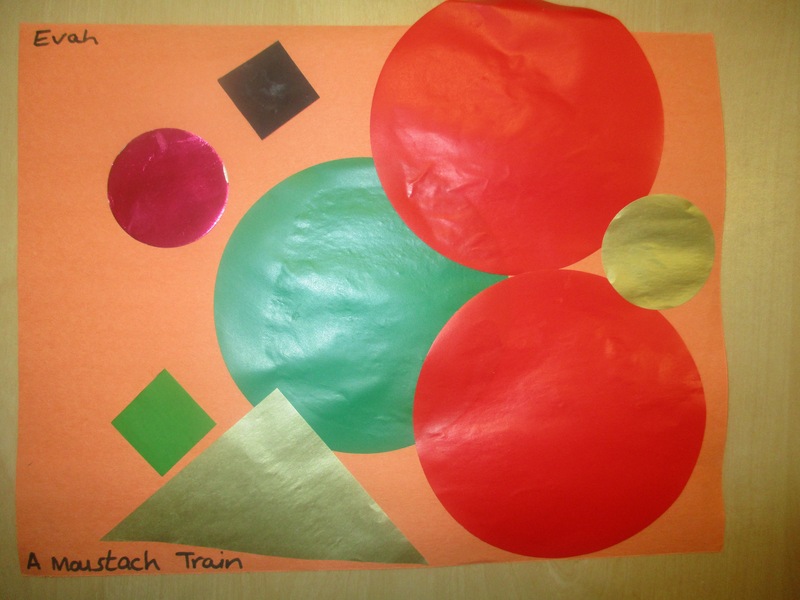 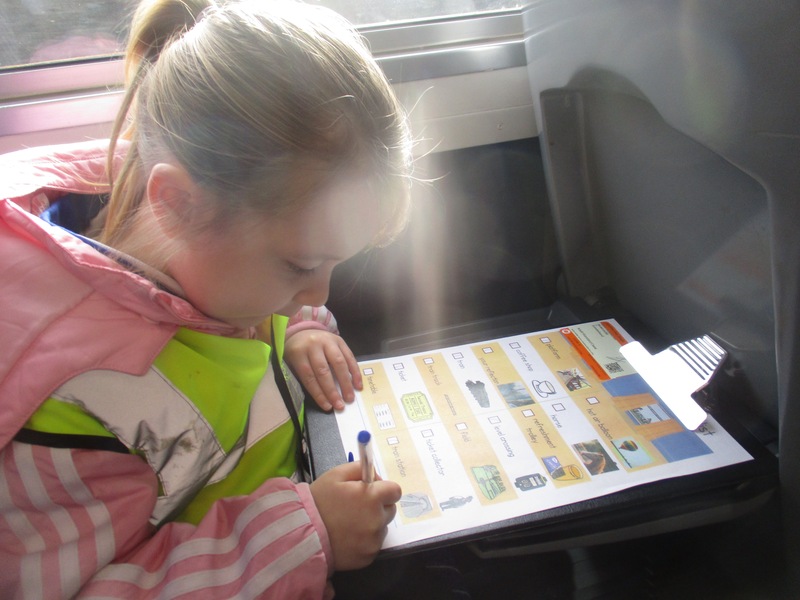 They have also loved making train tickets and maps and drawing pictures from the story. 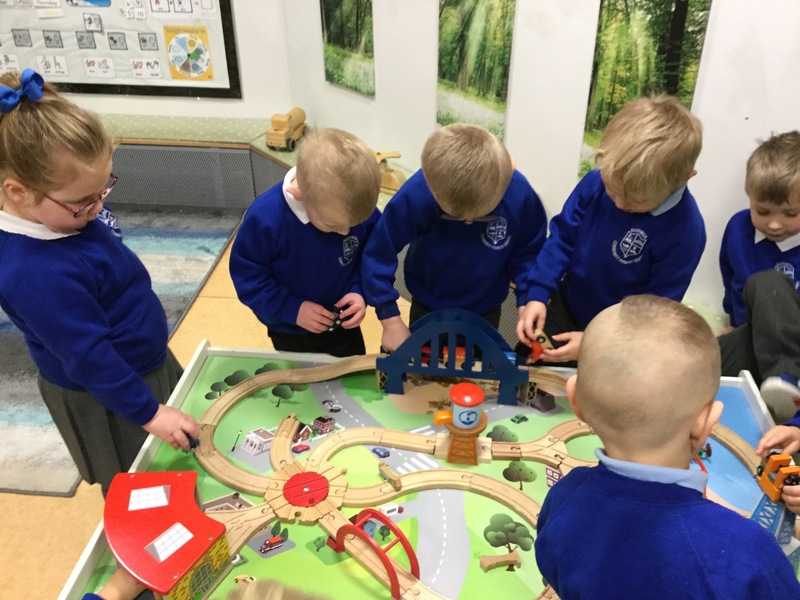 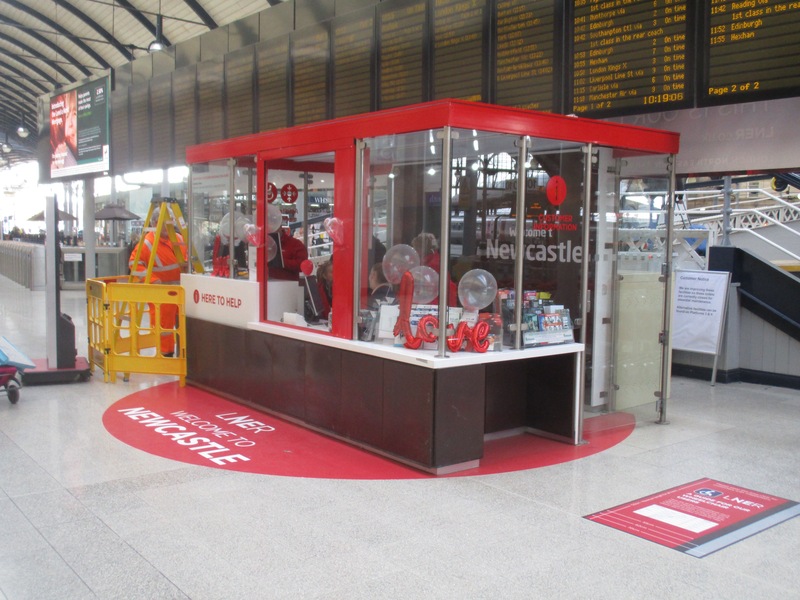 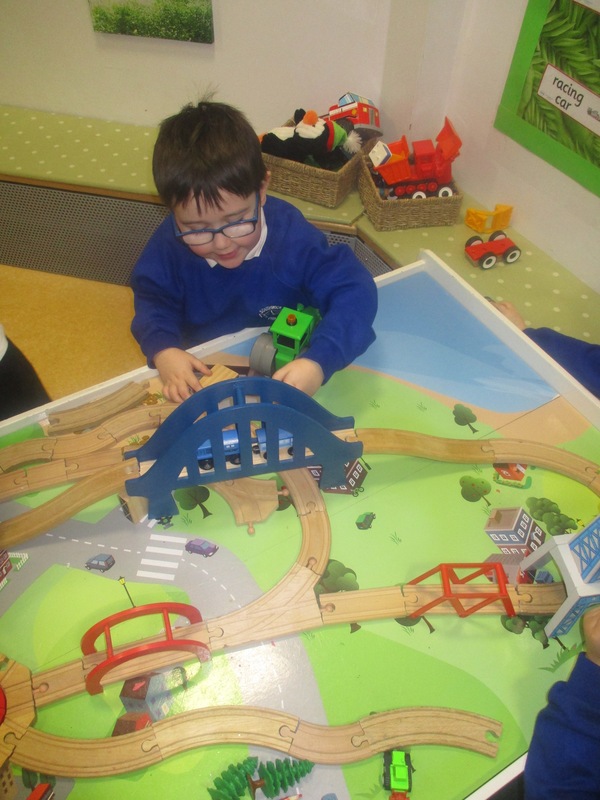 Our very own train world! 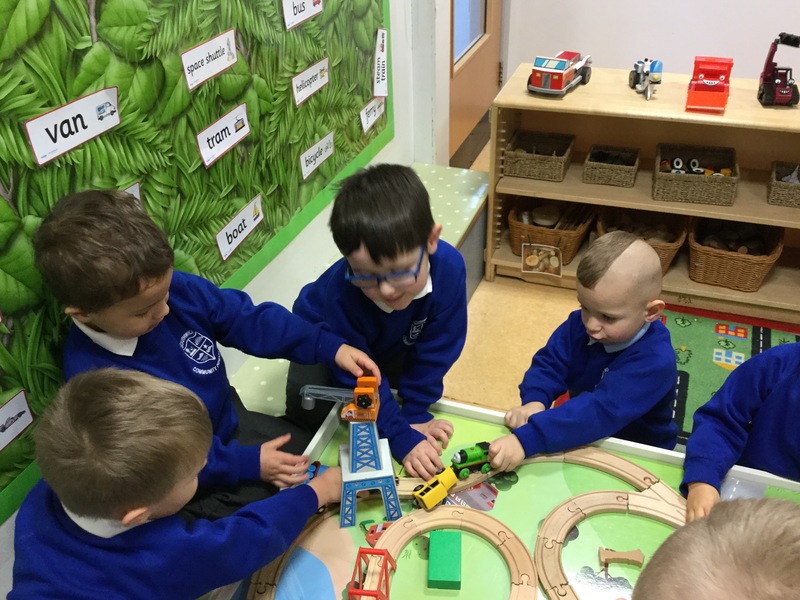 Trainland small world play has lead to many stories! 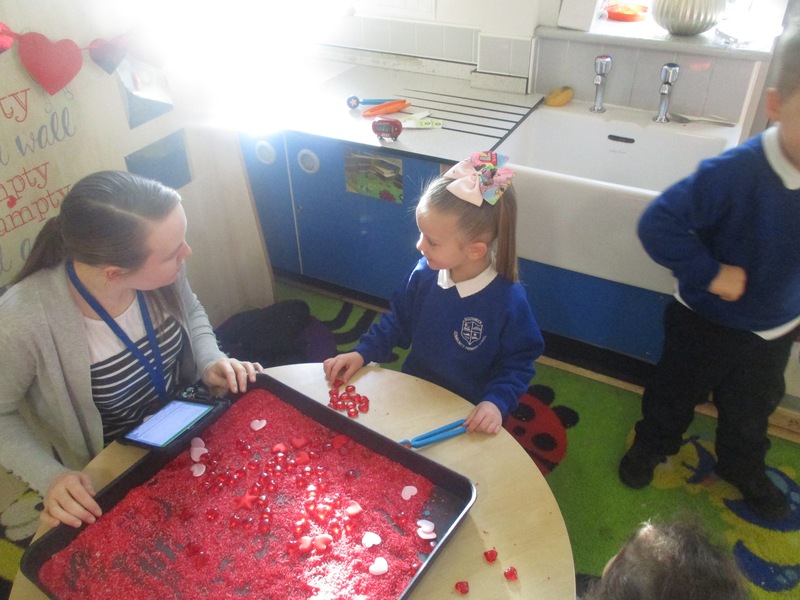 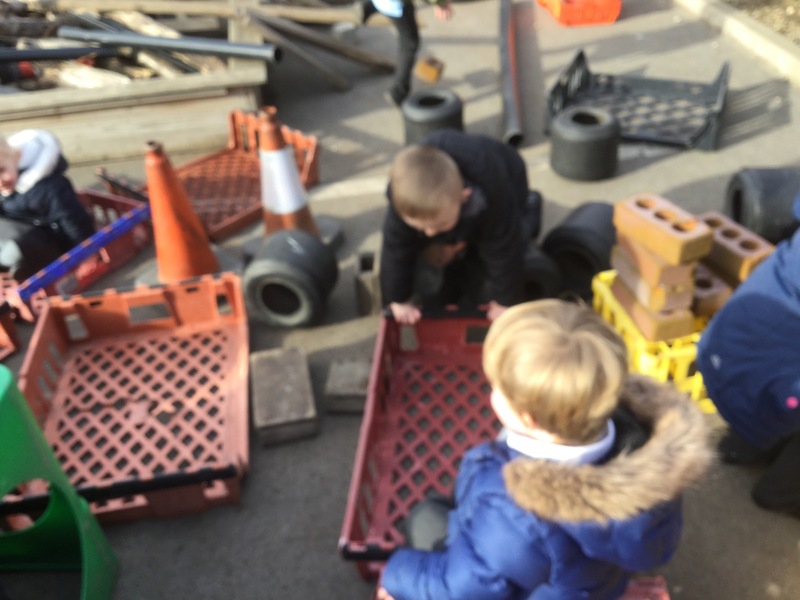 The children have all had to work together to share the resources and the space and have done a tremendous job. 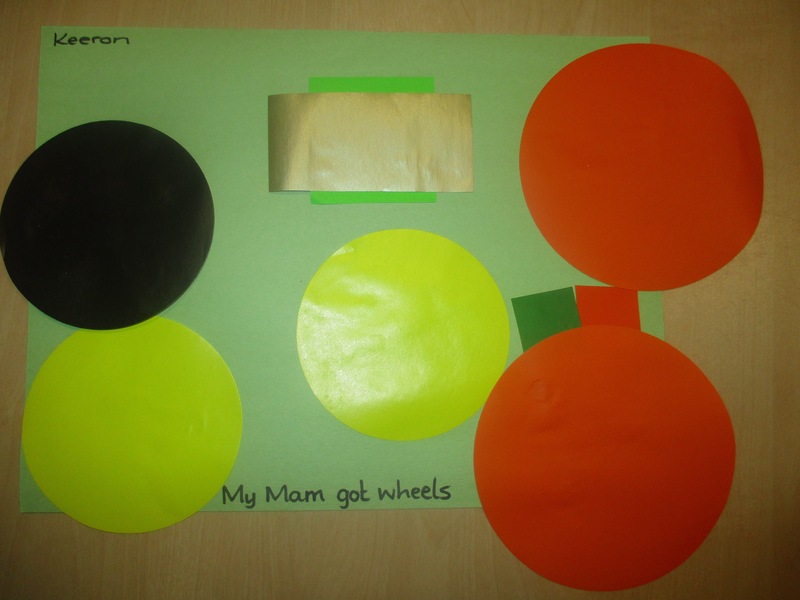 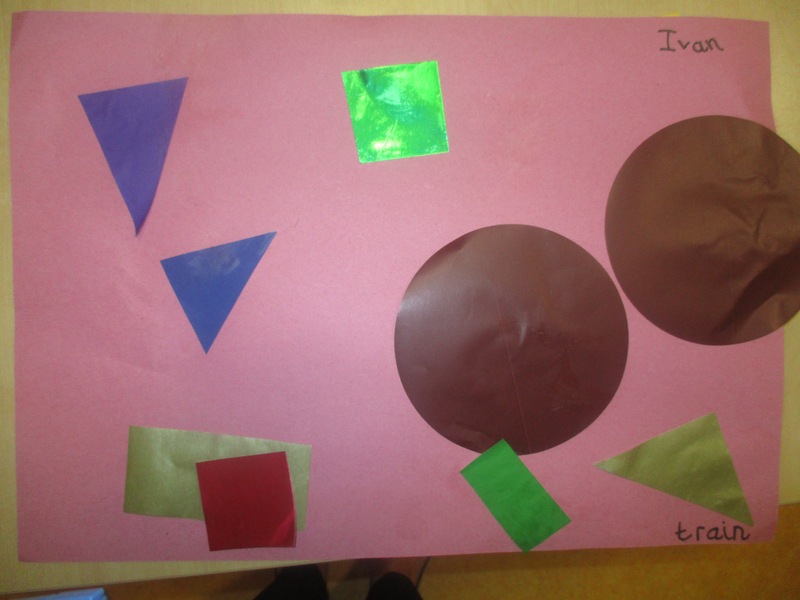 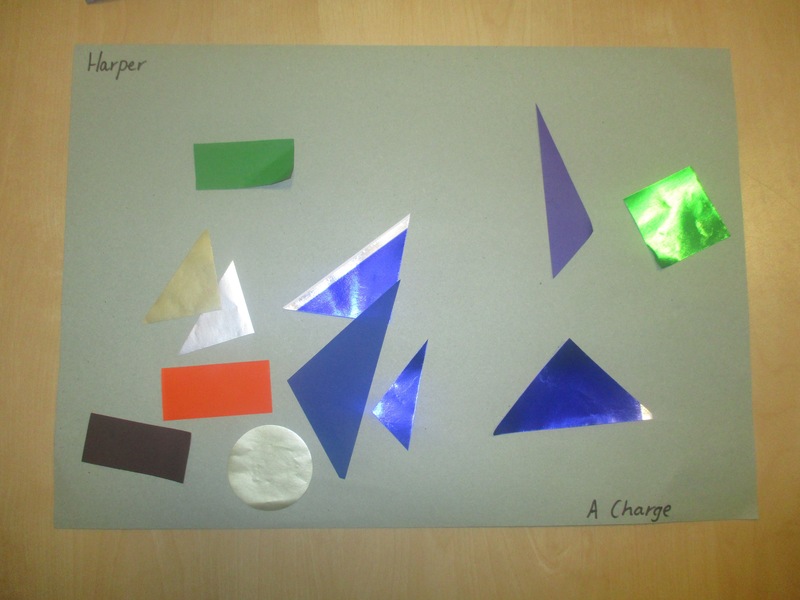 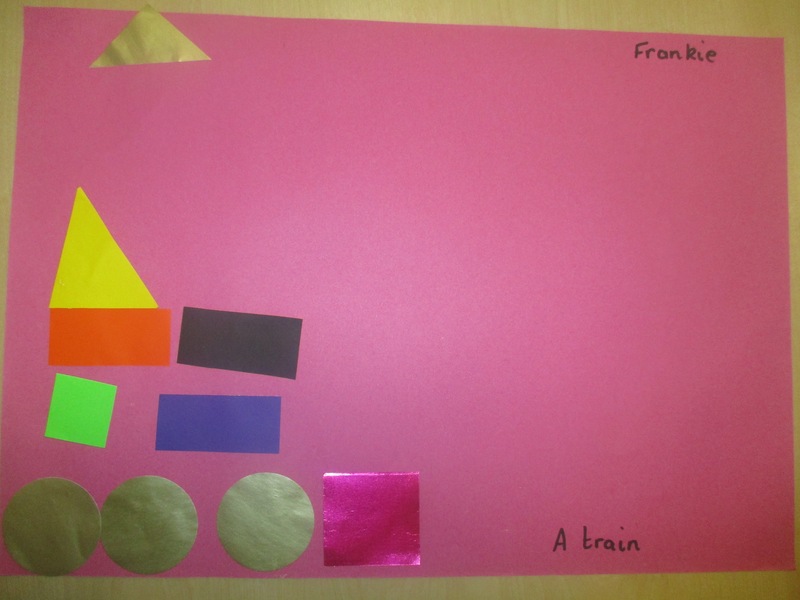 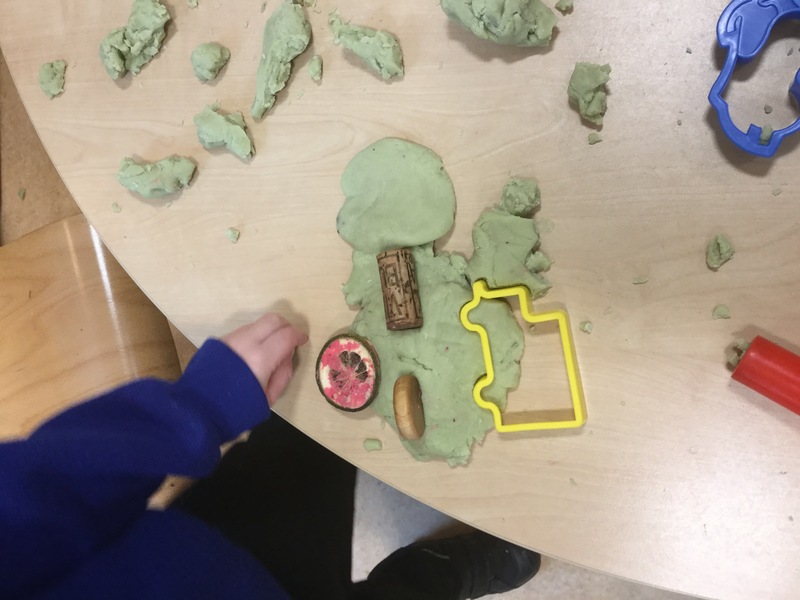 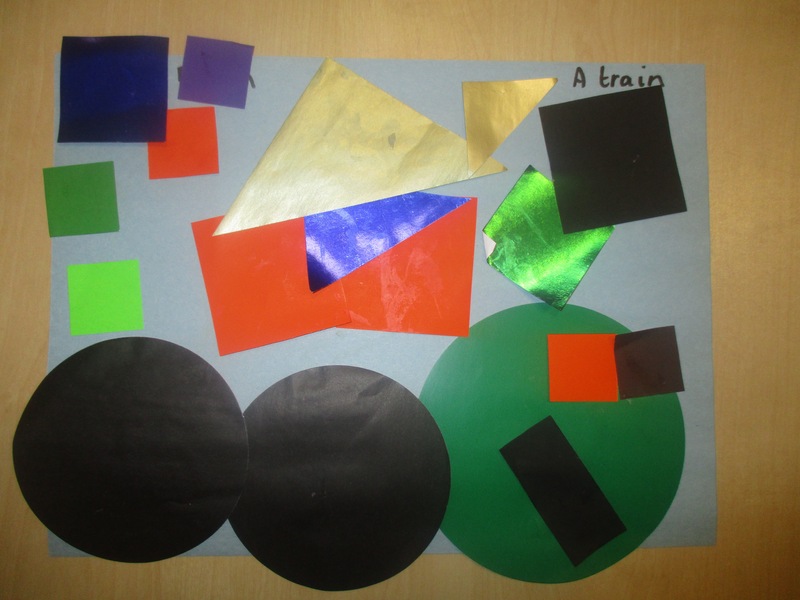 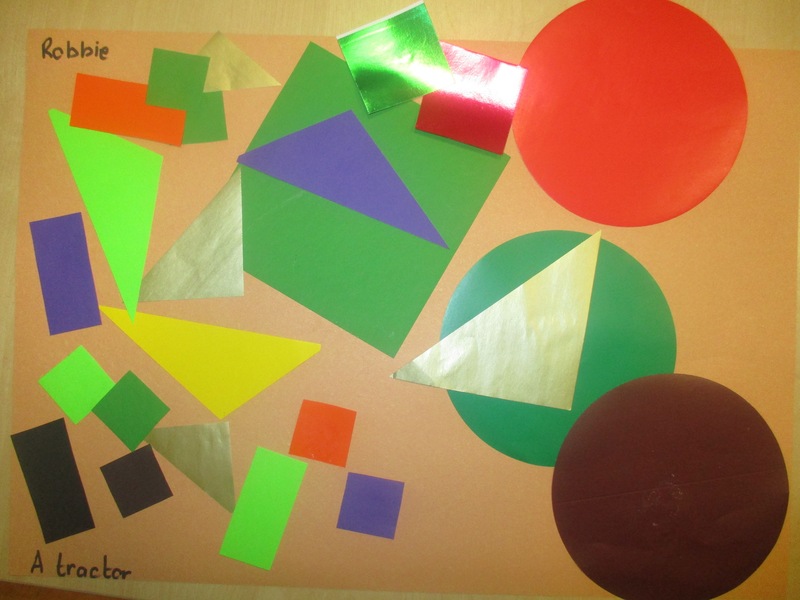 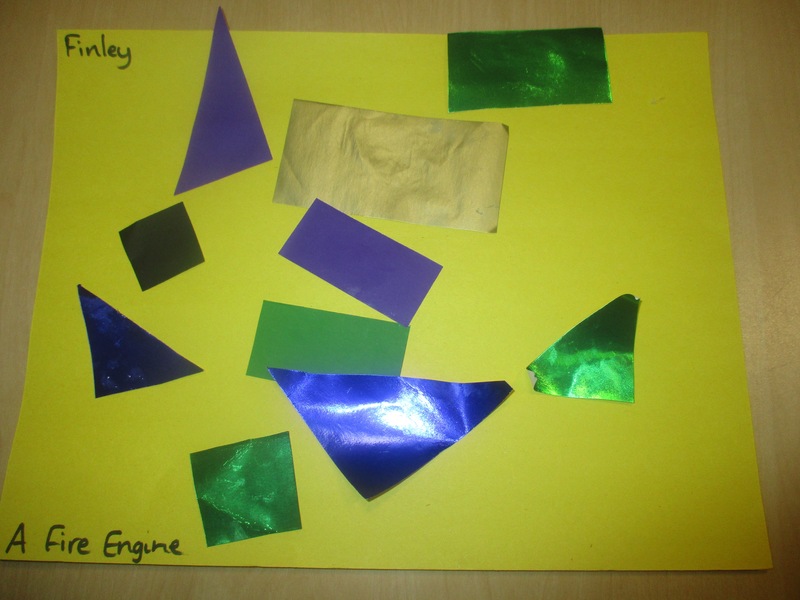 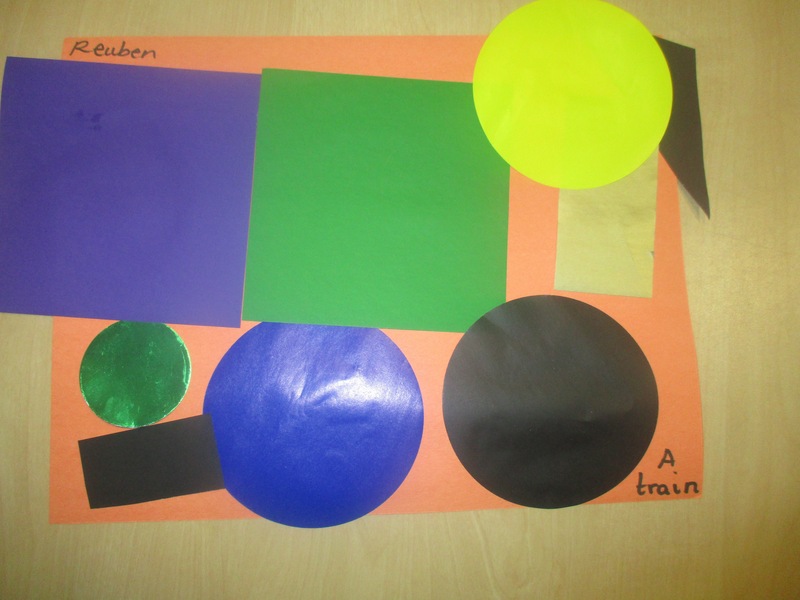 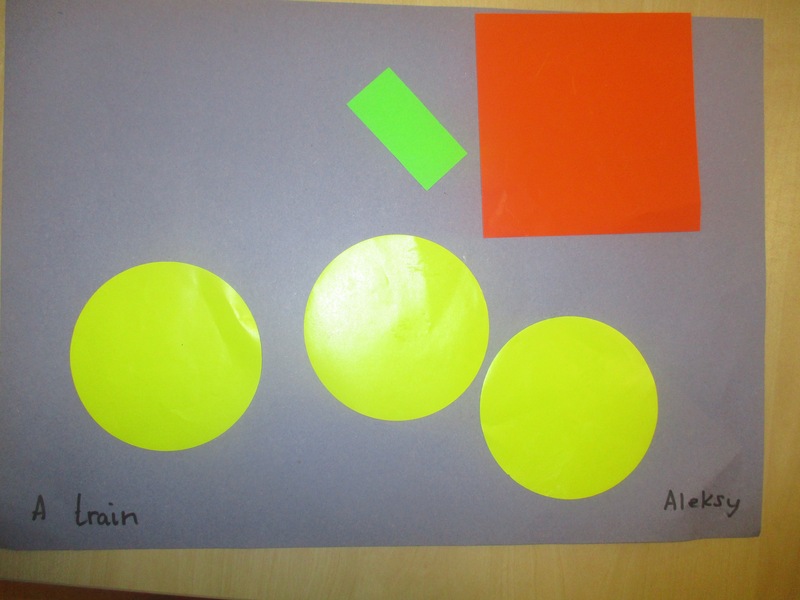 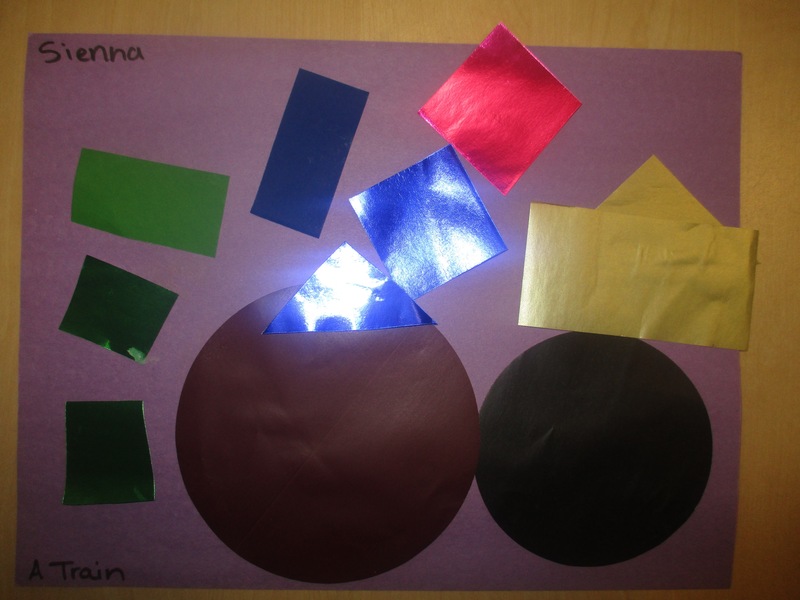 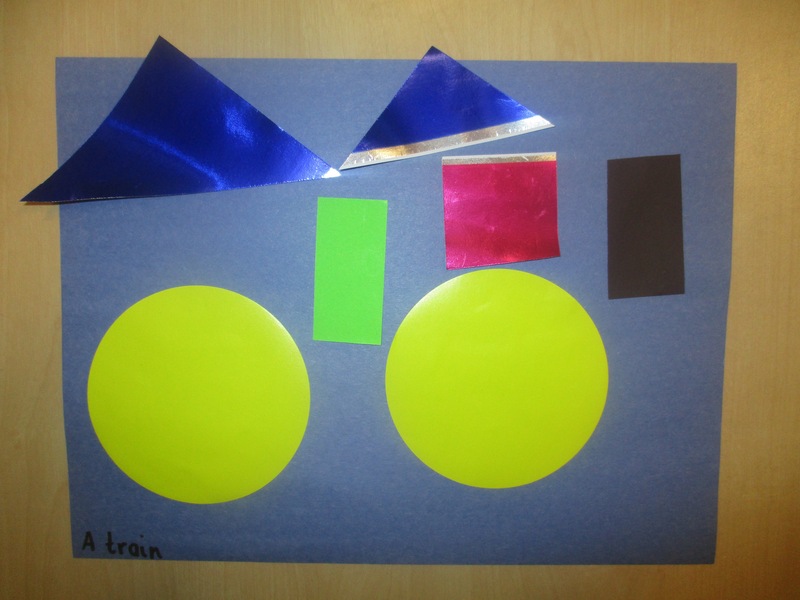 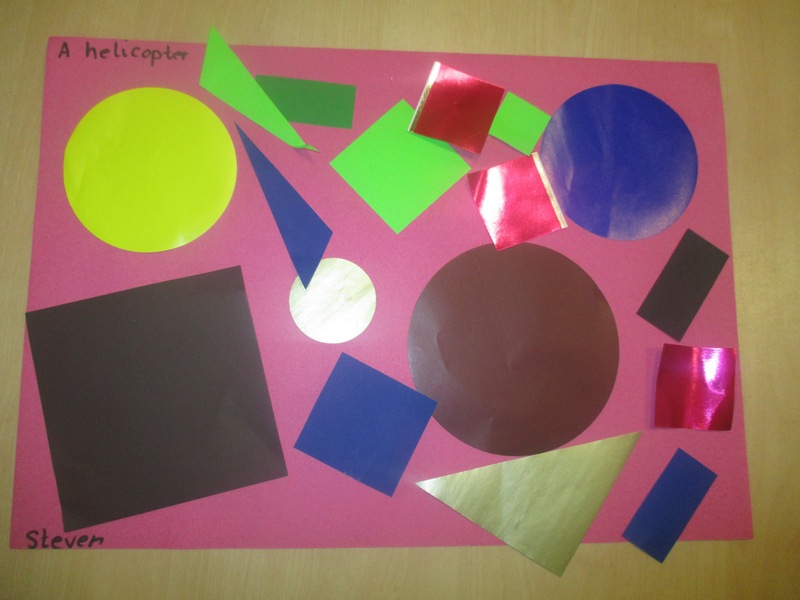 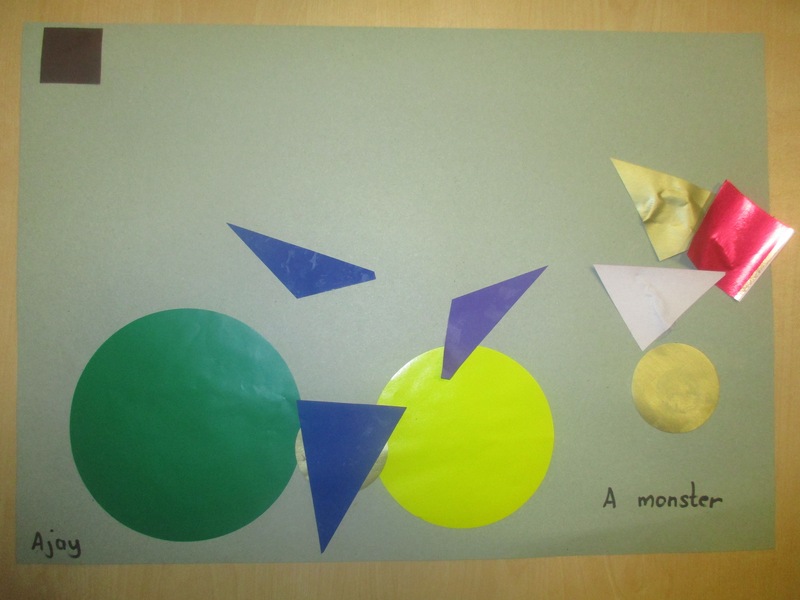 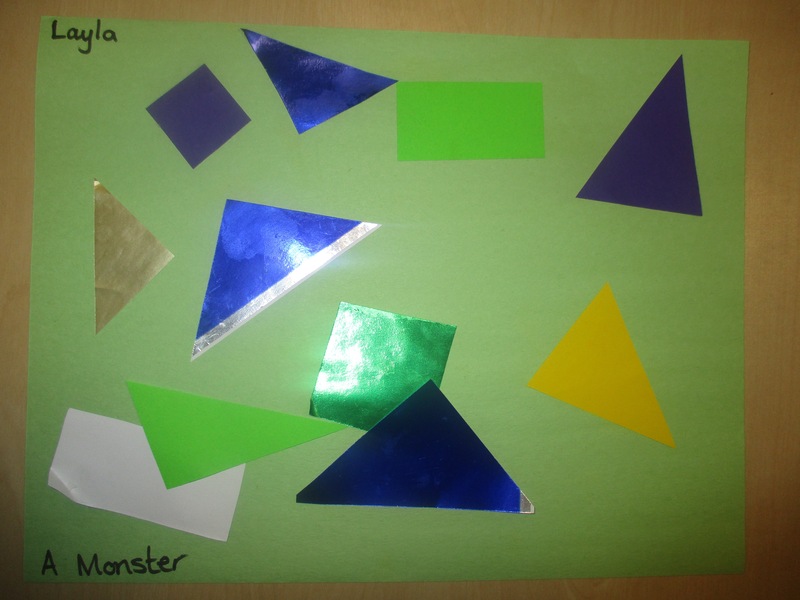 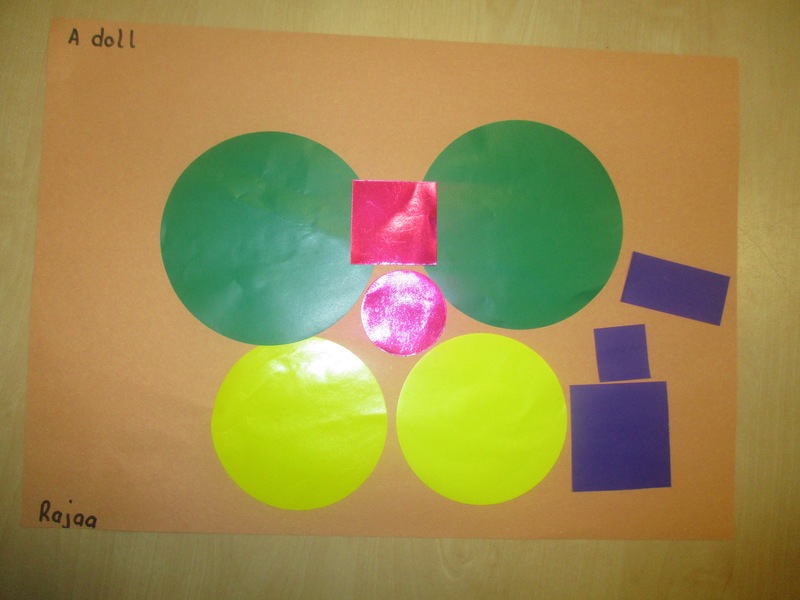 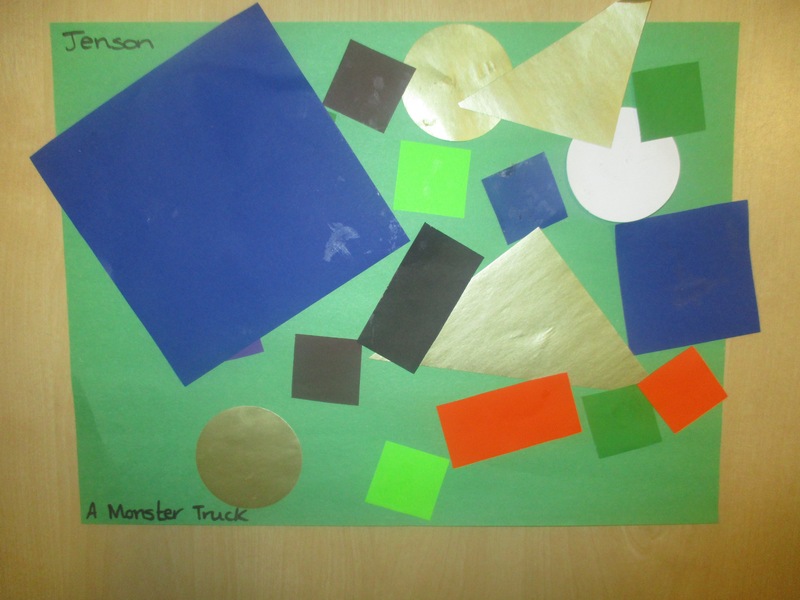 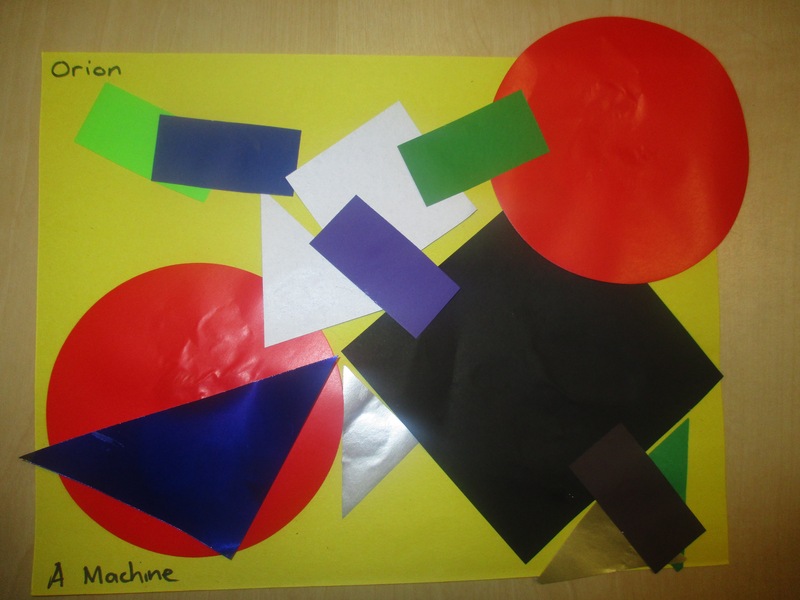 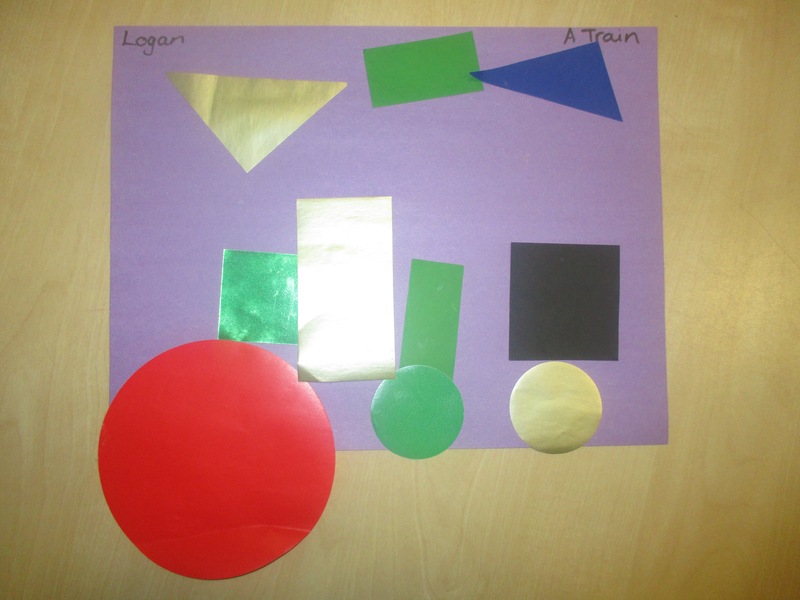 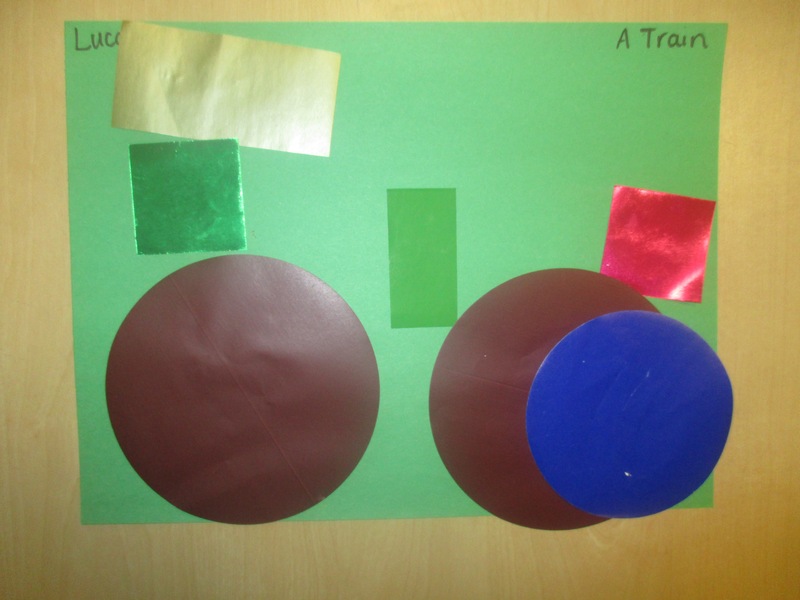 We used the 2d Shape to create some amazing pictures inspired by vehicles – Look at all the fantastic shapes we have used! 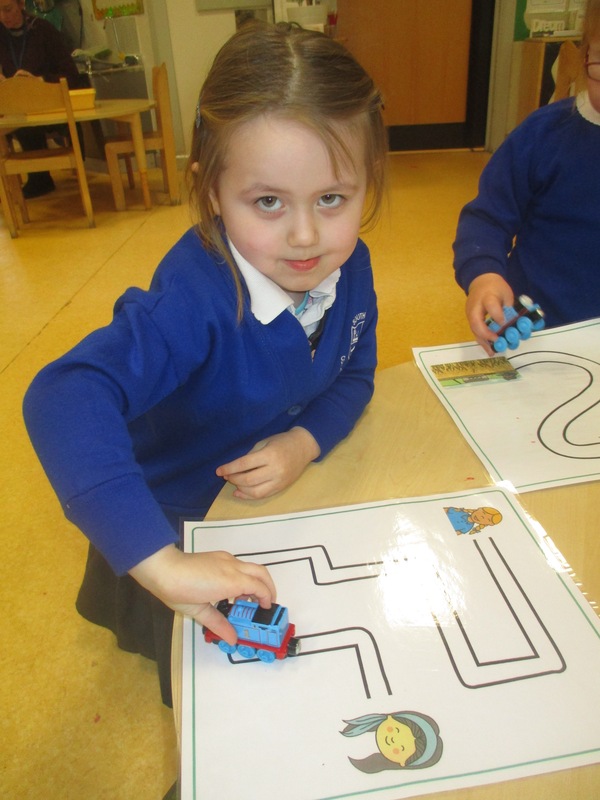 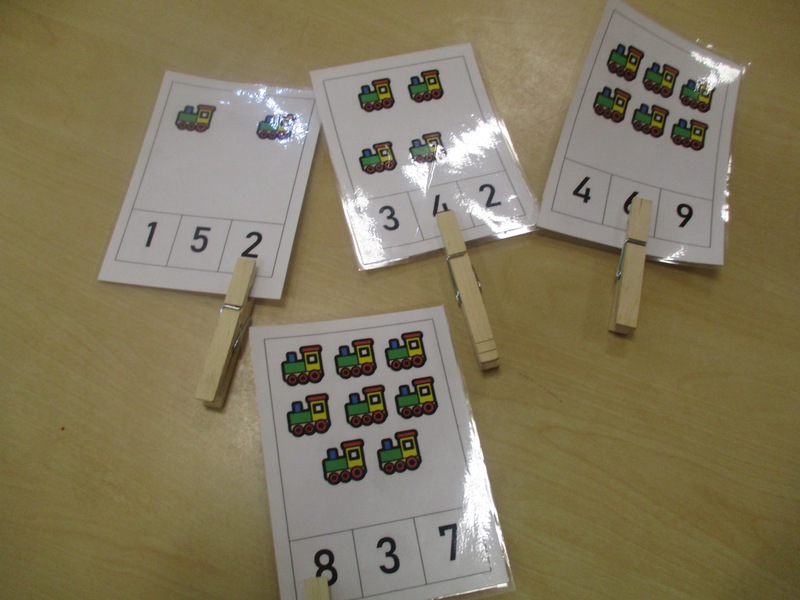 We used trains to move along different shapes lines. 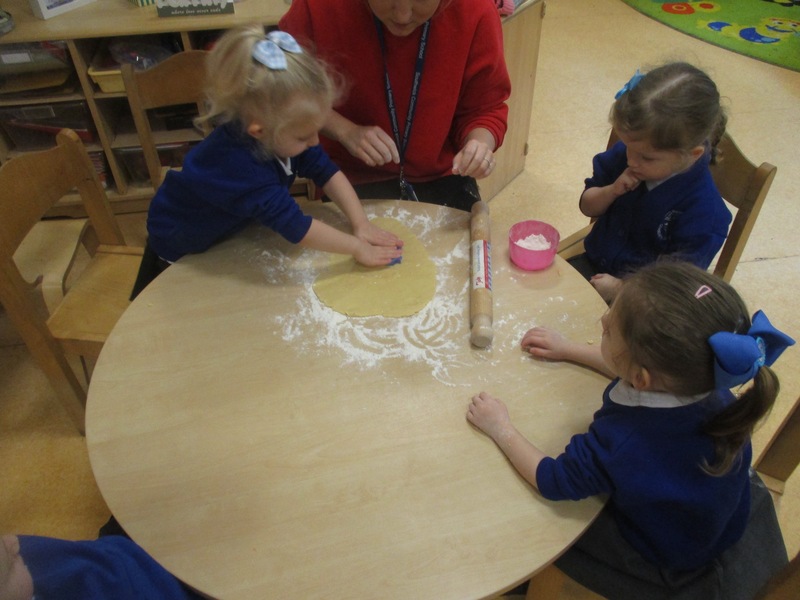 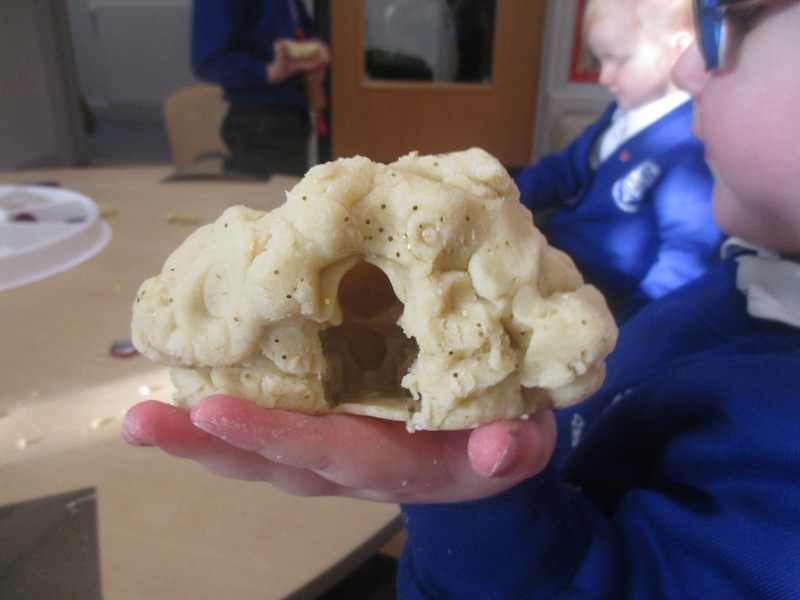 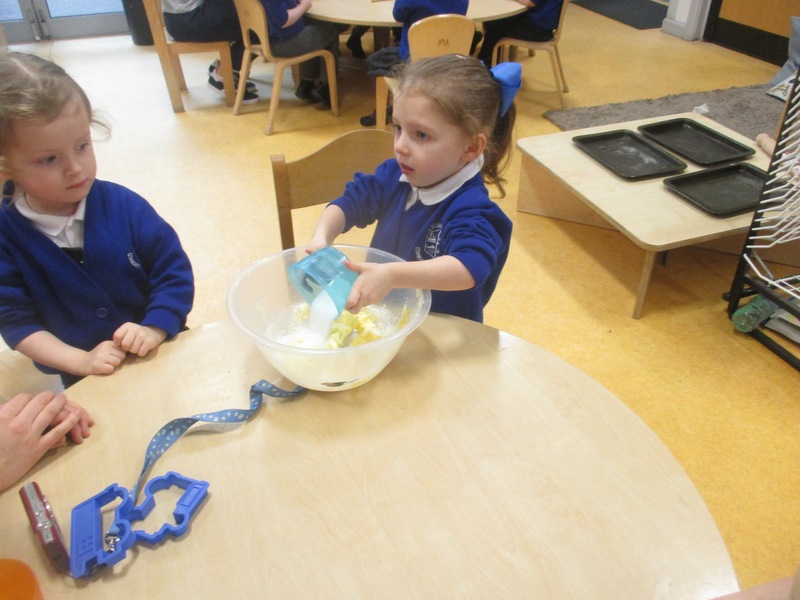 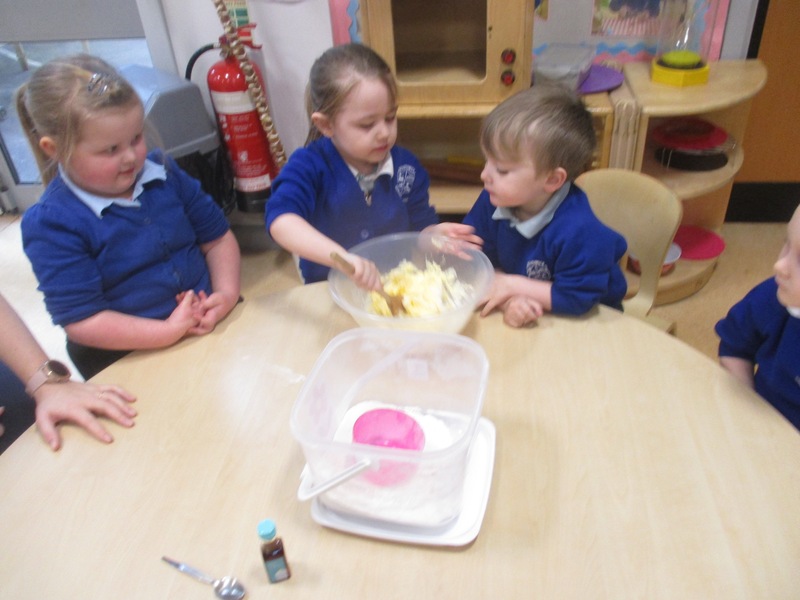 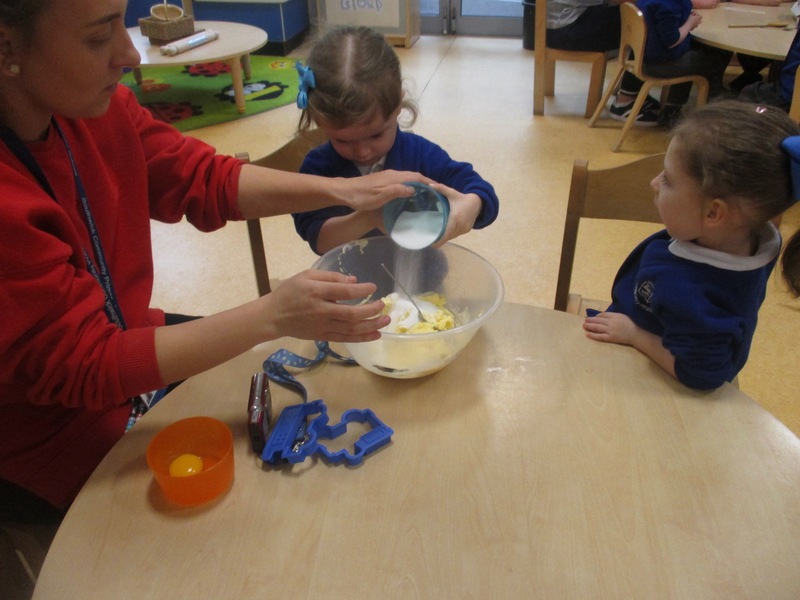 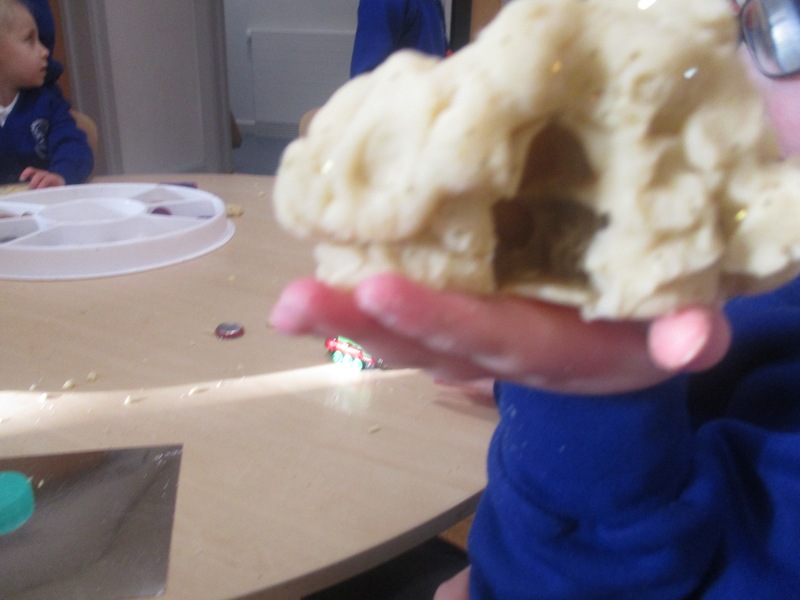 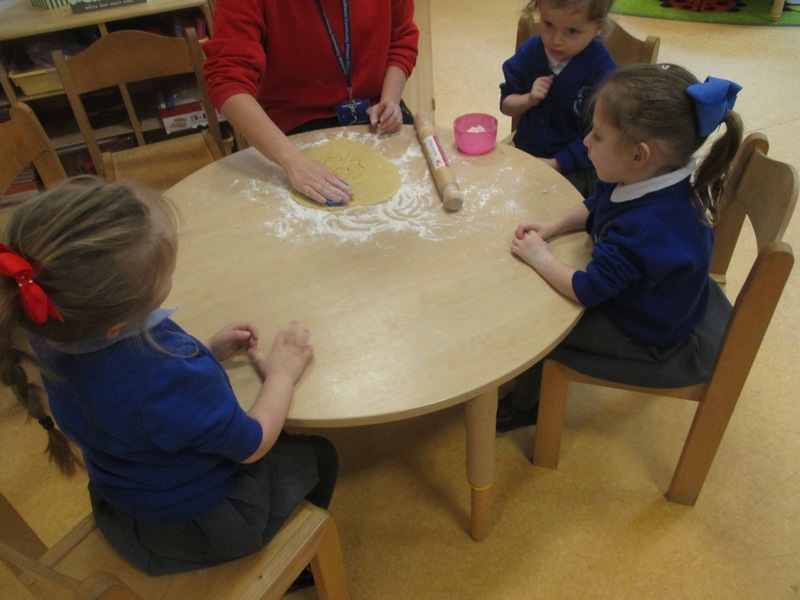 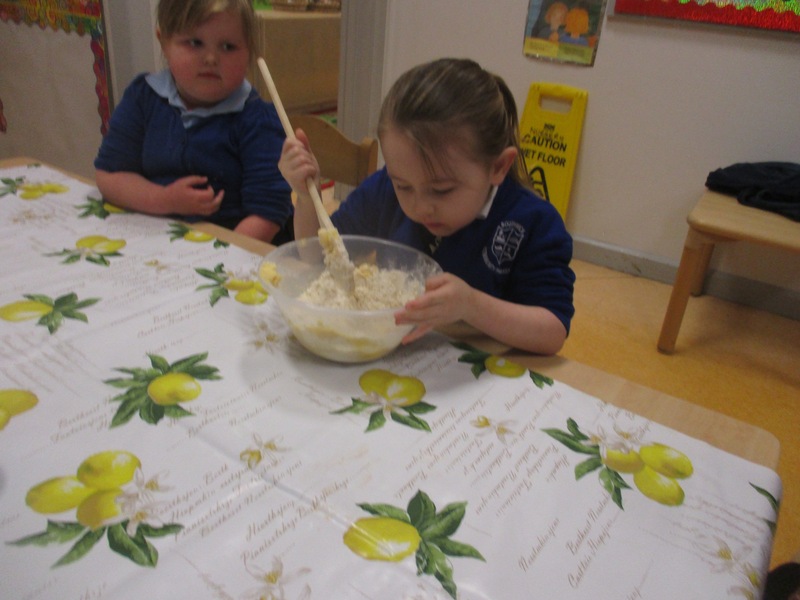 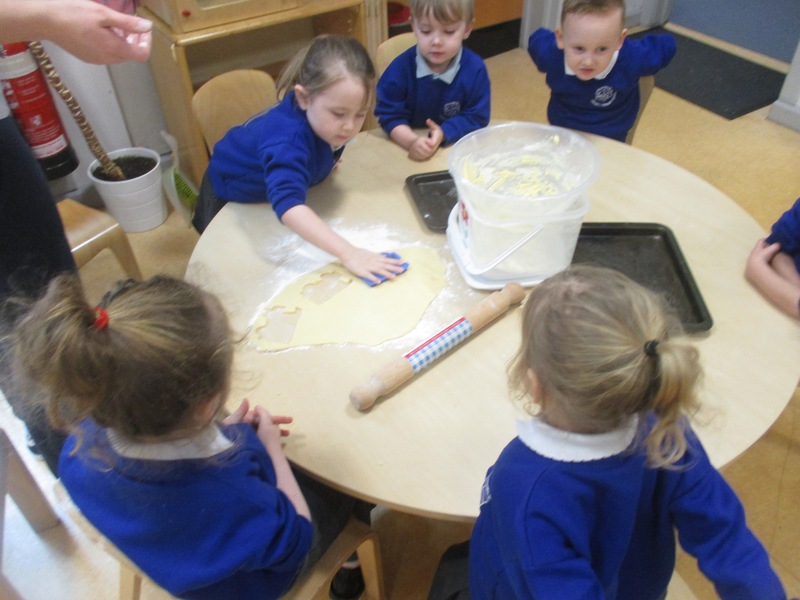 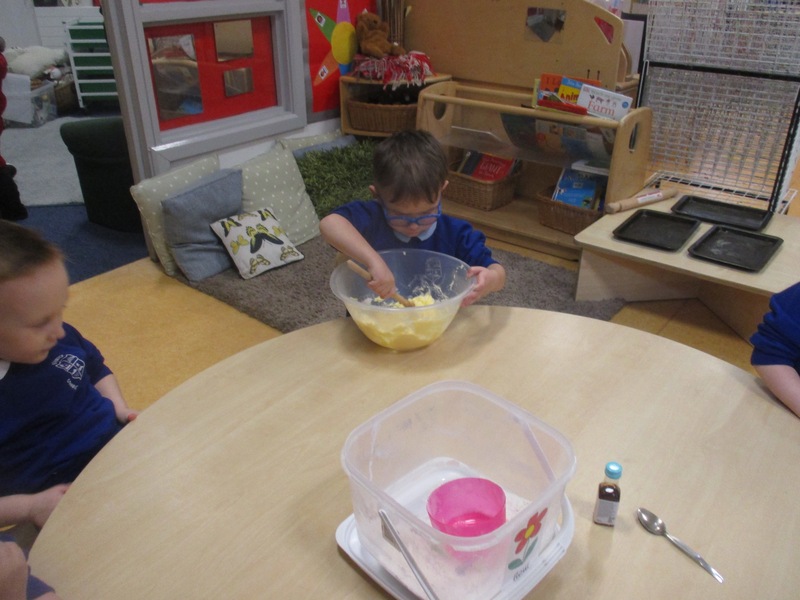 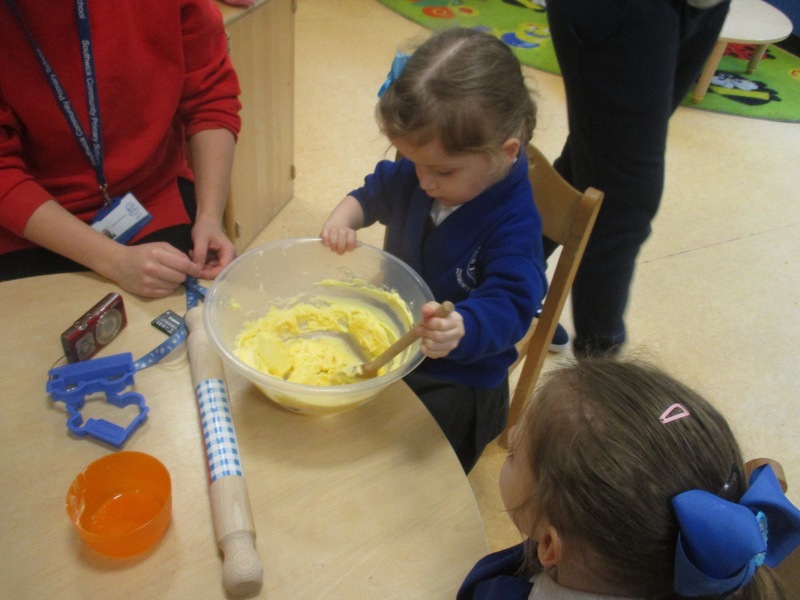 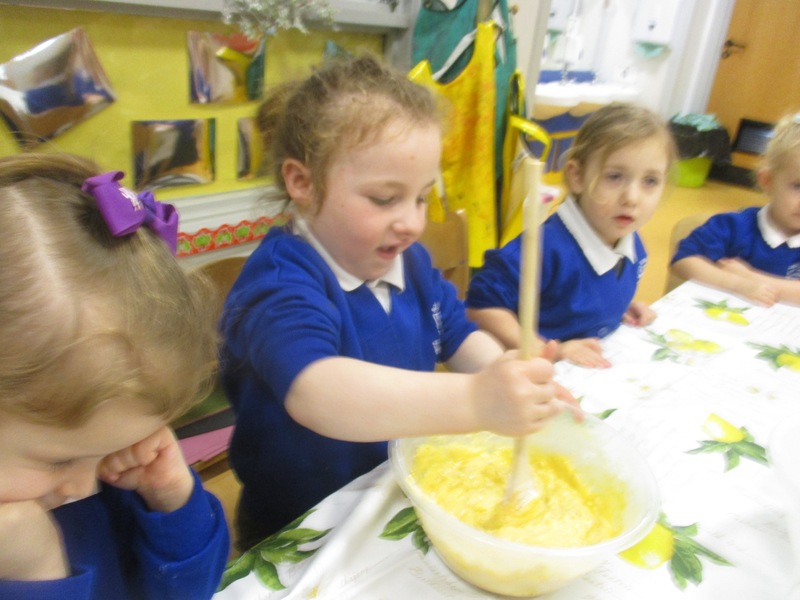 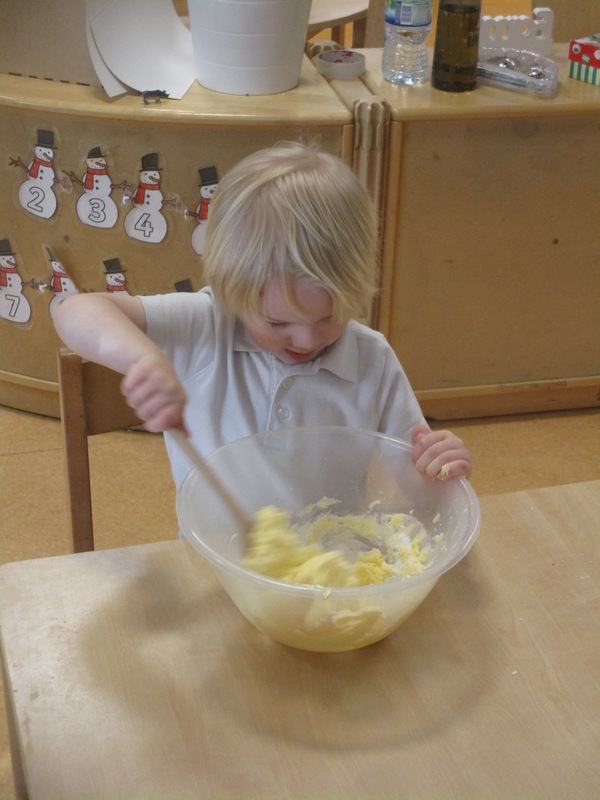 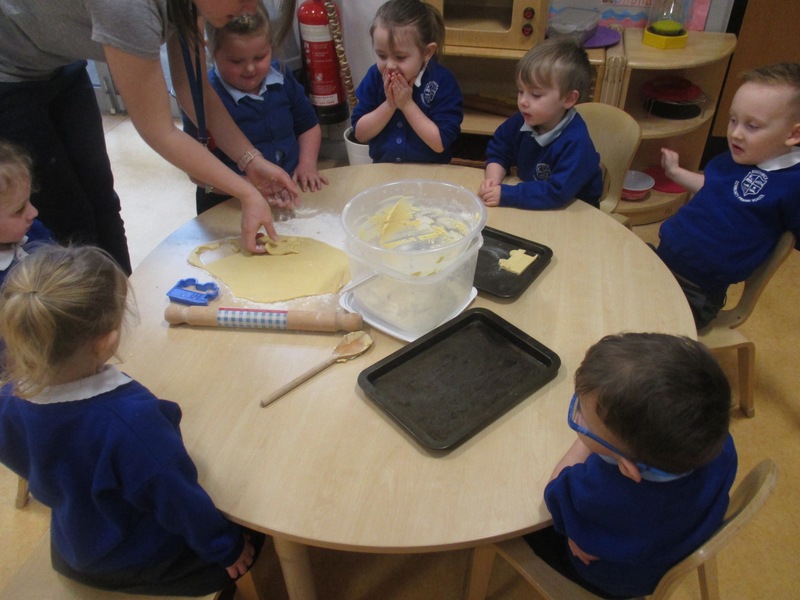 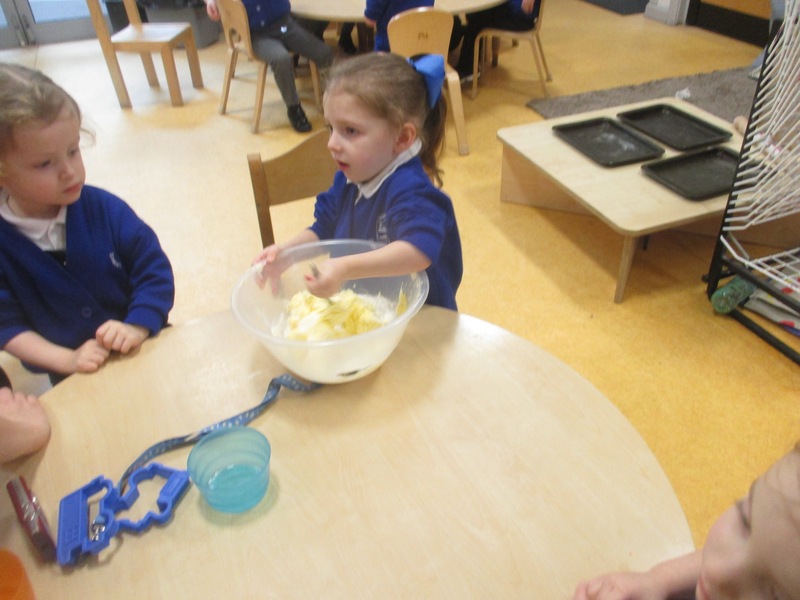 There is always lots of fun to be had in the dough area. 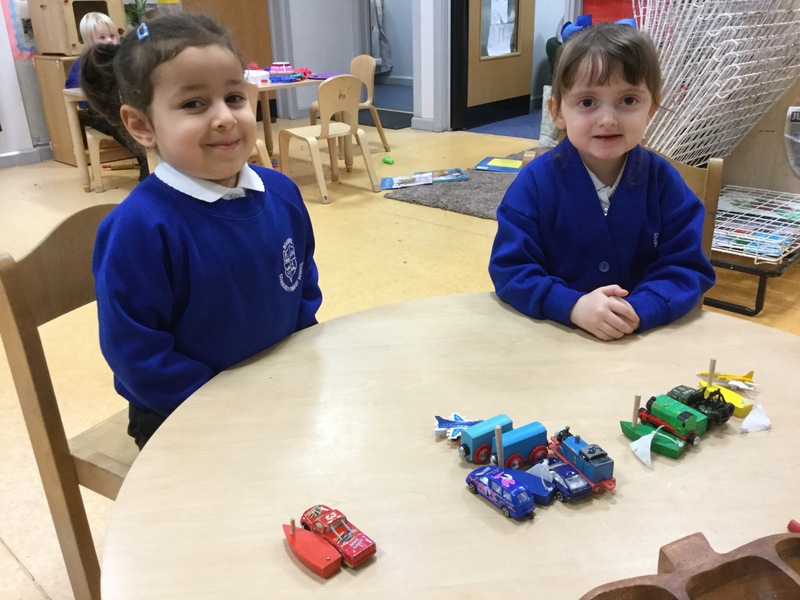 Look at all these amazing vehicles we have made using the cutters. 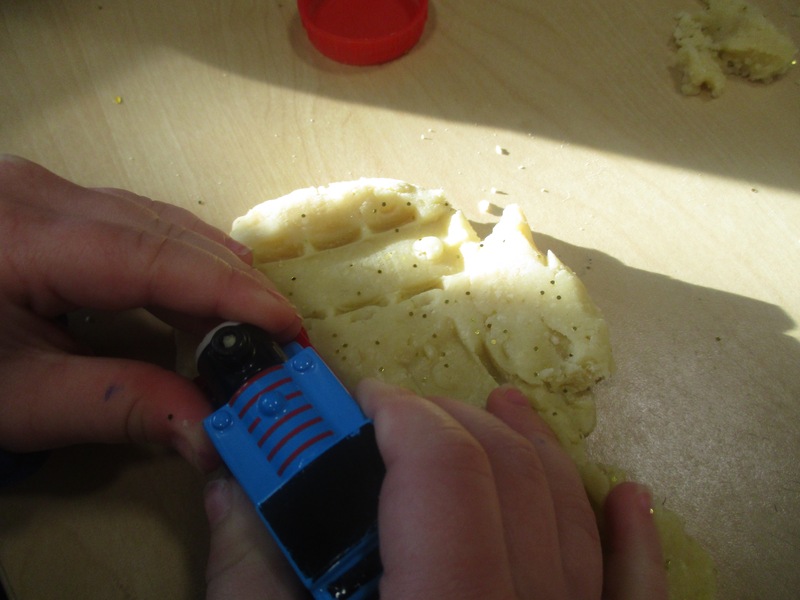 Did you know that you could make such amazing patterns using the trains in the dough? 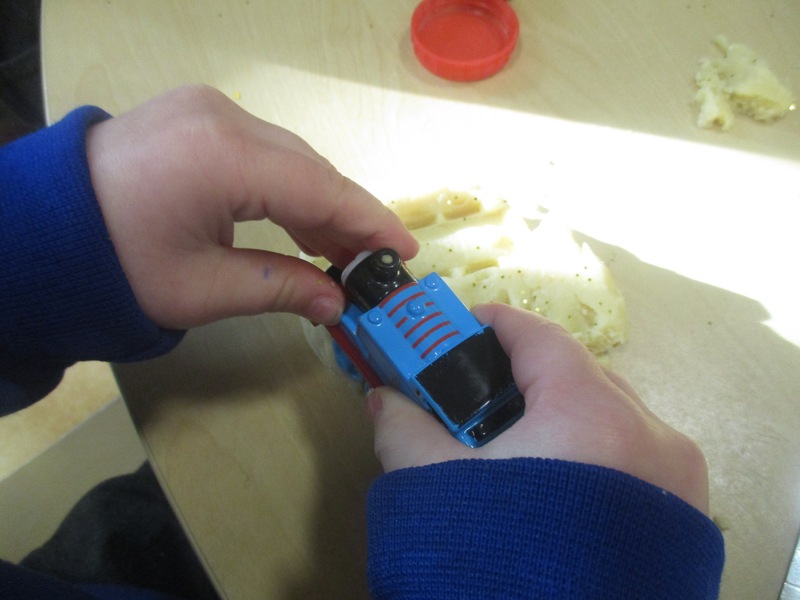 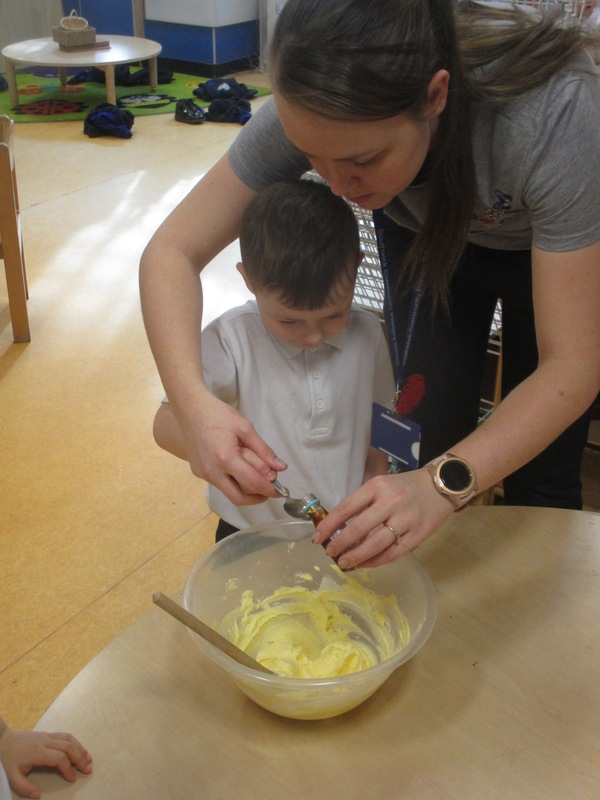 We had such fun baking these luscious train biscuits, and learned lots about weighing, measuring and changes whilst we were baking. 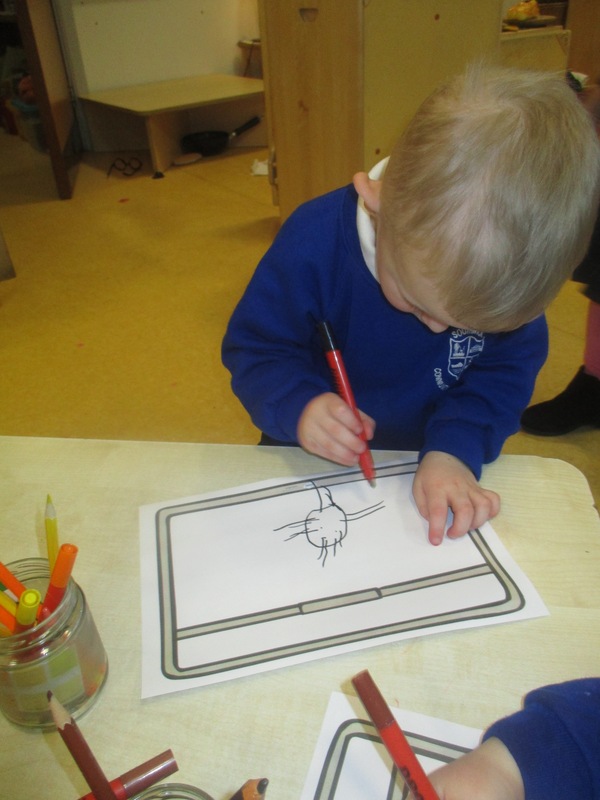 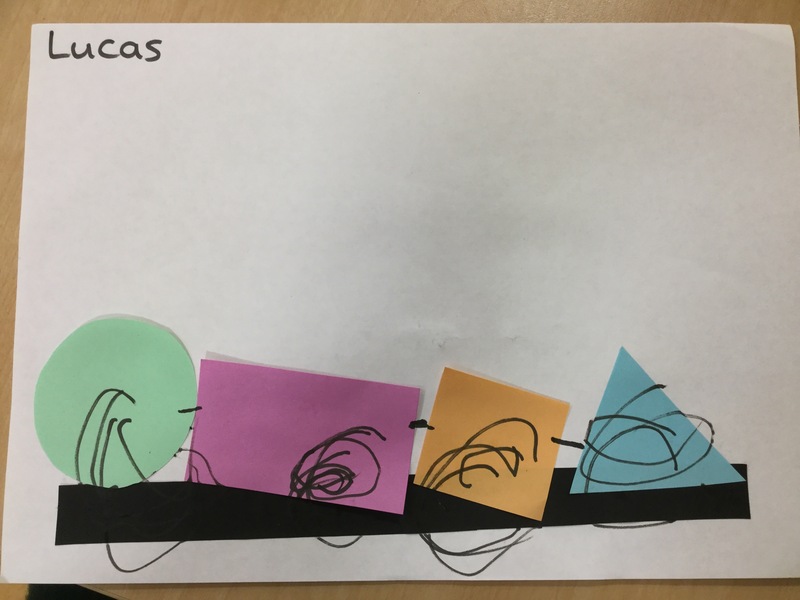 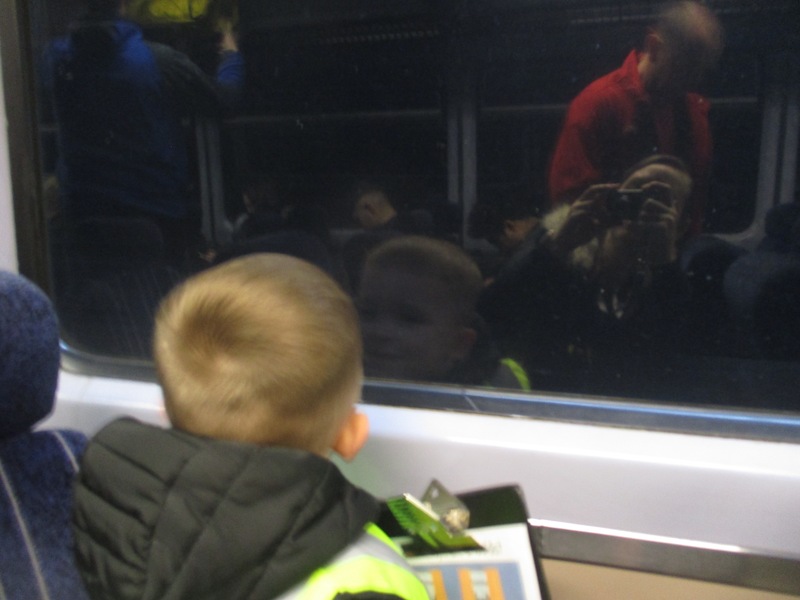 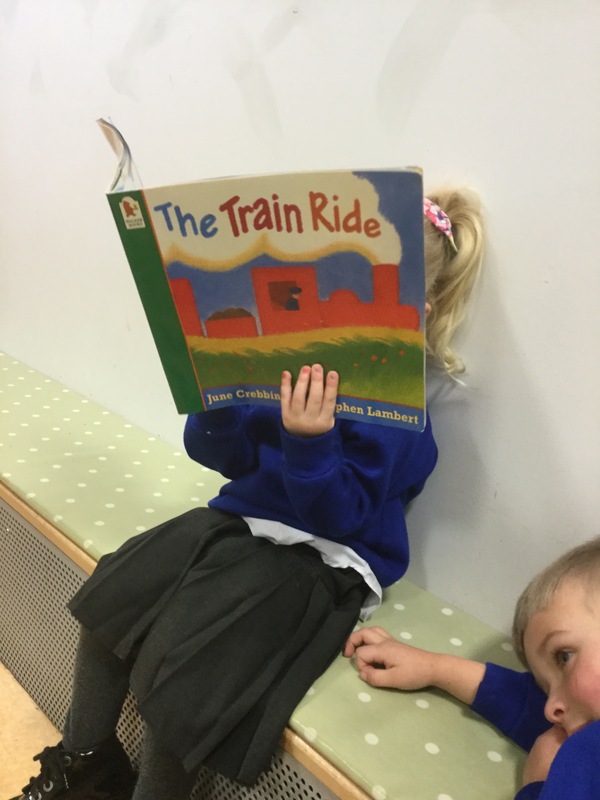 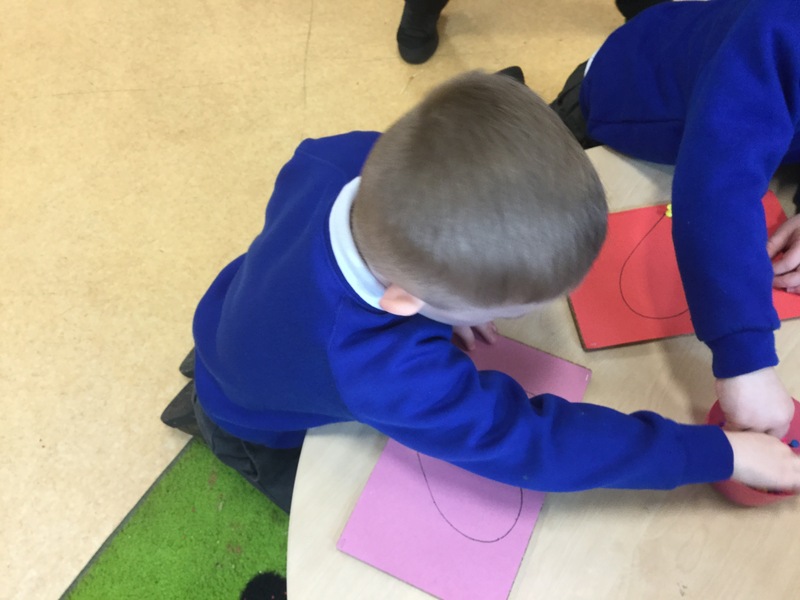 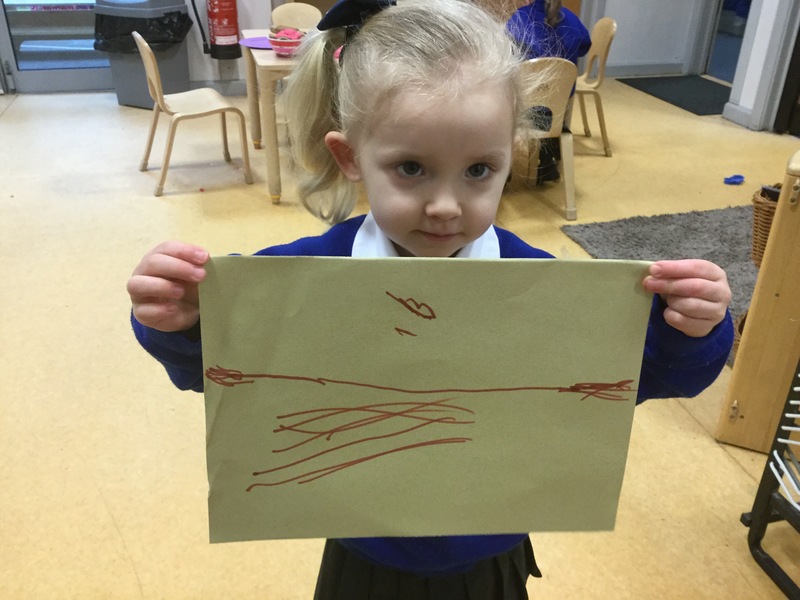 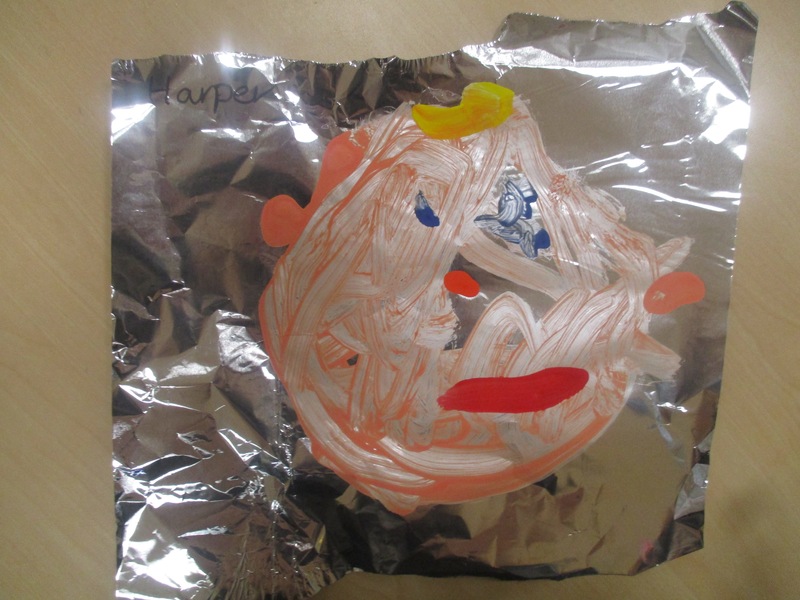 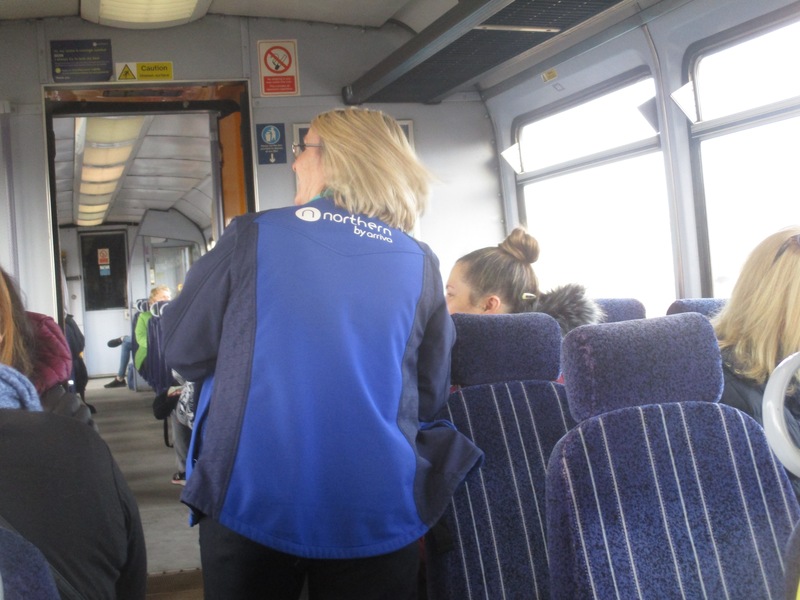 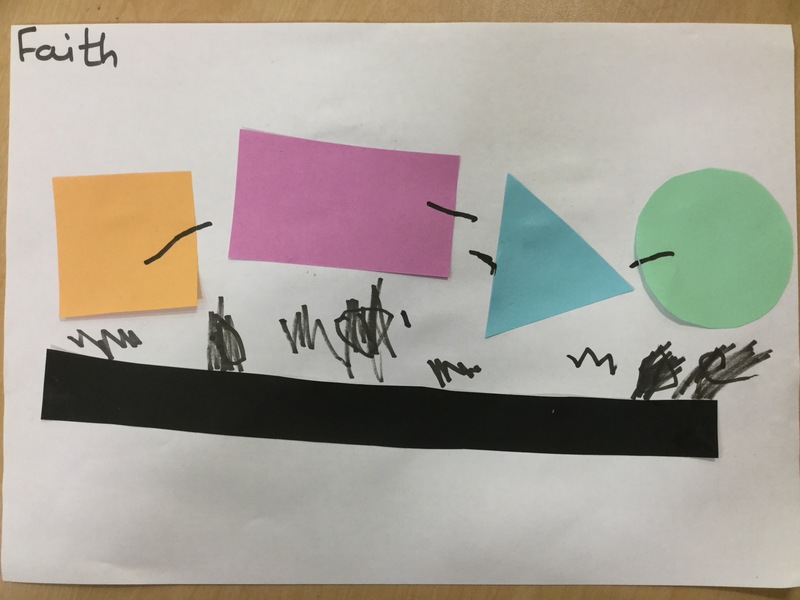 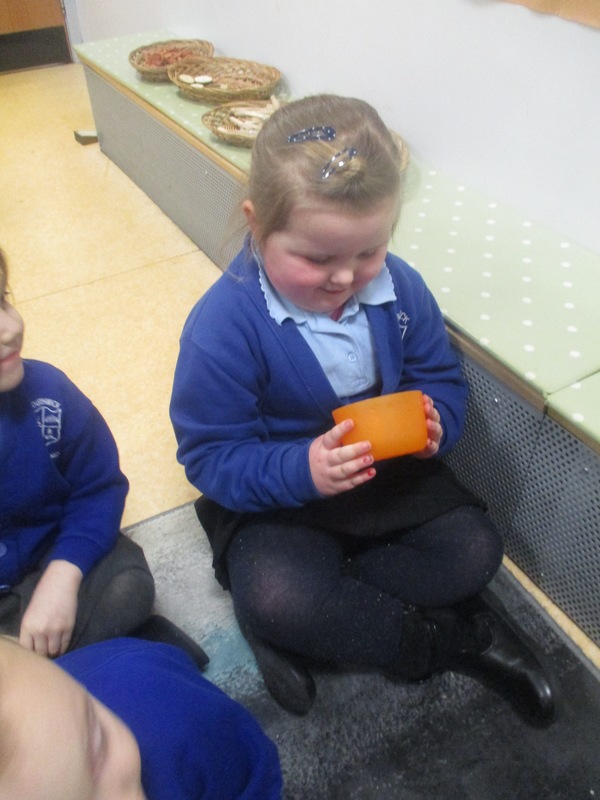 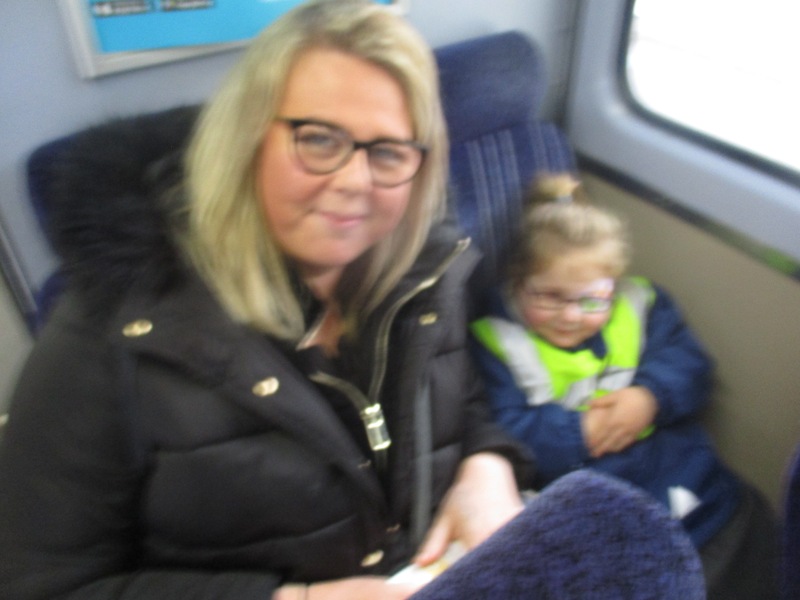 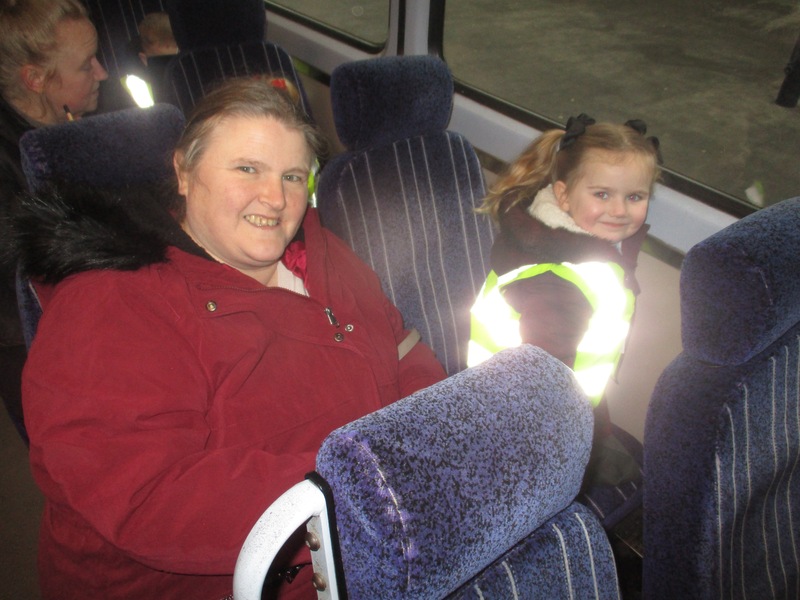 We have been learing lots about how reflections work and how you can see your face in a mirror – just like the girl did in the story the train ride. 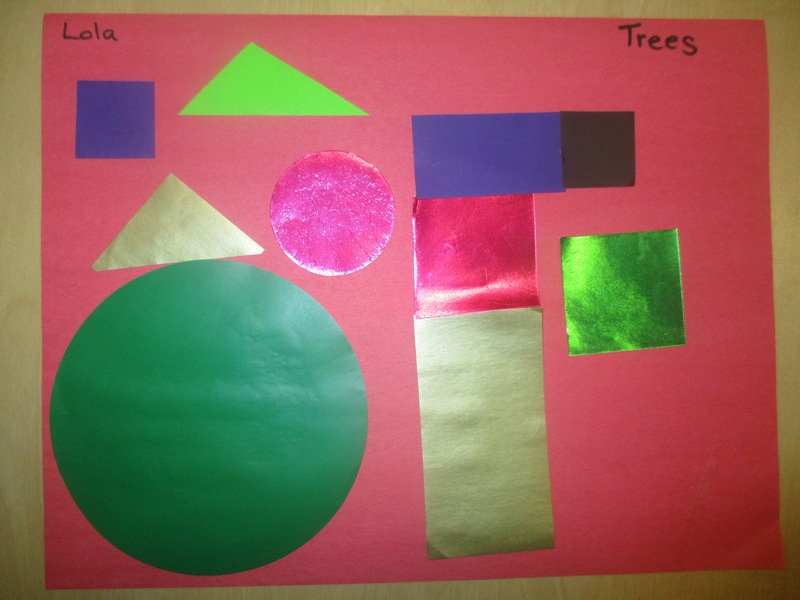 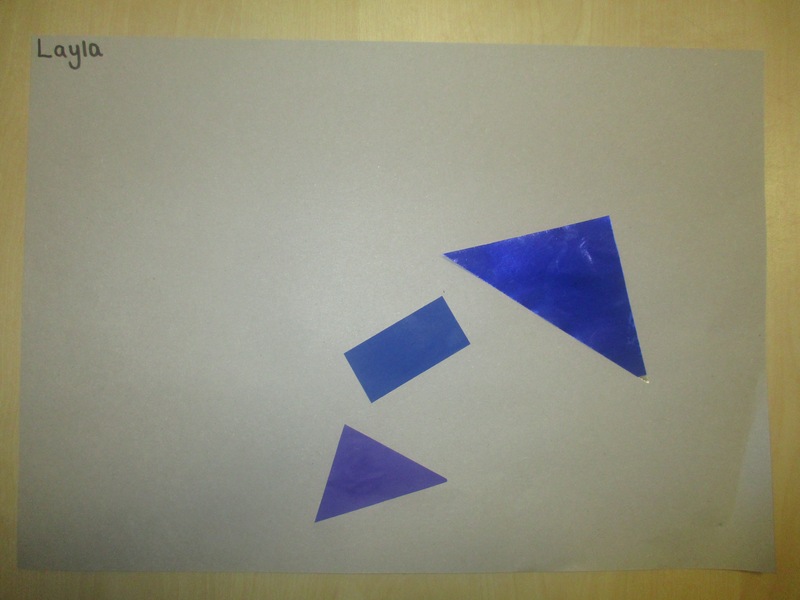 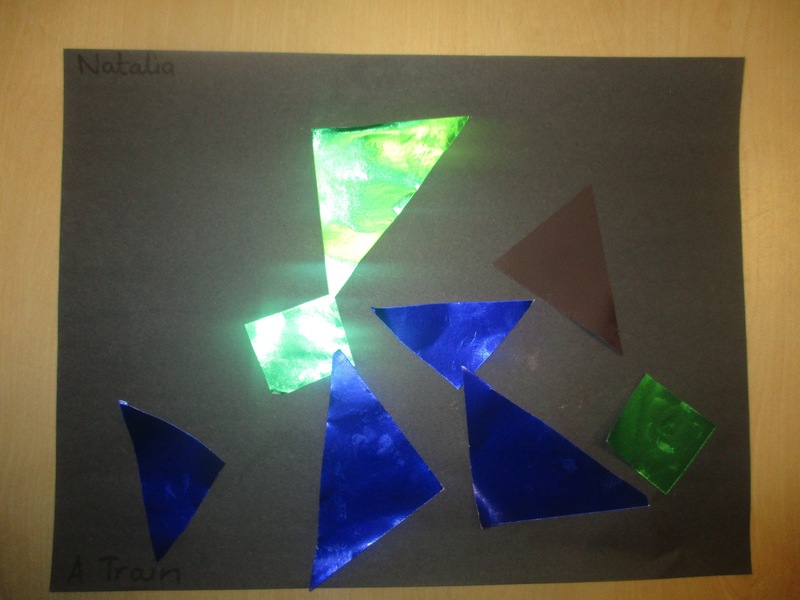 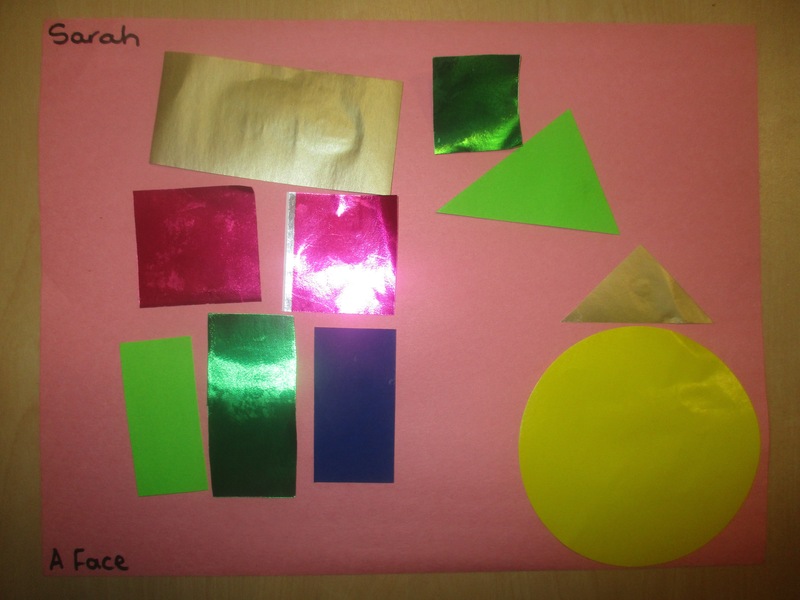 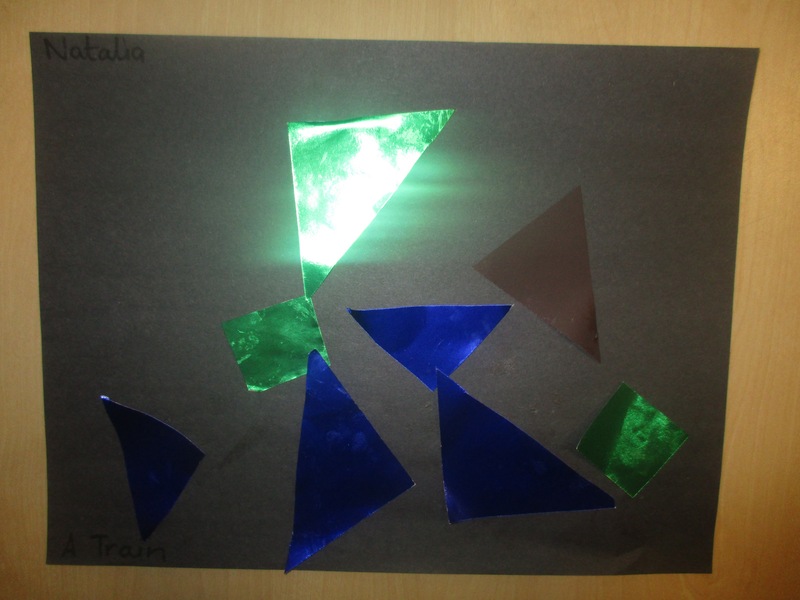 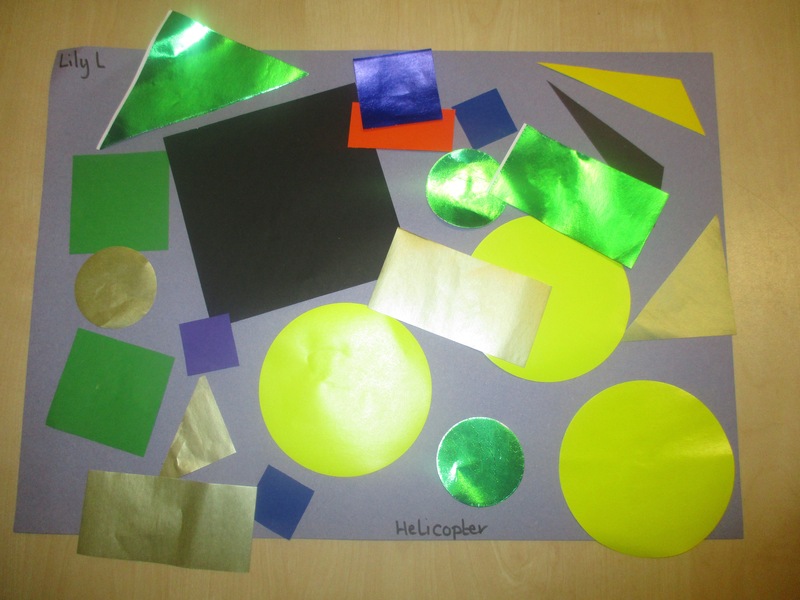 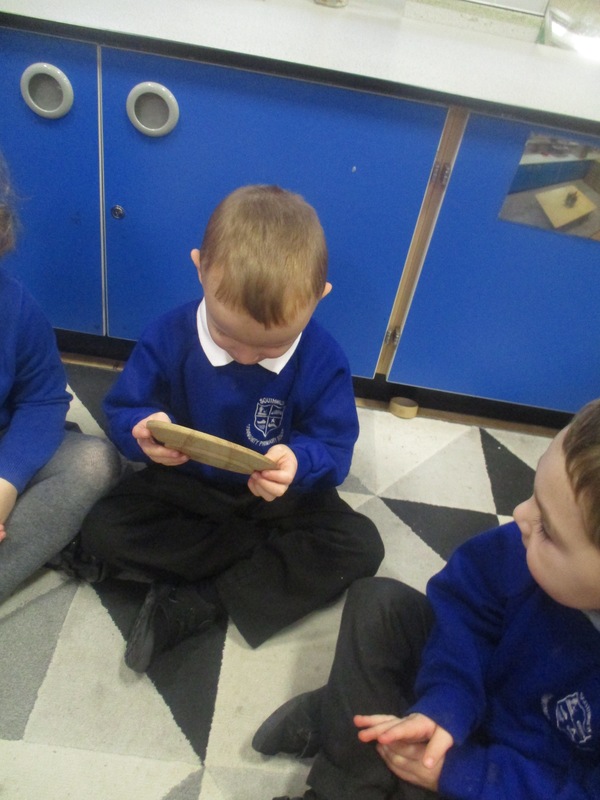 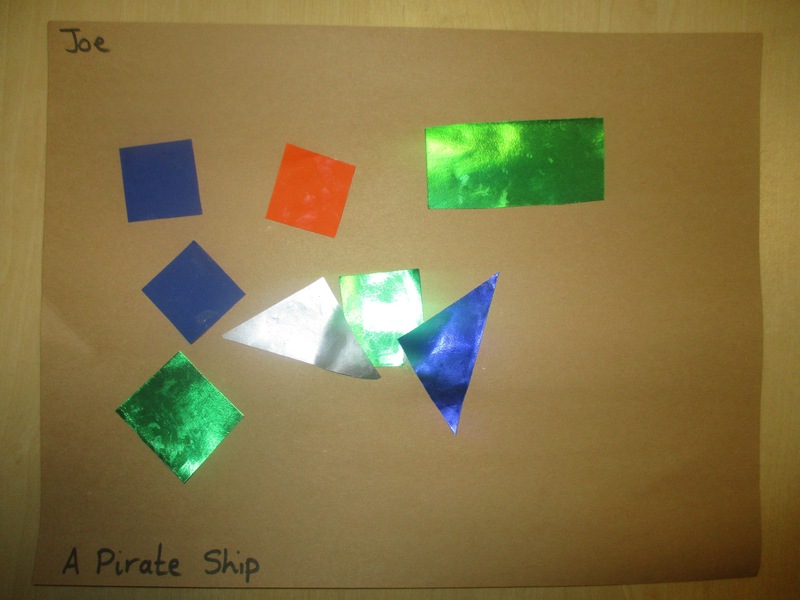 We explored lots of different materials to see if we could see our reflection. 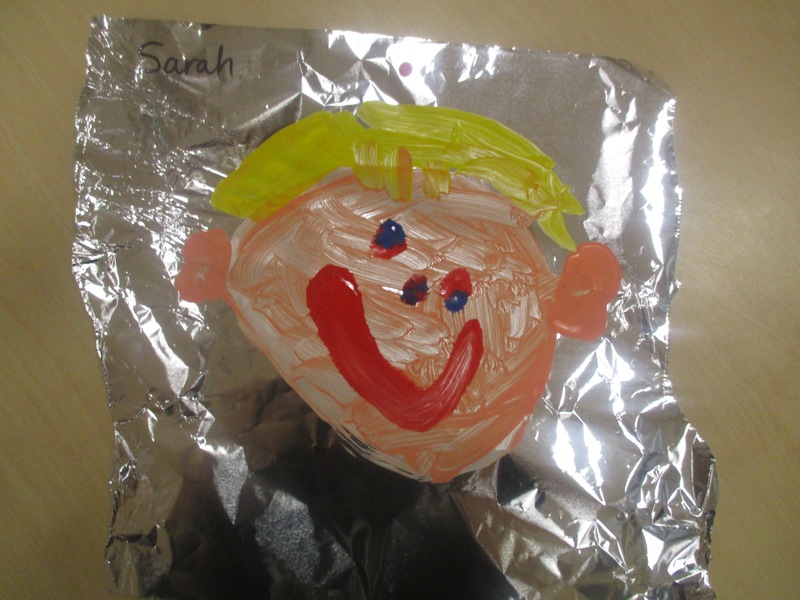 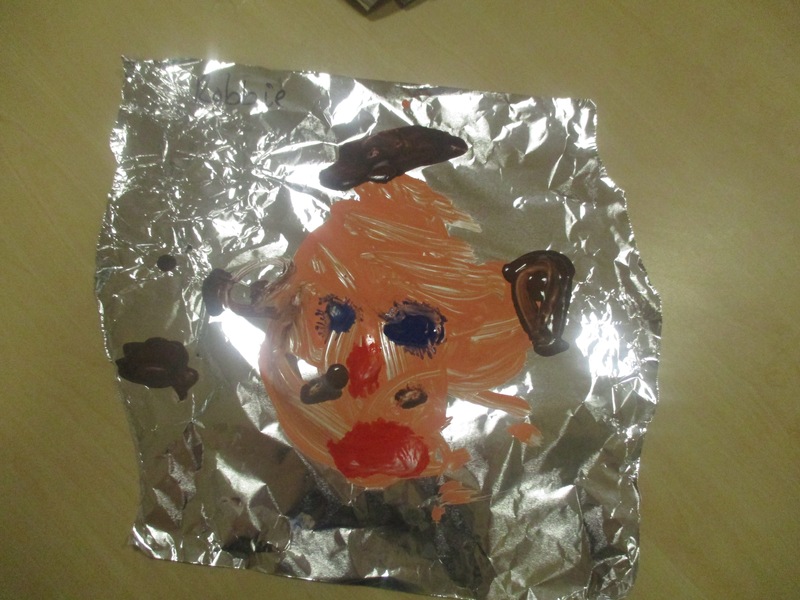 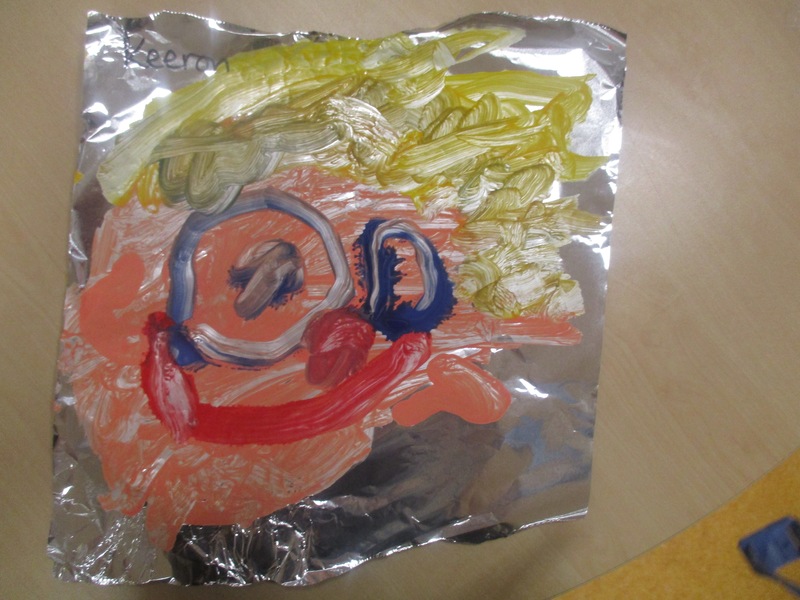 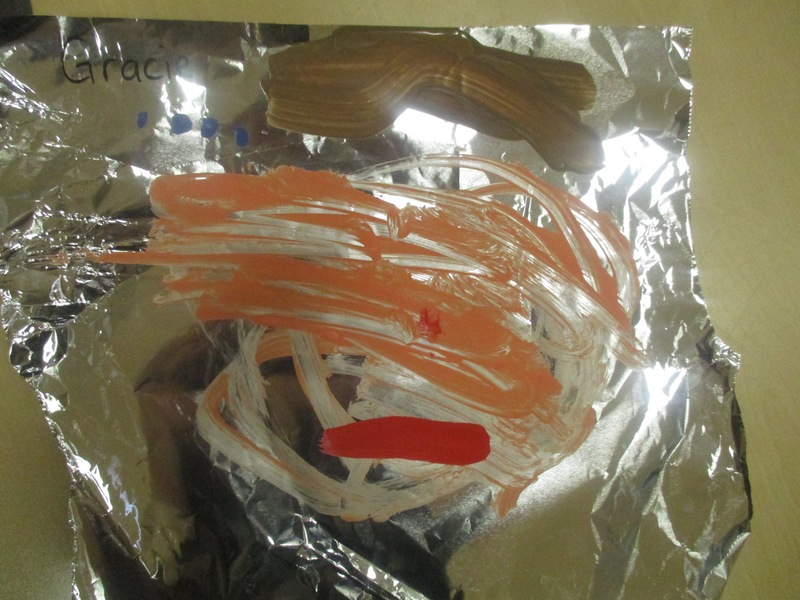 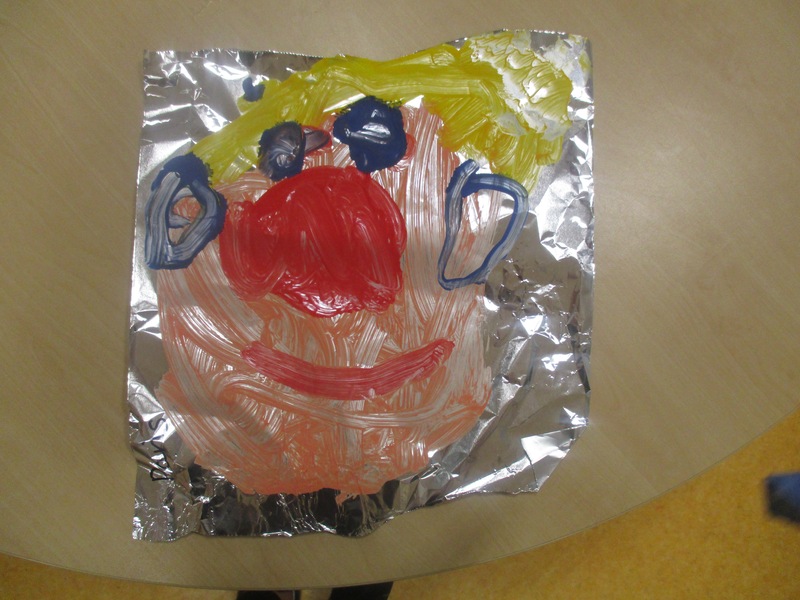 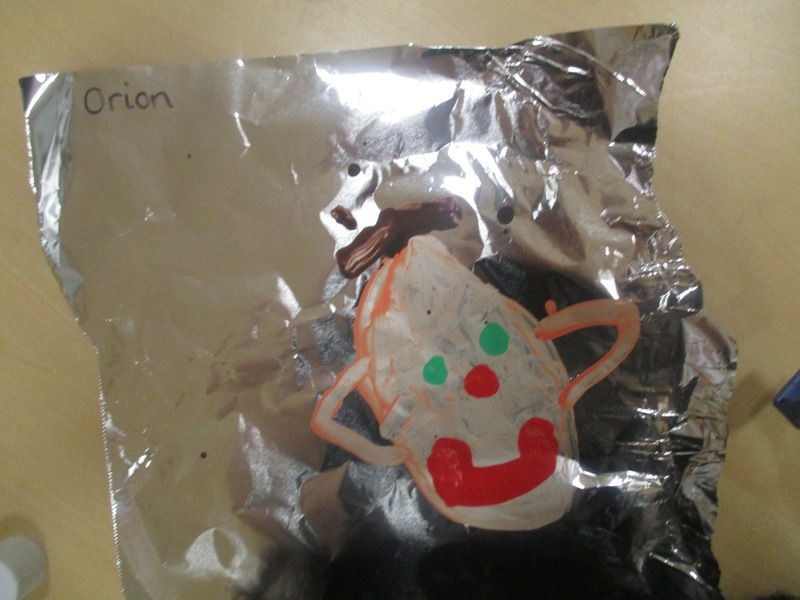 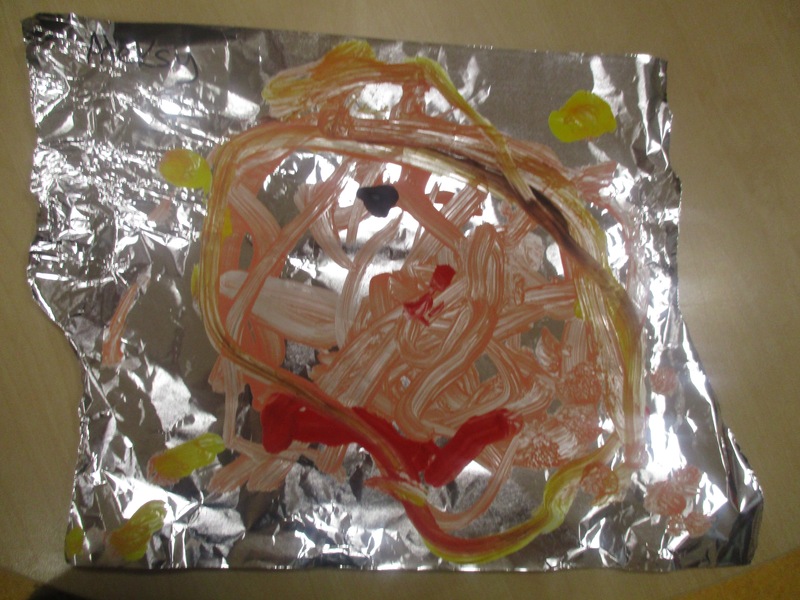 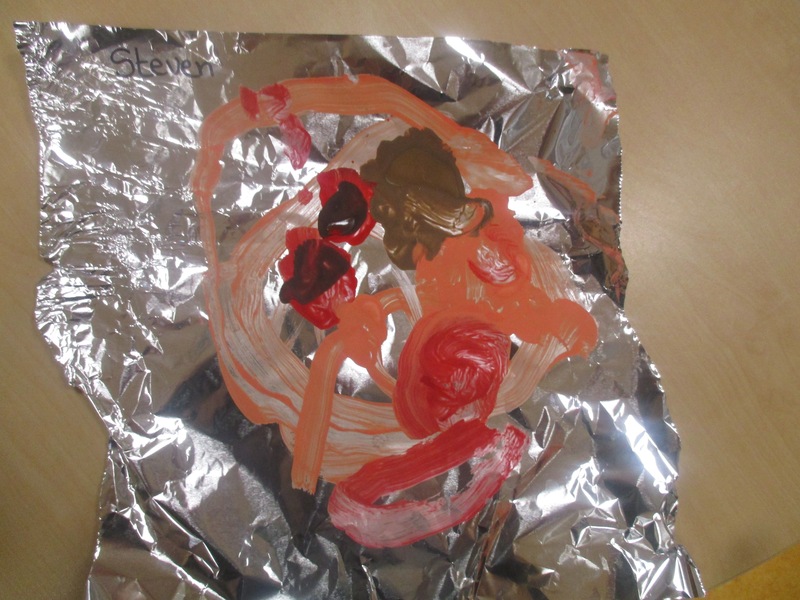 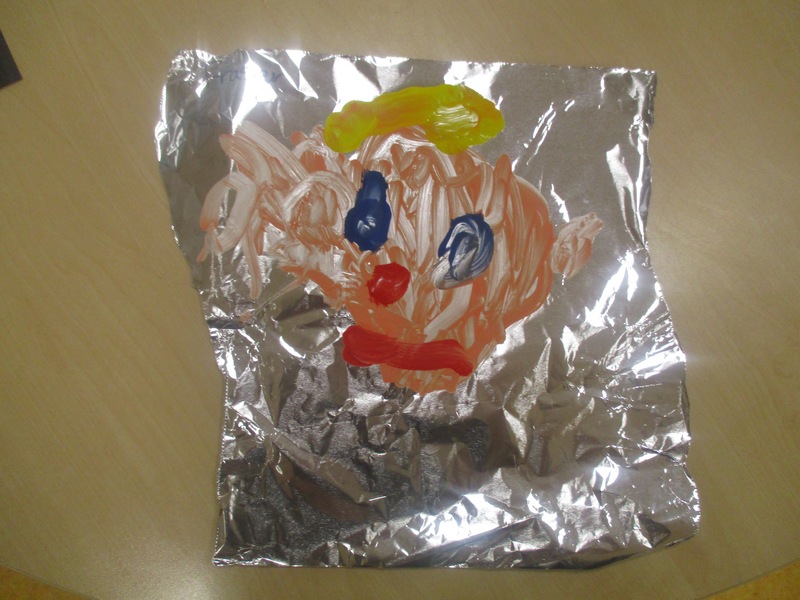 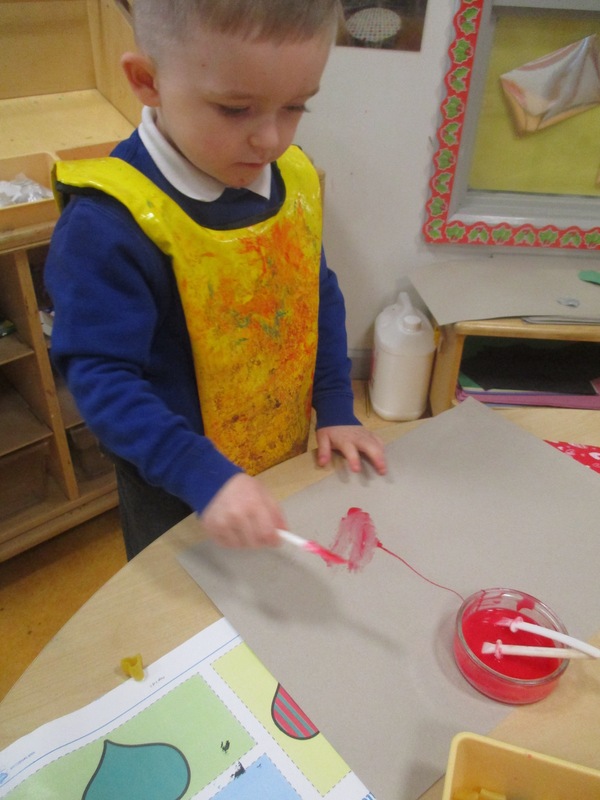 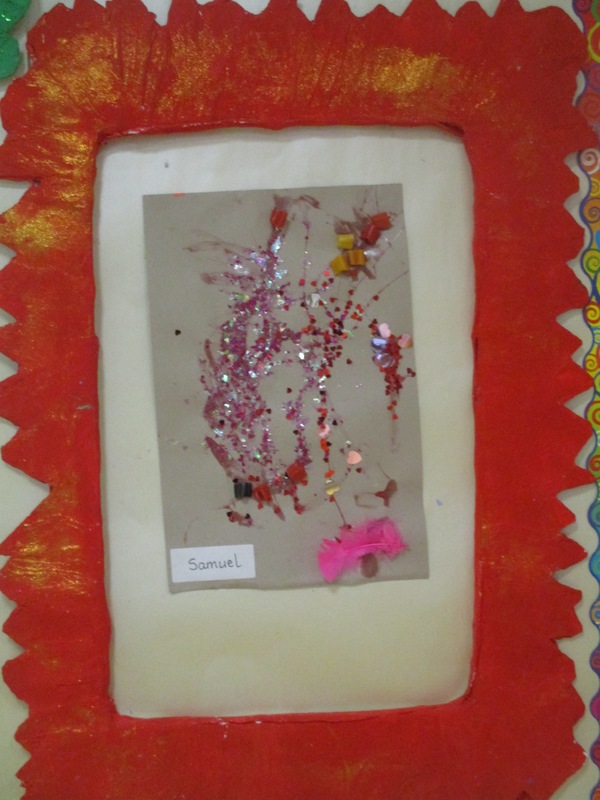 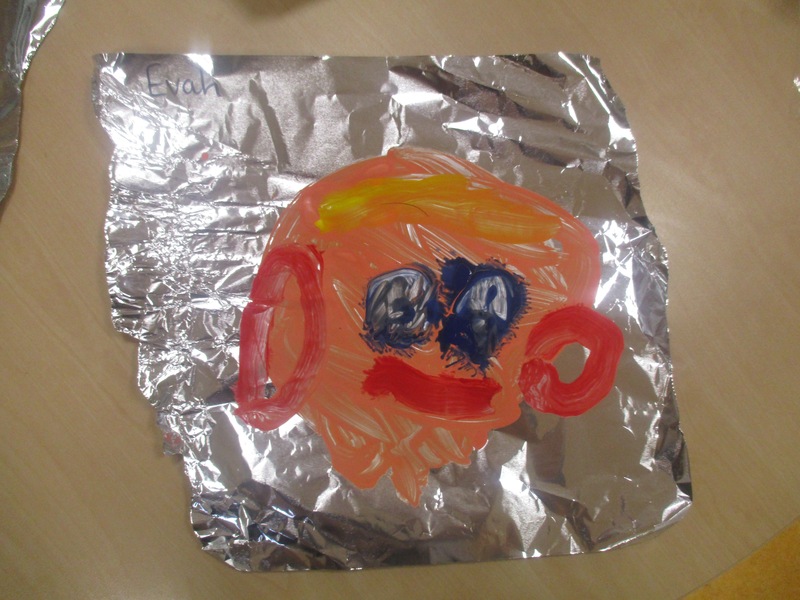 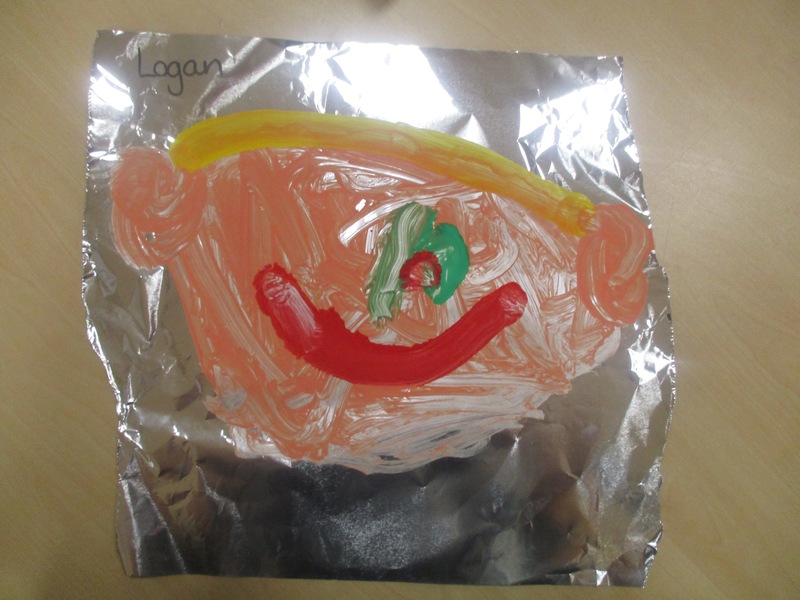 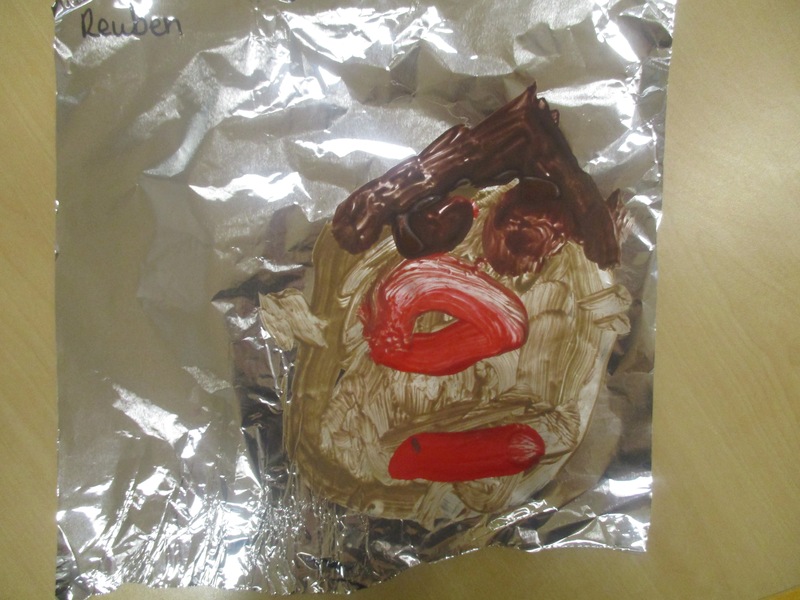 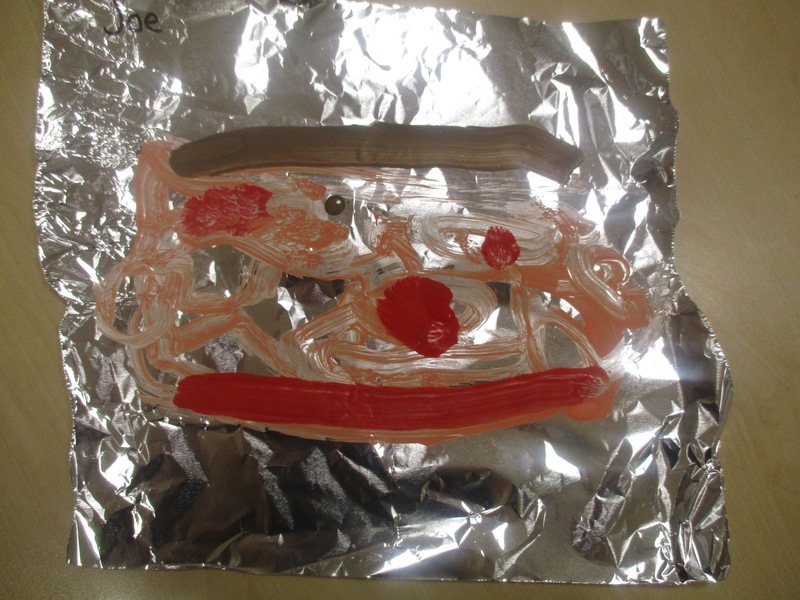 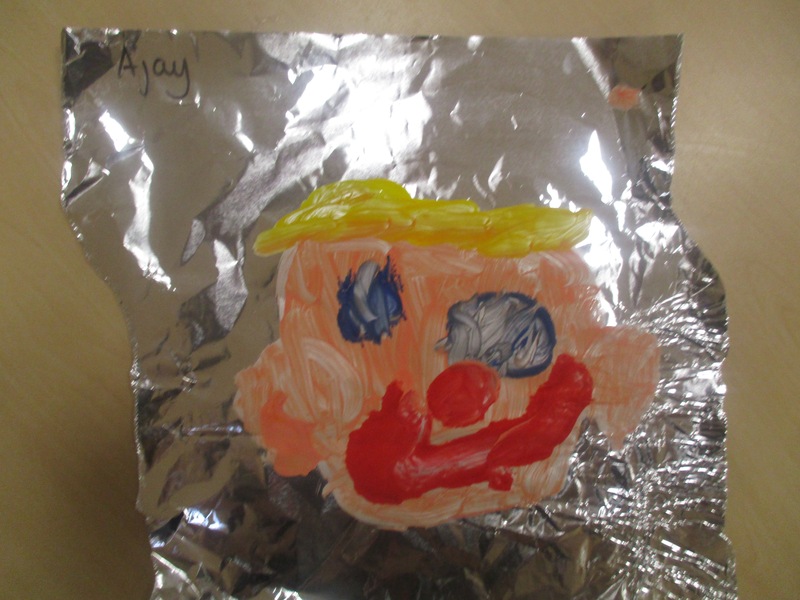 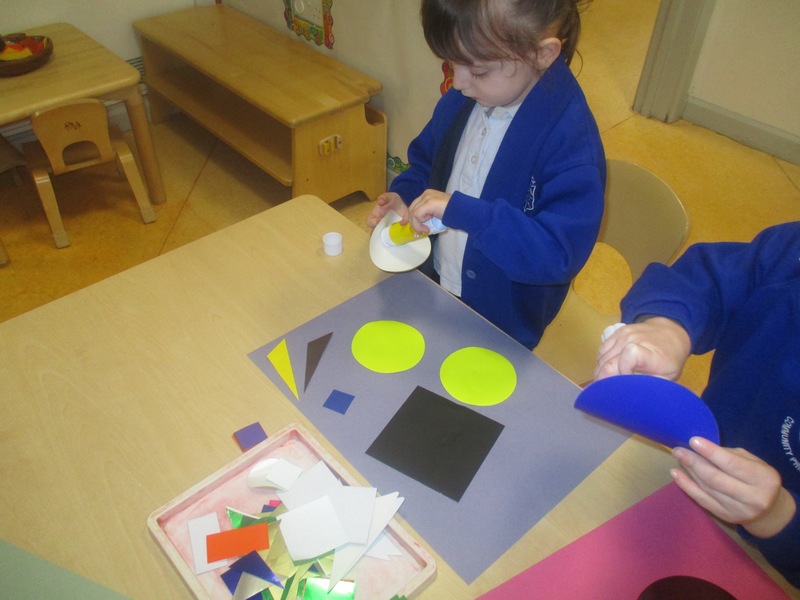 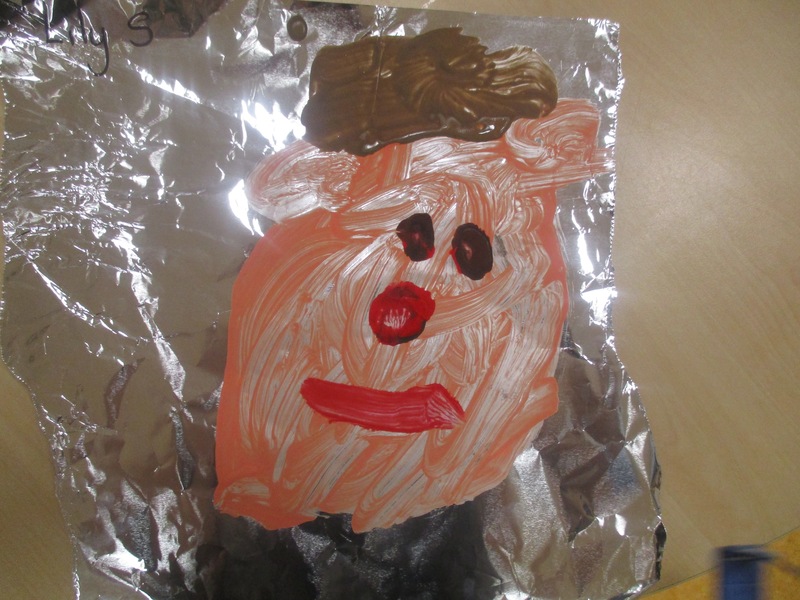 We then used the paints to create our own “face in the mirror, looking at me looking at me”. 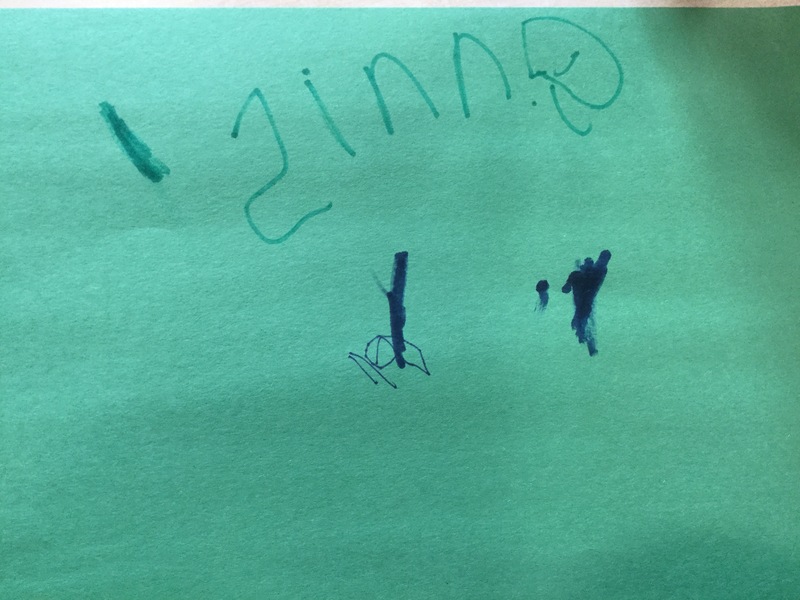 Grown ups can you tell who is who? 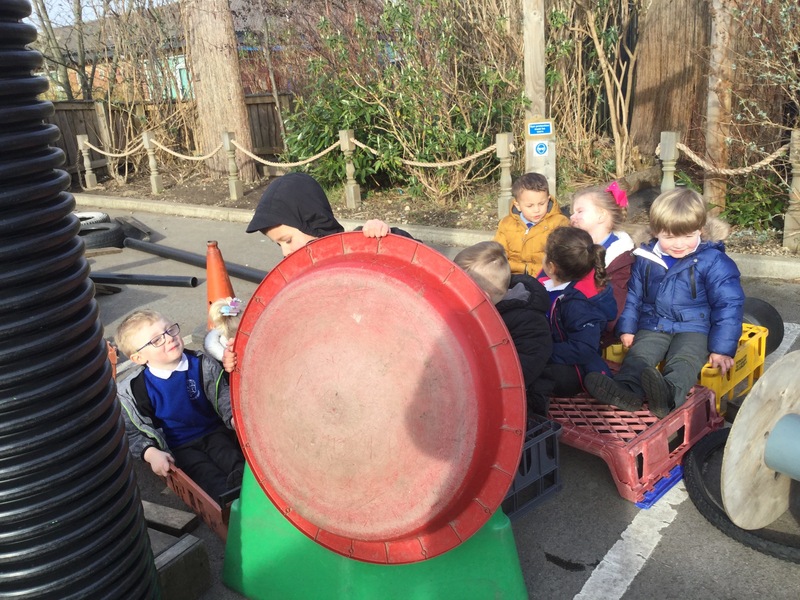 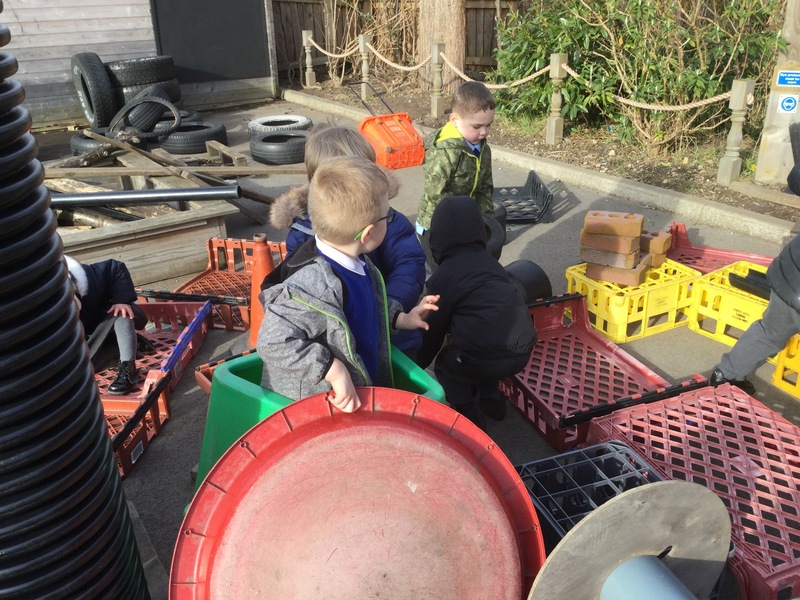 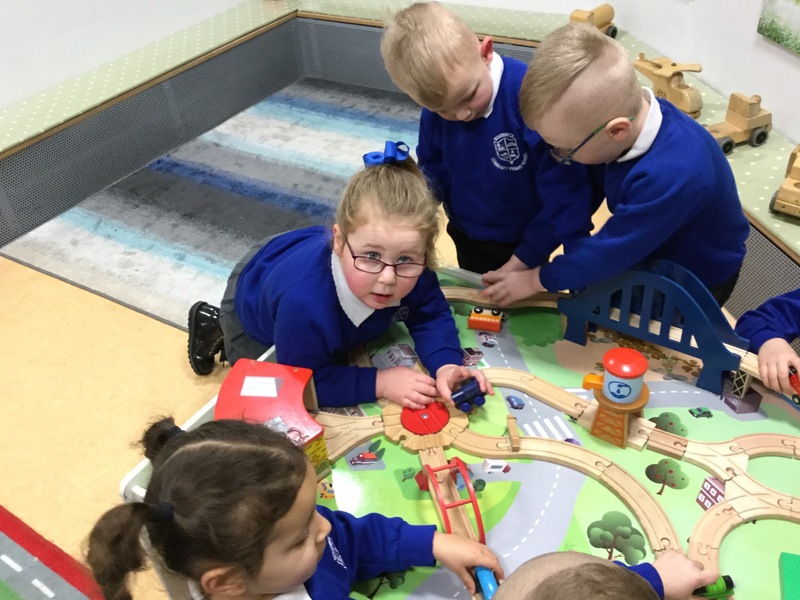 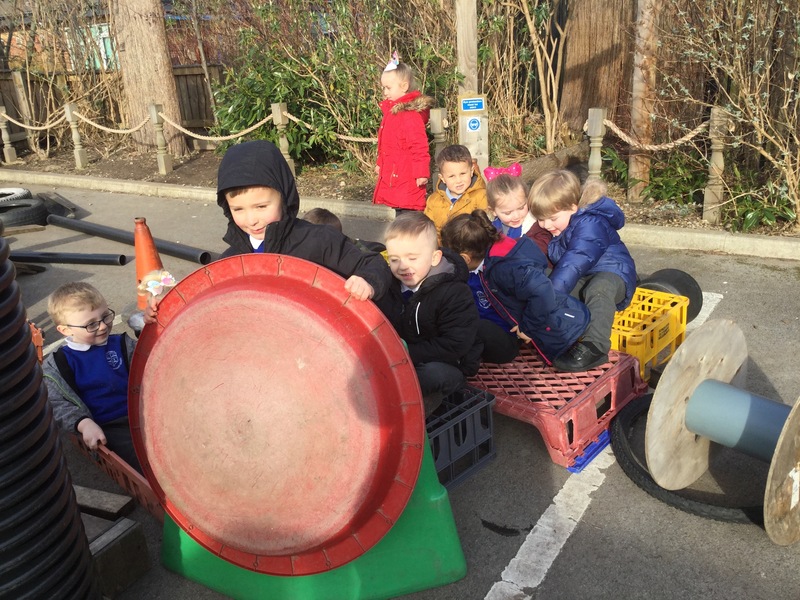 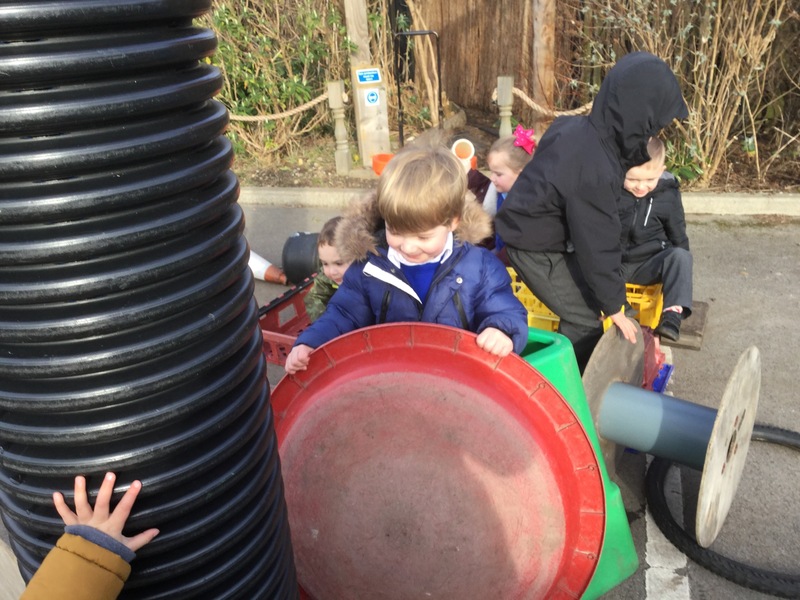 The children have loved playing trains in the outdoor area. 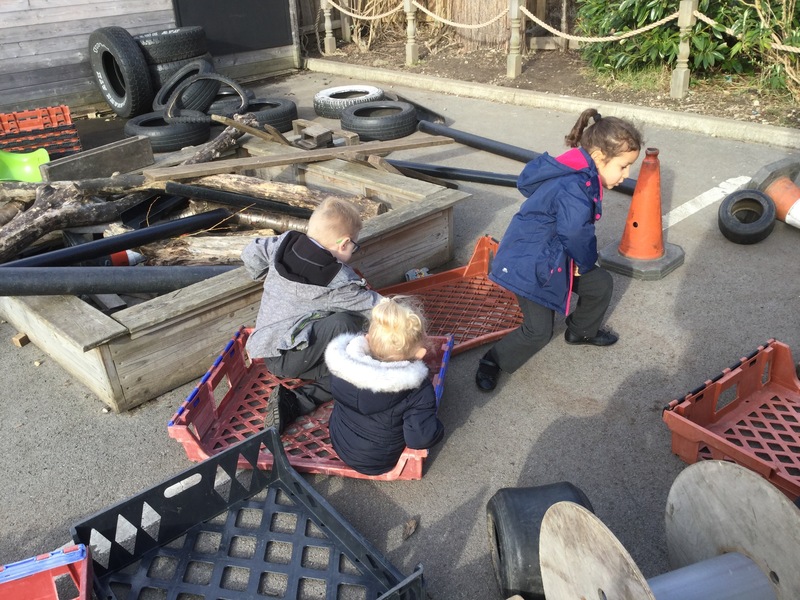 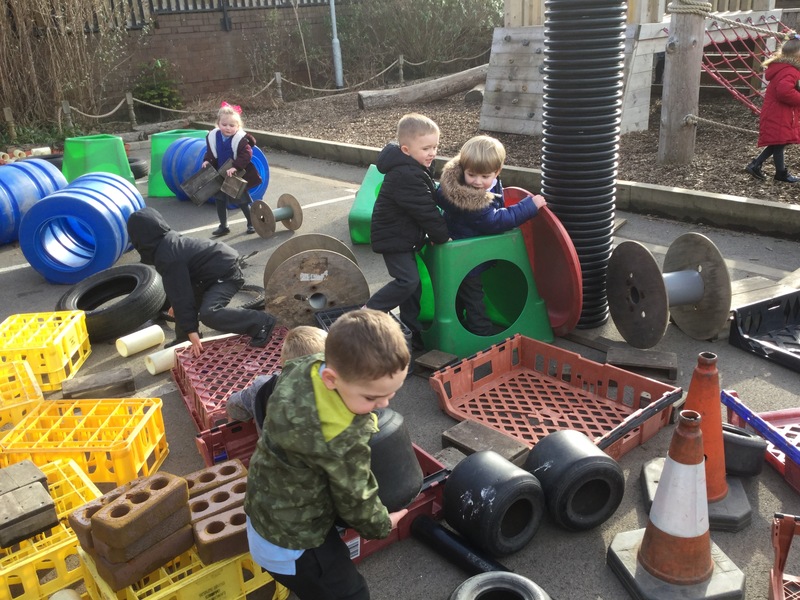 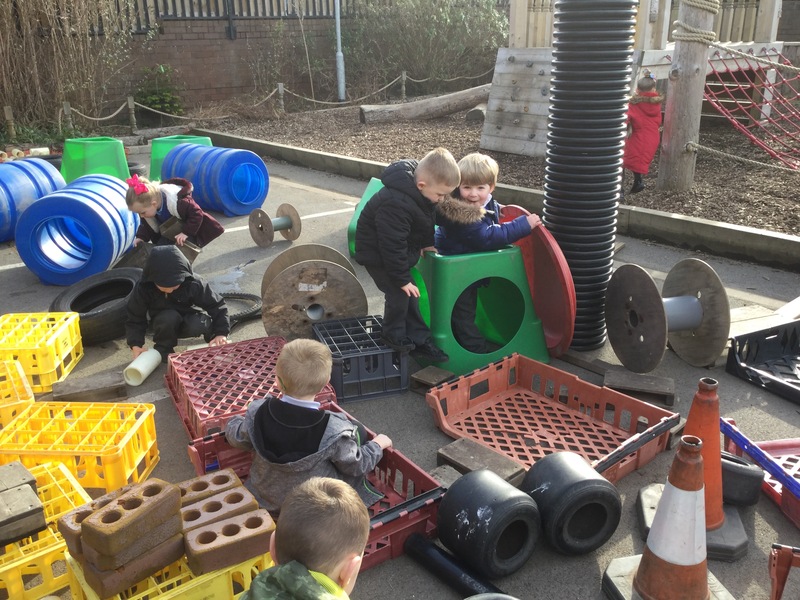 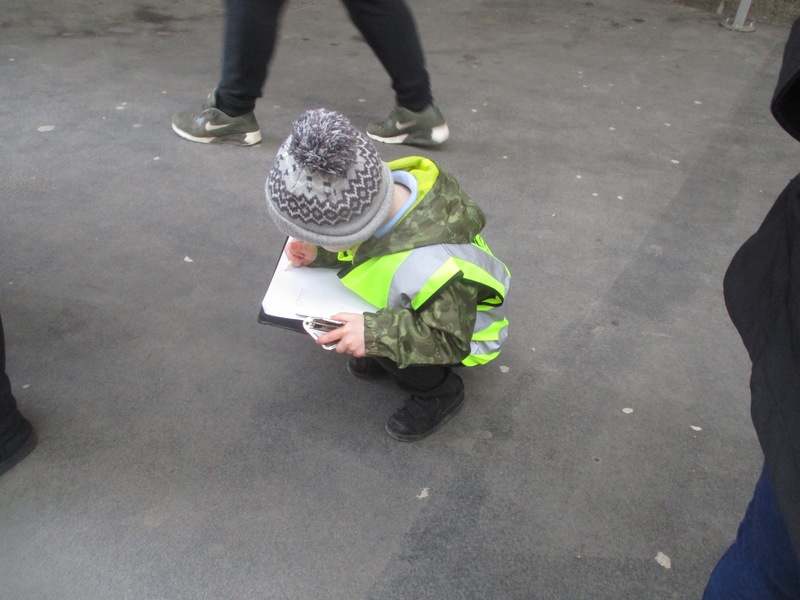 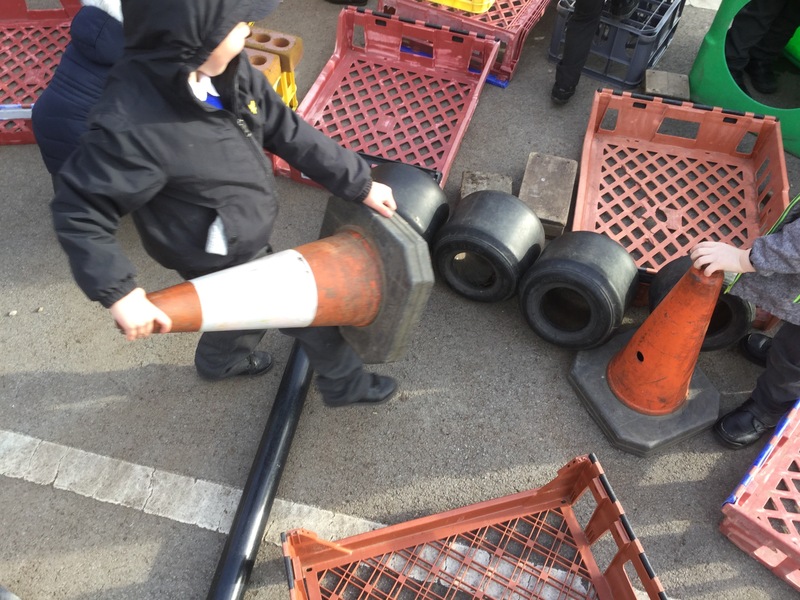 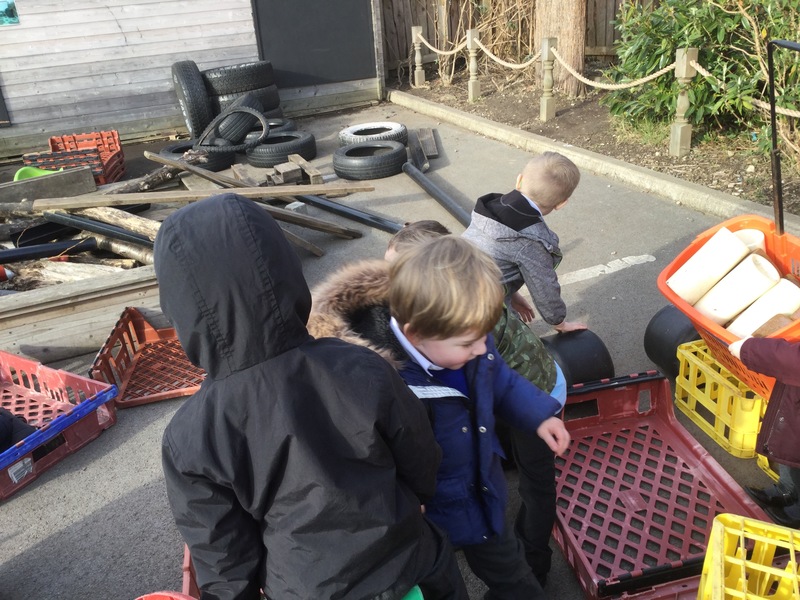 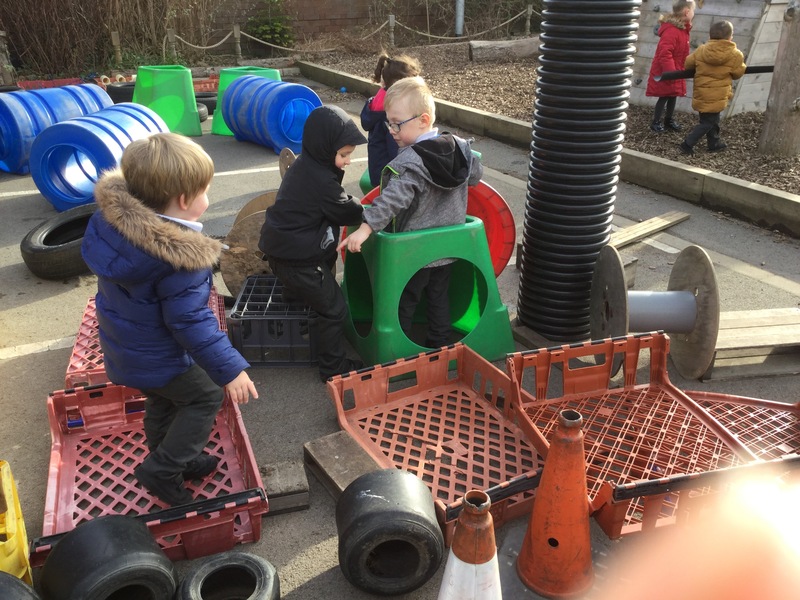 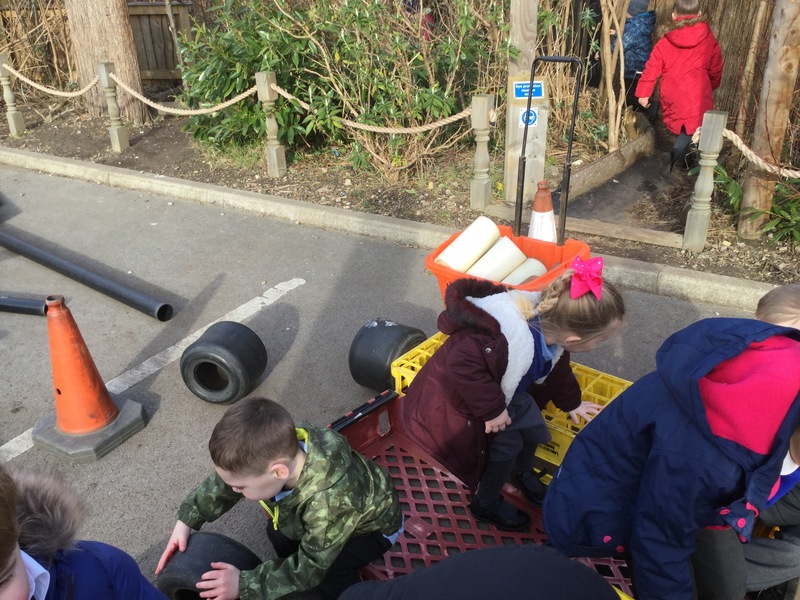 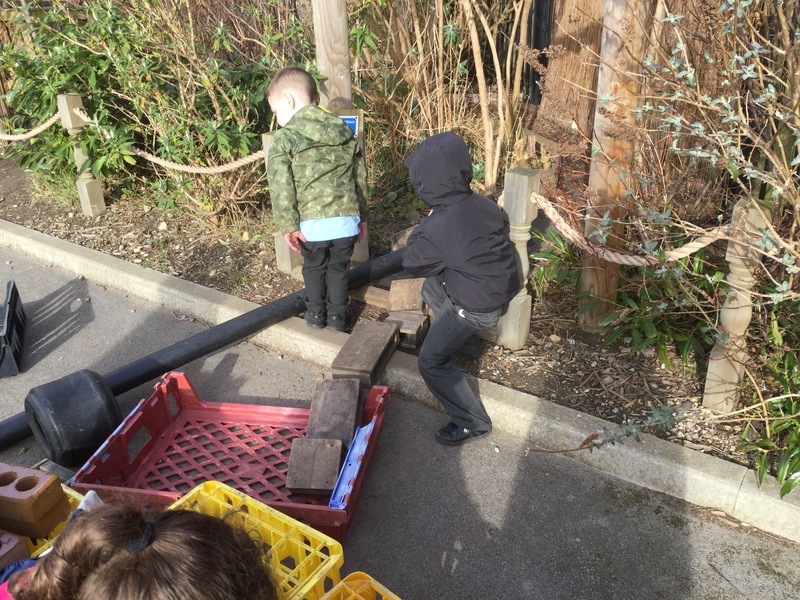 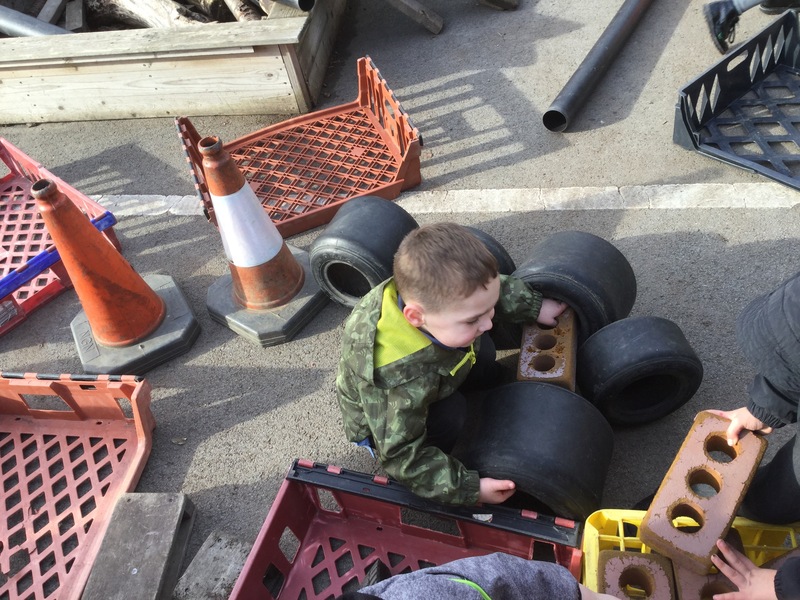 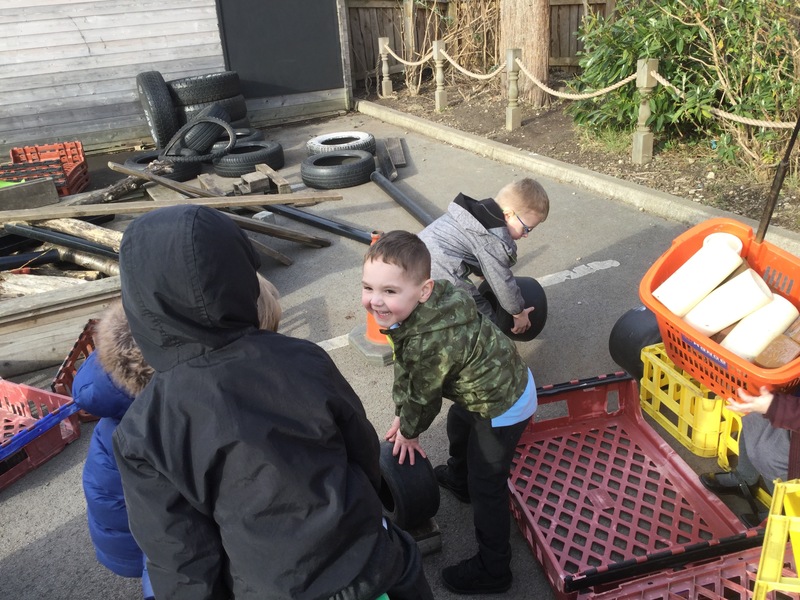 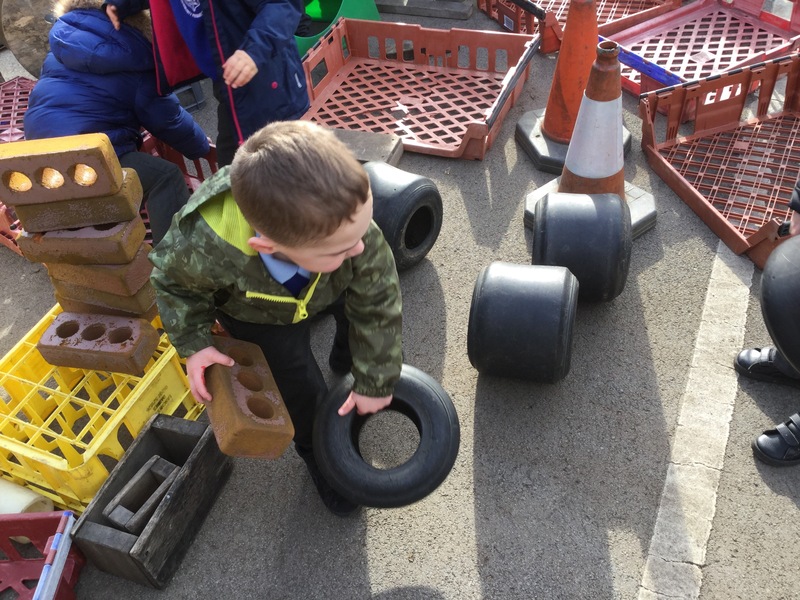 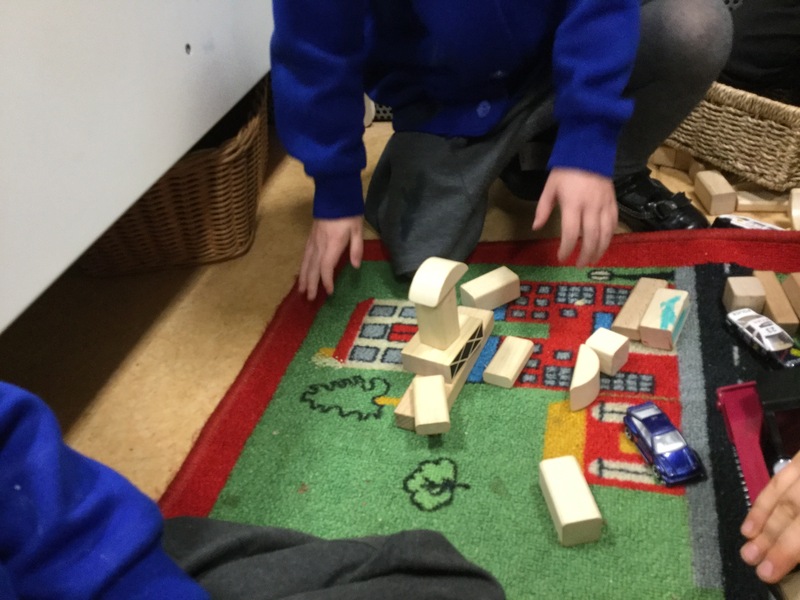 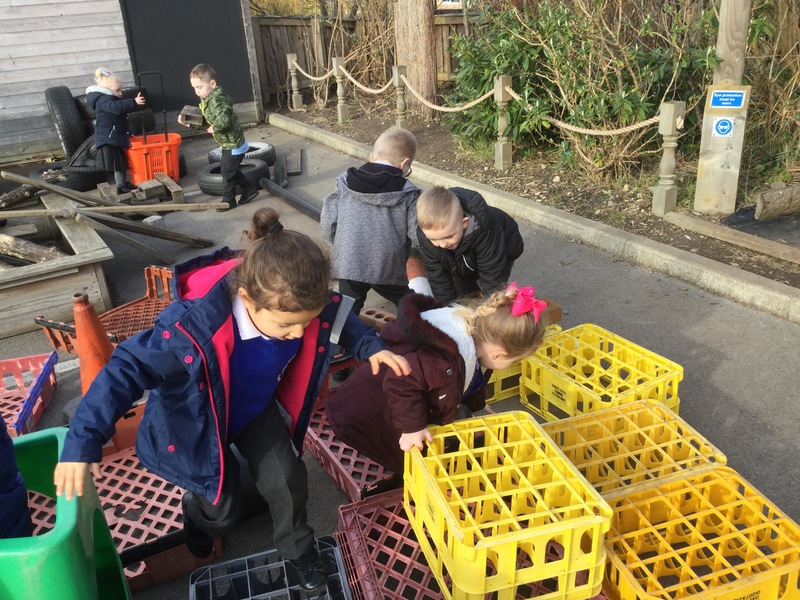 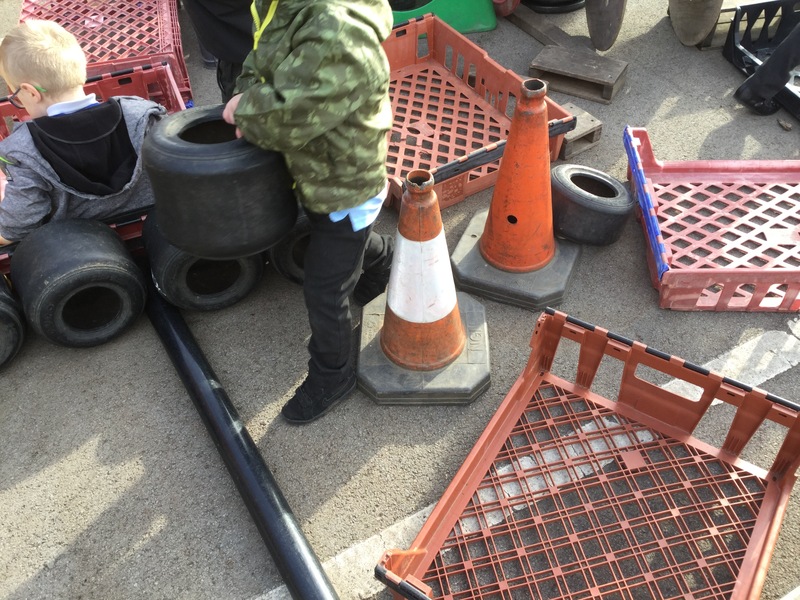 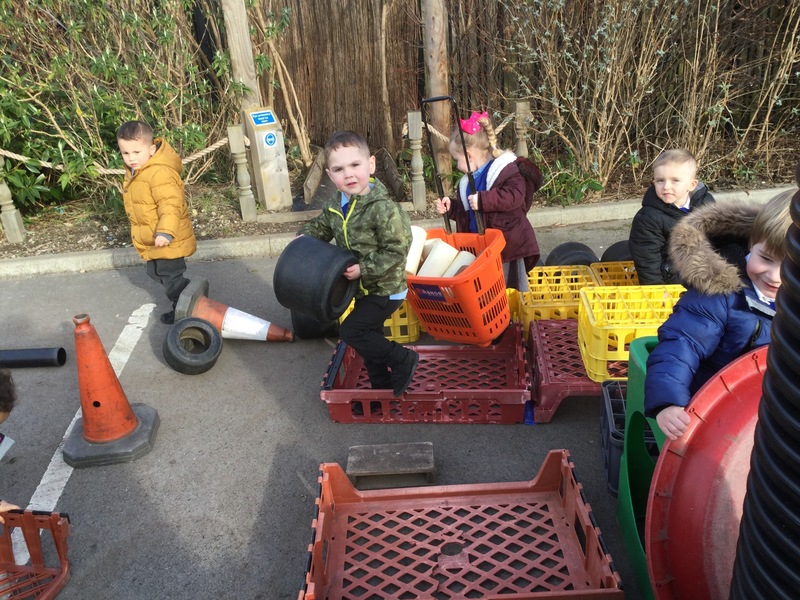 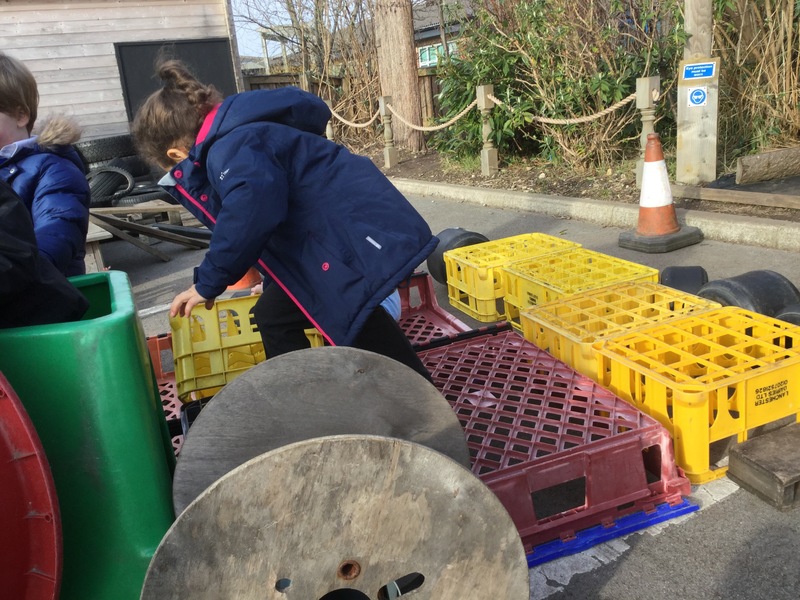 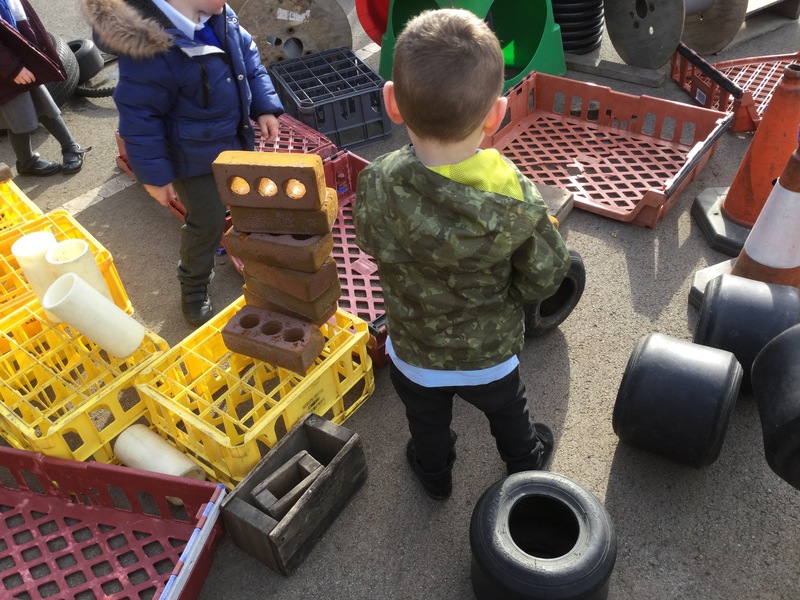 The children used the outdoor construction materials to build thier very own trips. 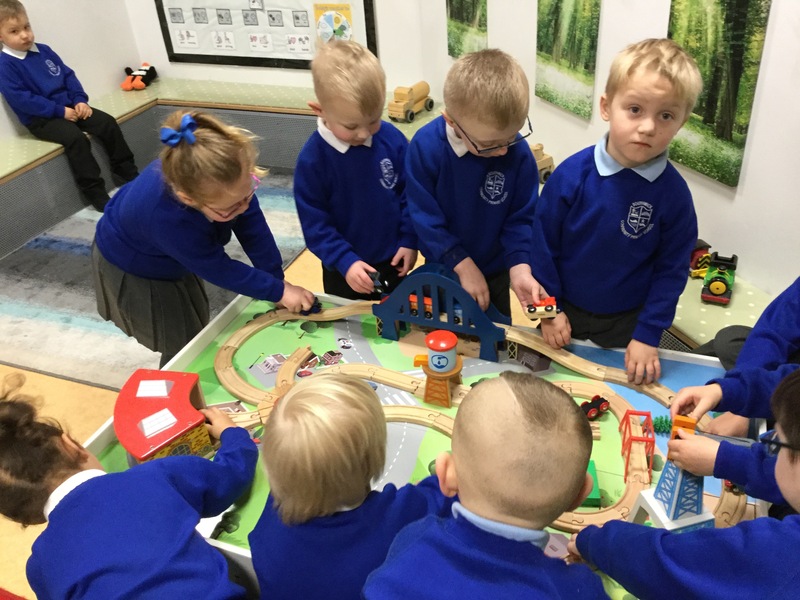 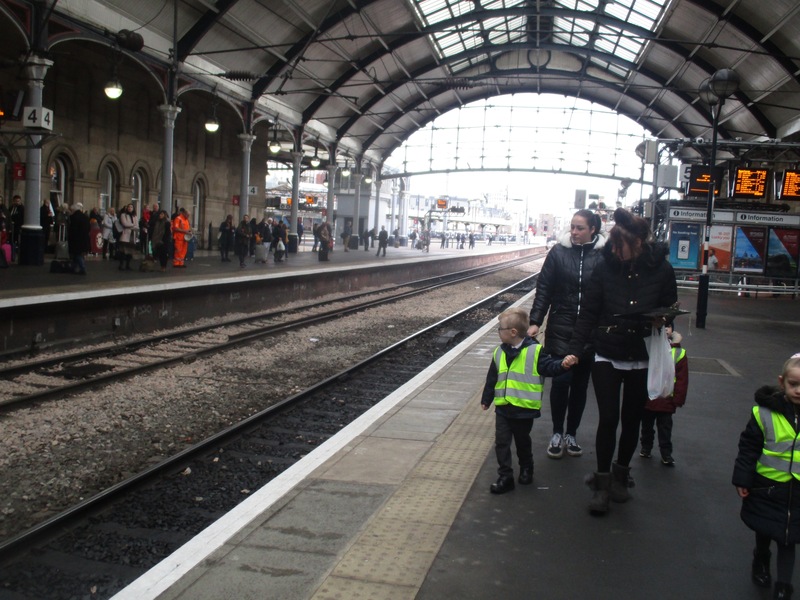 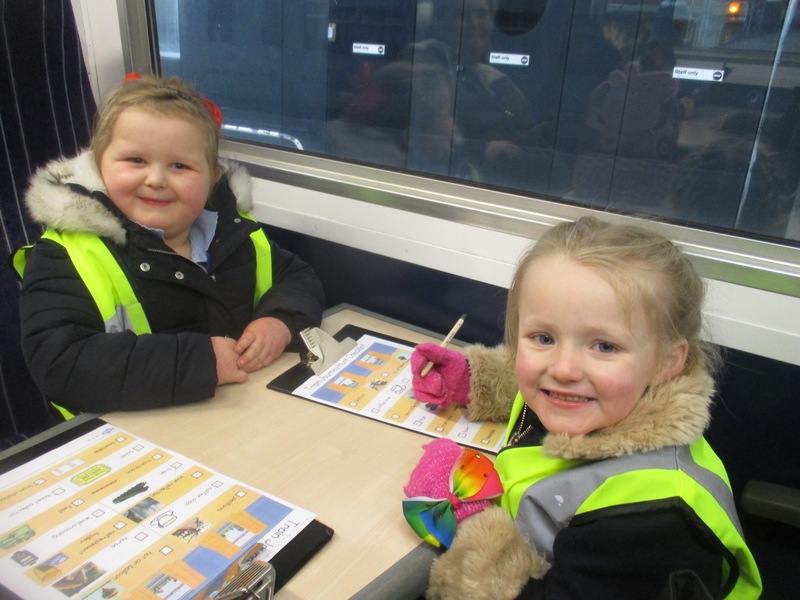 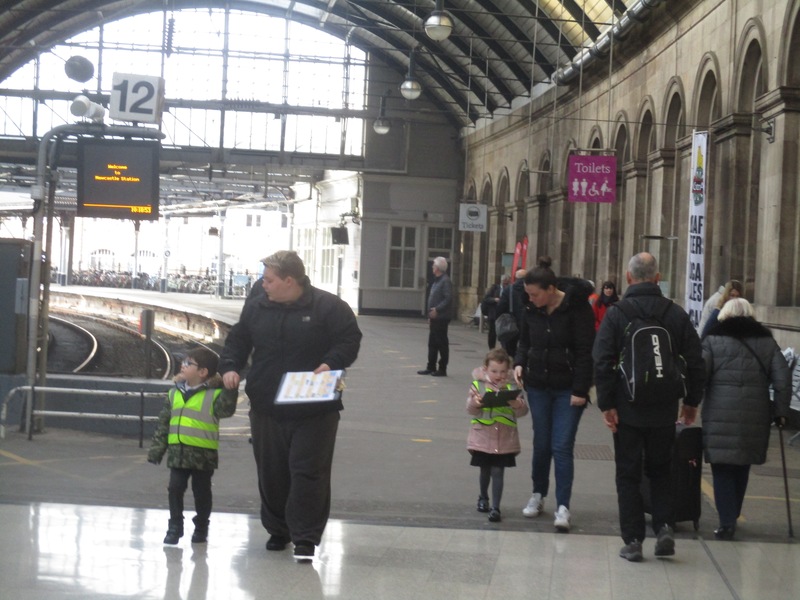 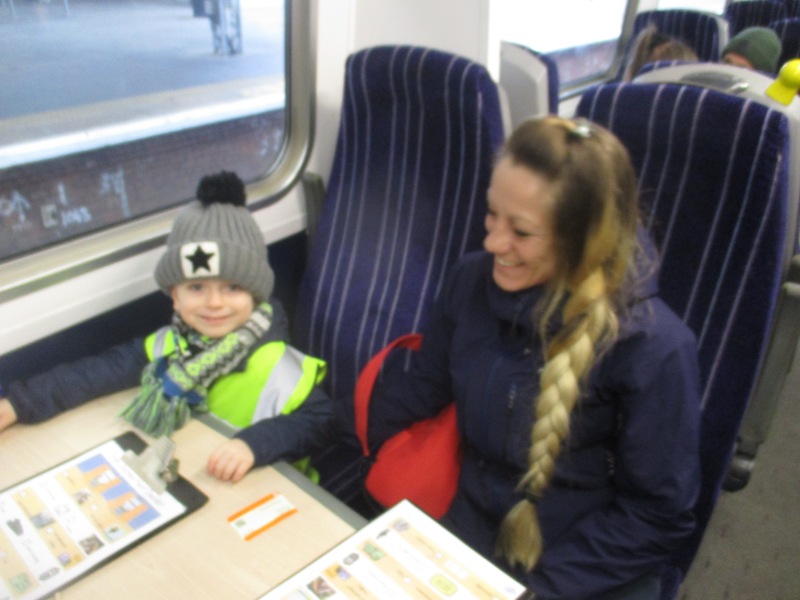 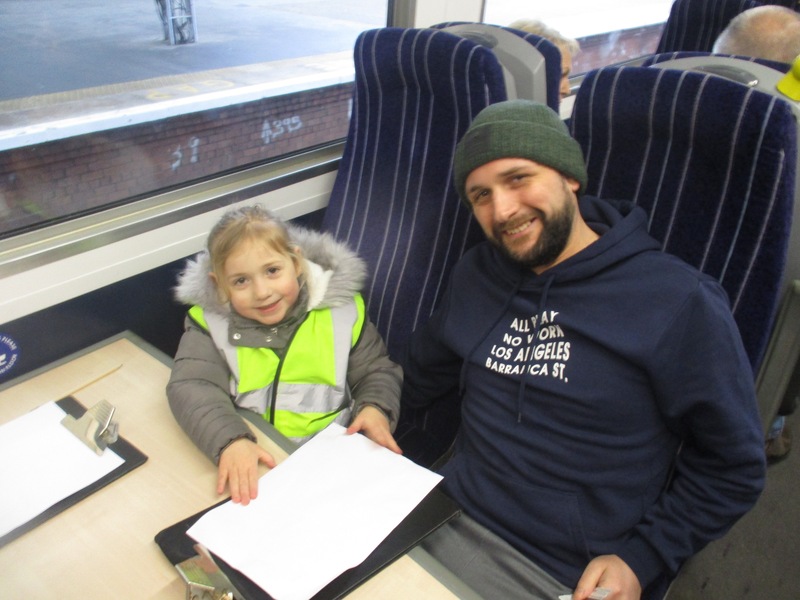 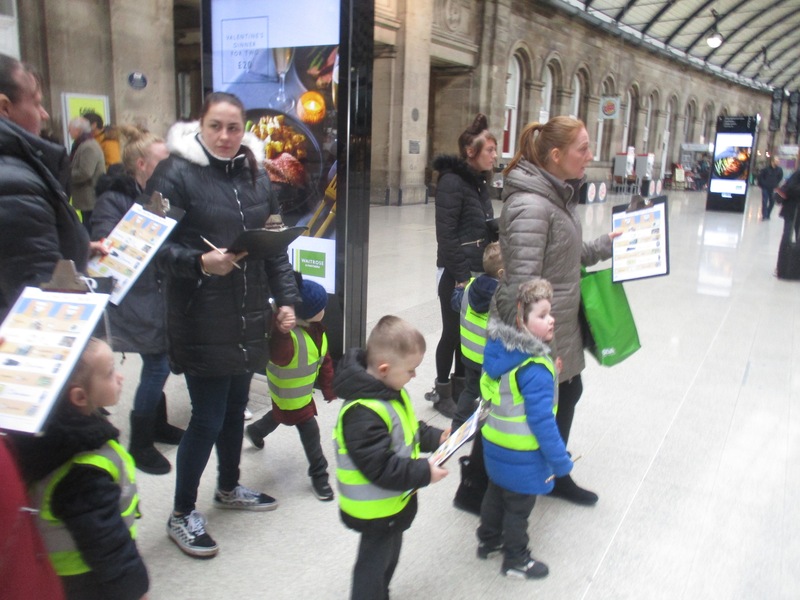 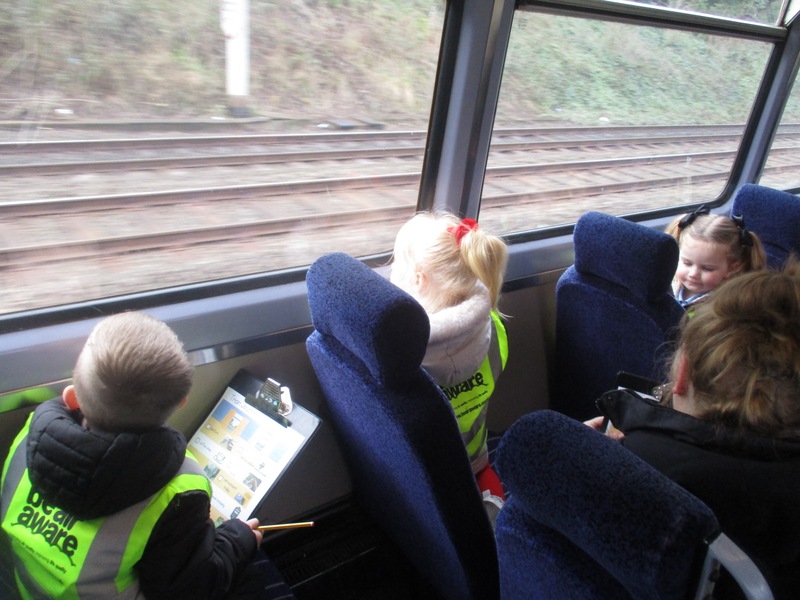 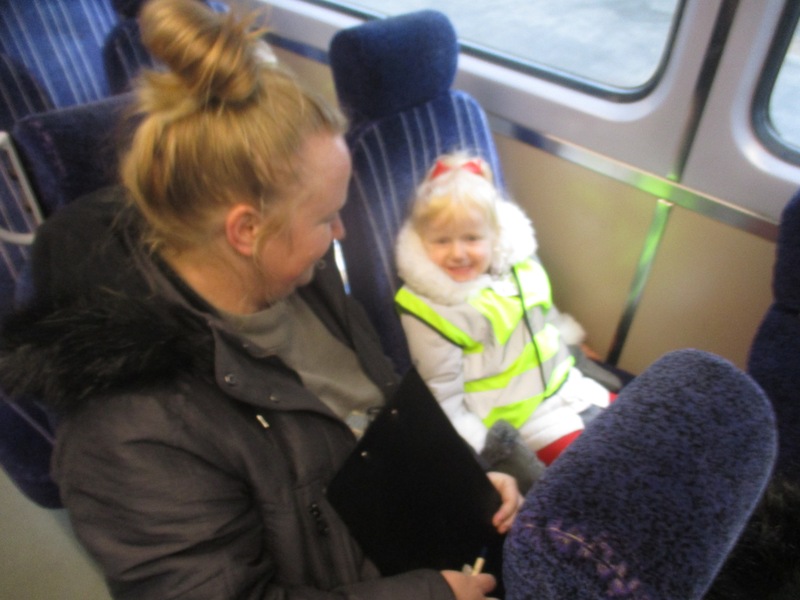 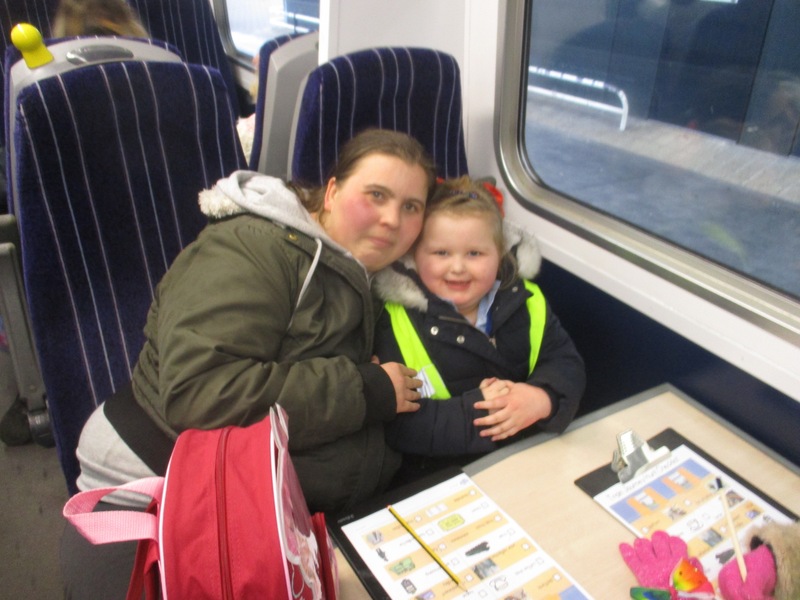 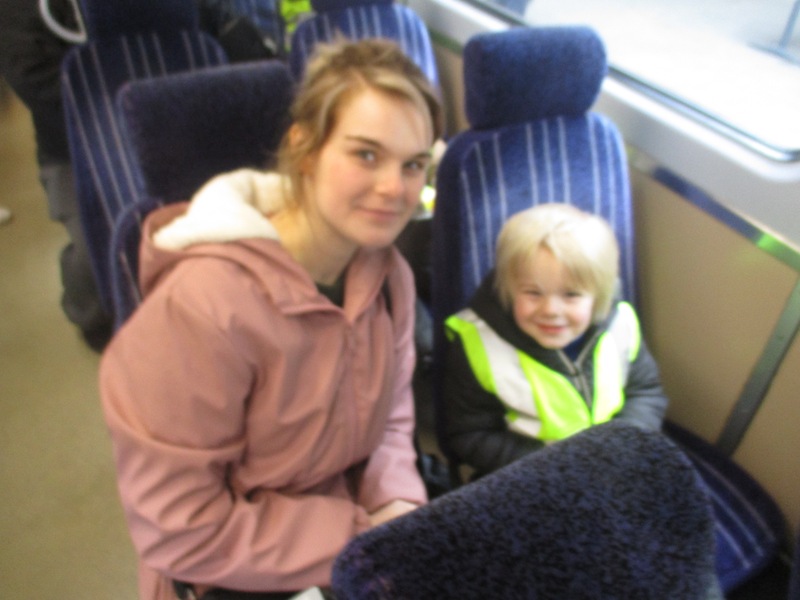 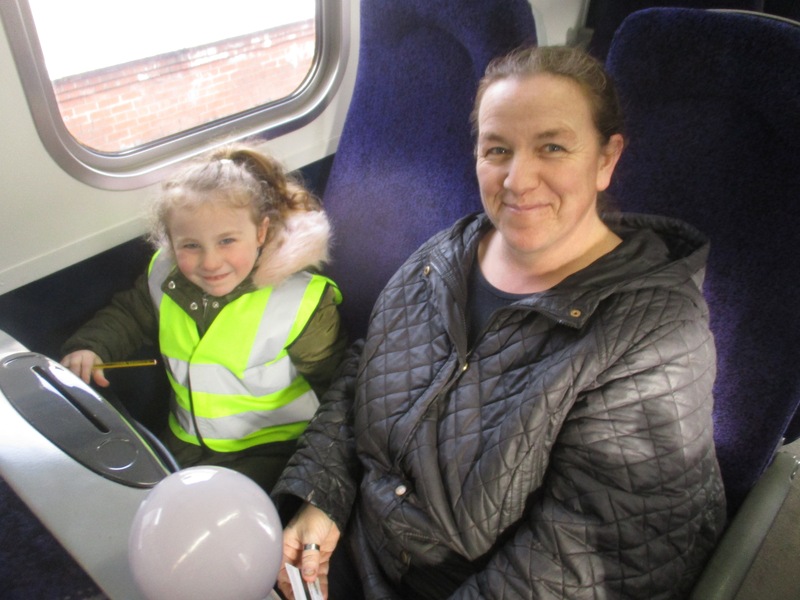 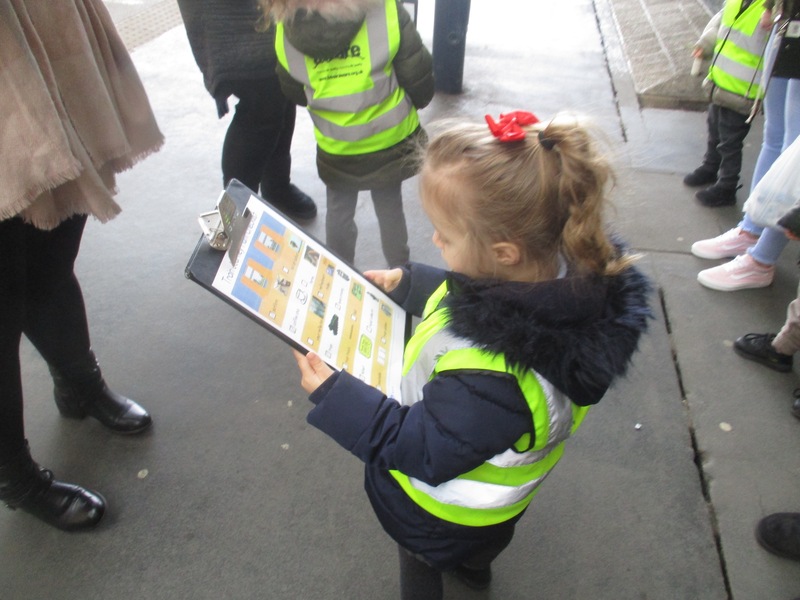 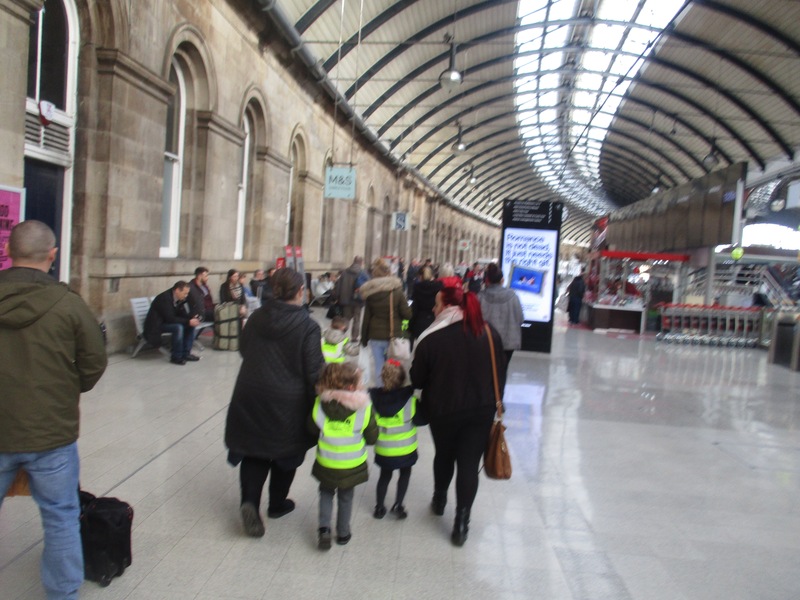 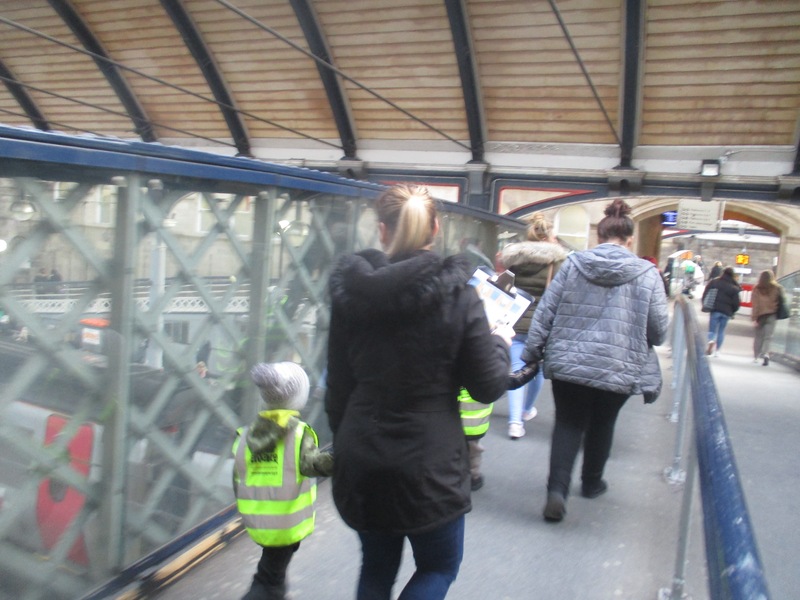 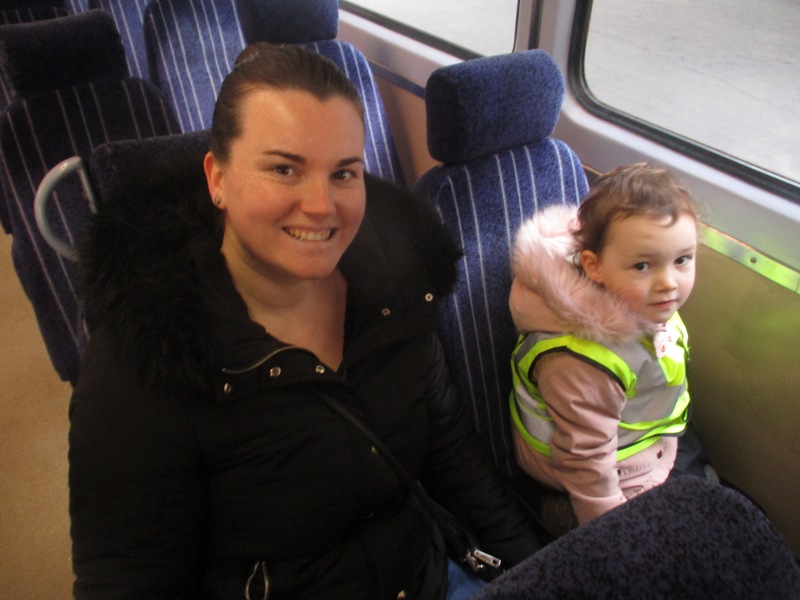 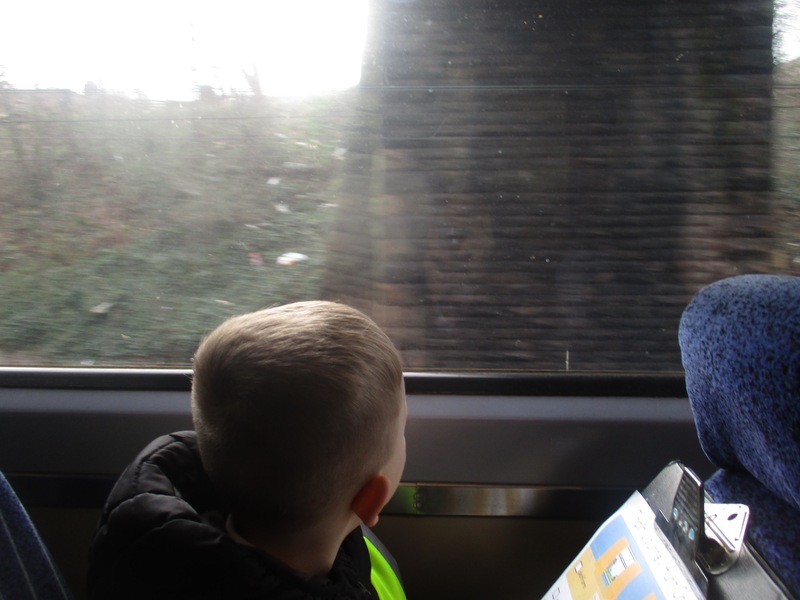 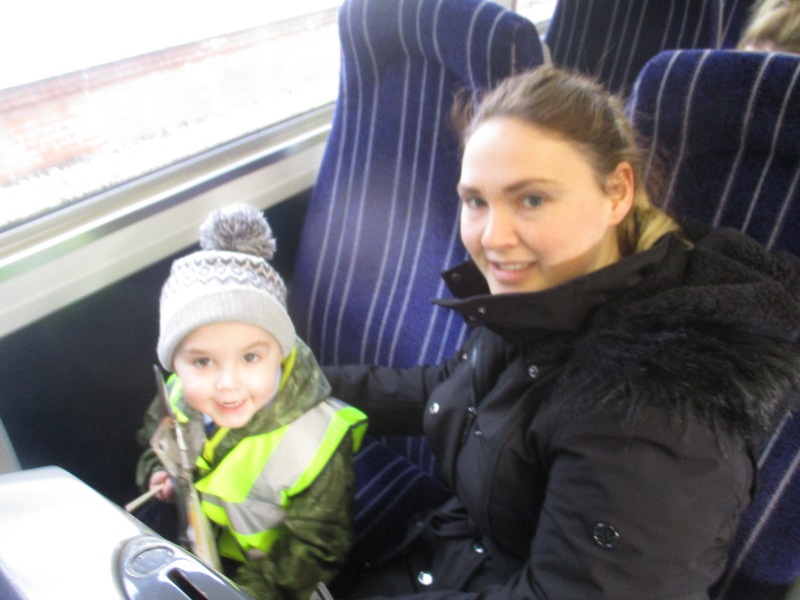 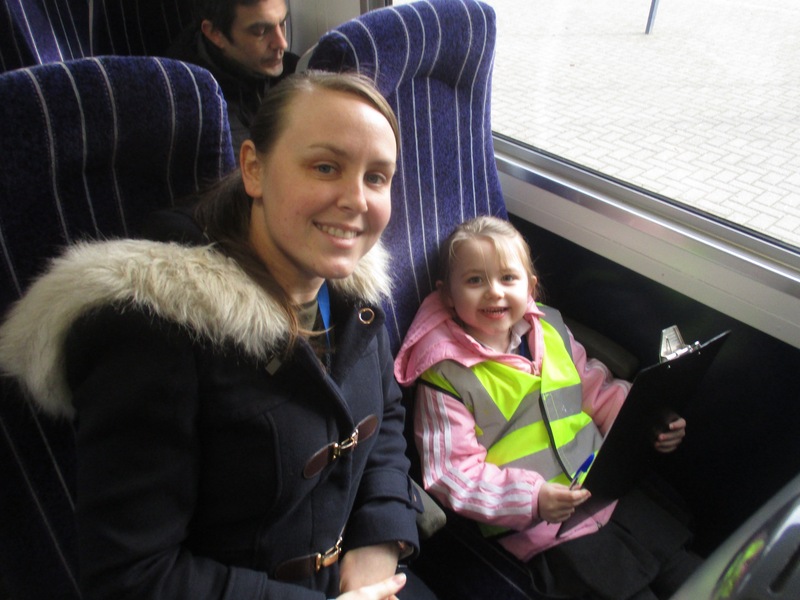 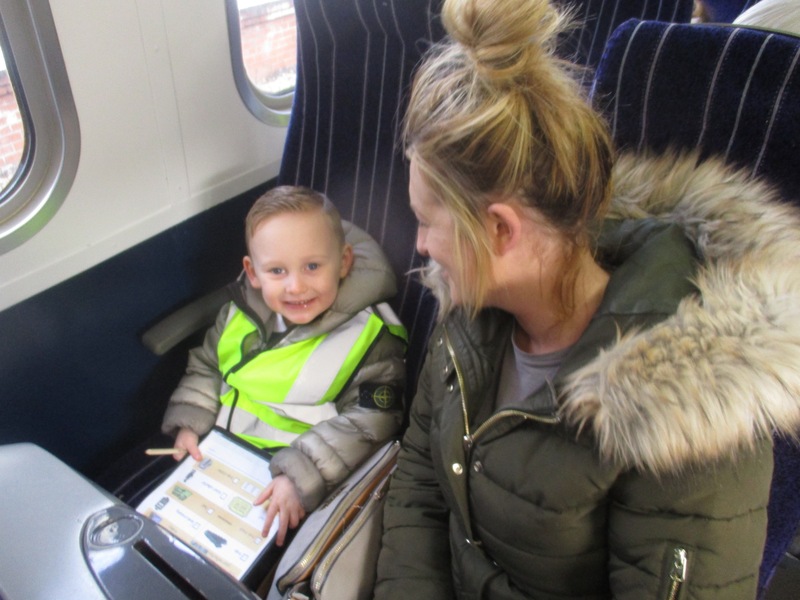 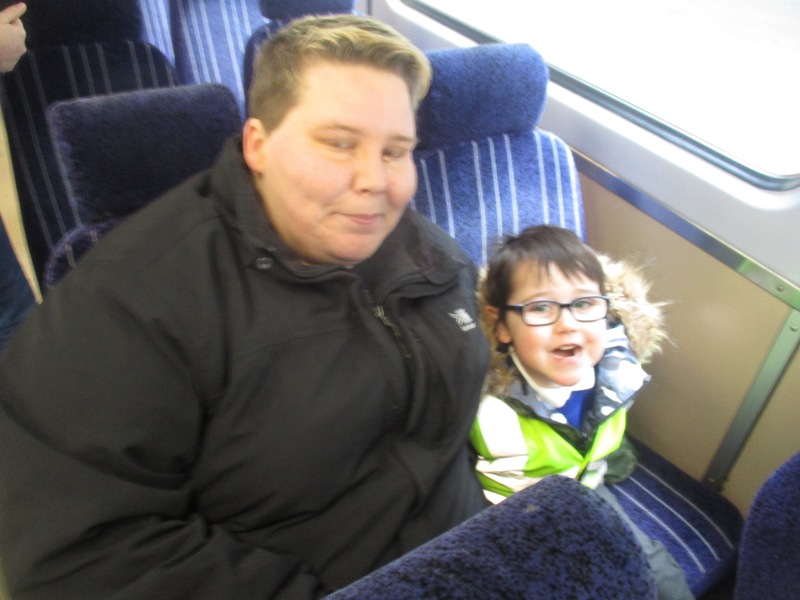 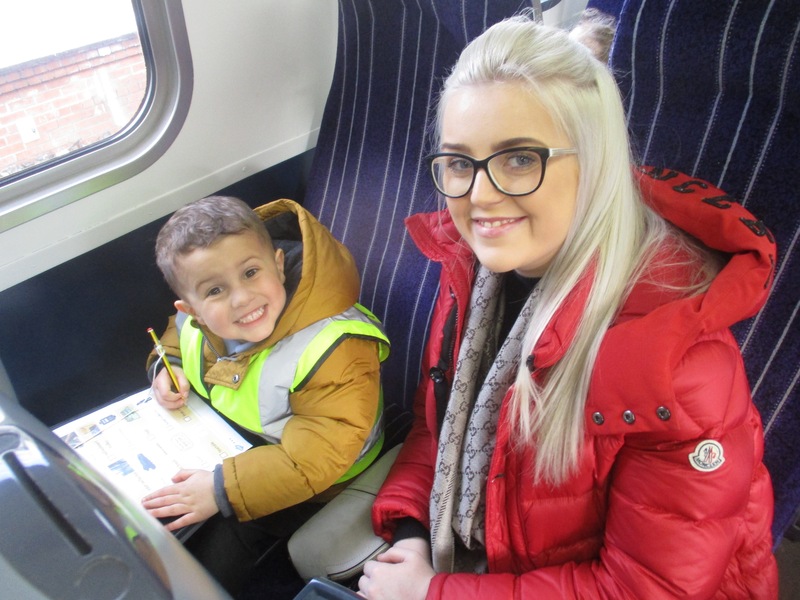 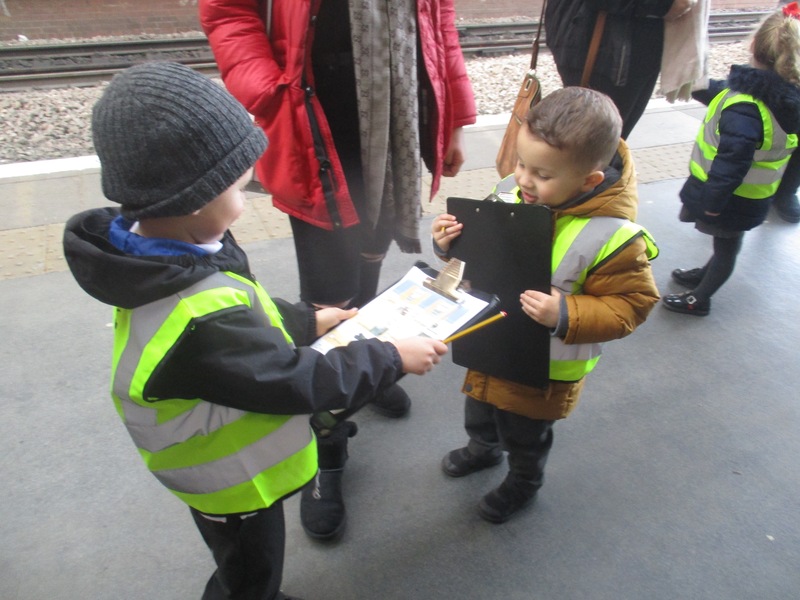 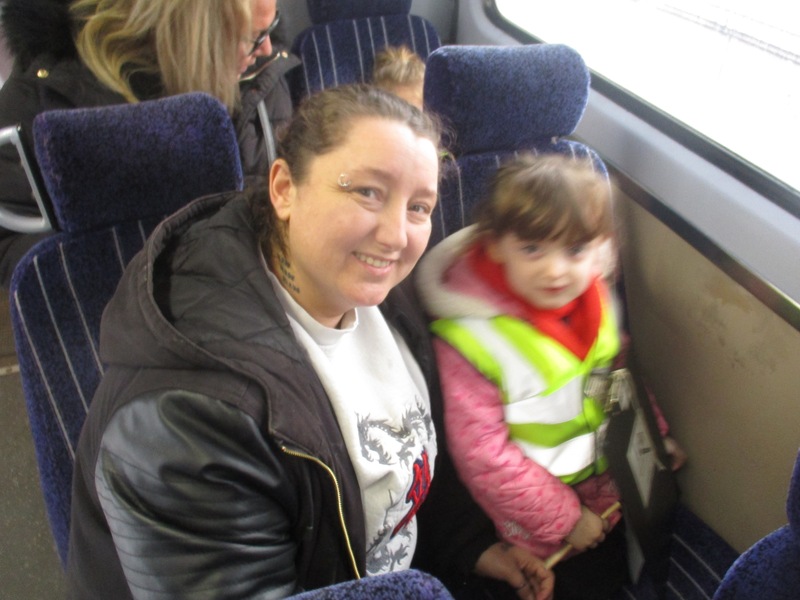 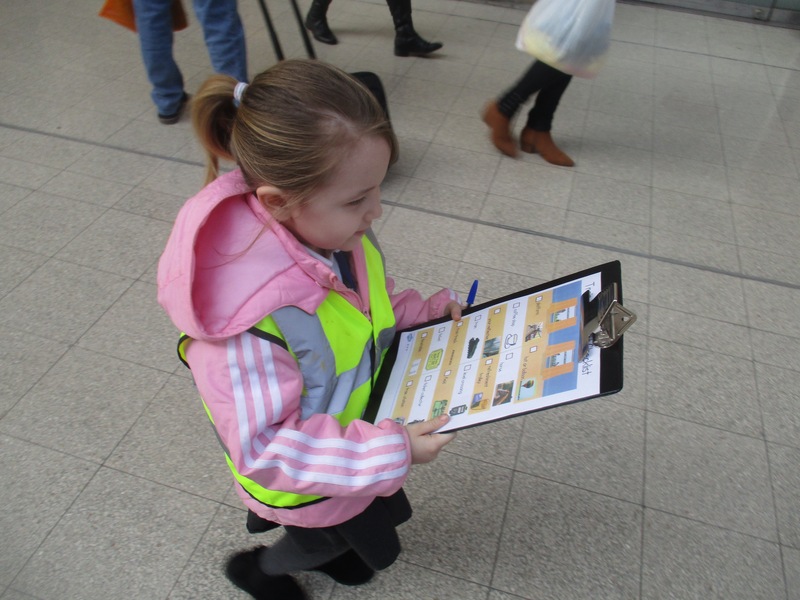 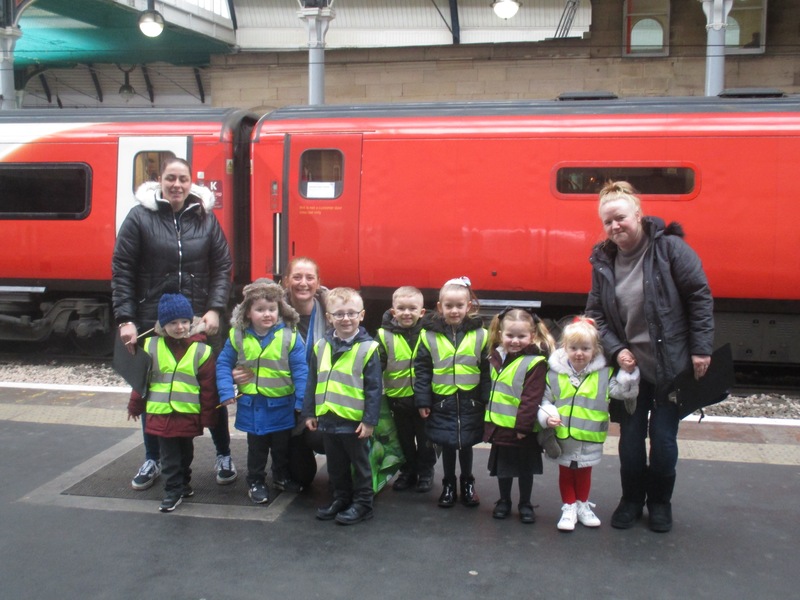 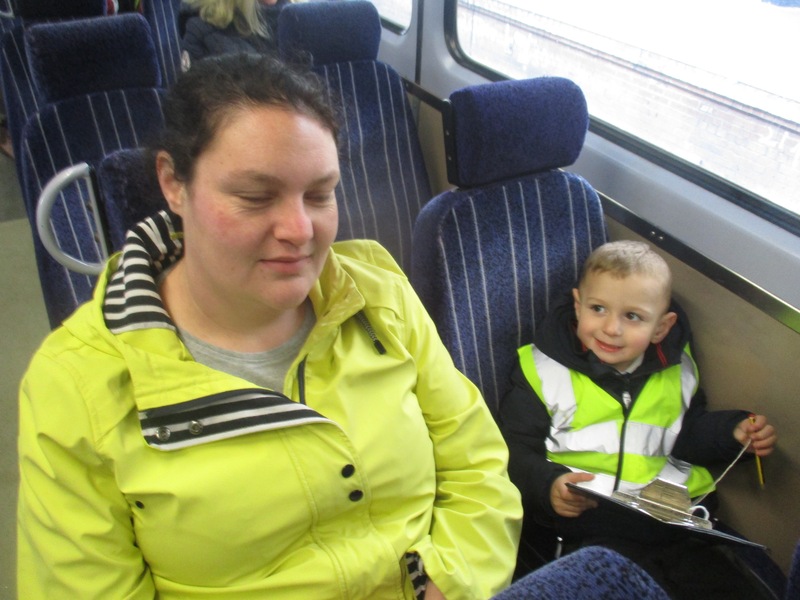 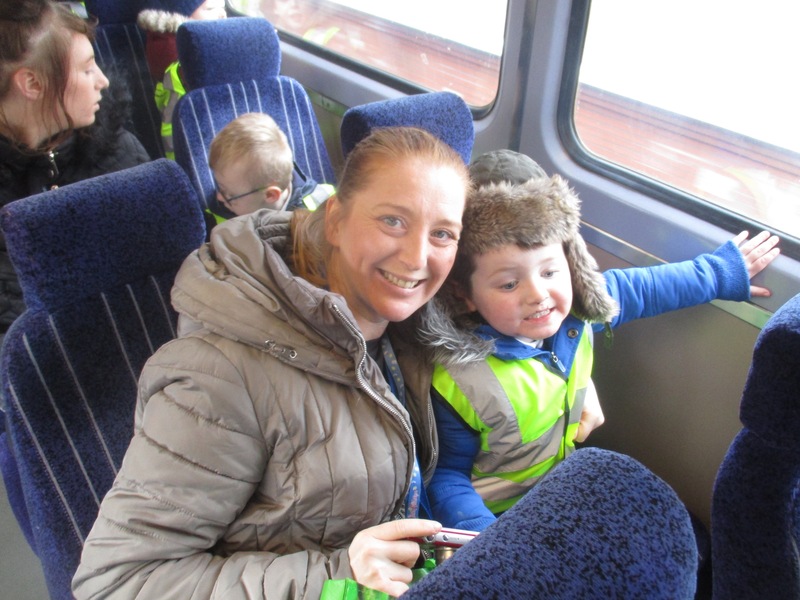 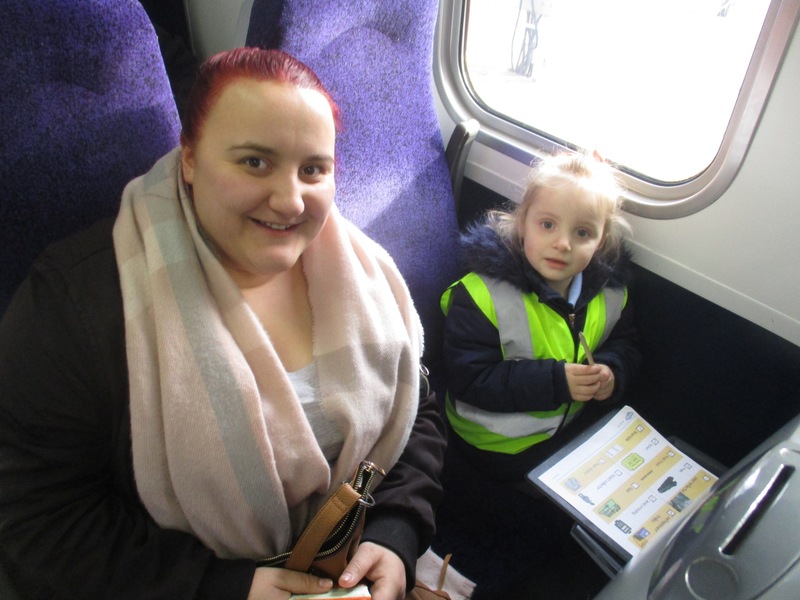 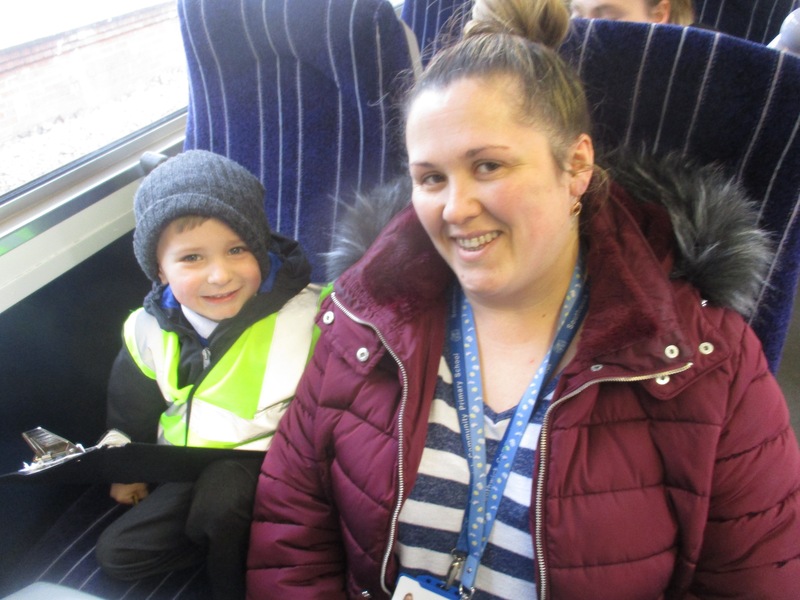 they were full of imagination as they role played trains, going on some amazing adventures! 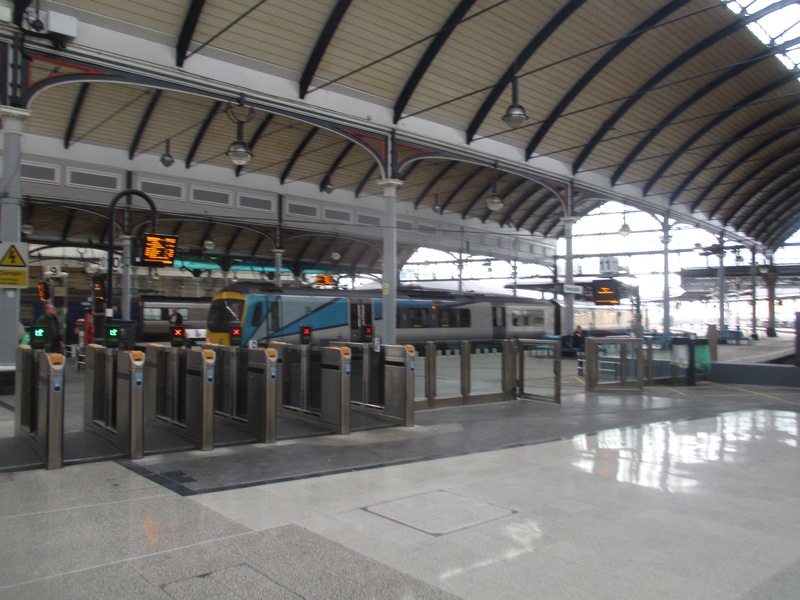 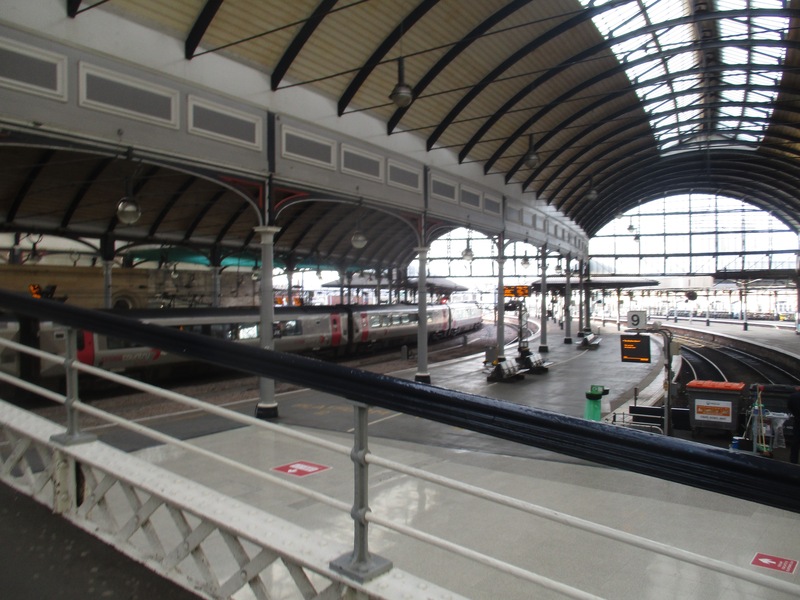 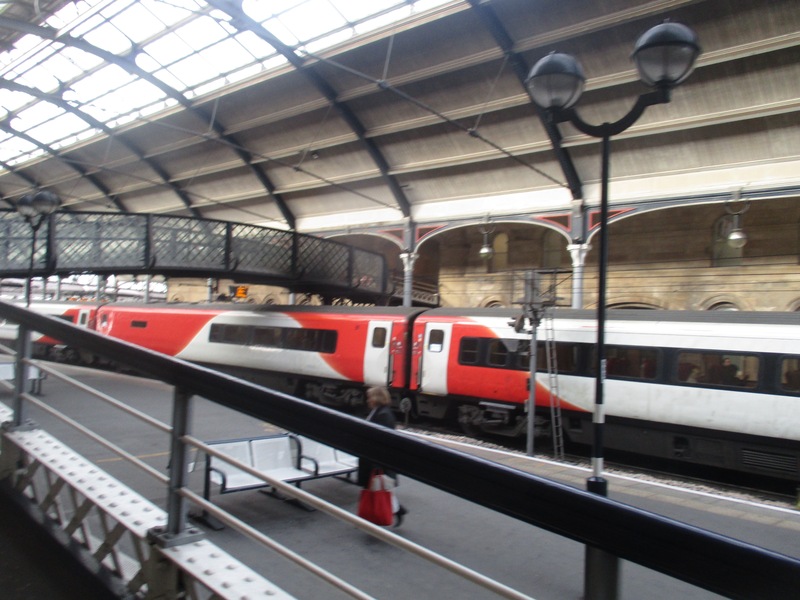 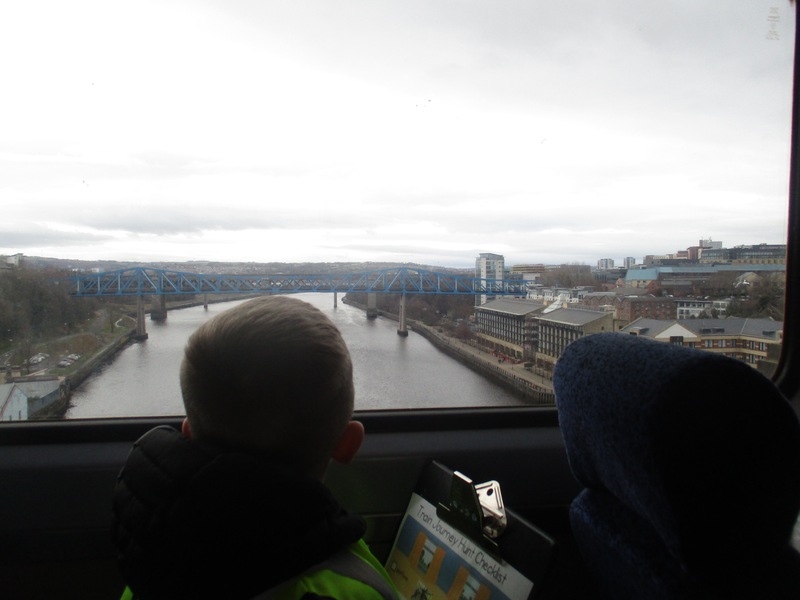 To end our amazing topic today we went on our very own train ride from Newcastle to Sunderland. 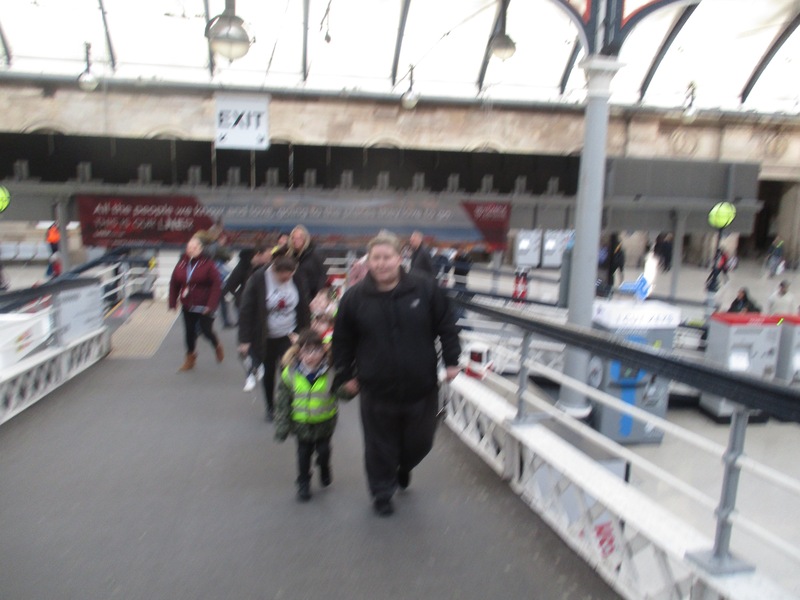 We took our parents and had the most amazing time. 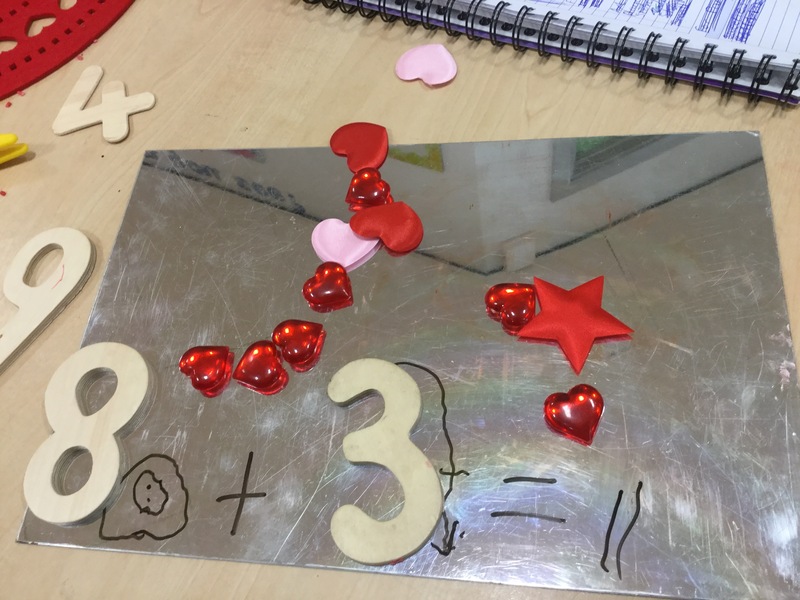 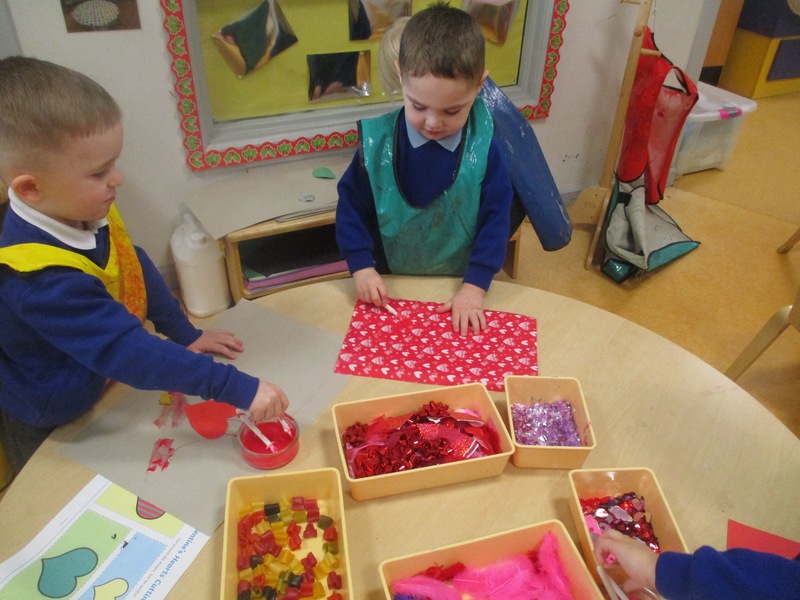 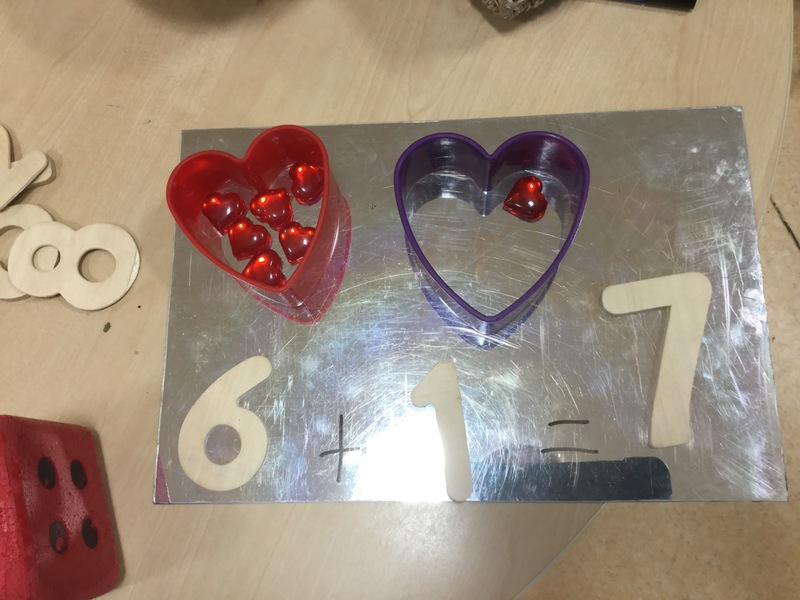 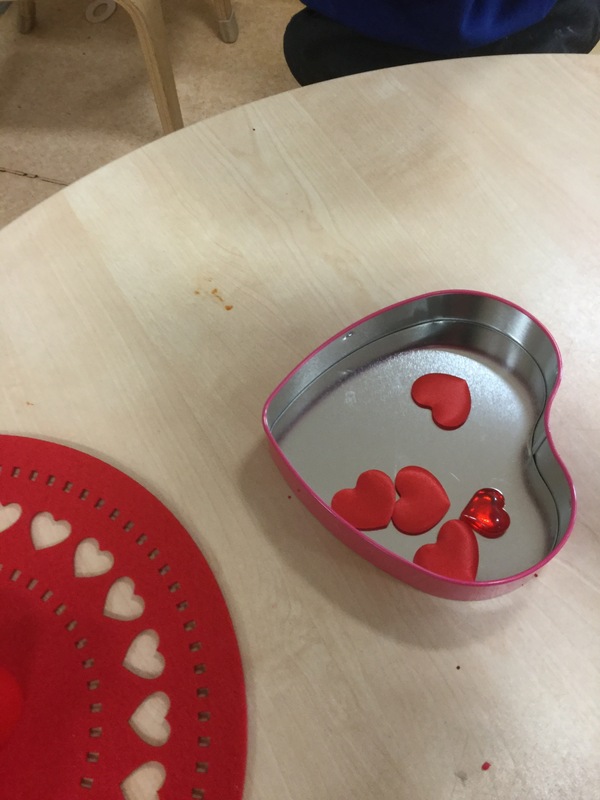 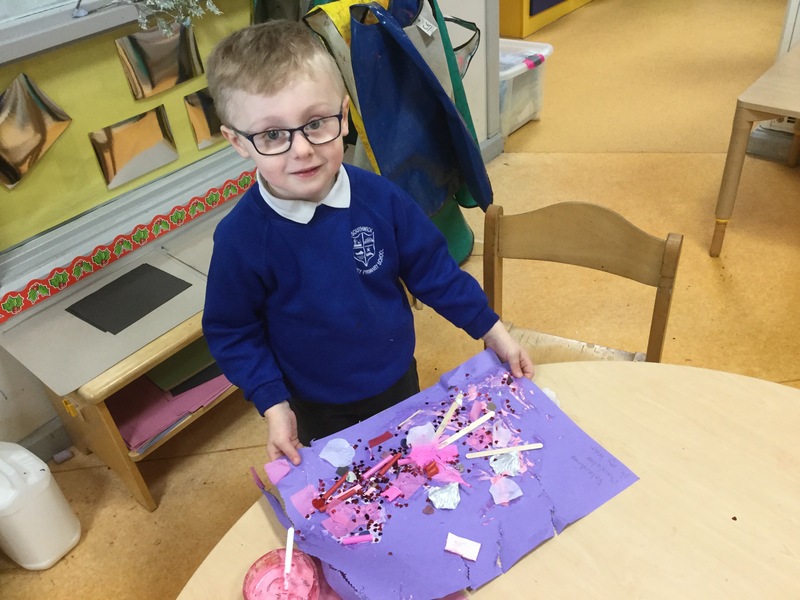 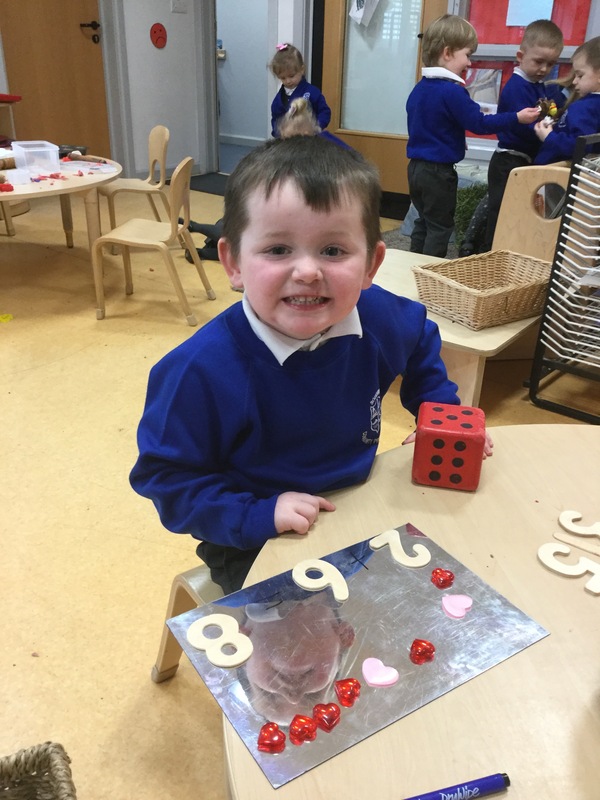 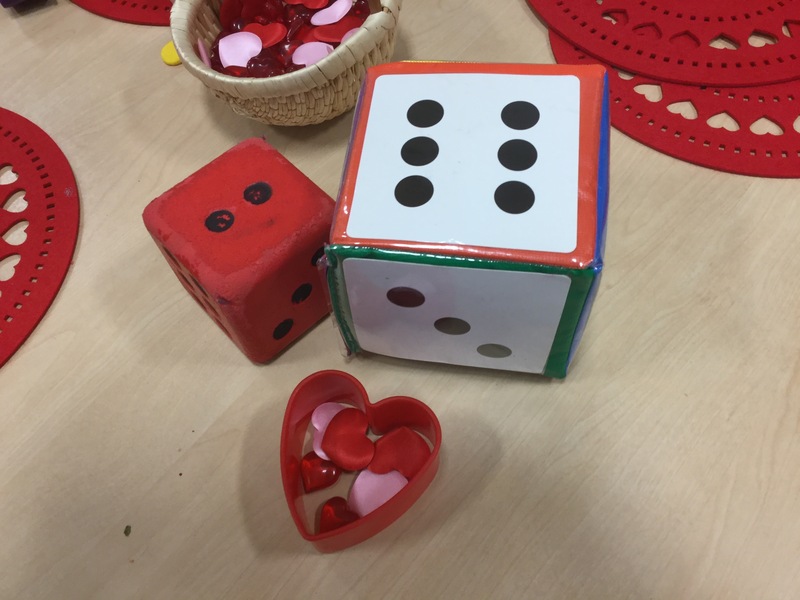 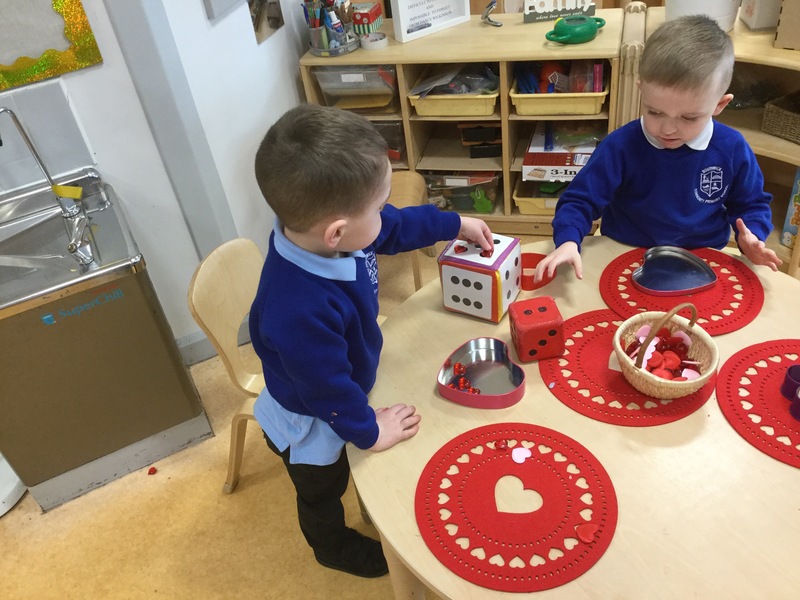 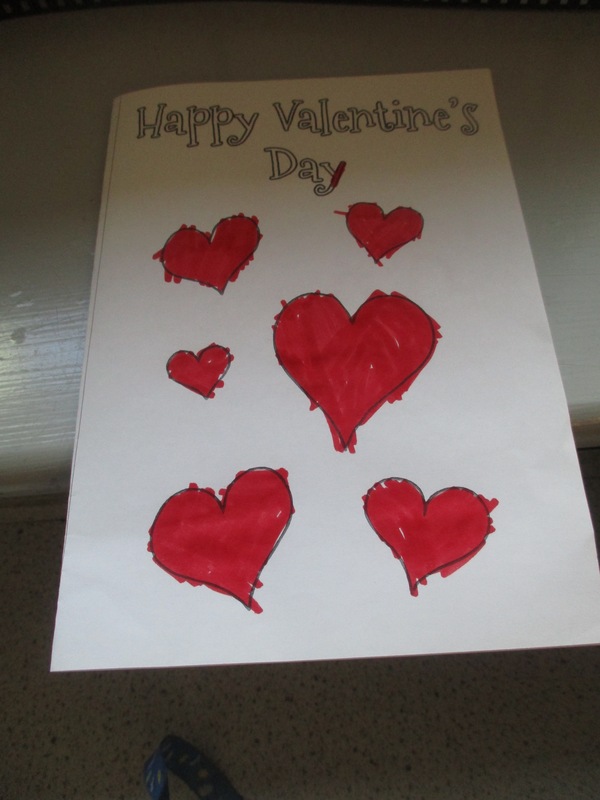 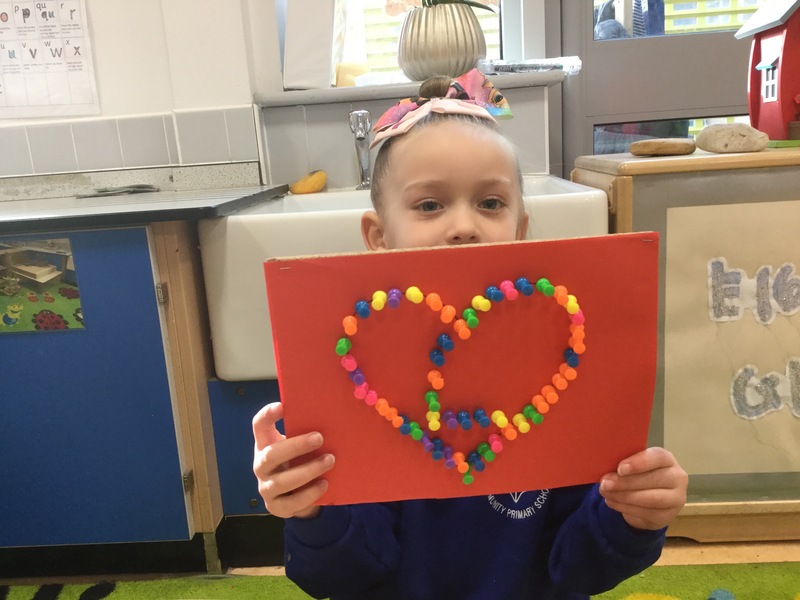 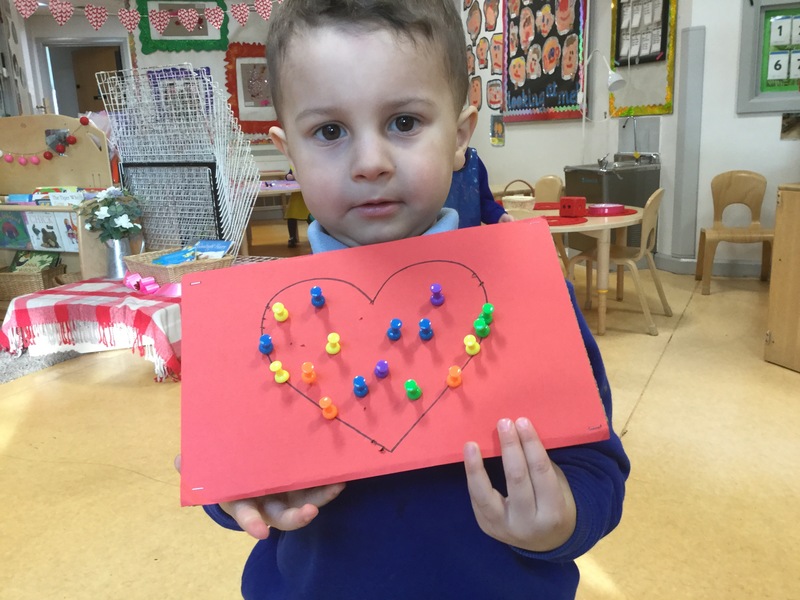 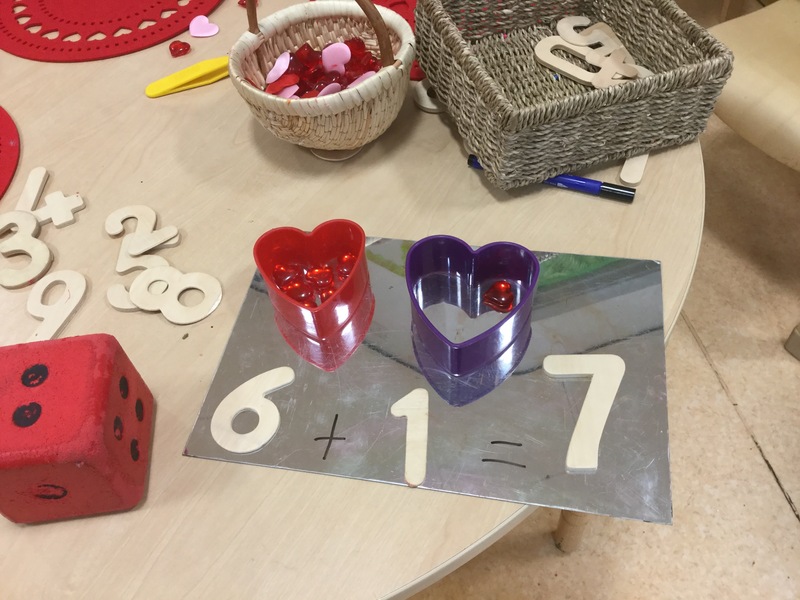 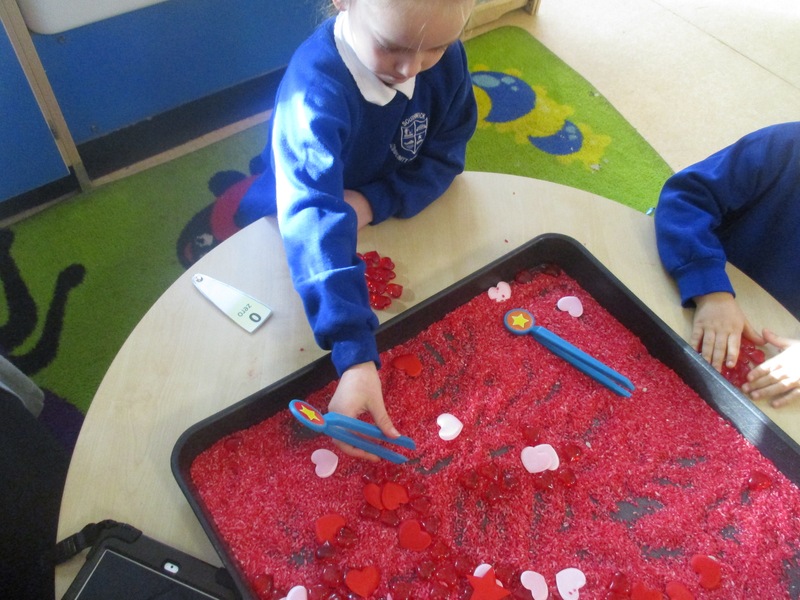 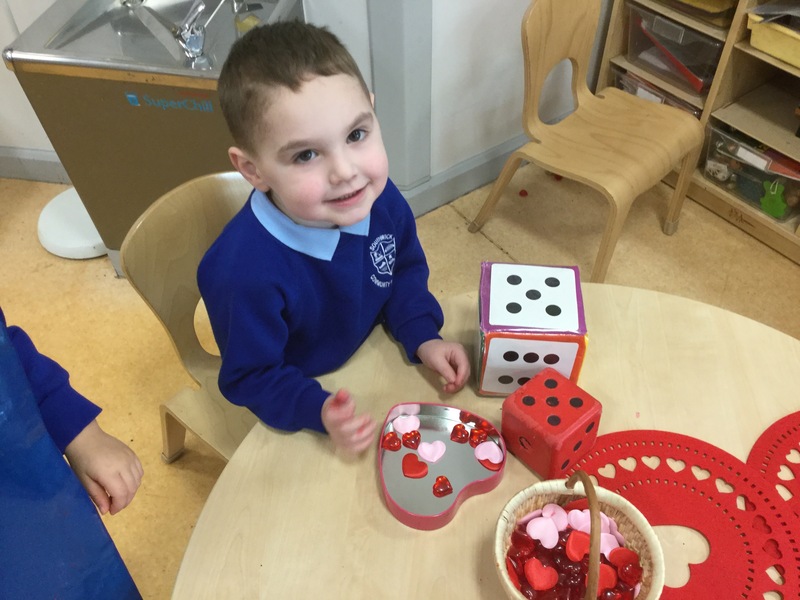 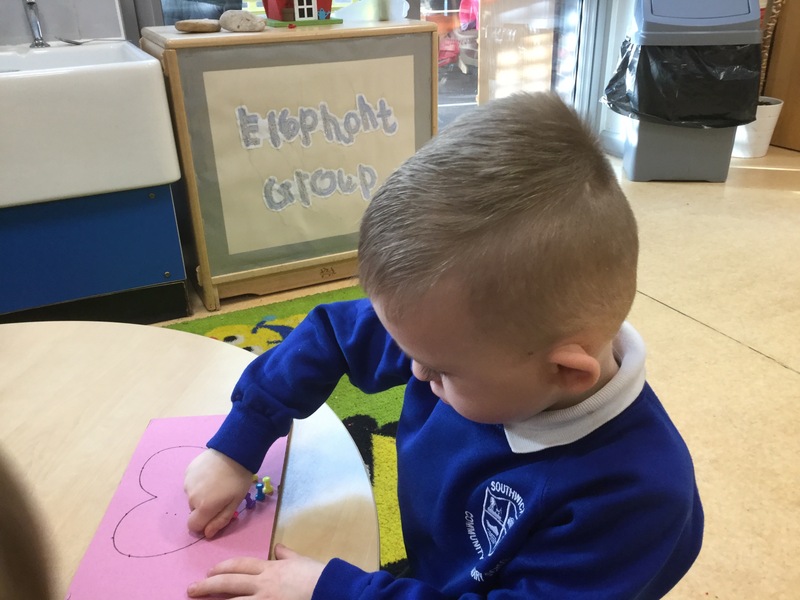 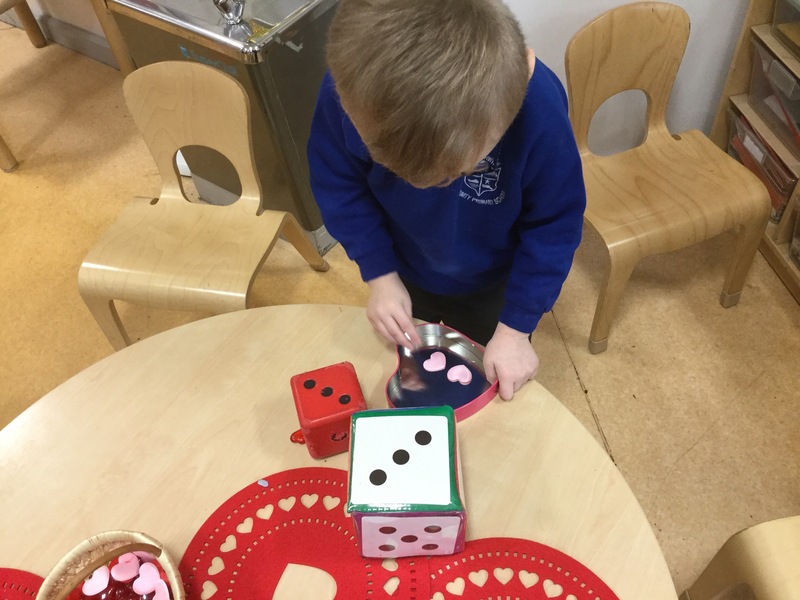 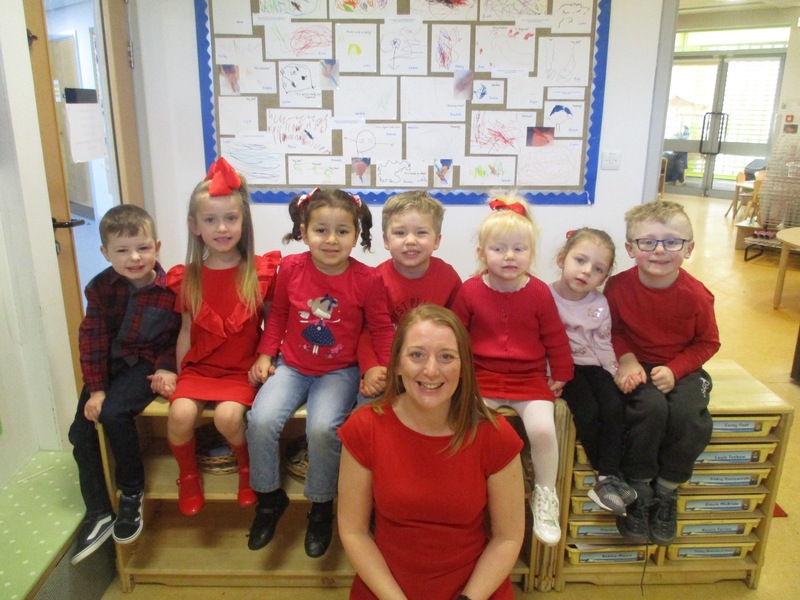 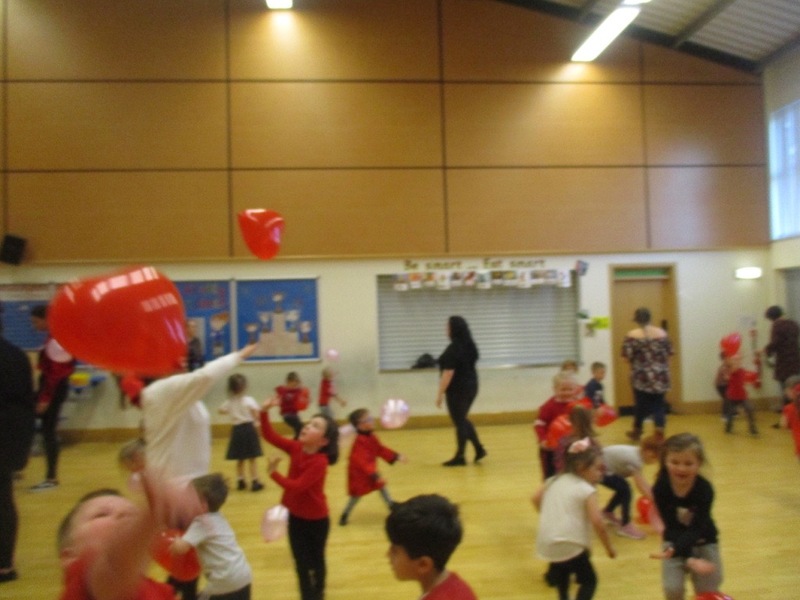 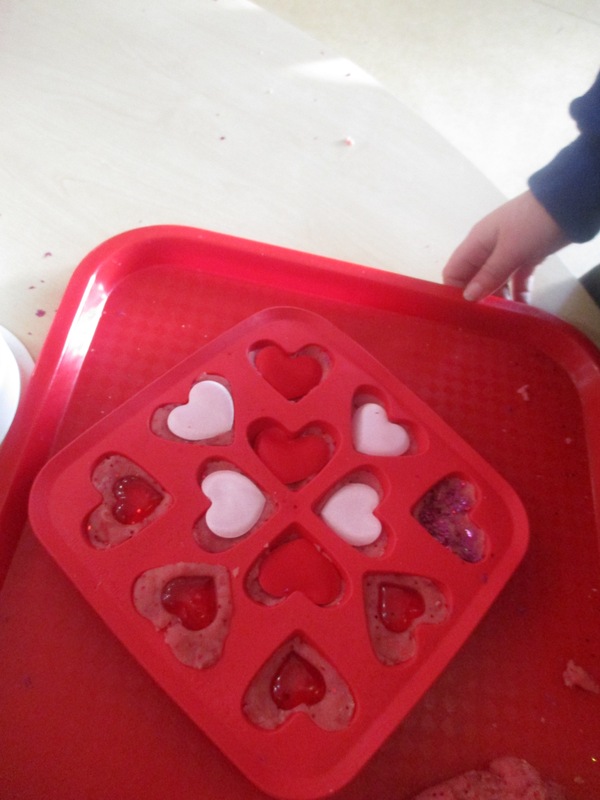 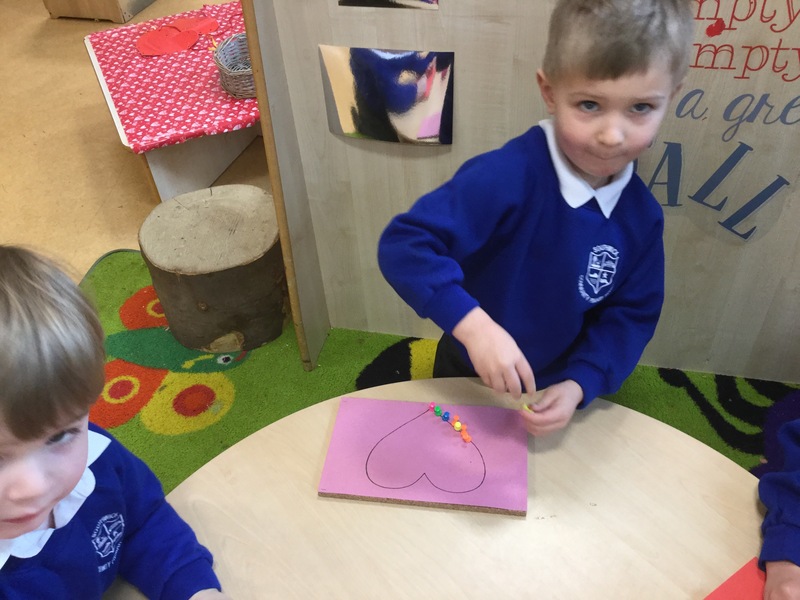 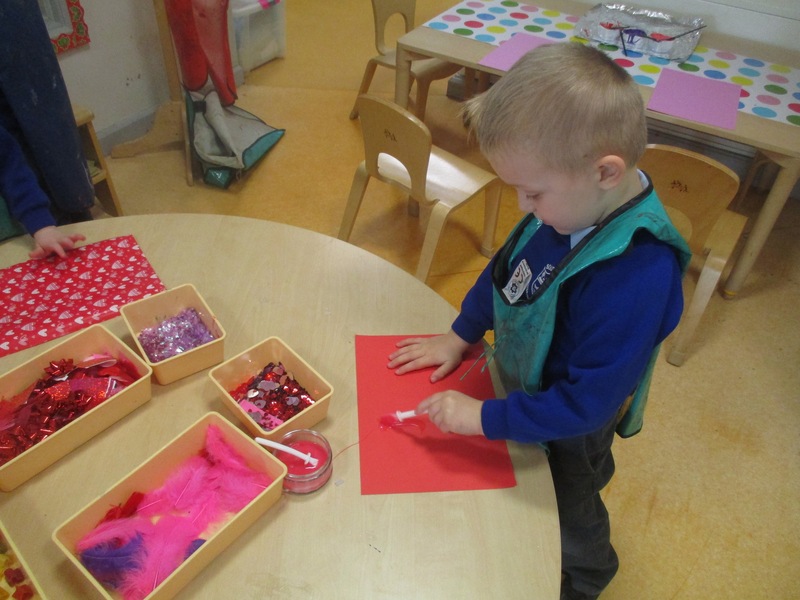 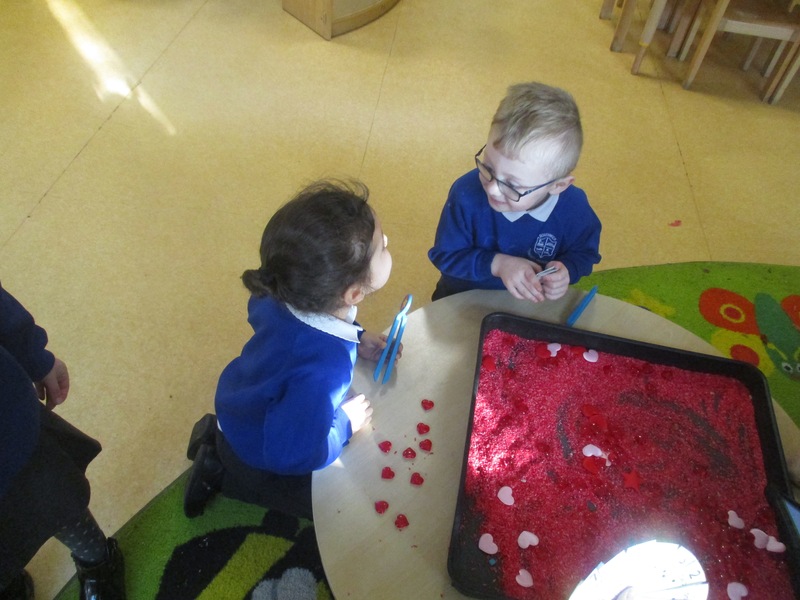 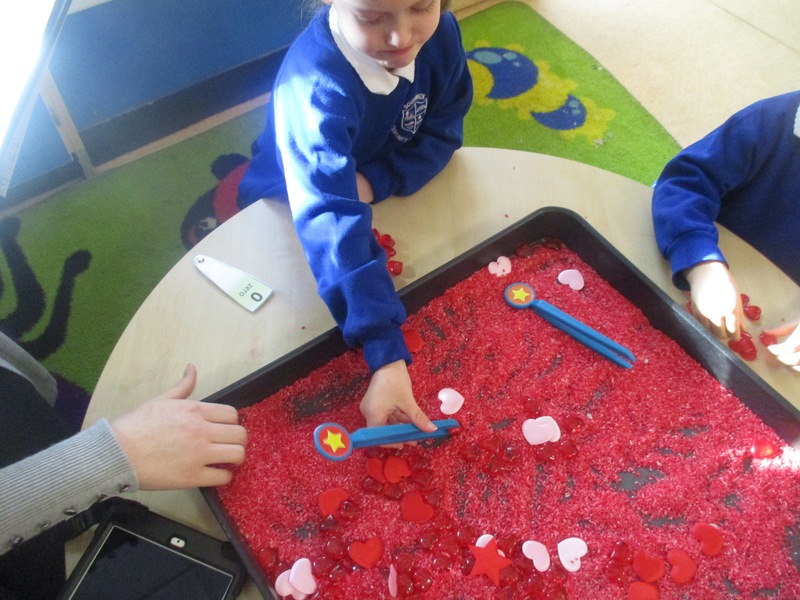 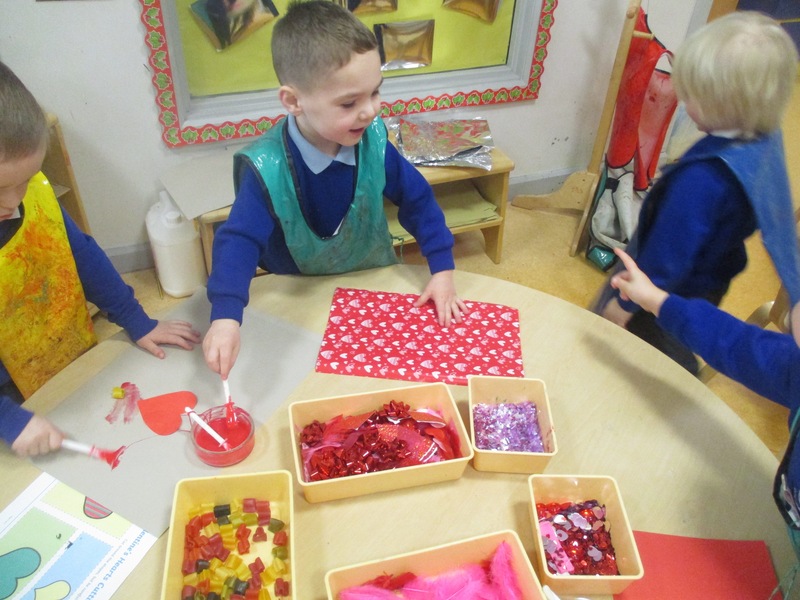 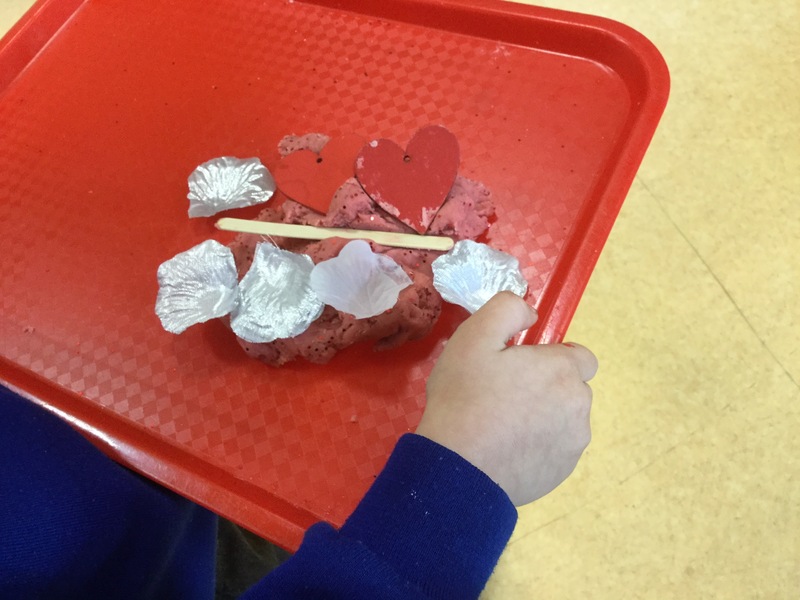 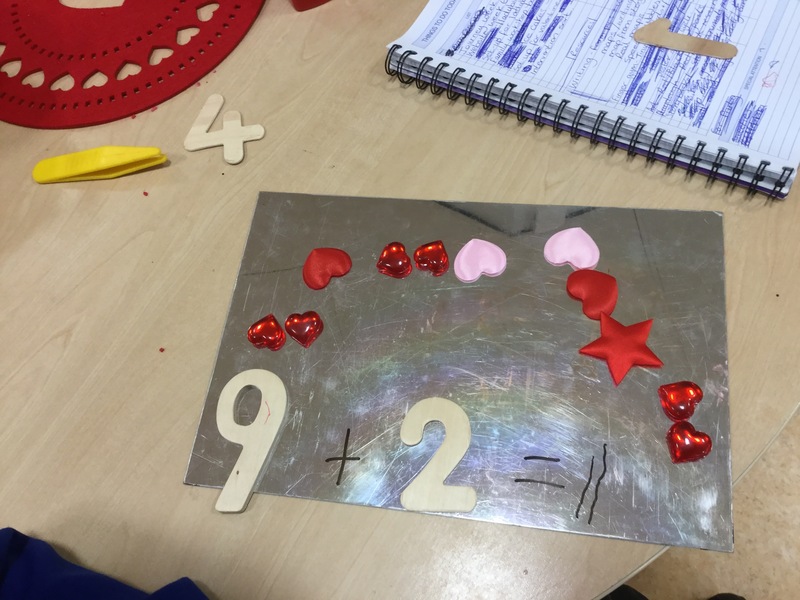 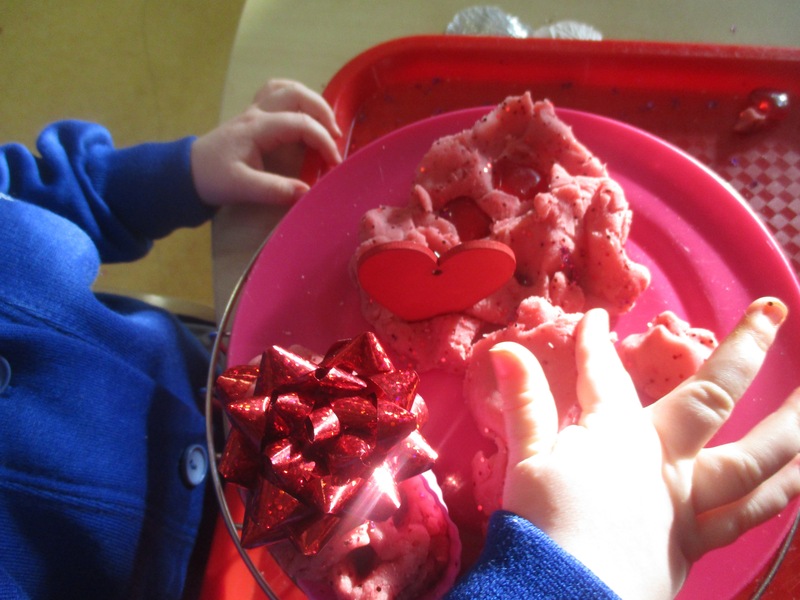 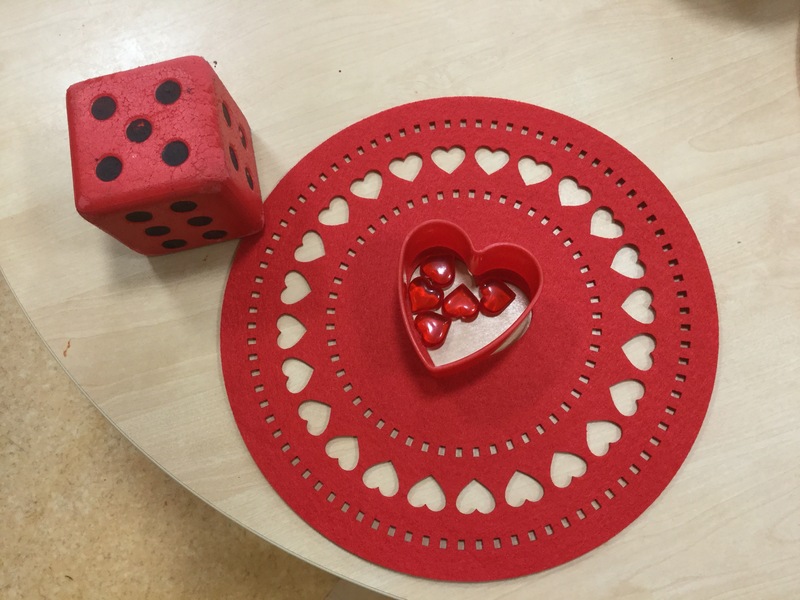 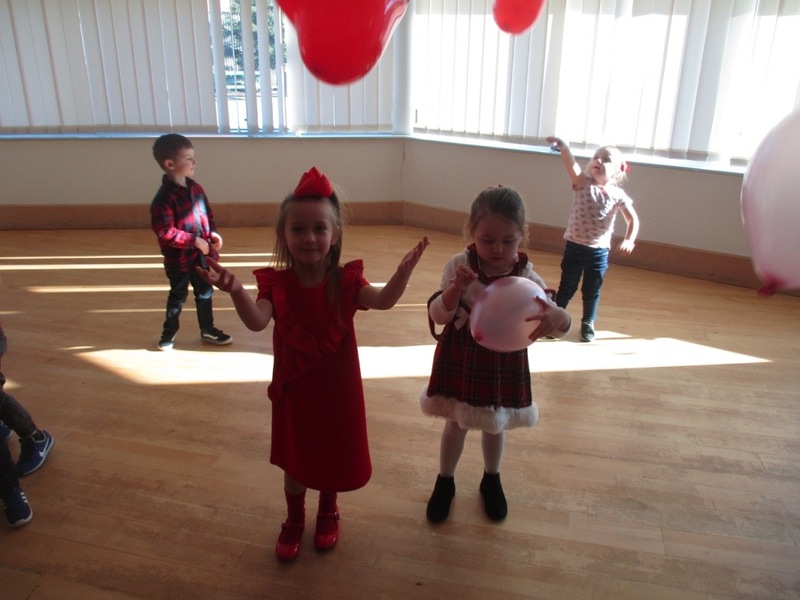 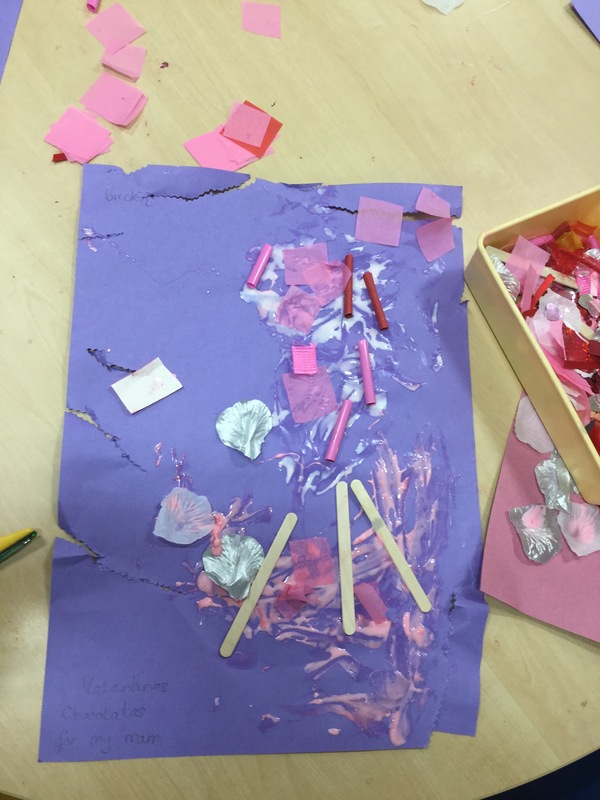 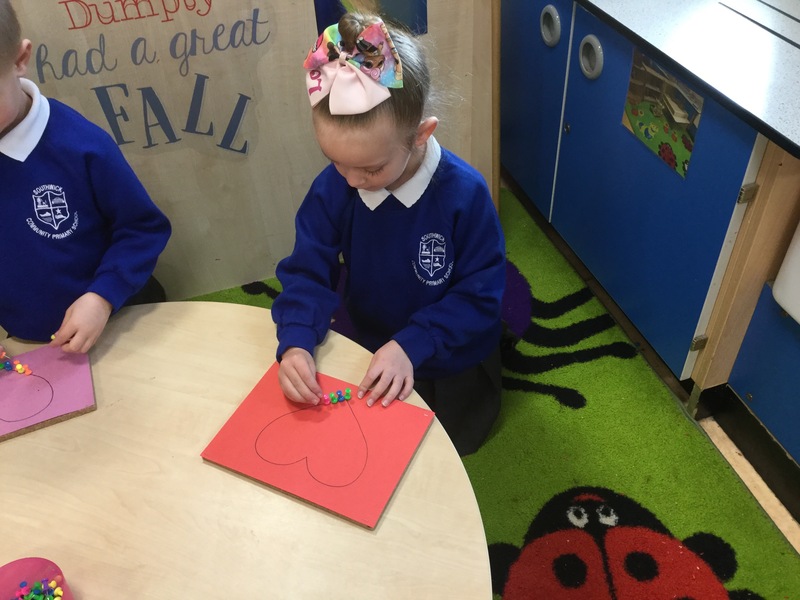 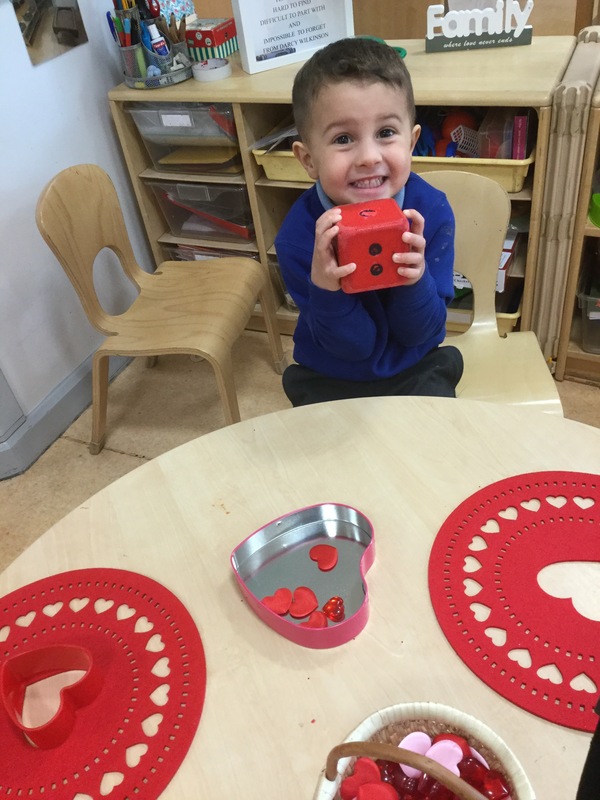 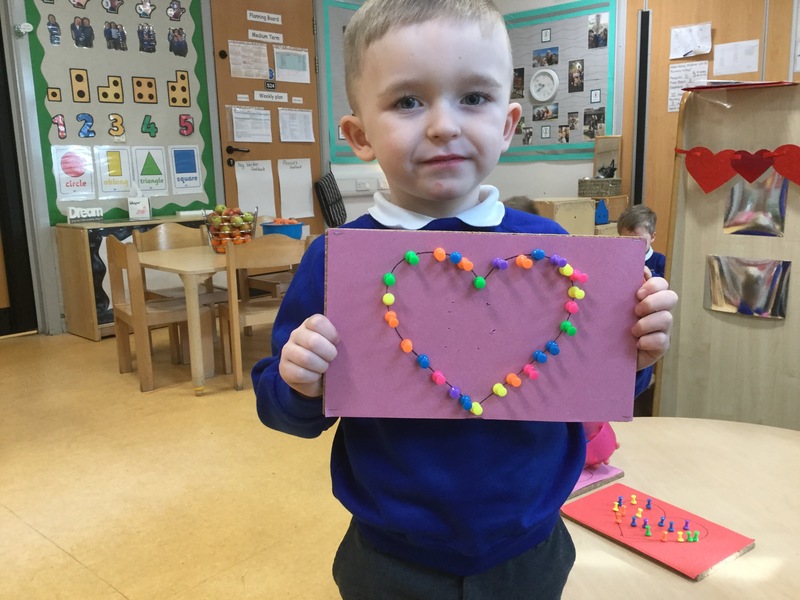 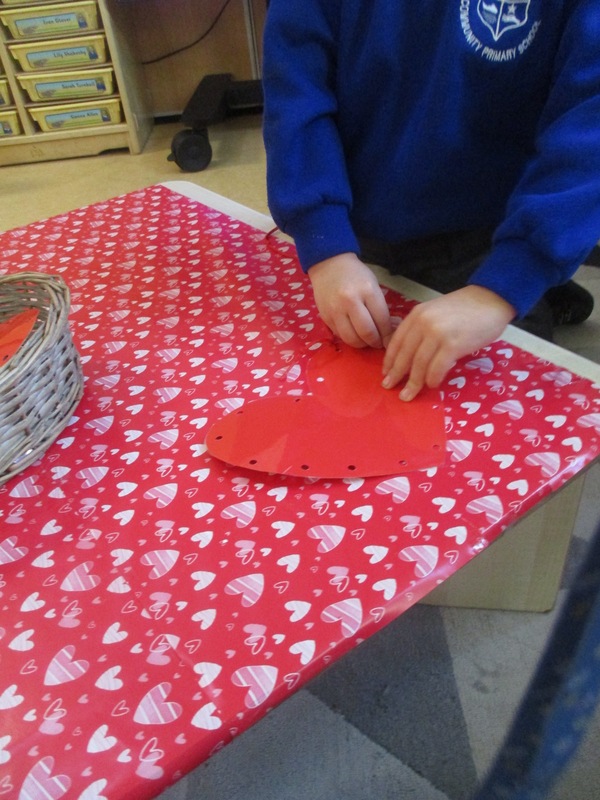 This week we’ve had hearts inspired play with Valentines day featuring on our calendar. 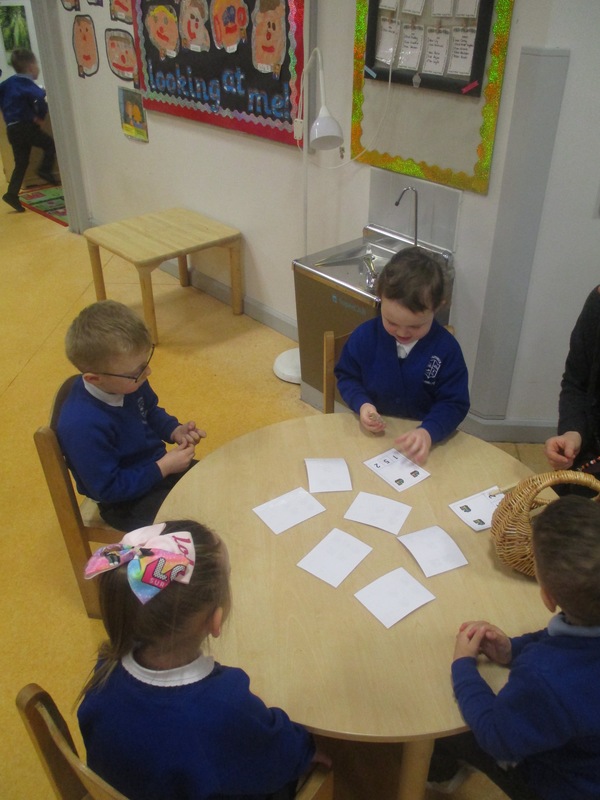 We have enjoyed a mixture of invitations and have had a lots of fun whilst learning! 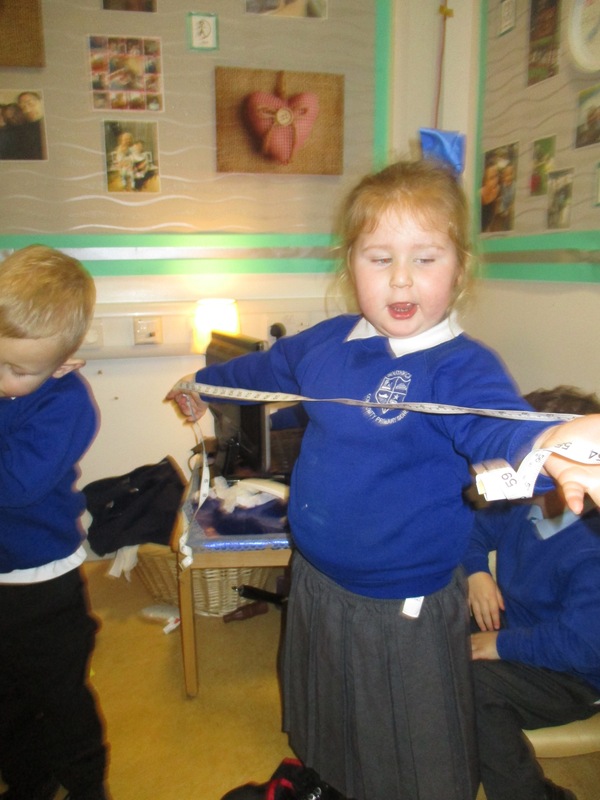 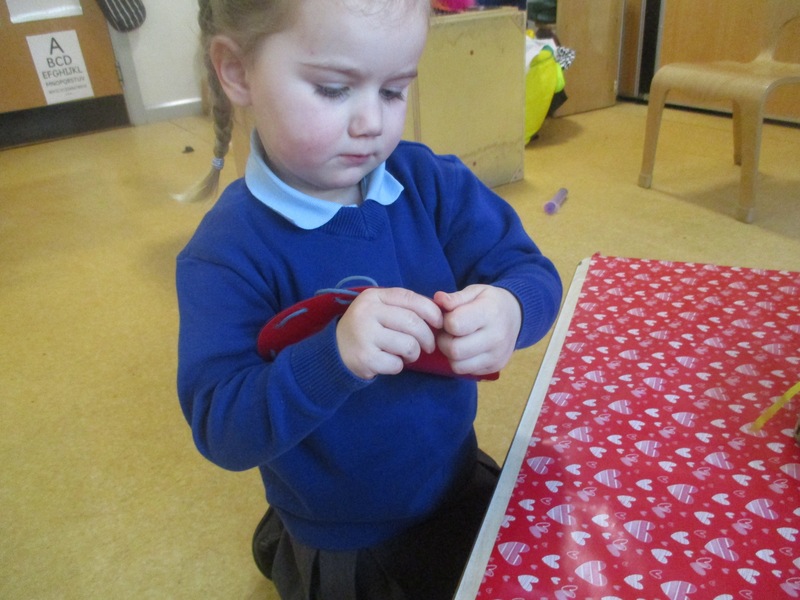 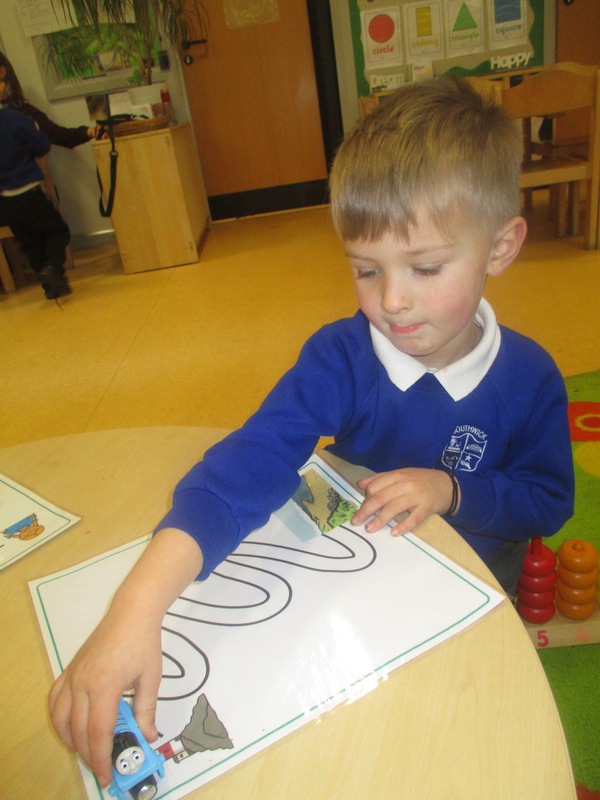 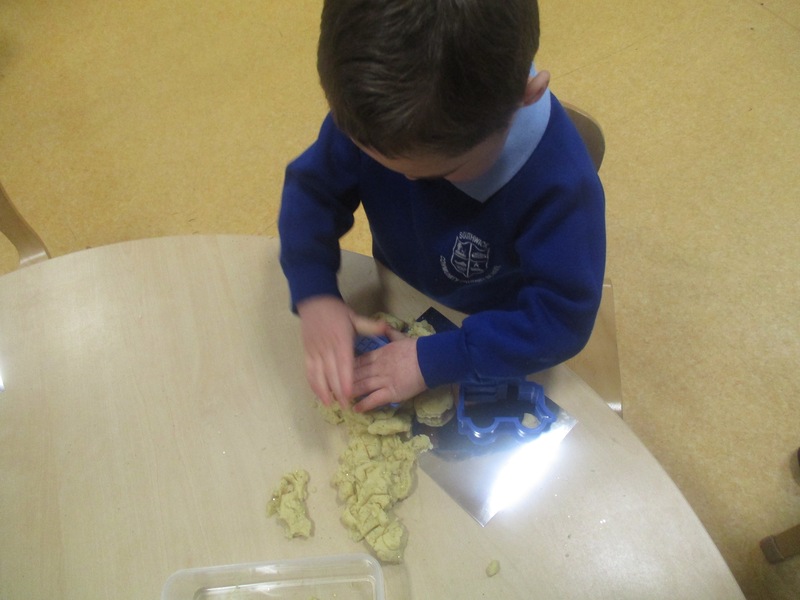 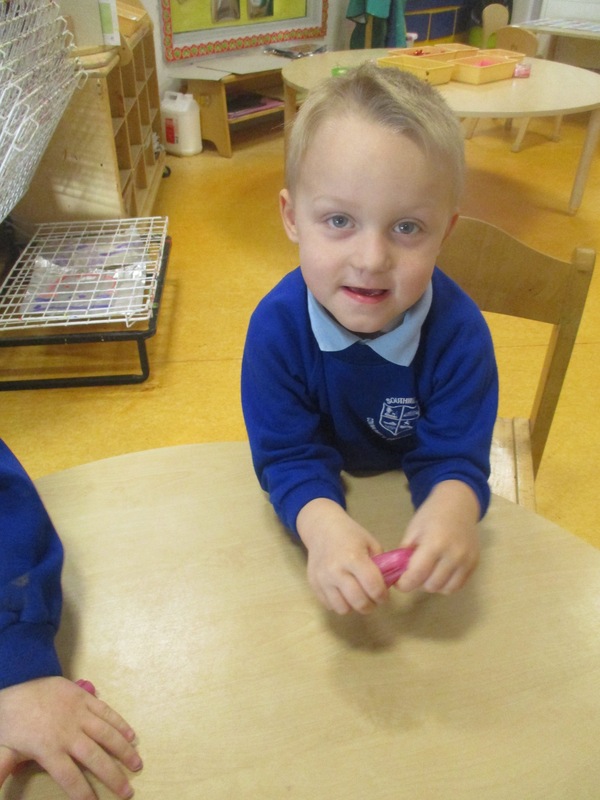 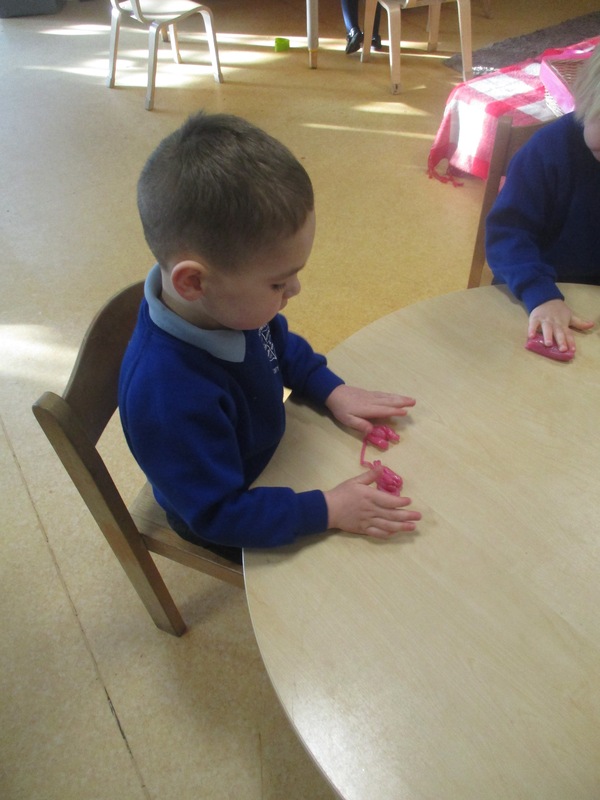 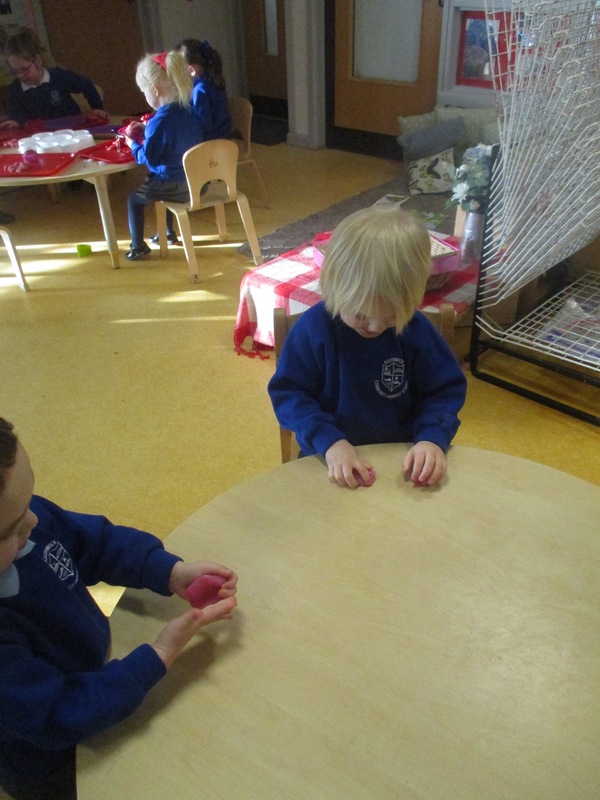 We have enjoyed lots of activities which have helped to strengthen our finger muscles. 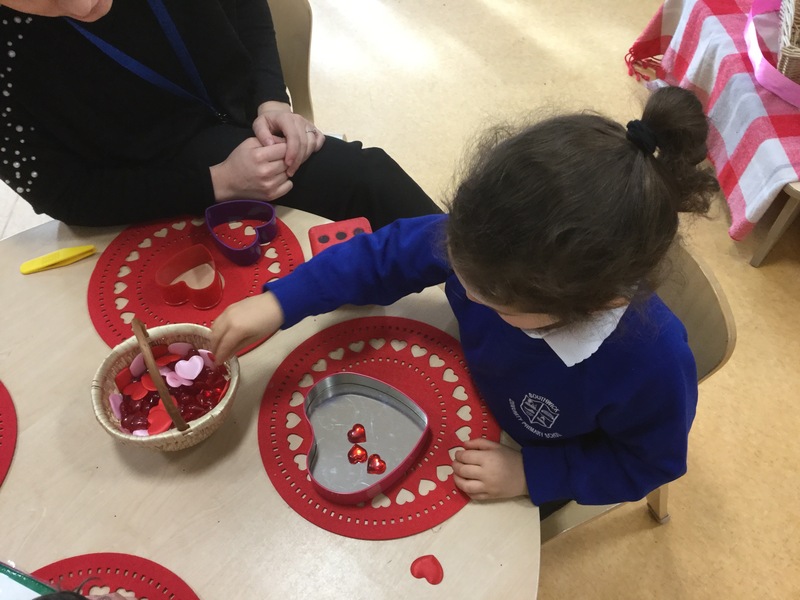 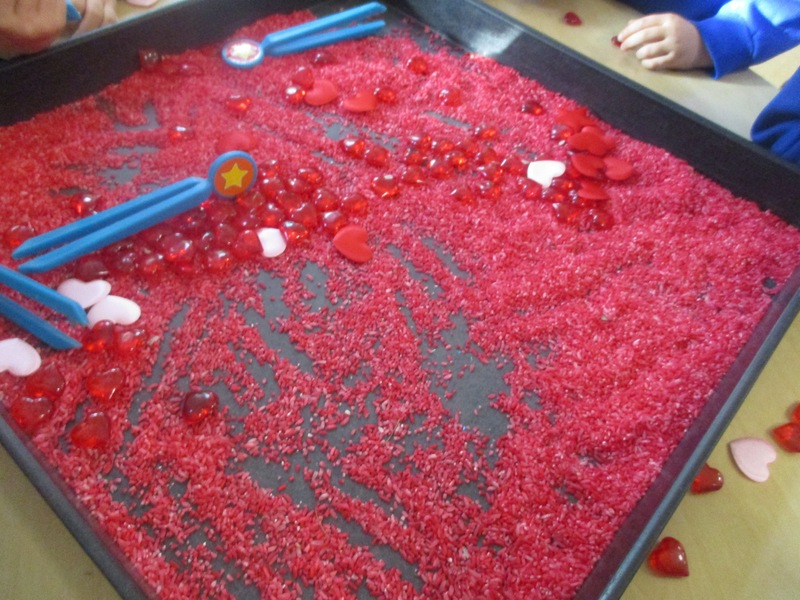 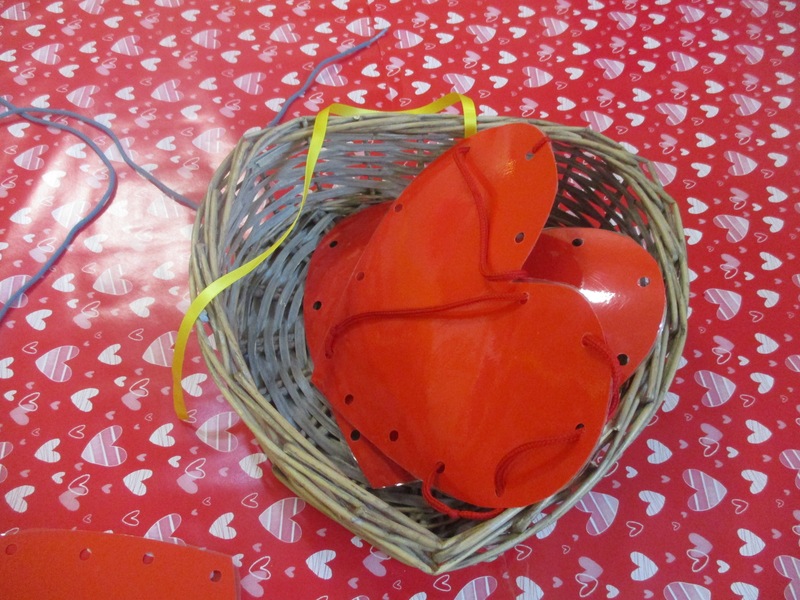 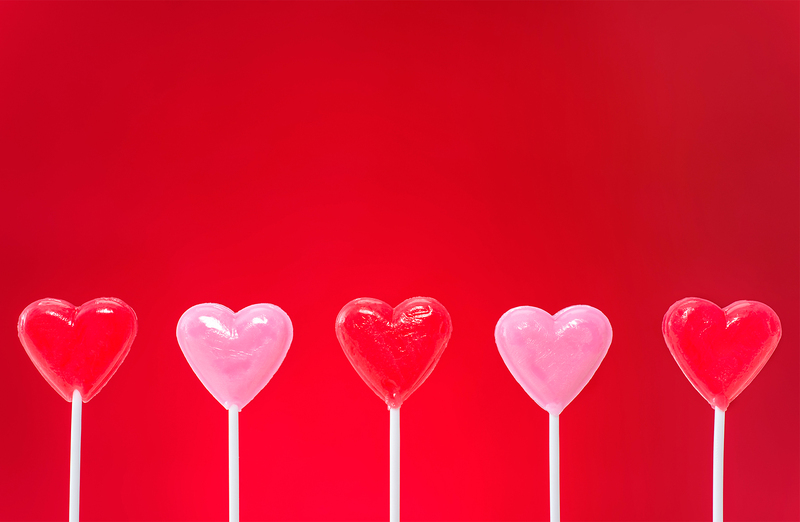 Hearts, beads and different length timers…. 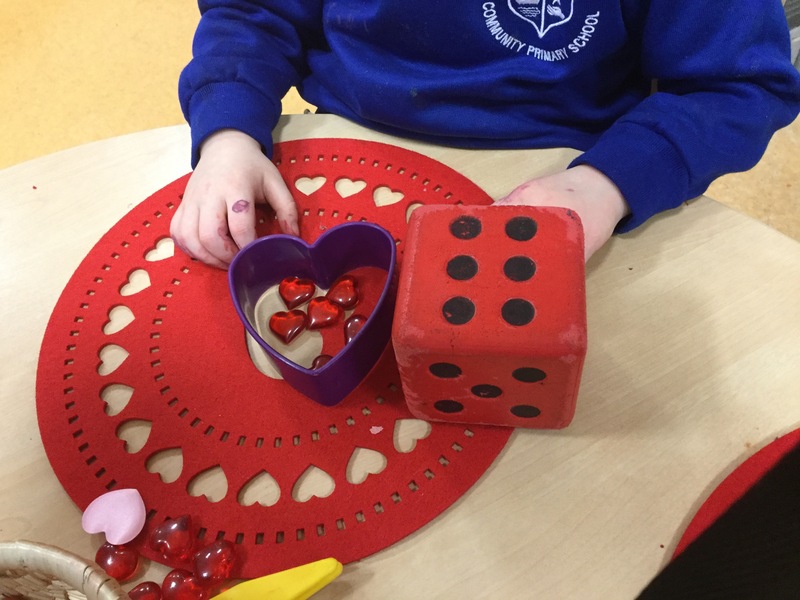 Rolling the dice and putting the corresponding number of pomp poms in the heart. 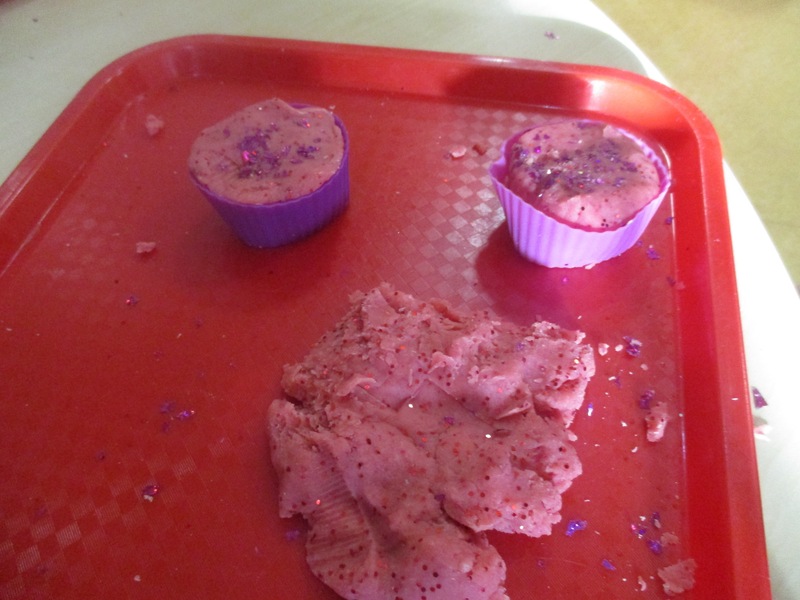 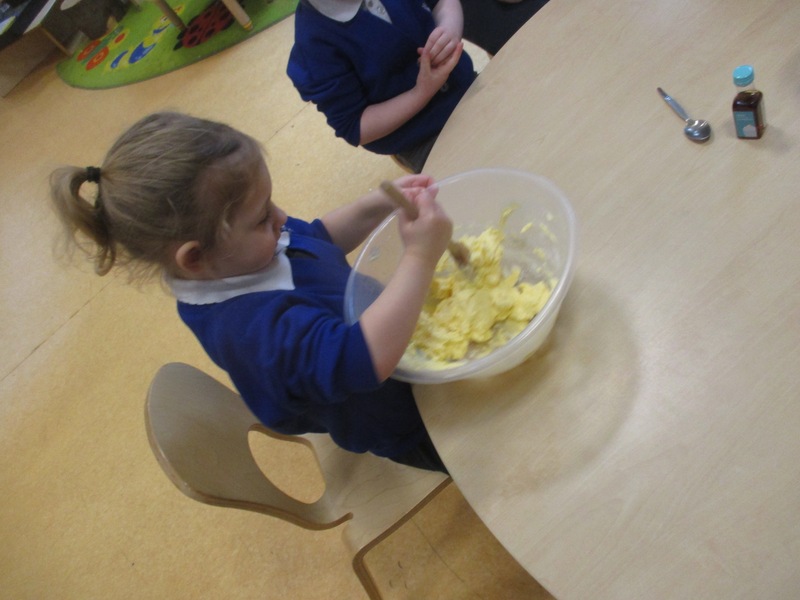 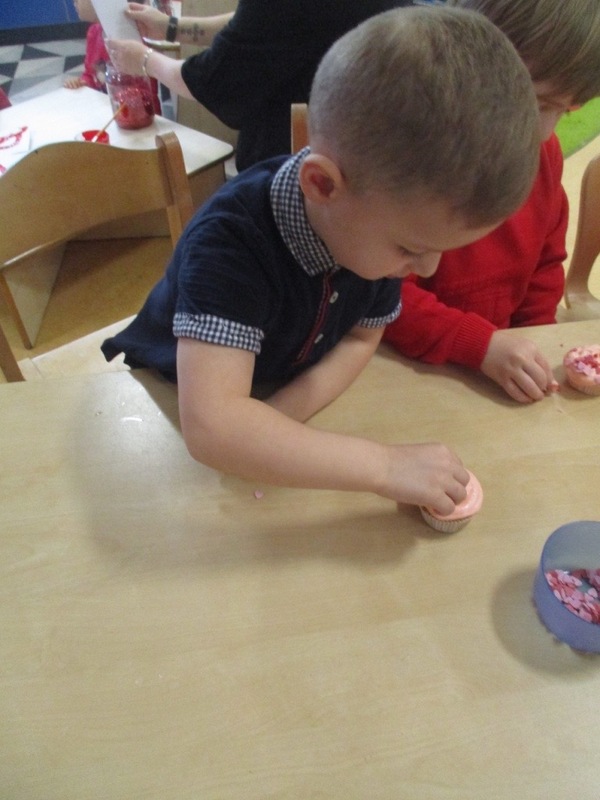 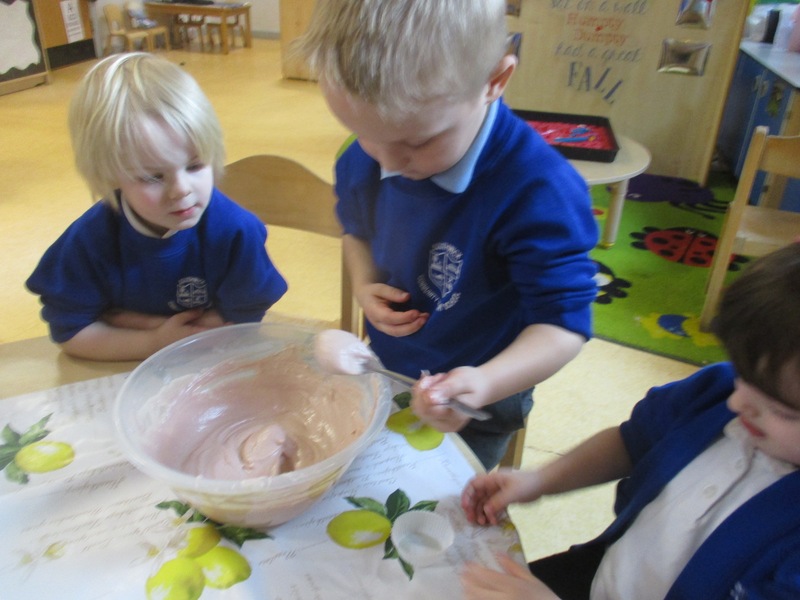 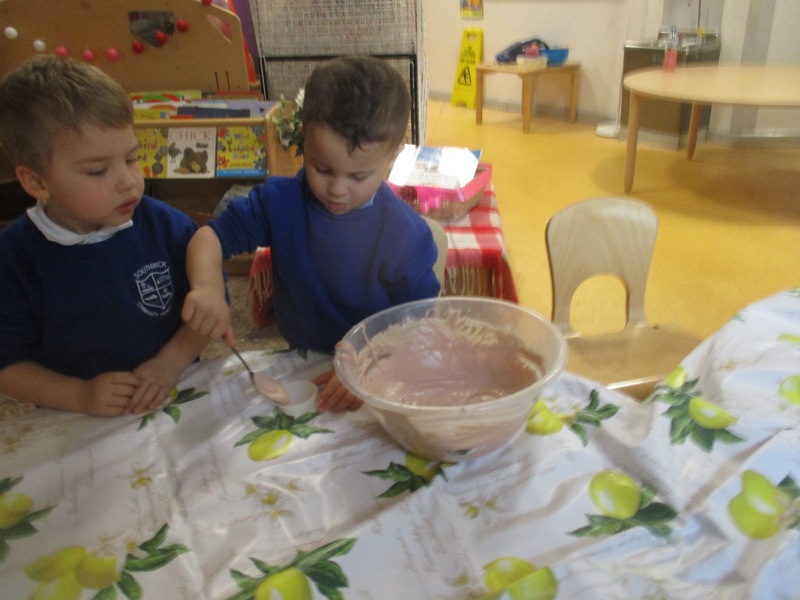 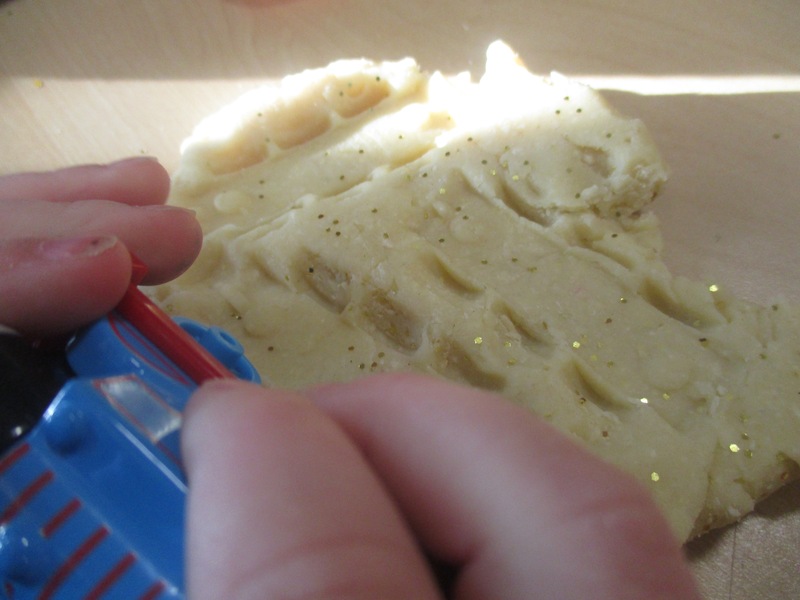 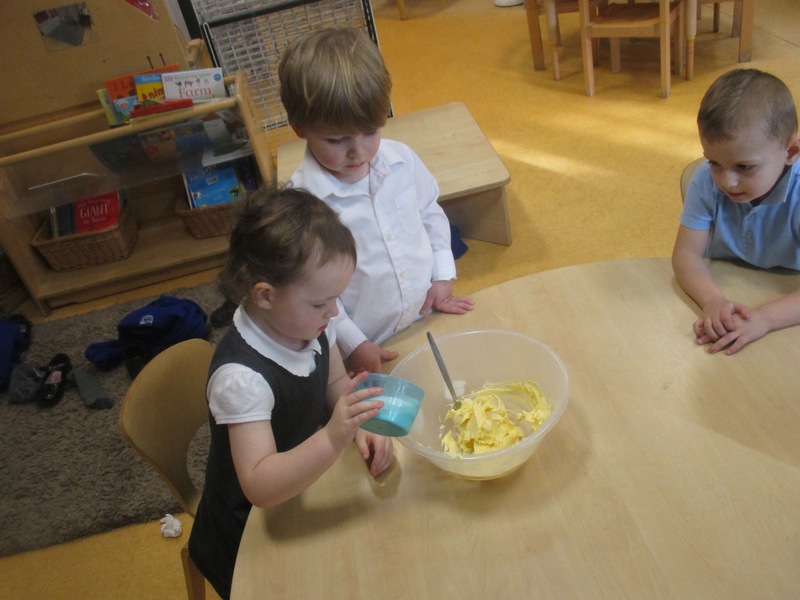 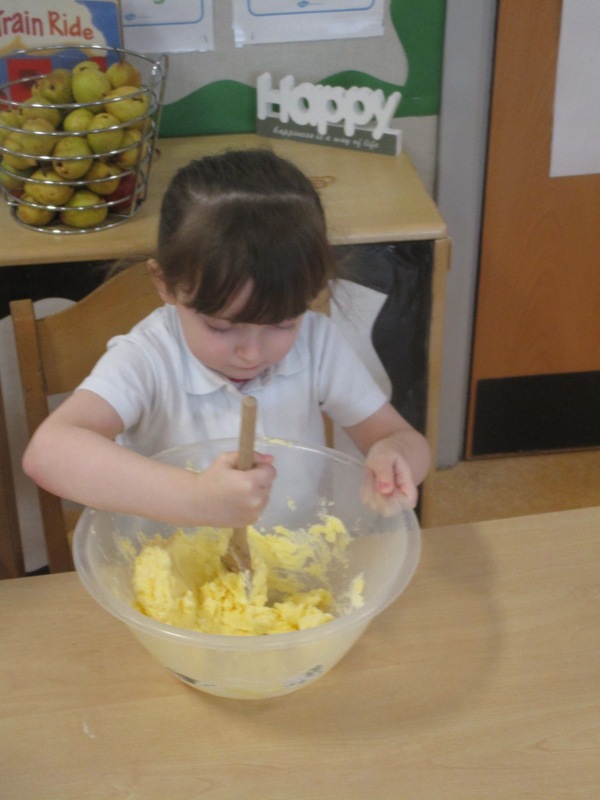 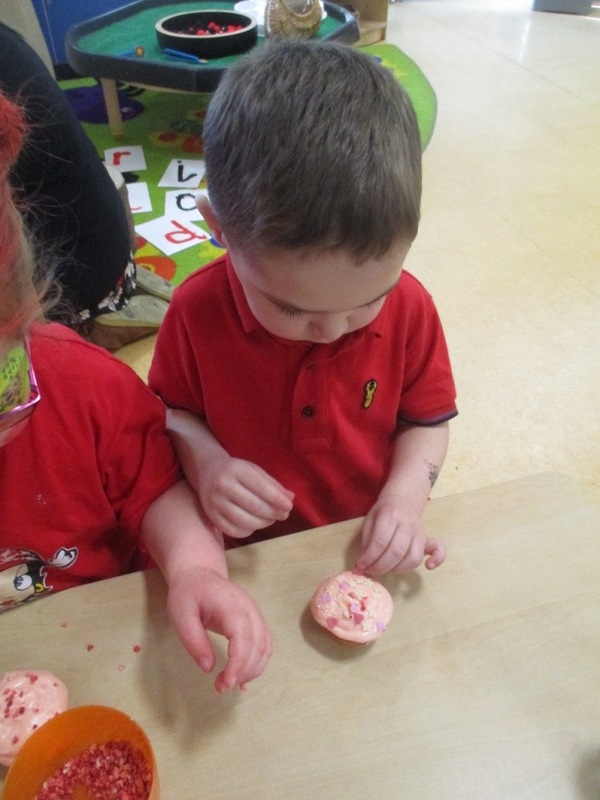 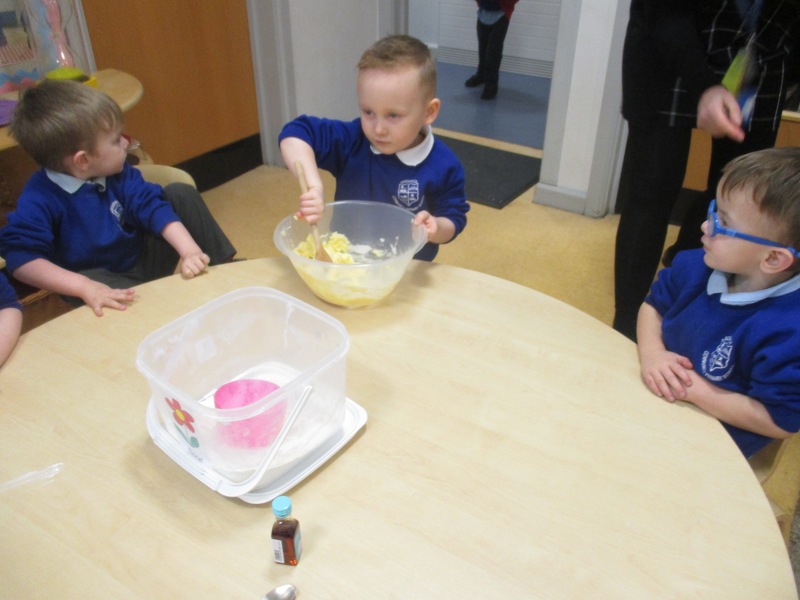 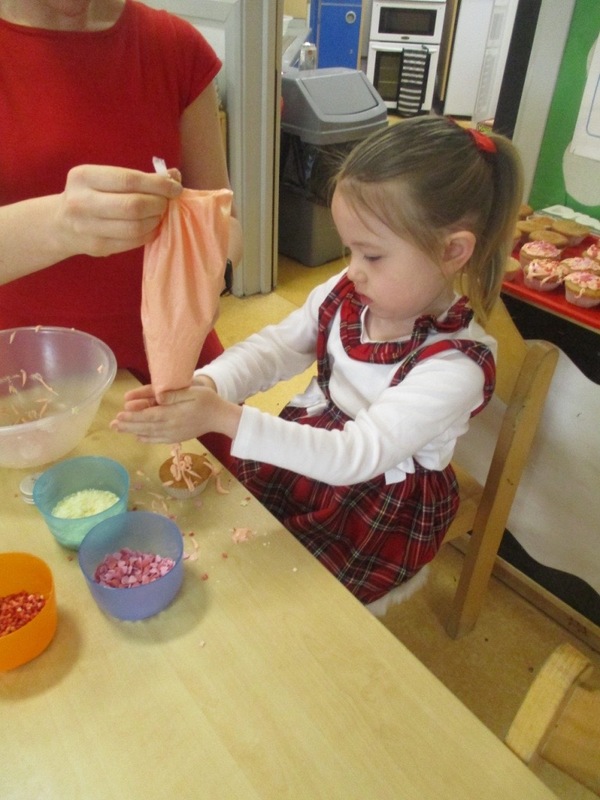 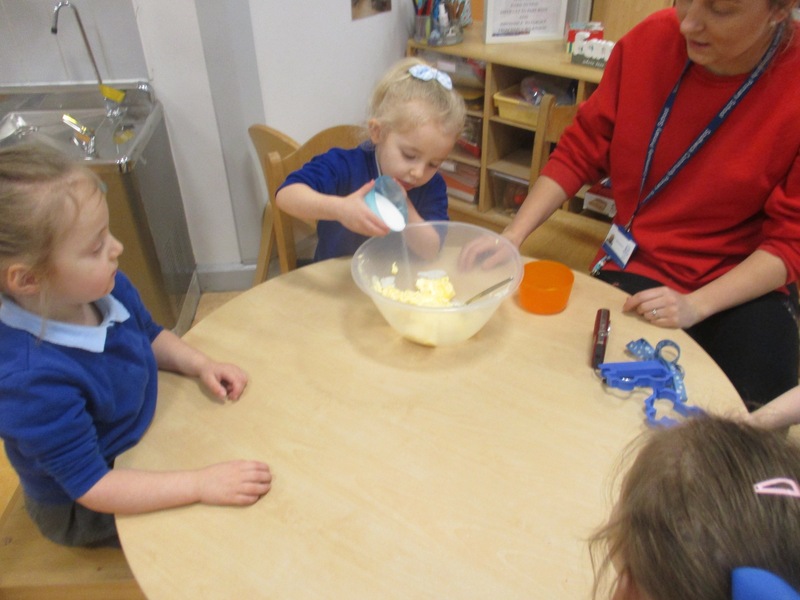 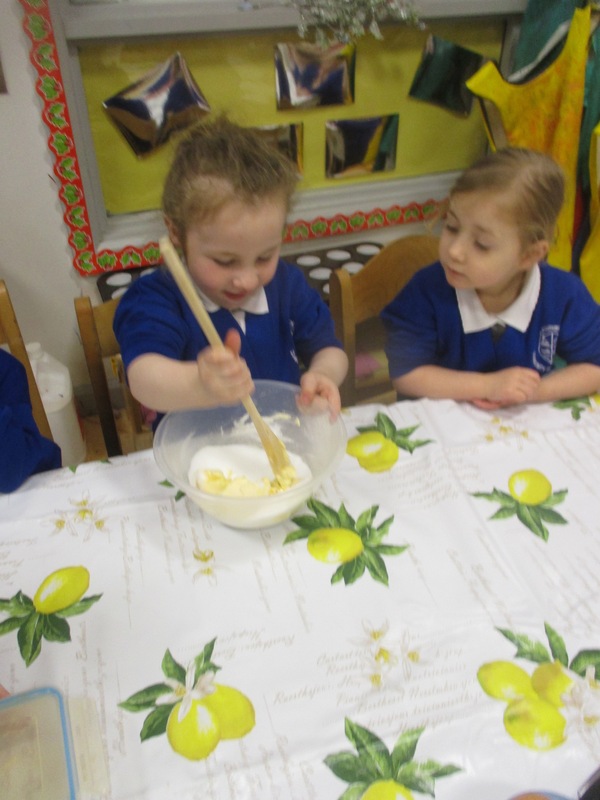 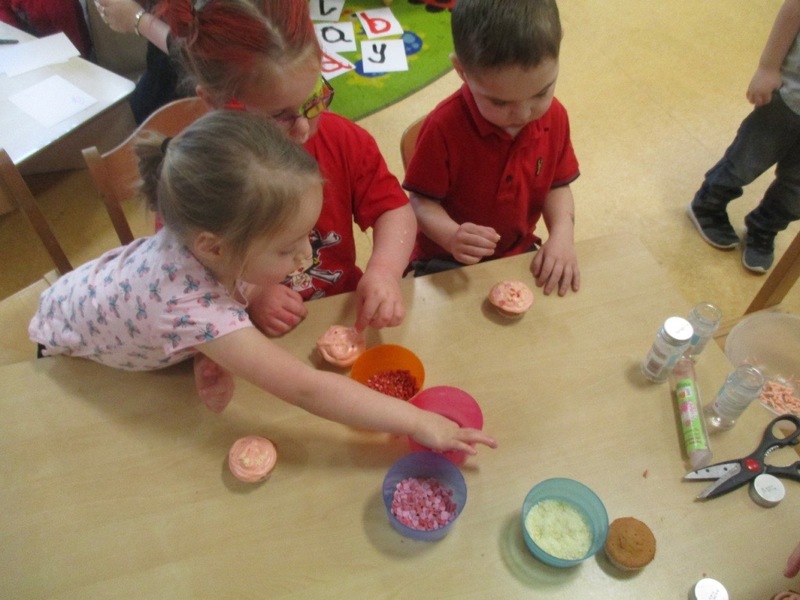 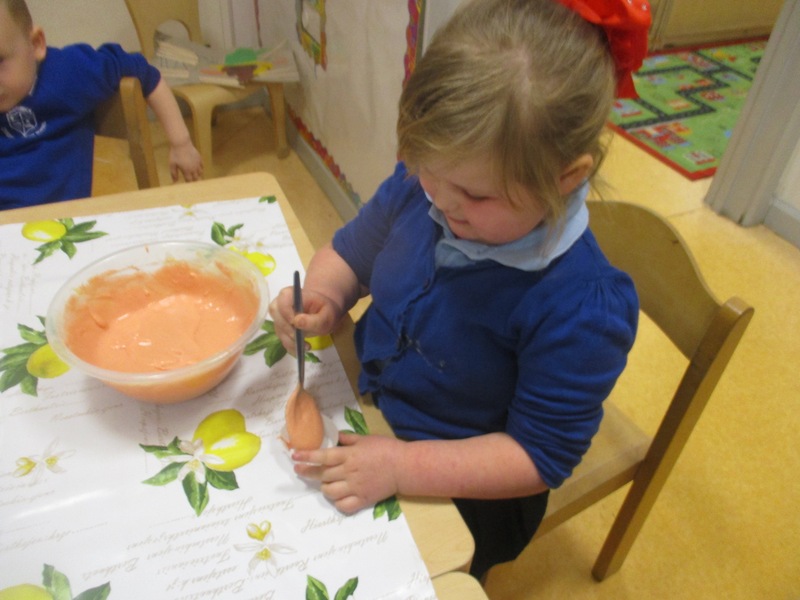 Learning about how materials change by making and decorating some luscious cakes. 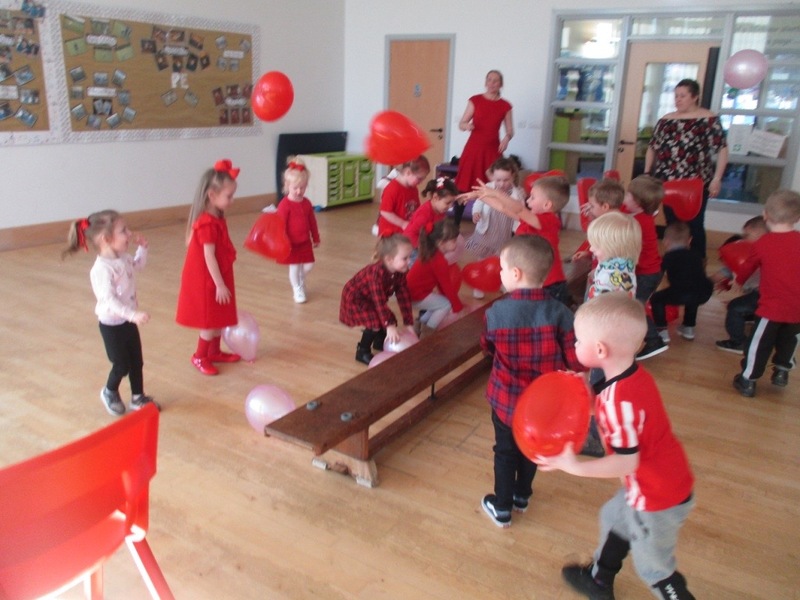 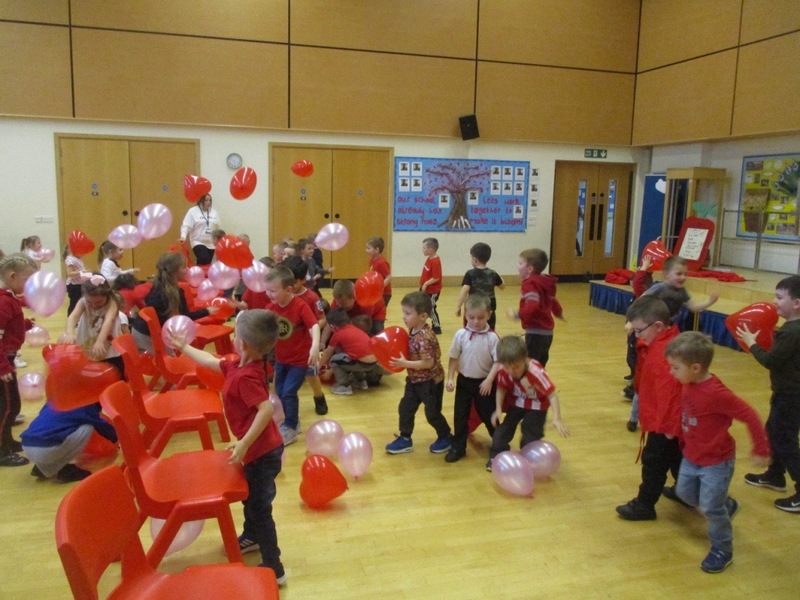 We celebrated our love for Valentines day by having a party. 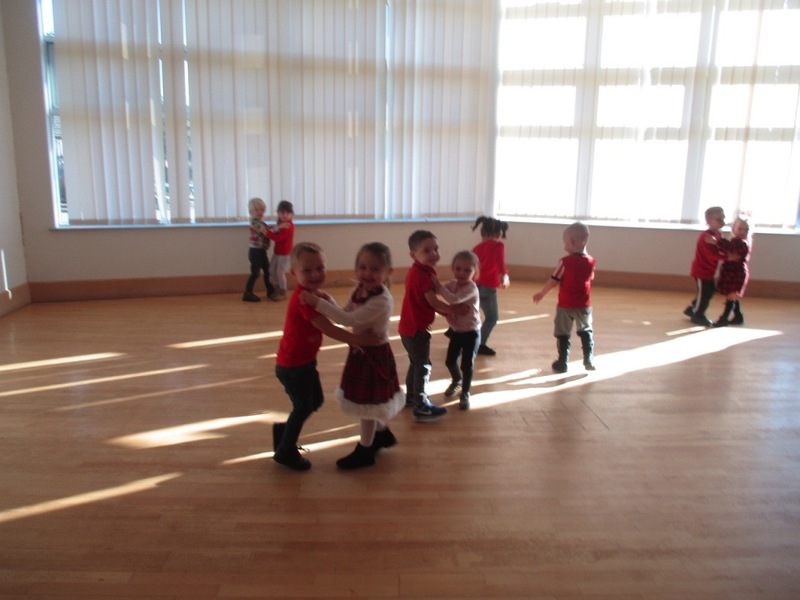 We played lots of games and did lots of dancing! 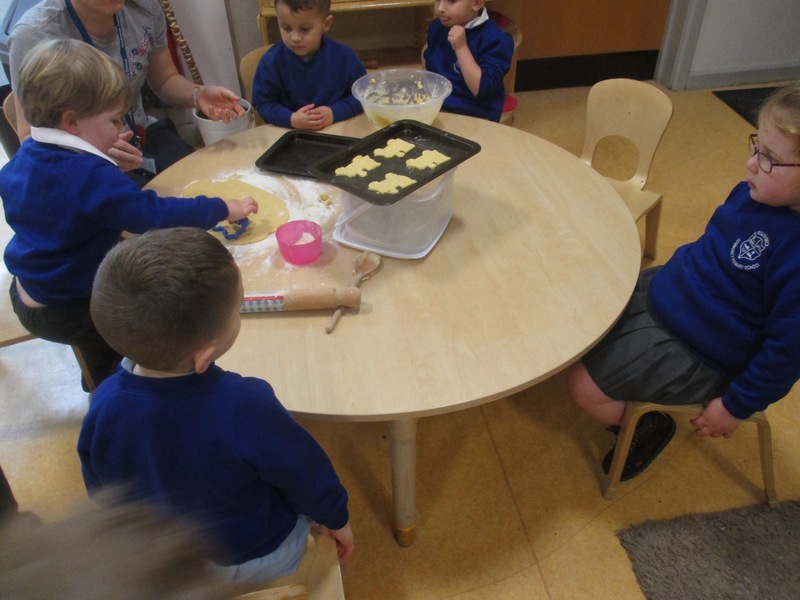 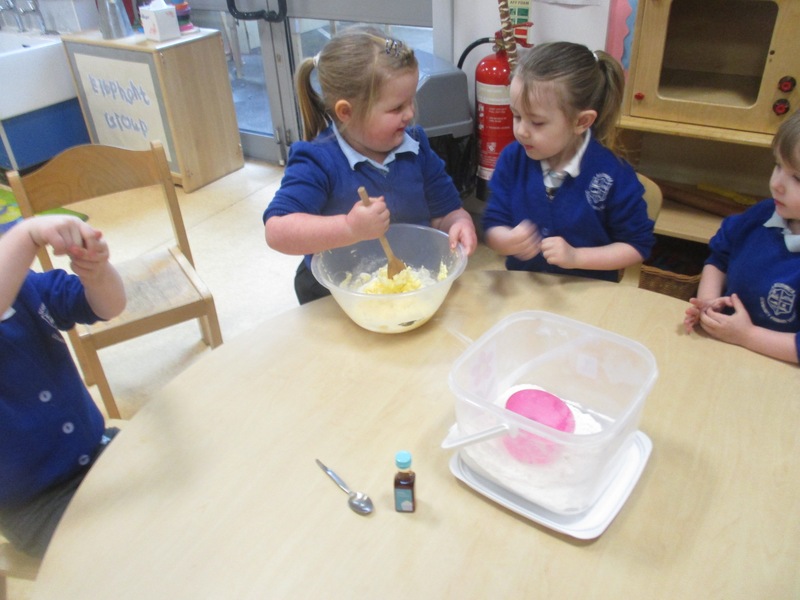 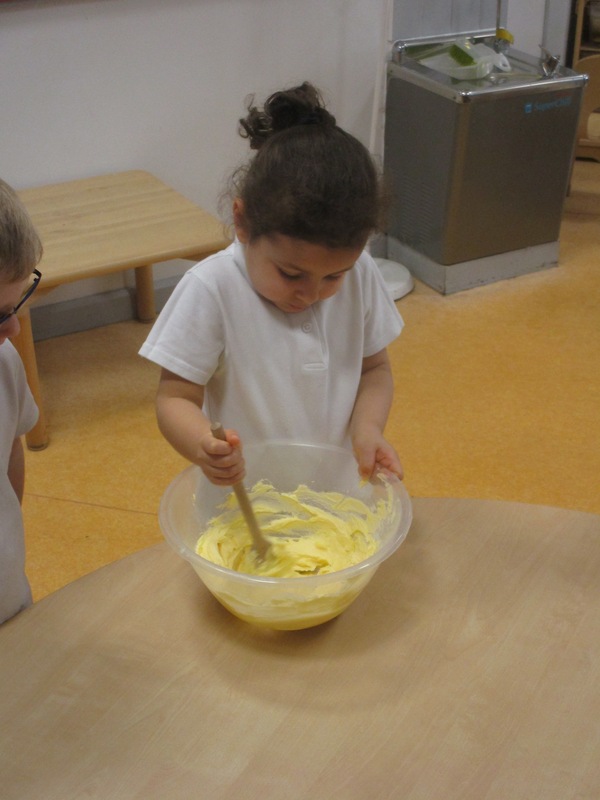 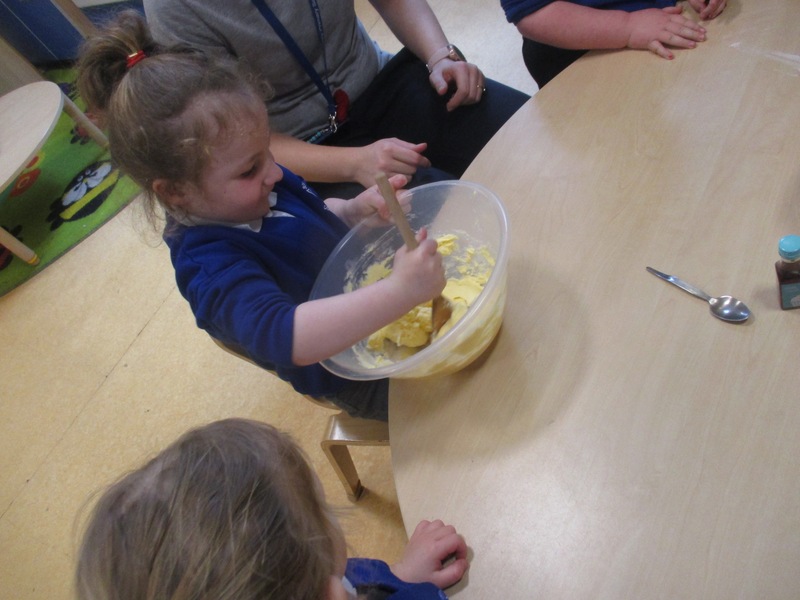 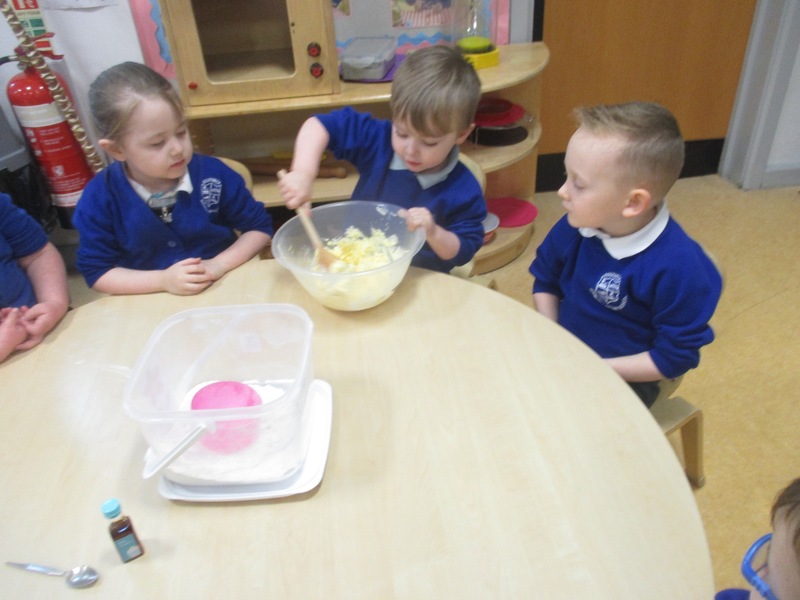 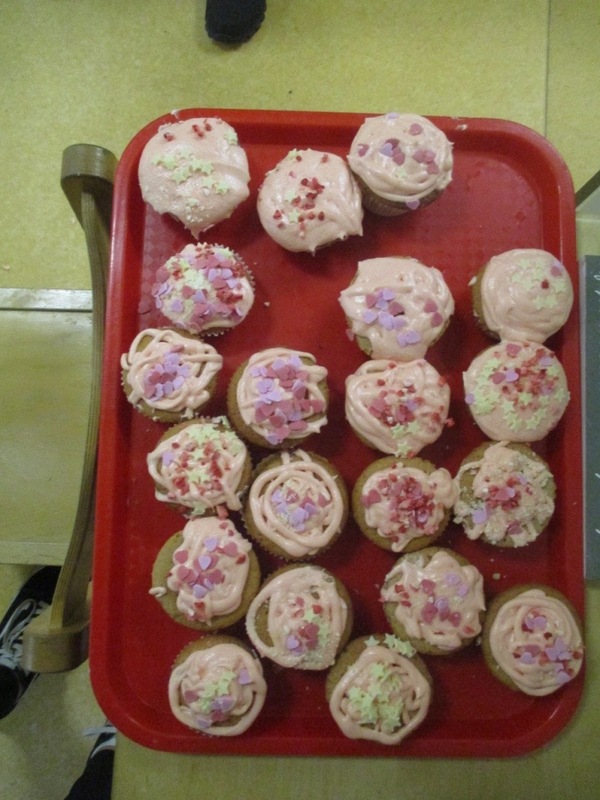 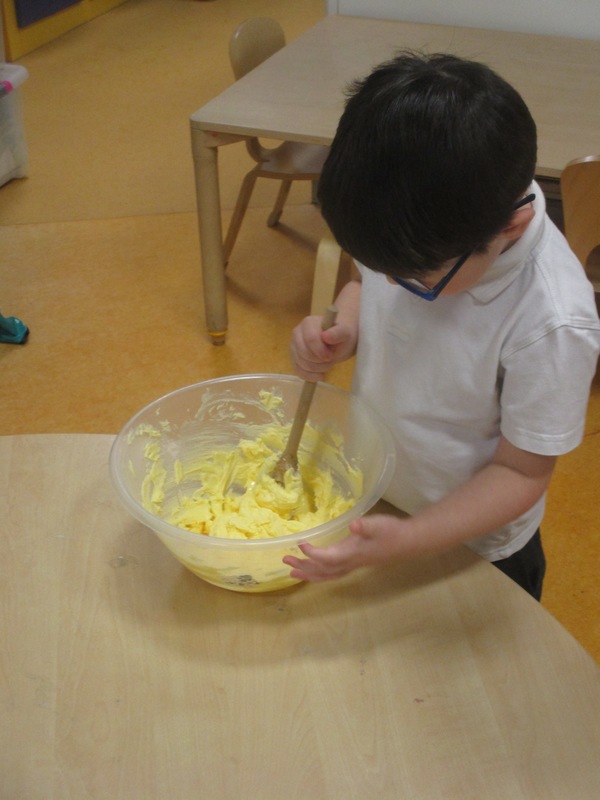 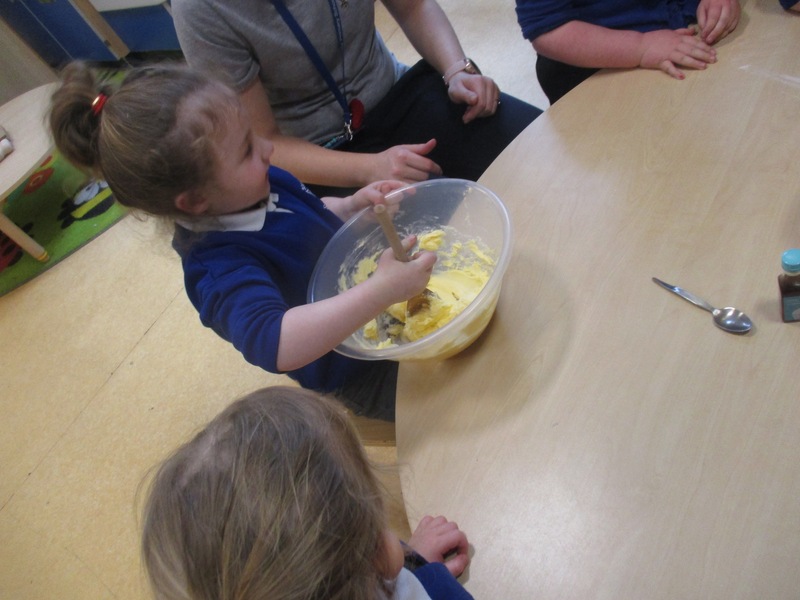 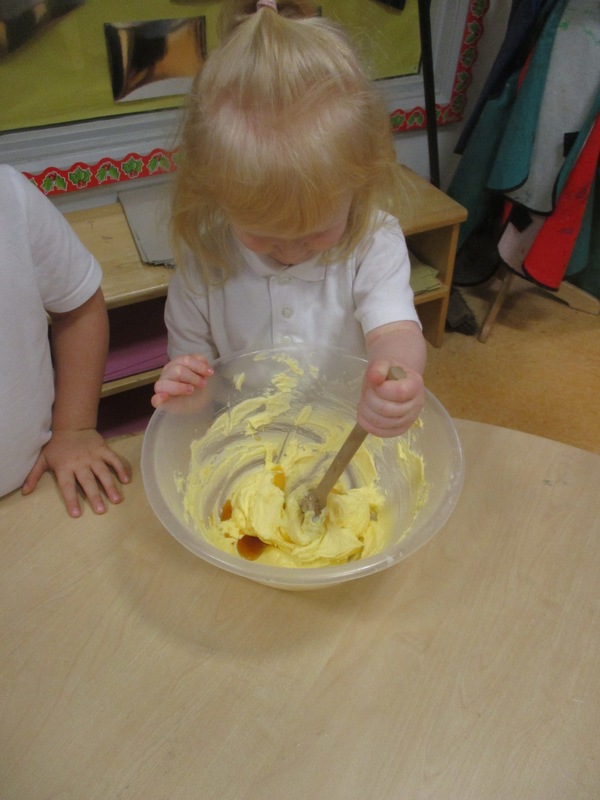 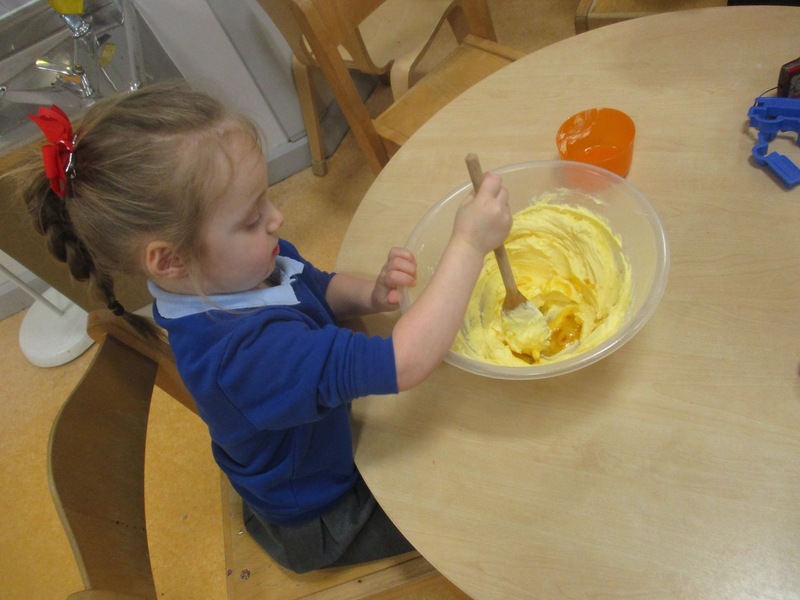 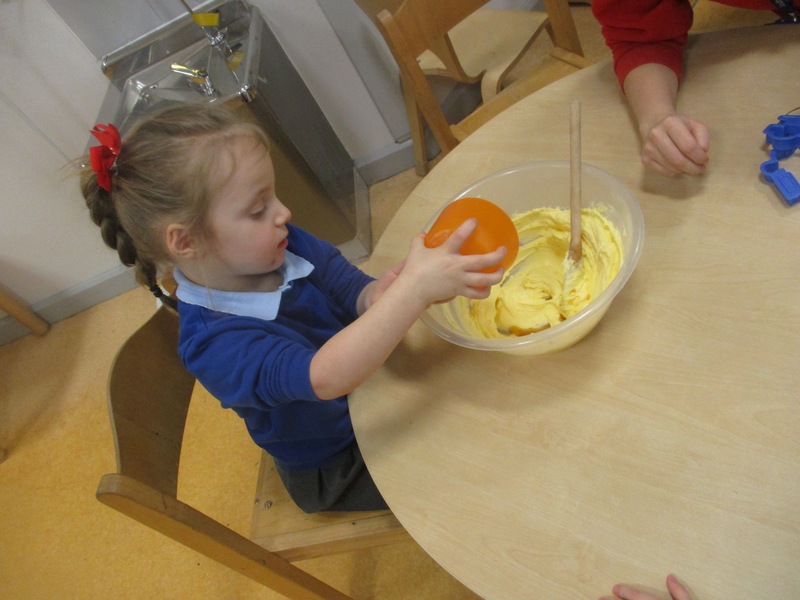 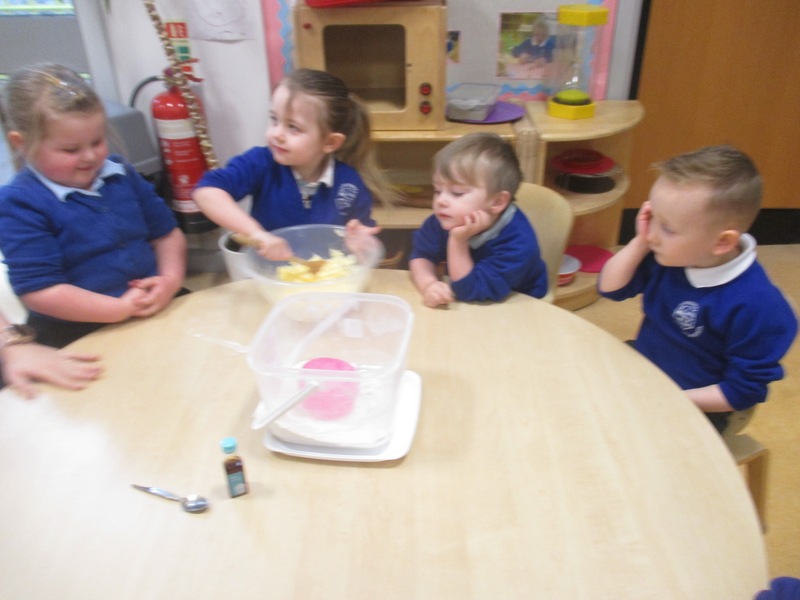 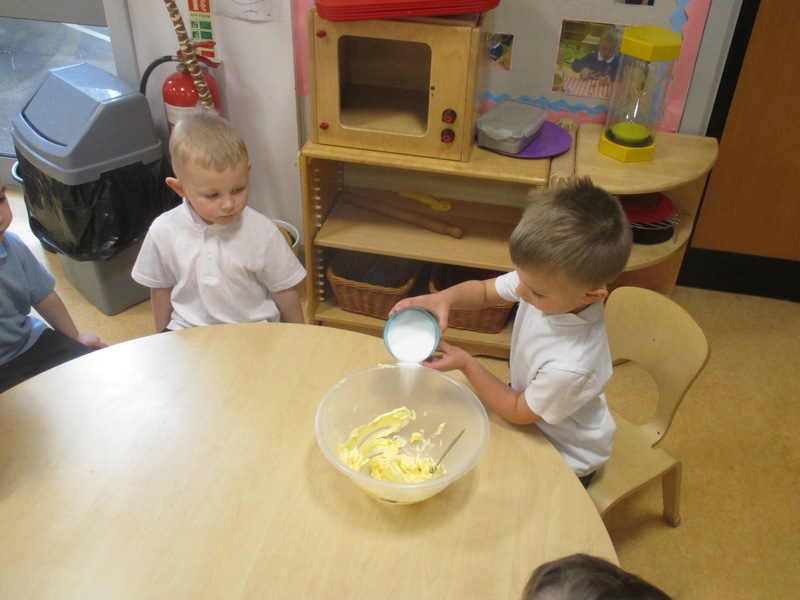 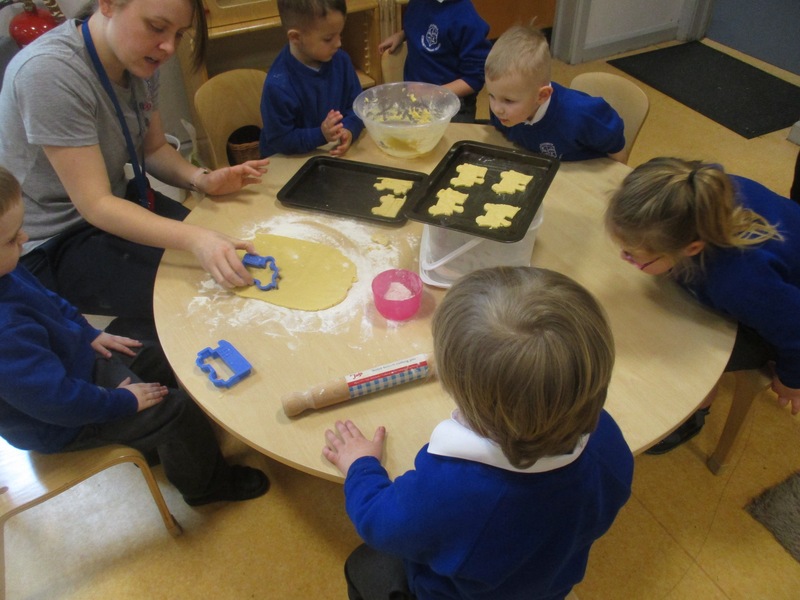 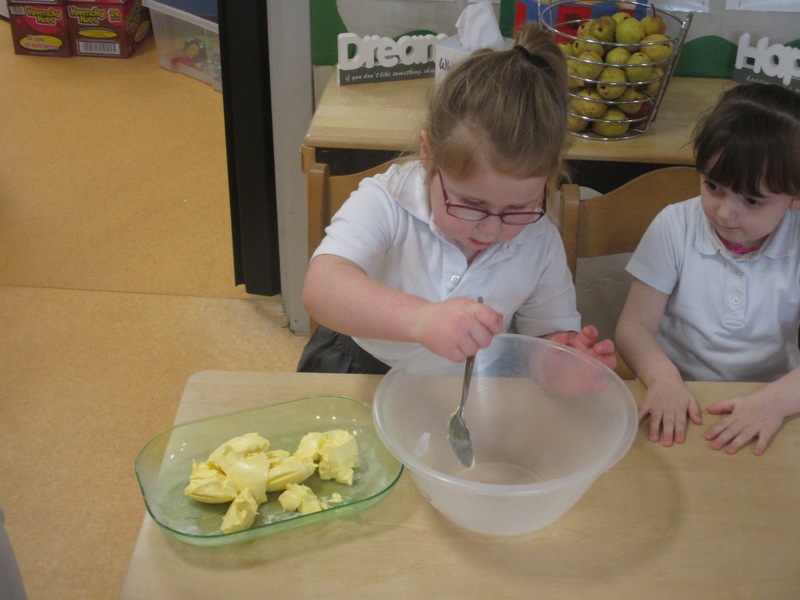 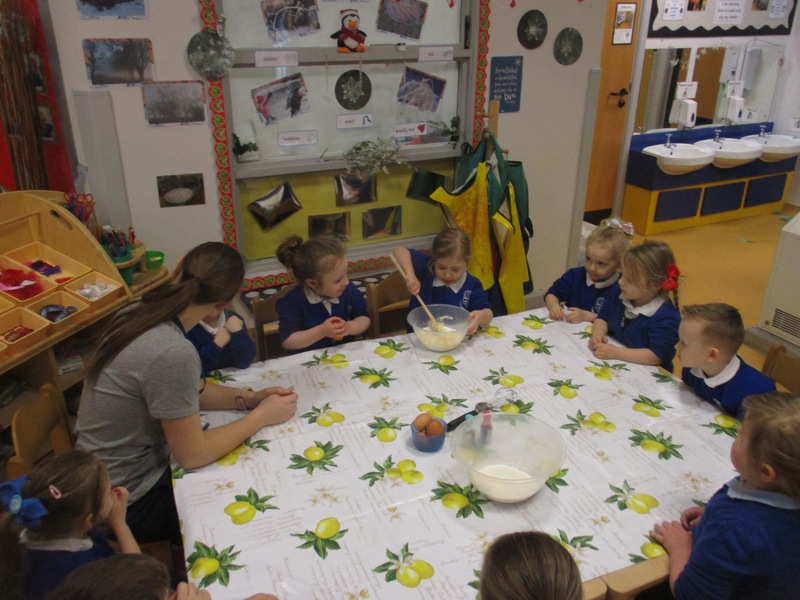 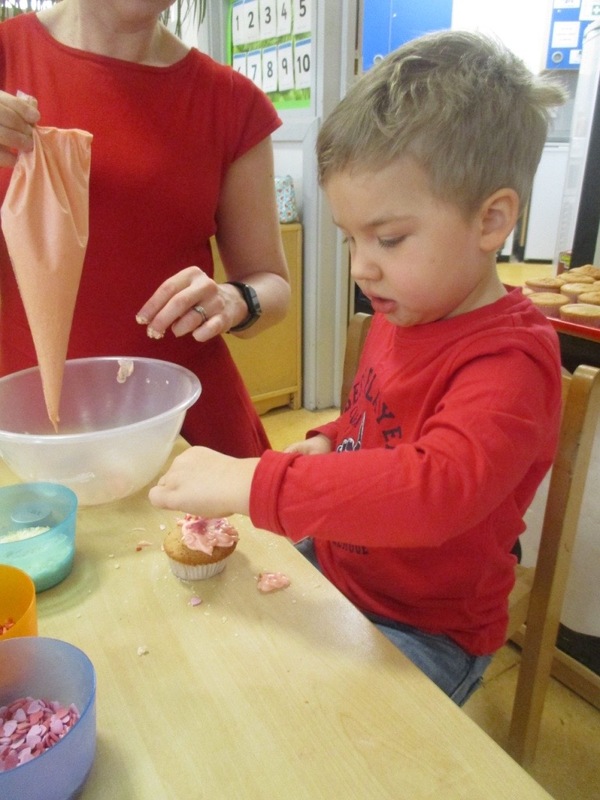 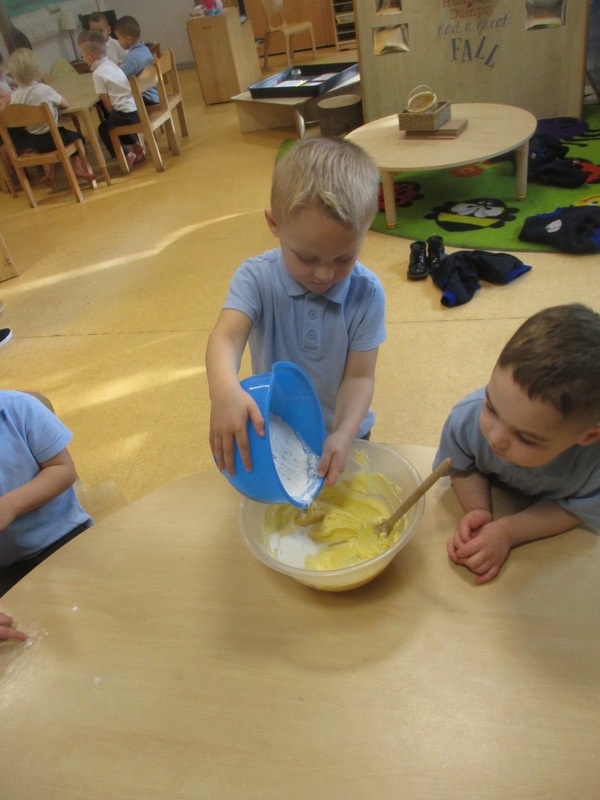 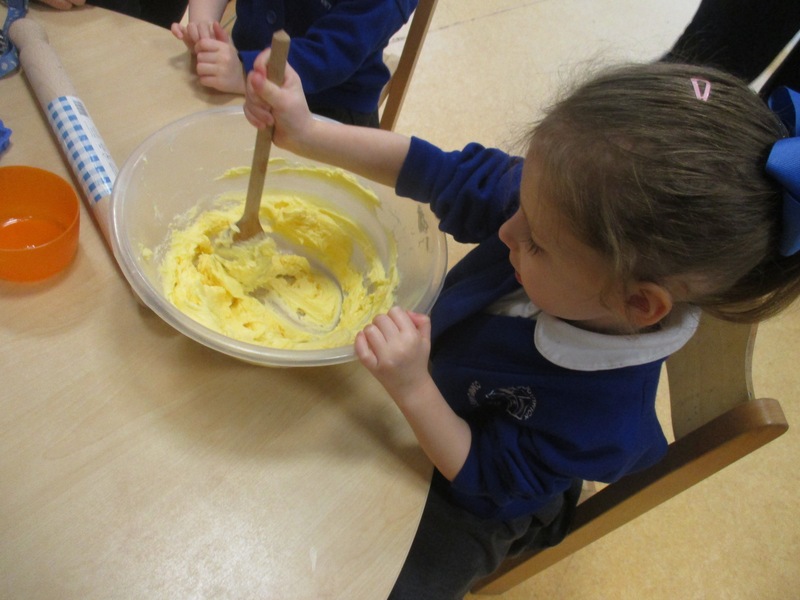 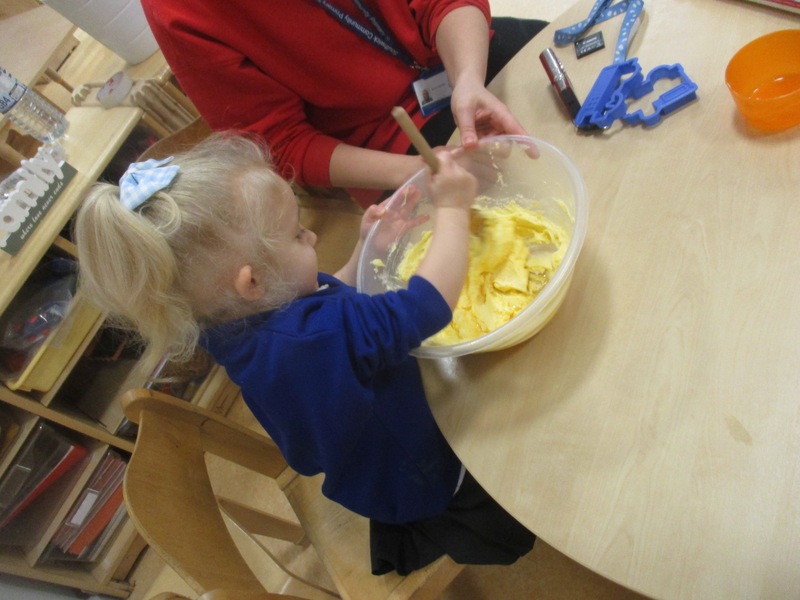 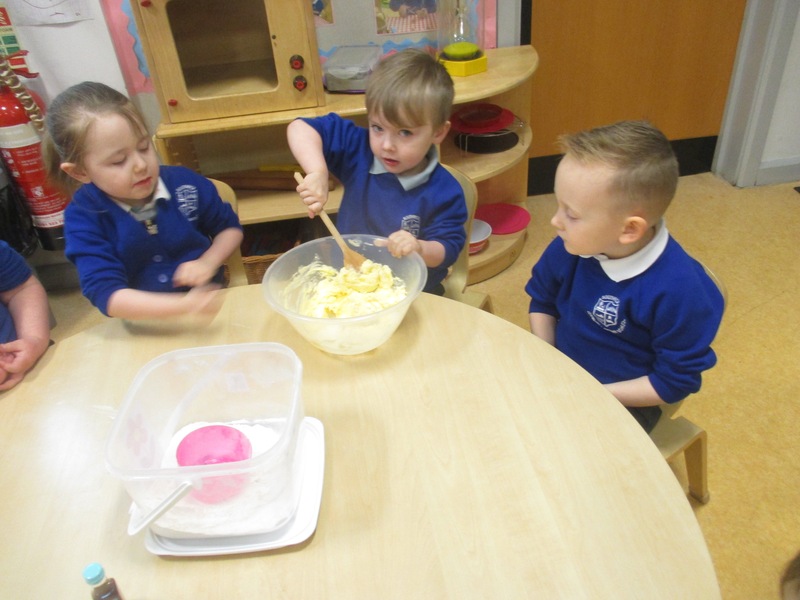 We enjoyed our cakes we had made during the week and had lots of fun!